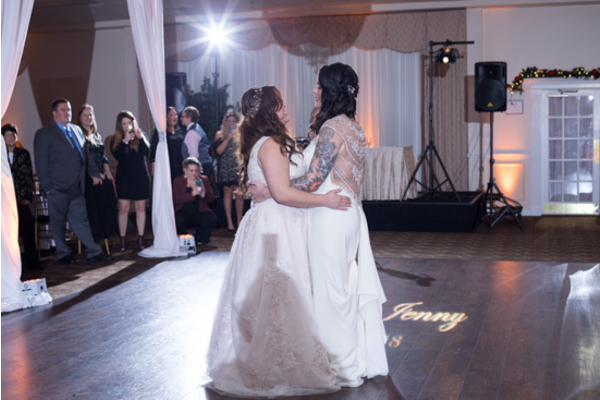 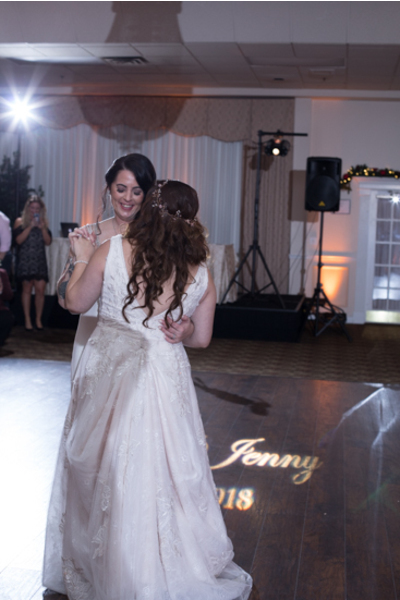 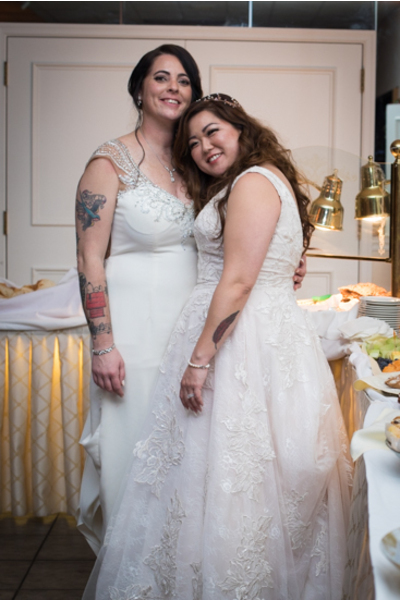 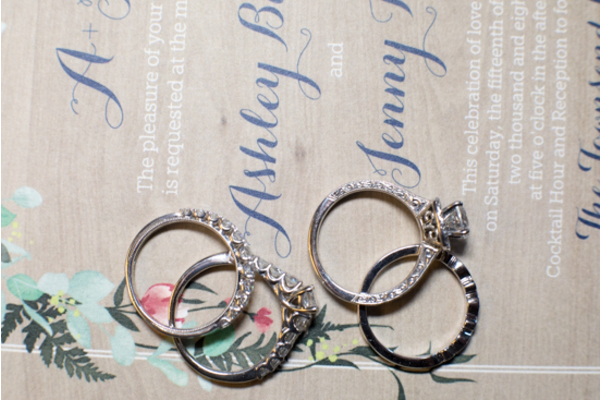 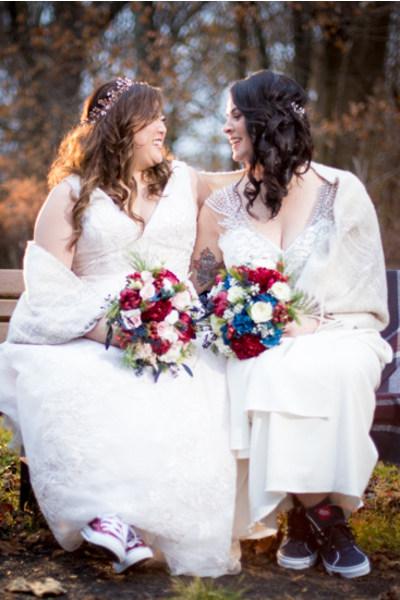 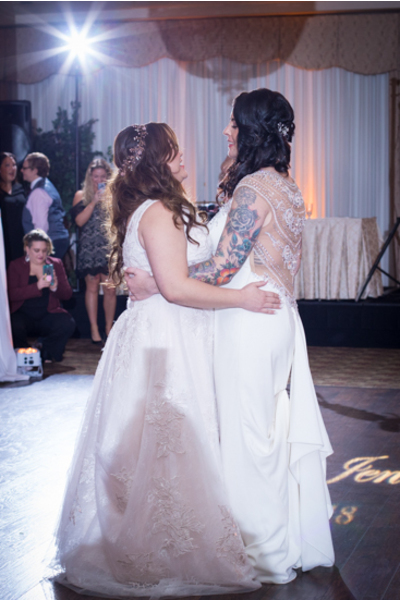 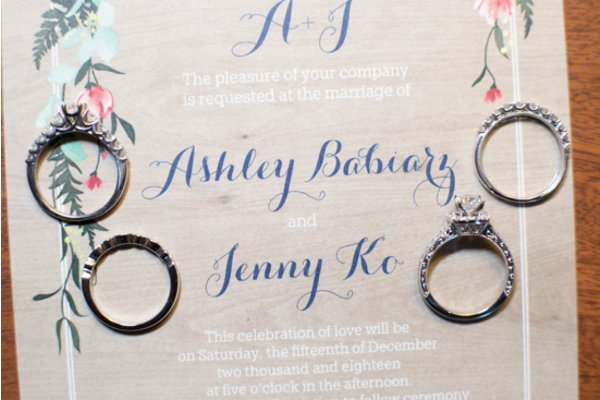 Congratulations to Jenny and Ashley on their recent marriage! 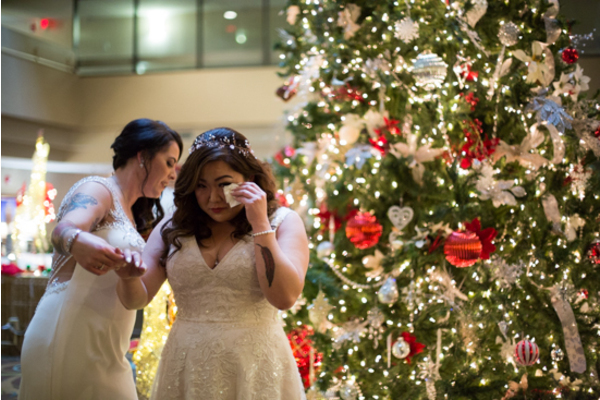 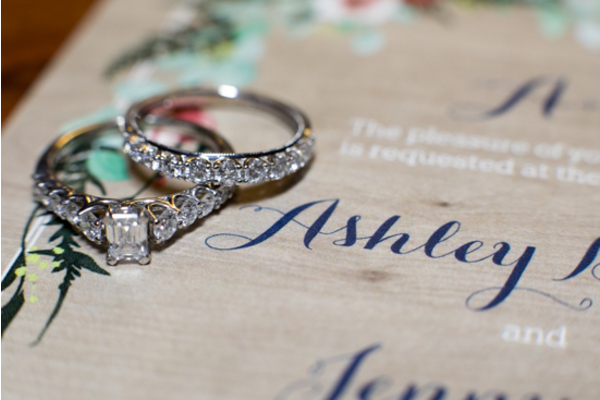 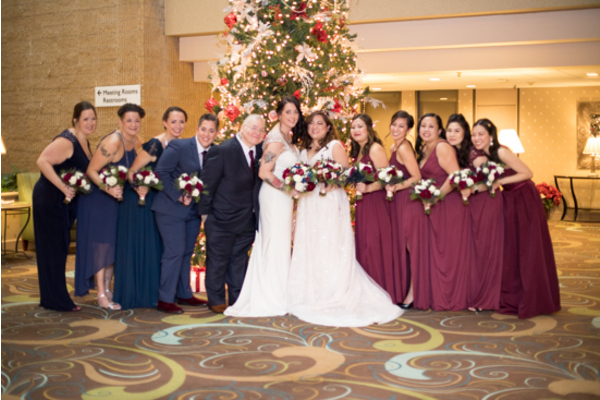 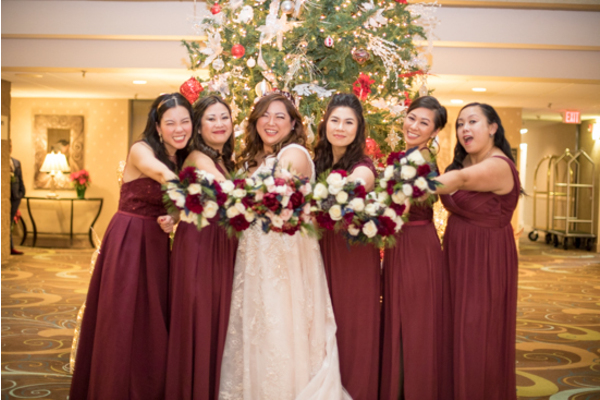 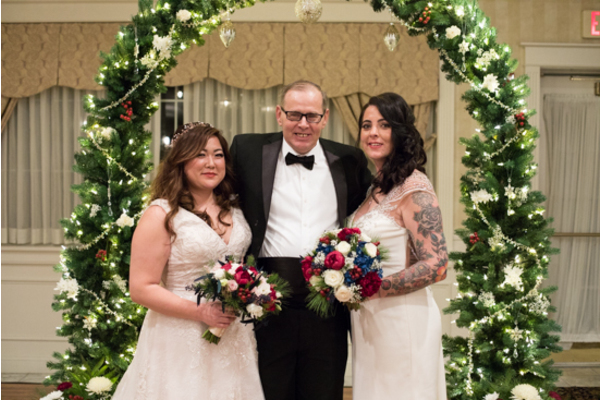 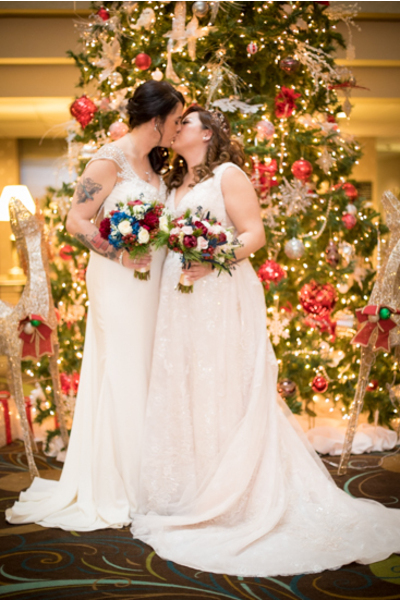 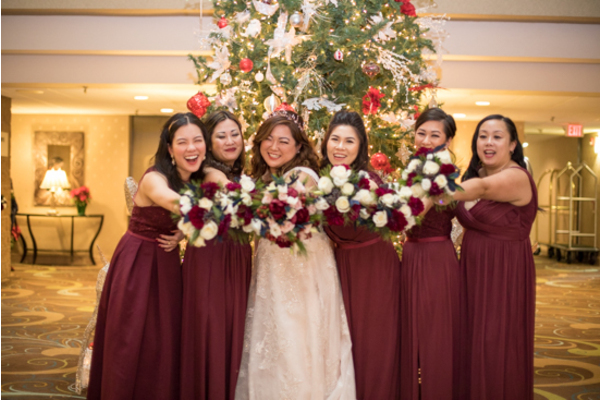 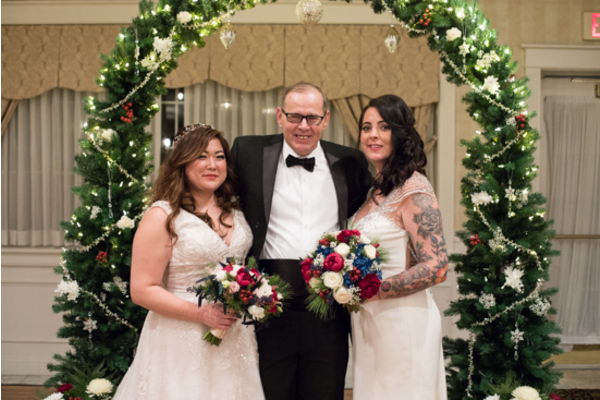 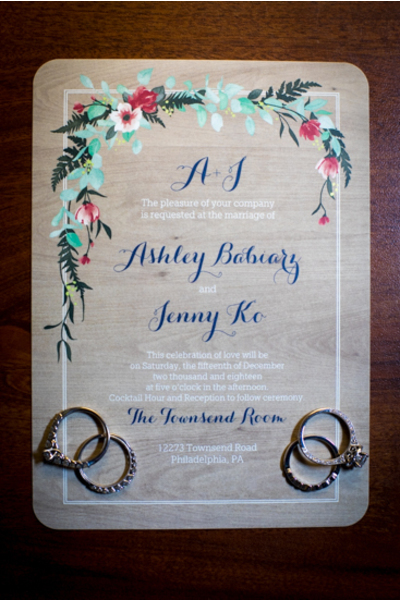 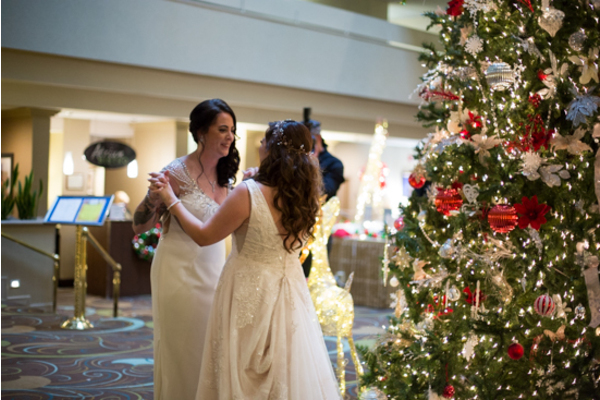 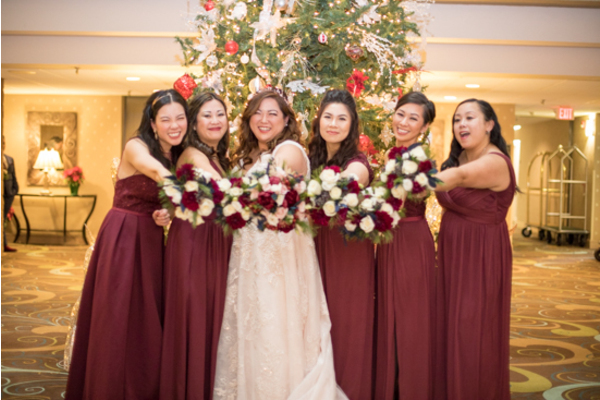 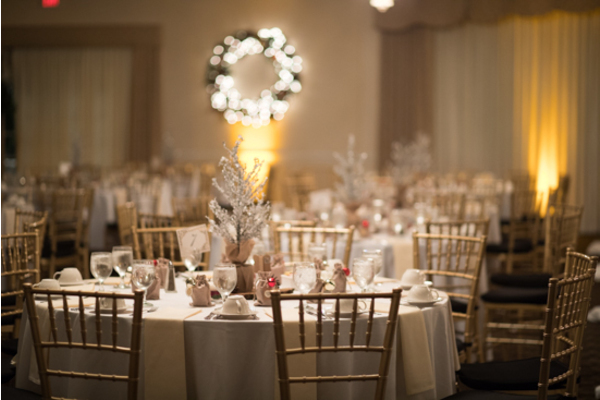 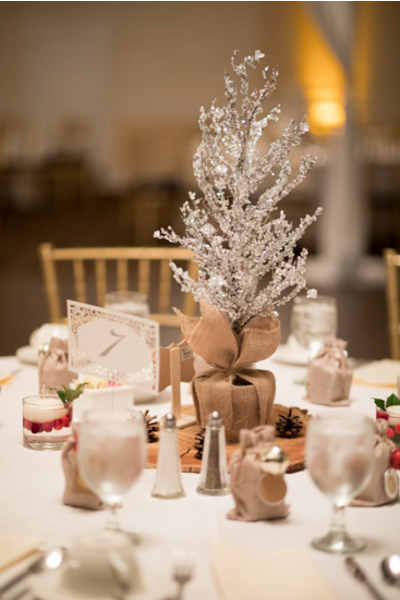 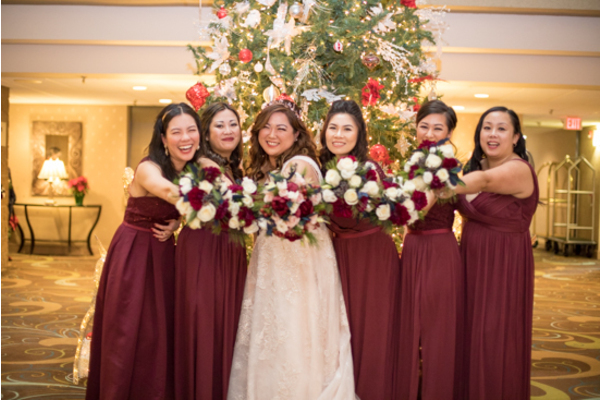 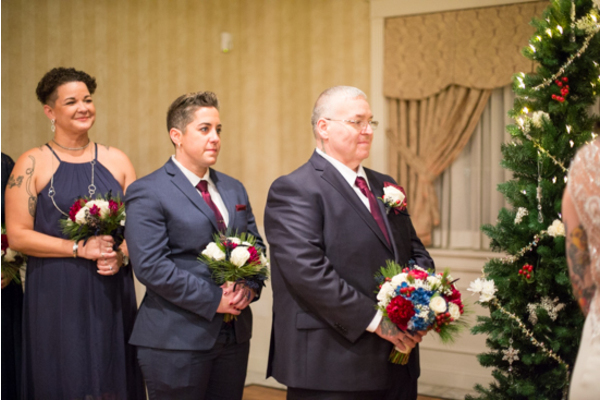 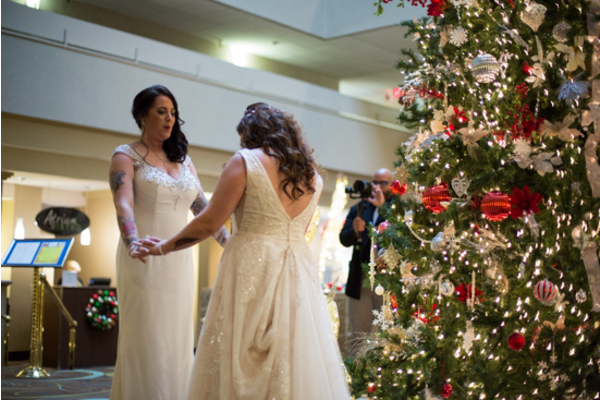 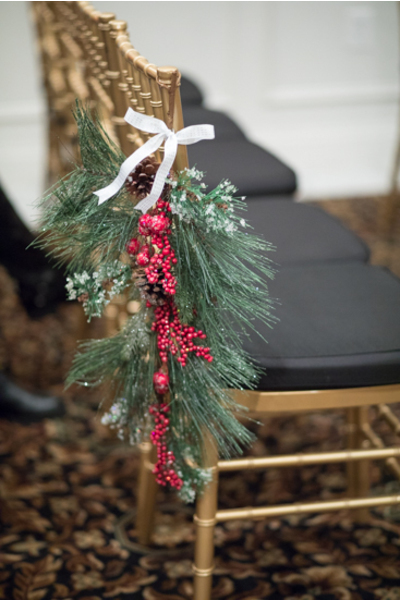 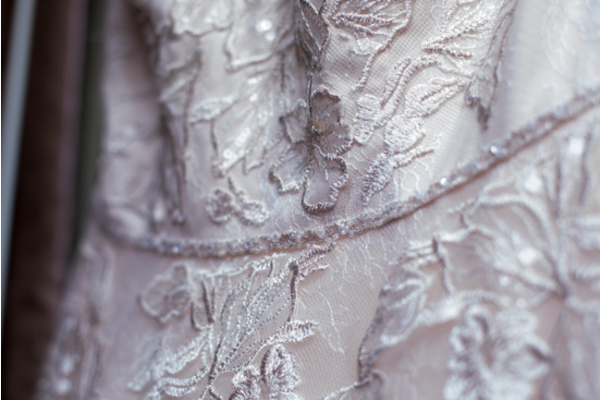 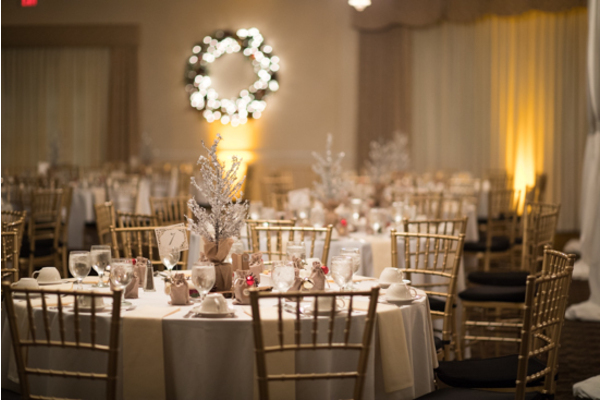 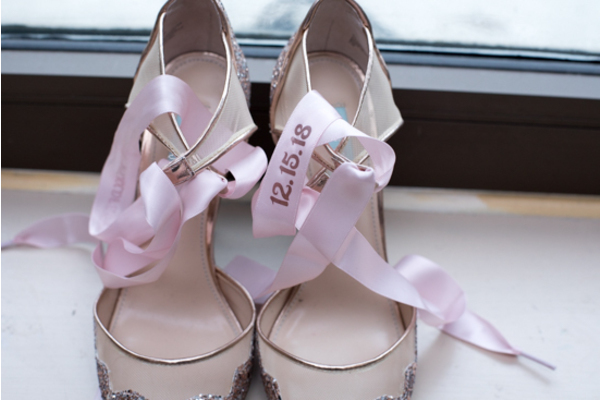 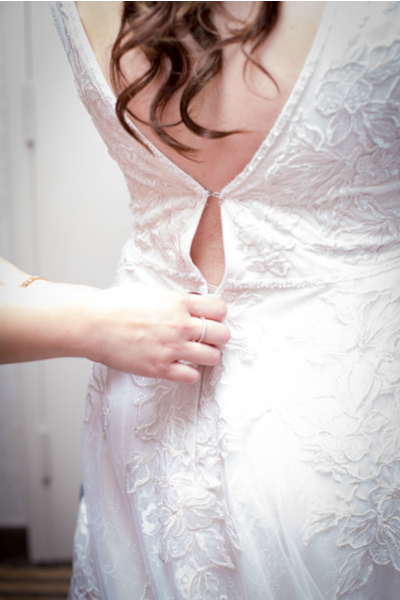 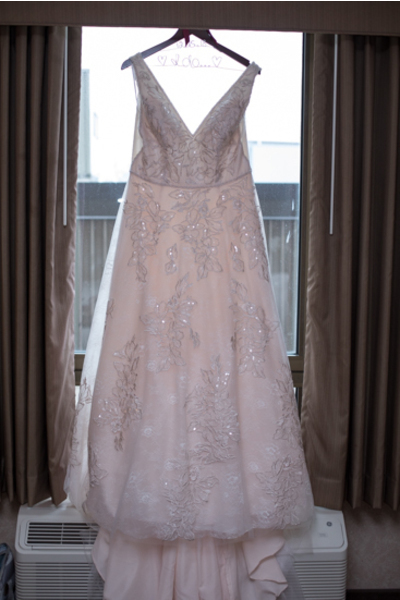 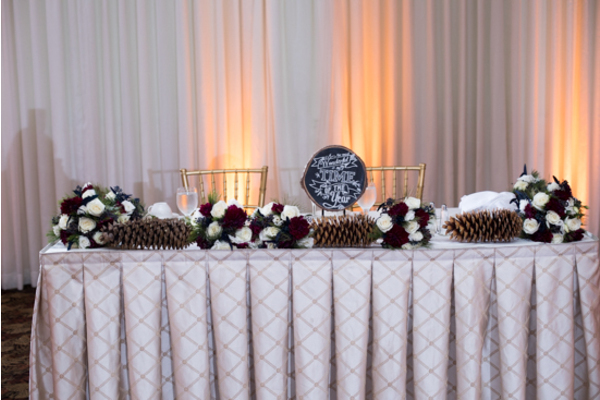 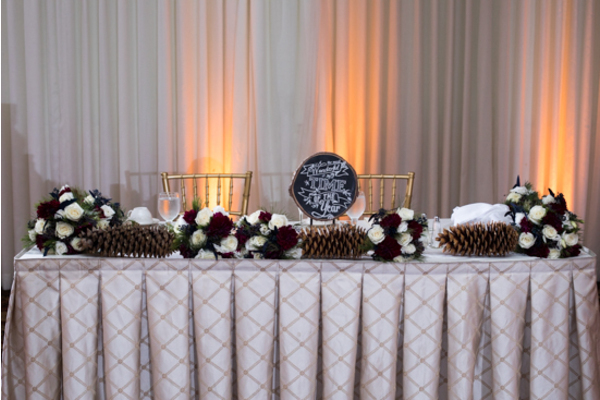 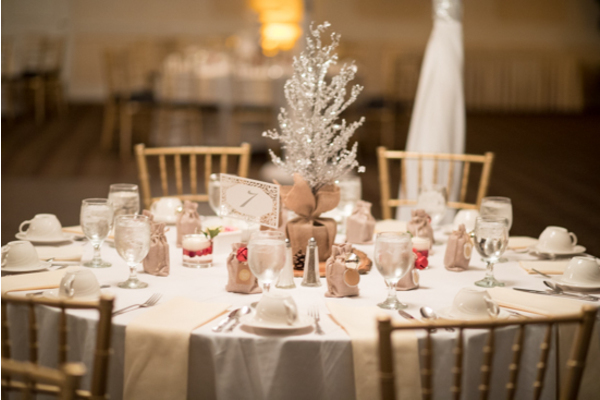 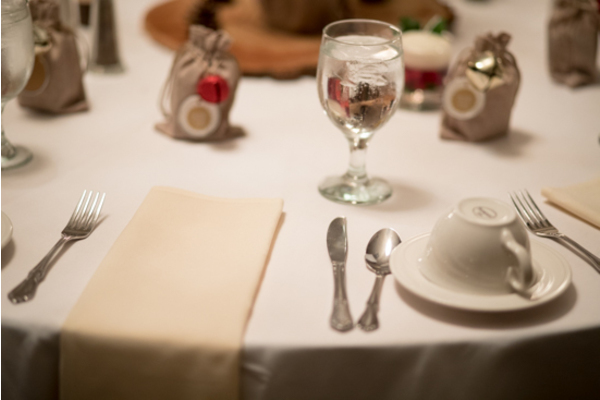 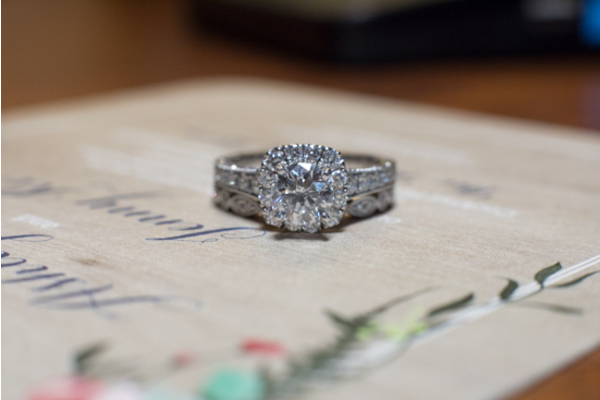 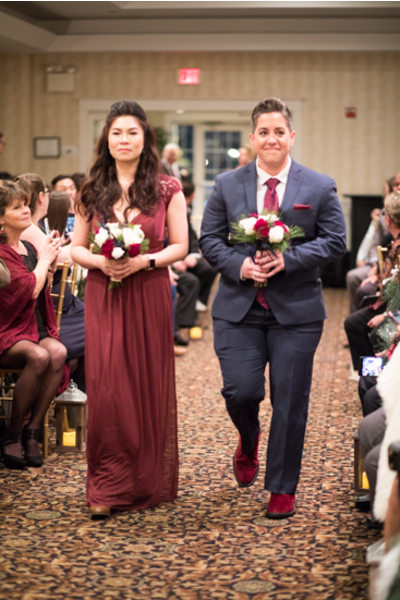 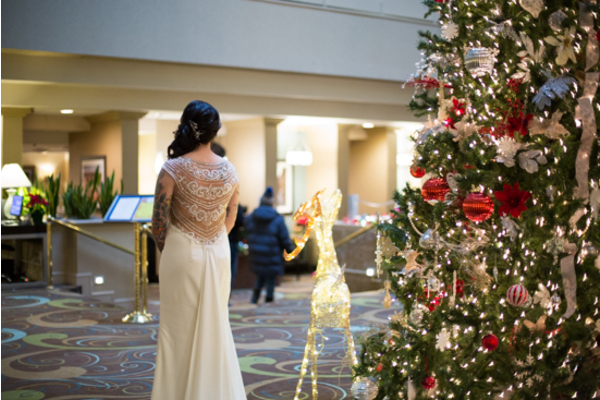 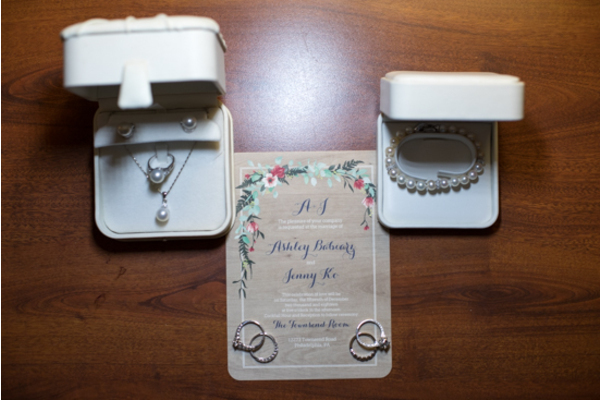 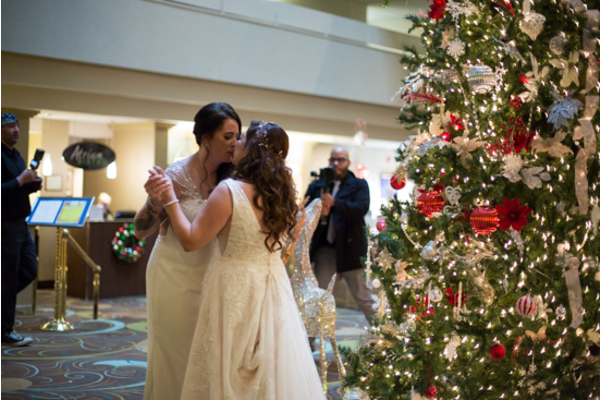 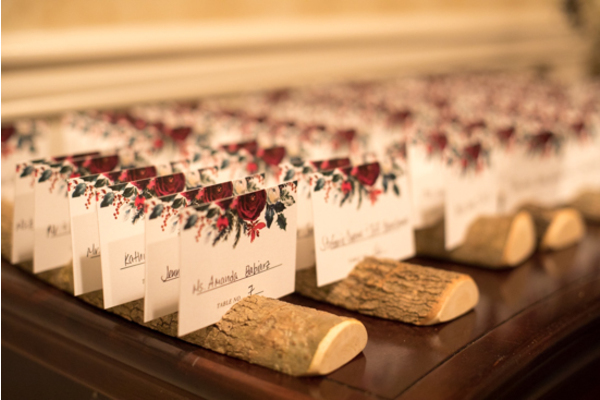 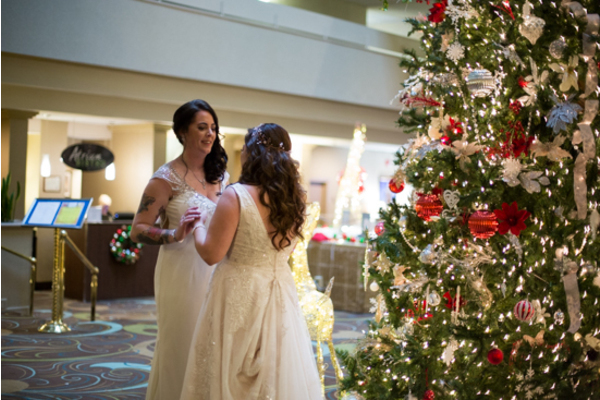 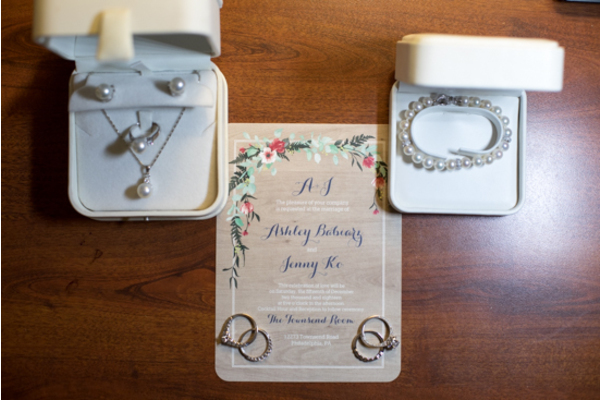 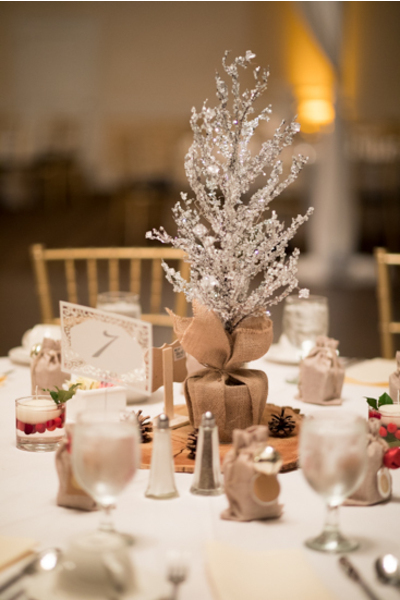 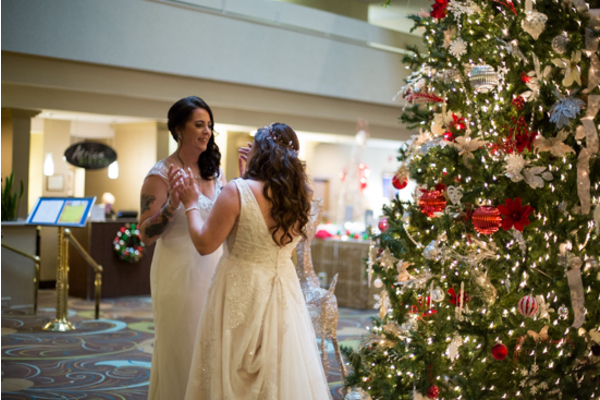 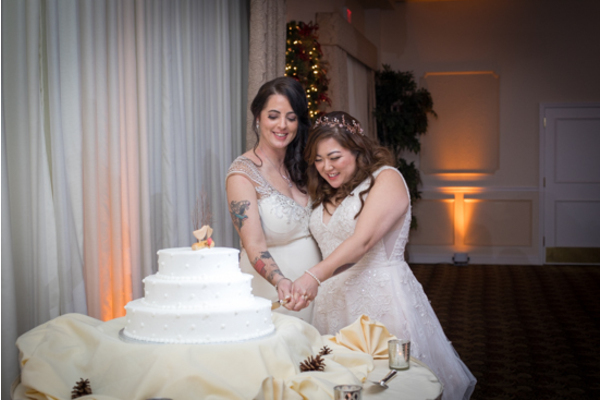 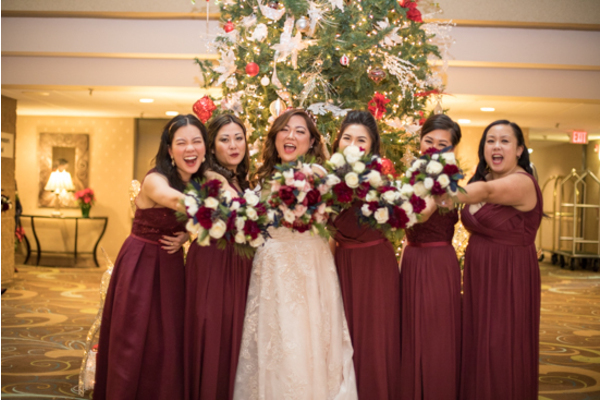 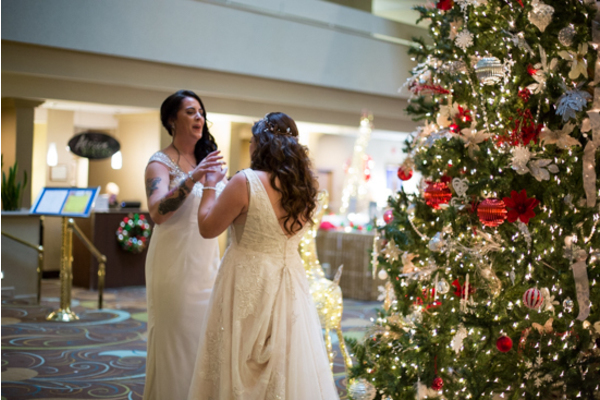 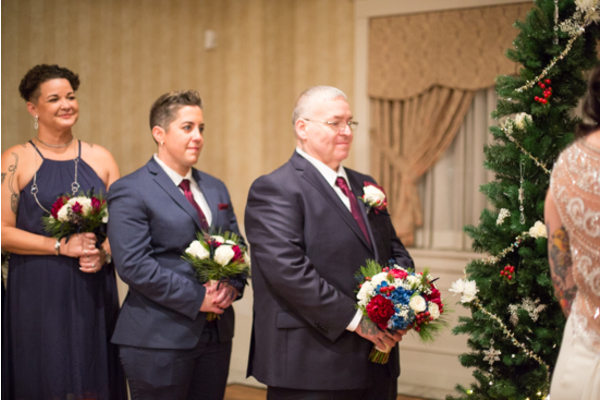 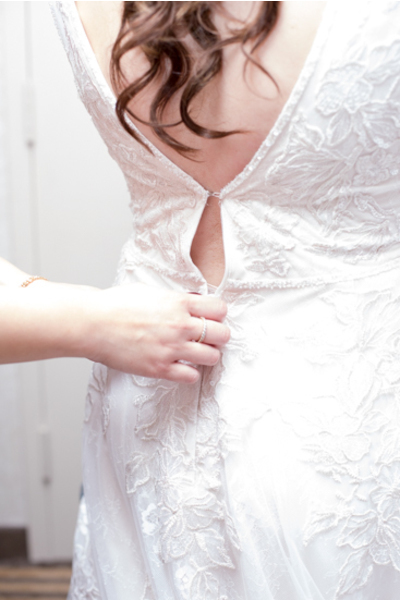 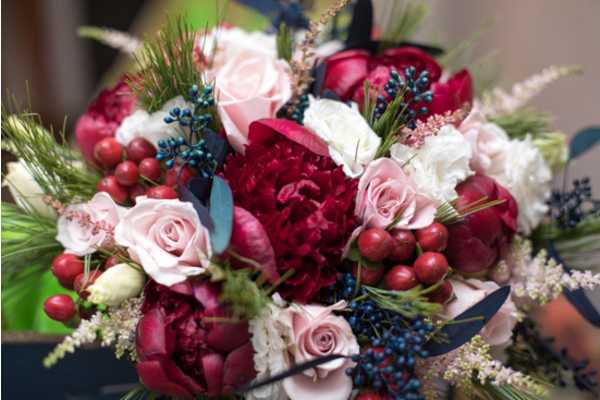 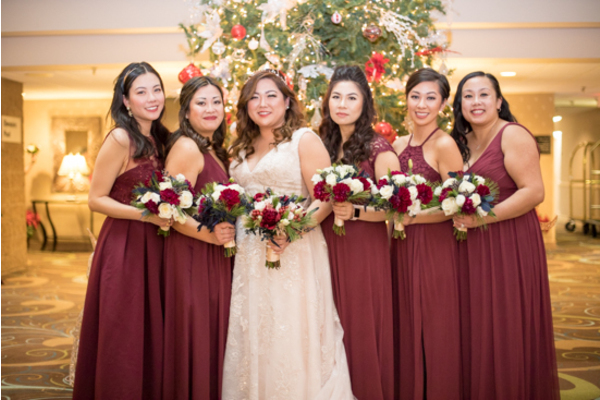 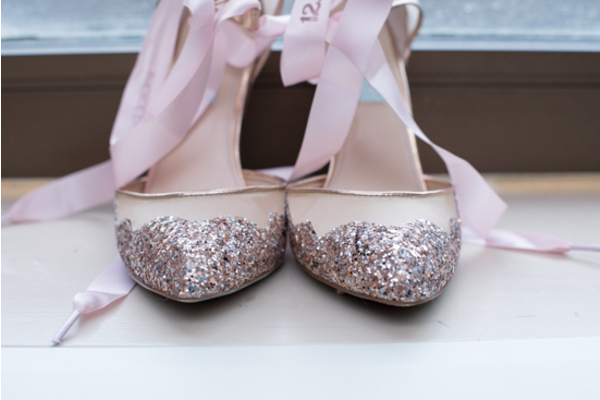 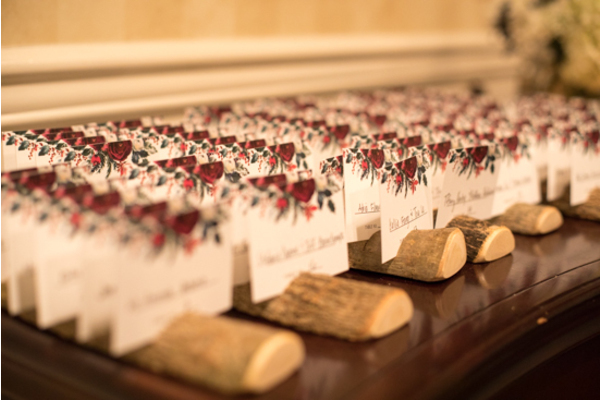 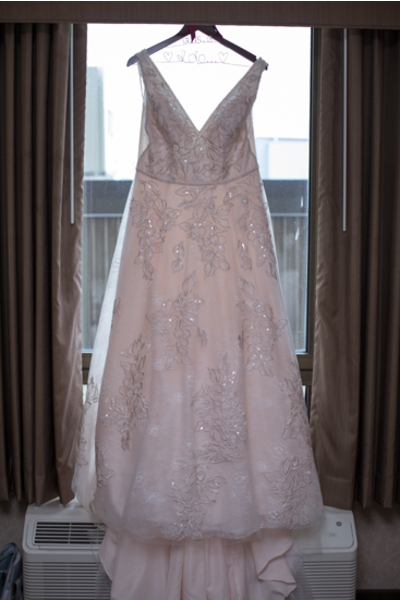 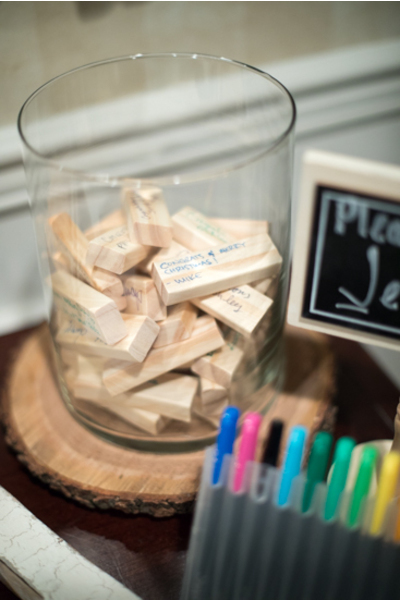 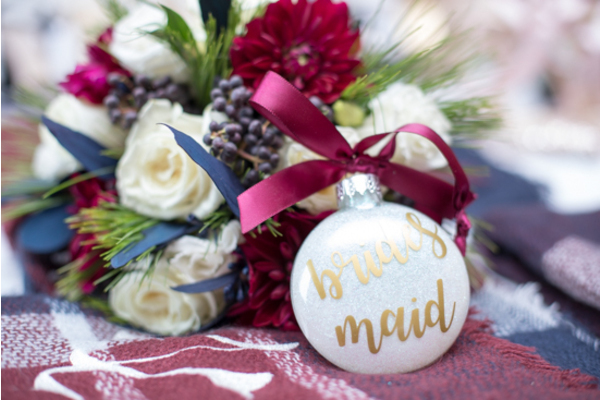 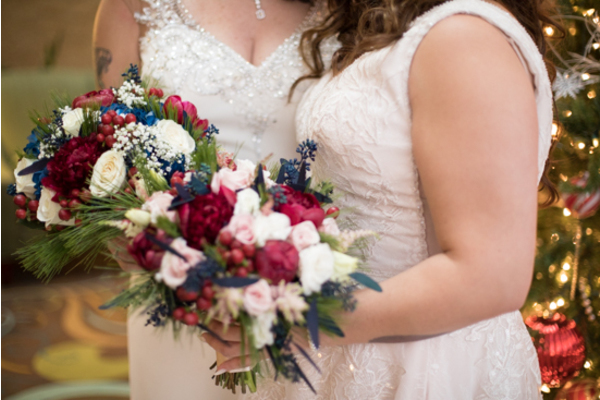 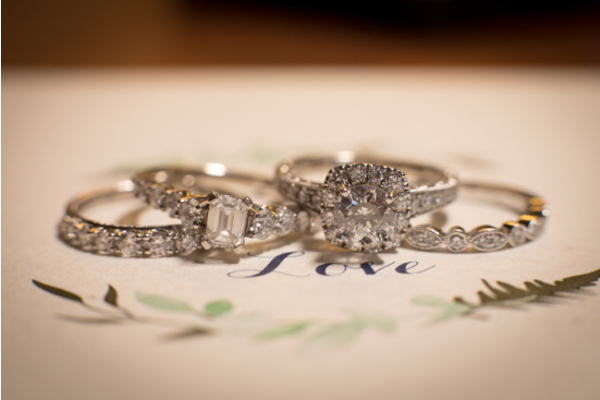 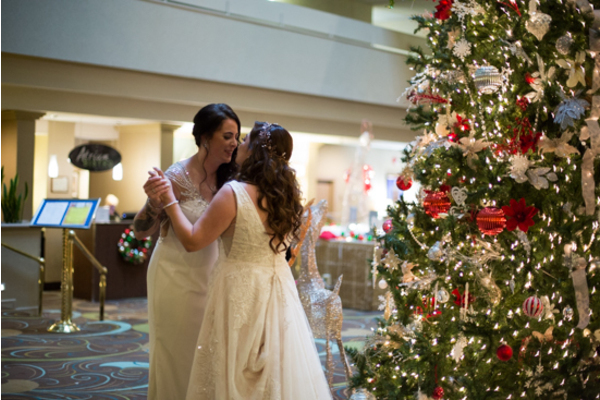 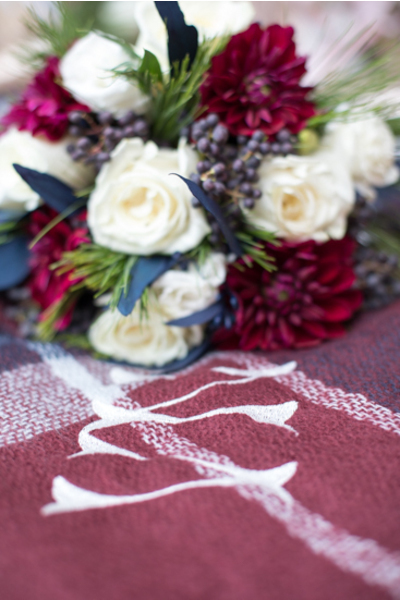 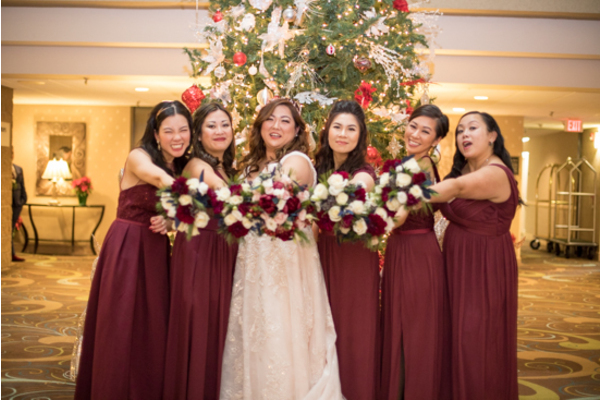 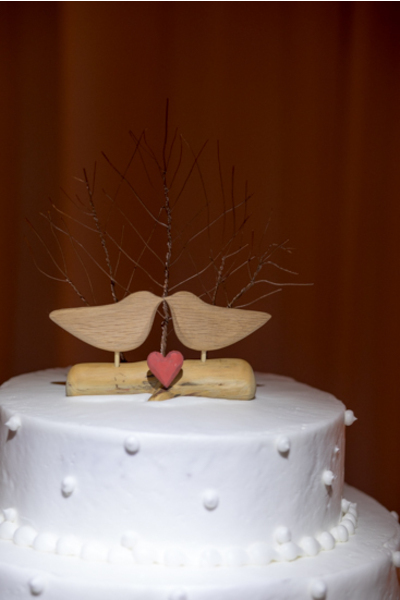 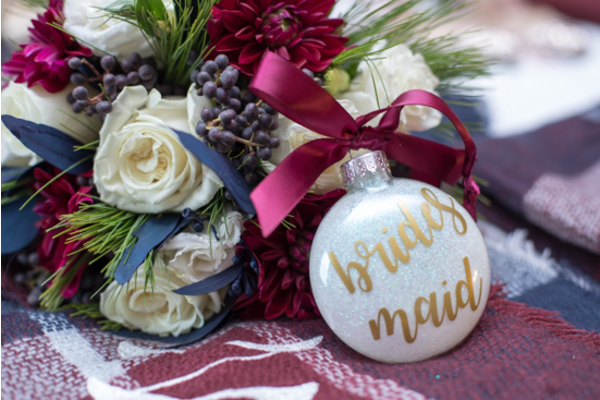 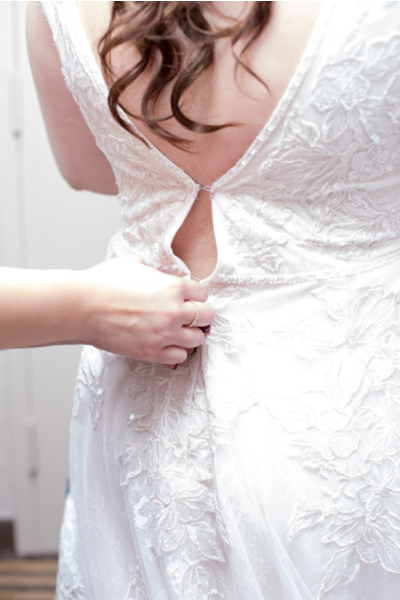 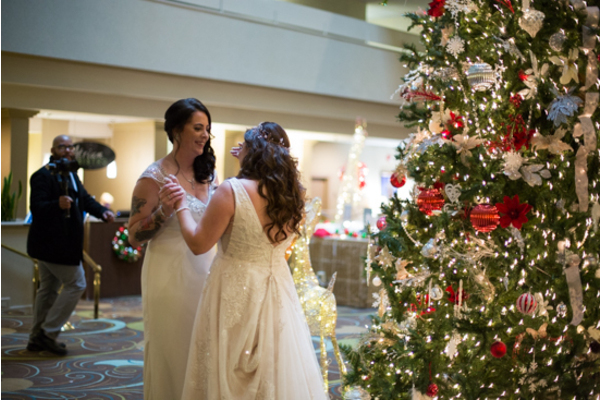 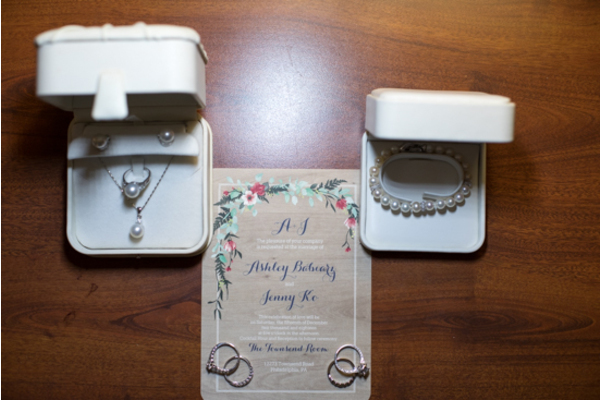 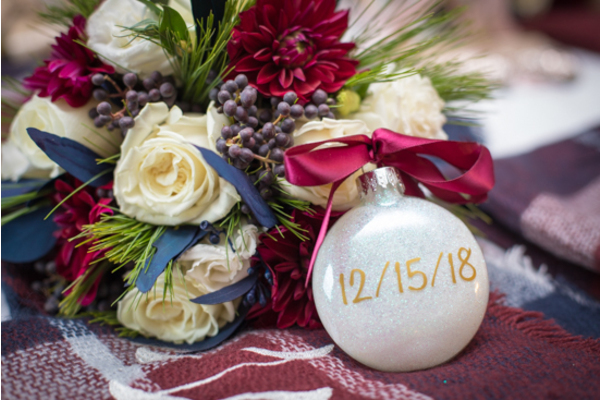 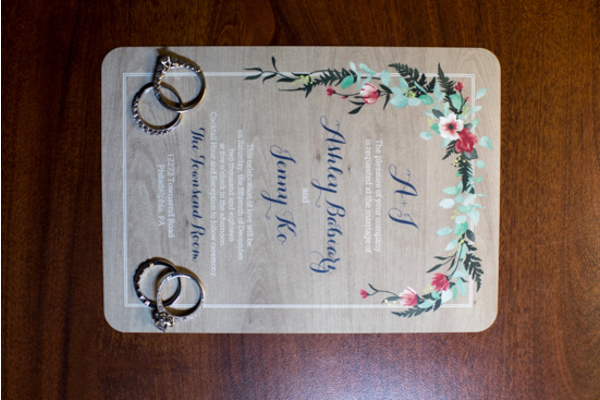 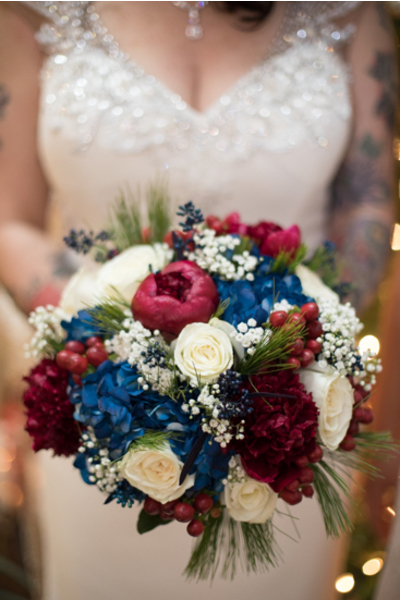 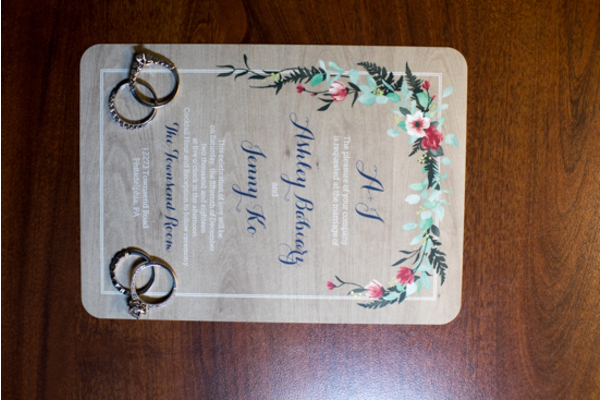 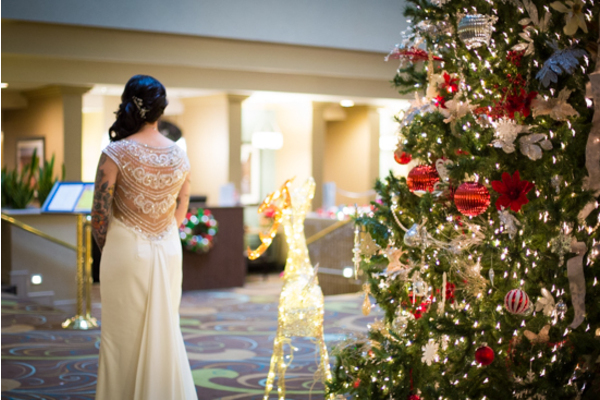 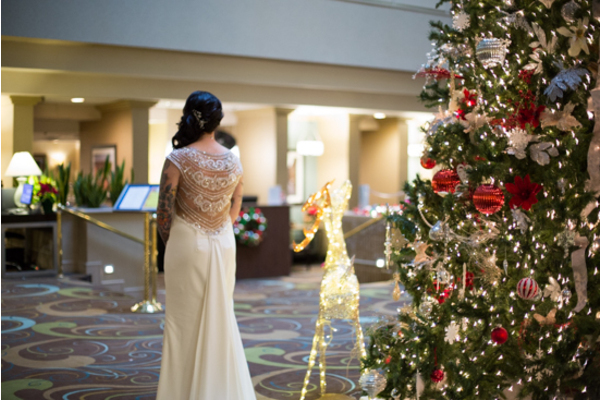 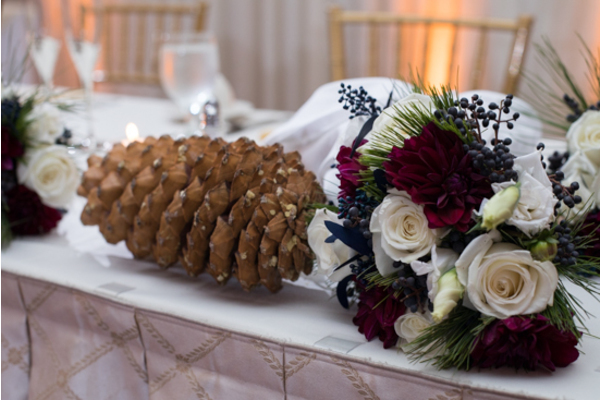 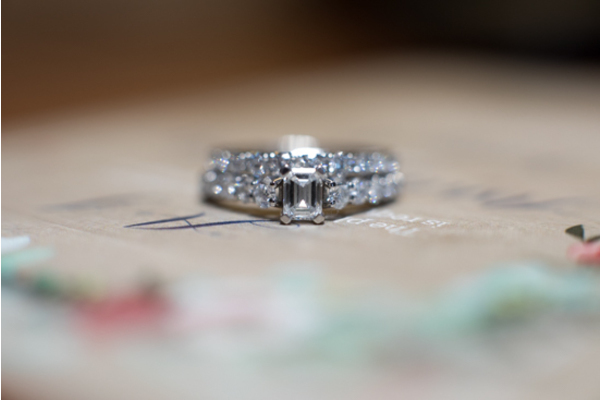 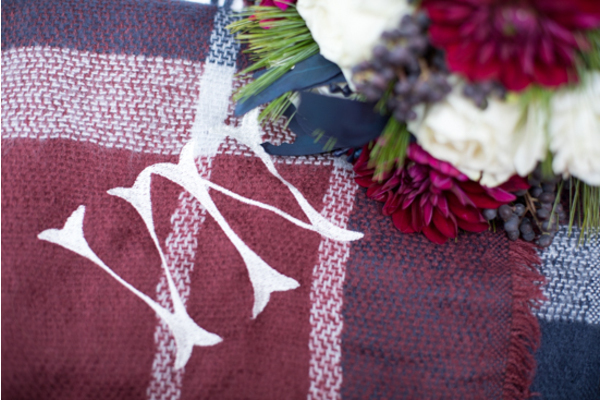 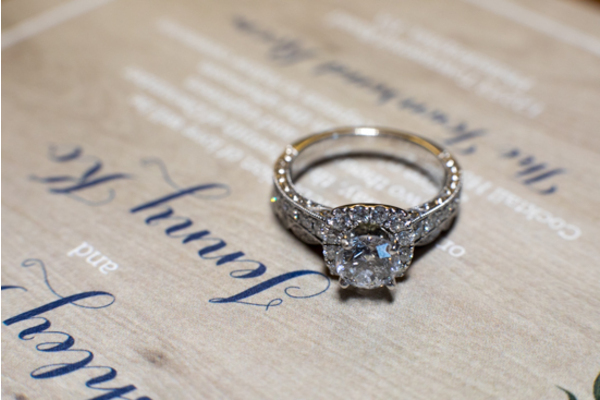 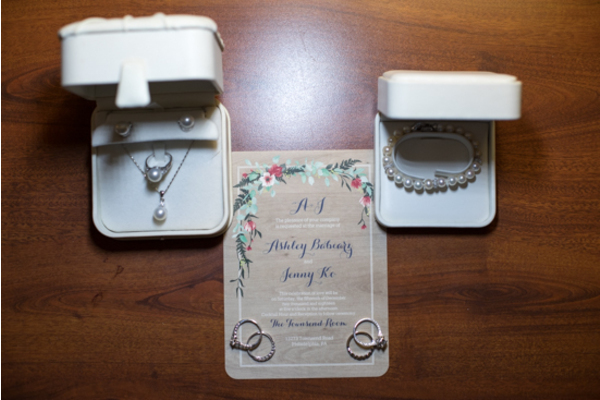 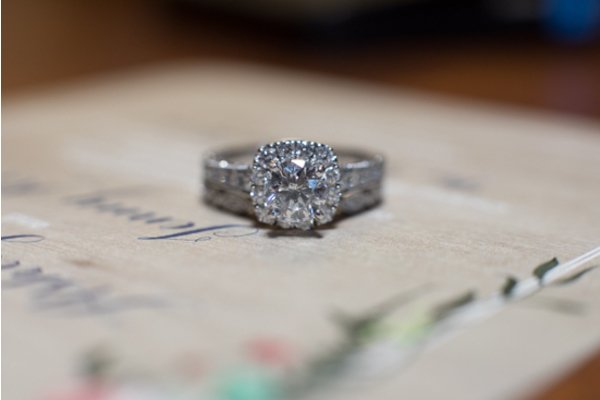 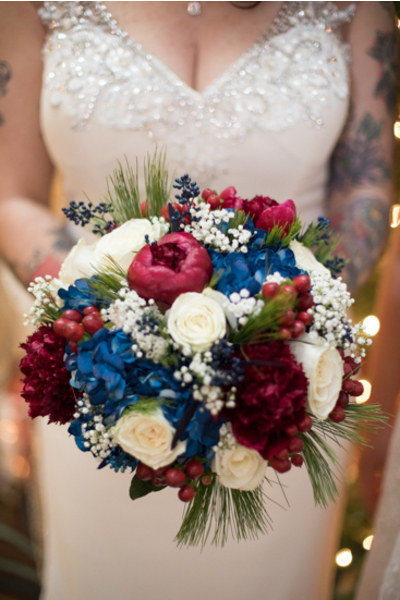 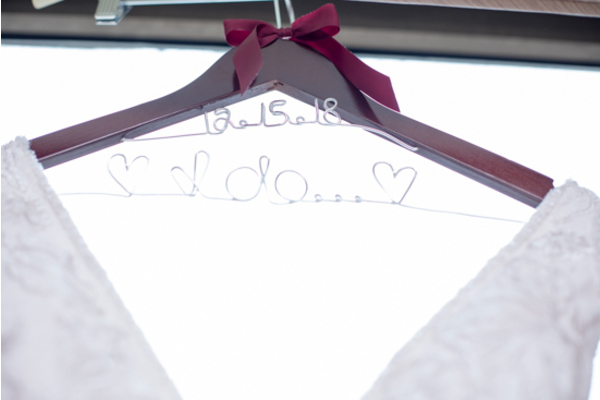 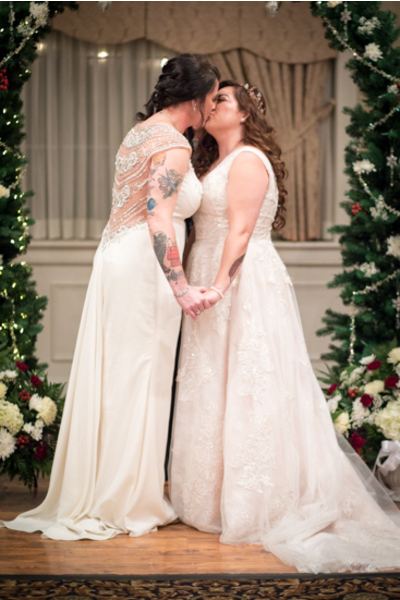 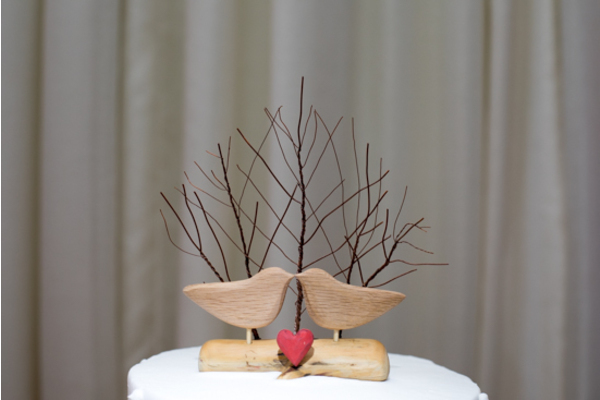 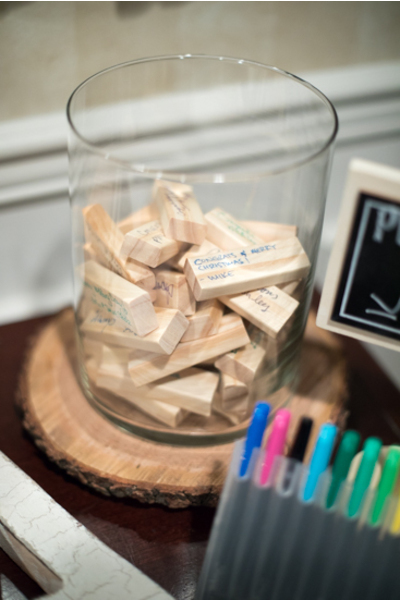 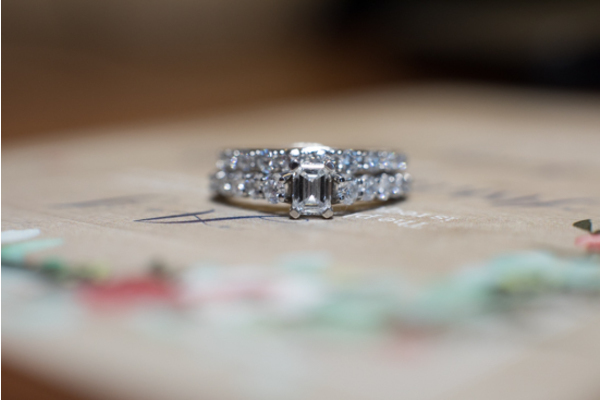 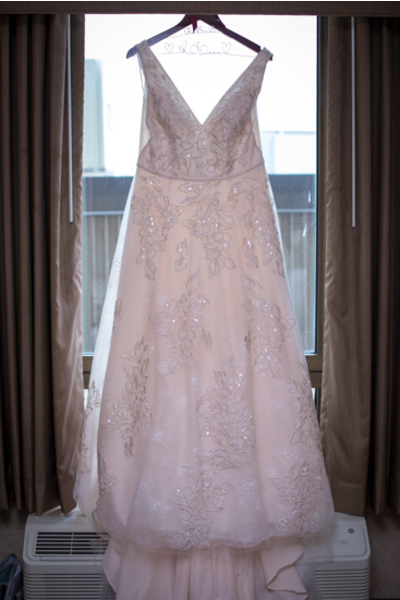 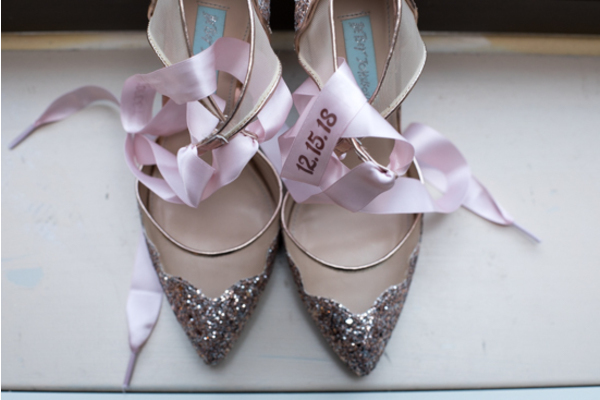 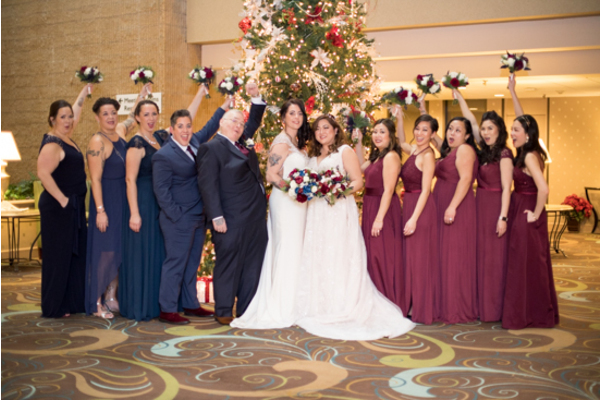 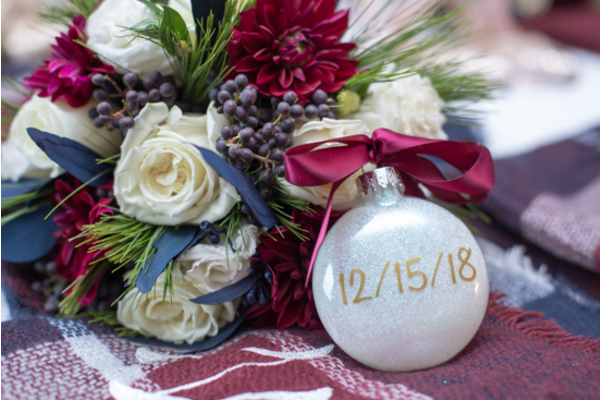 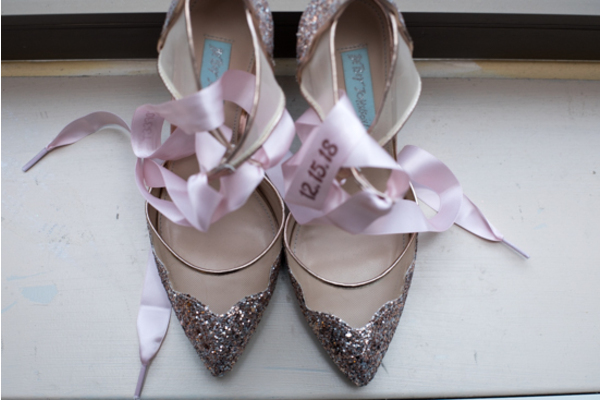 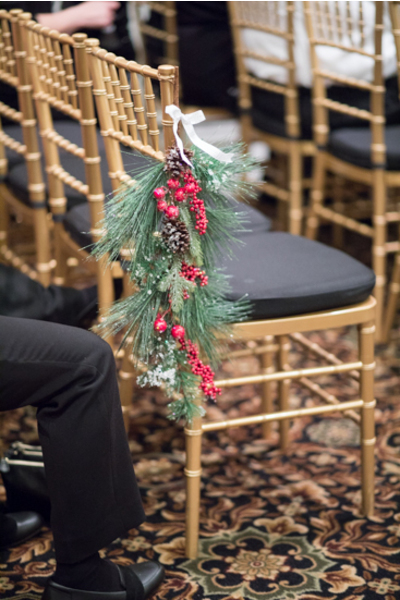 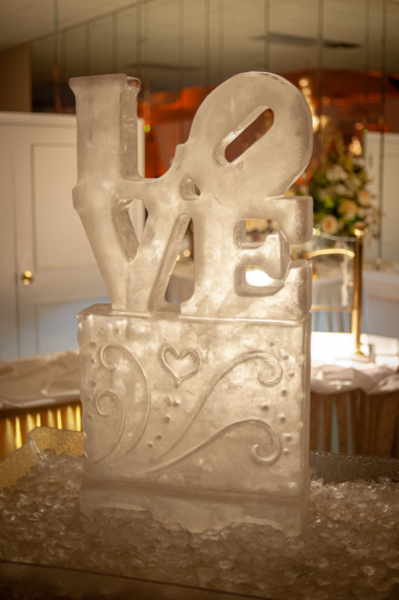 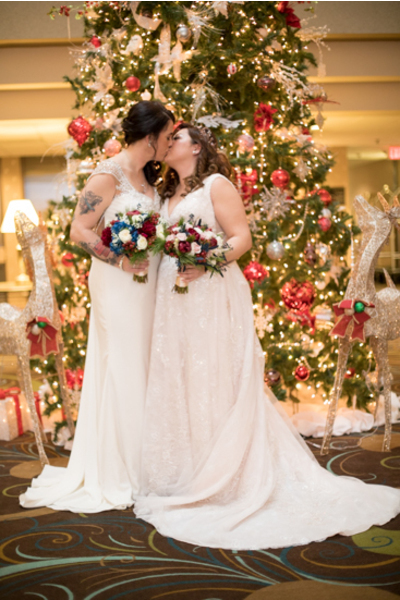 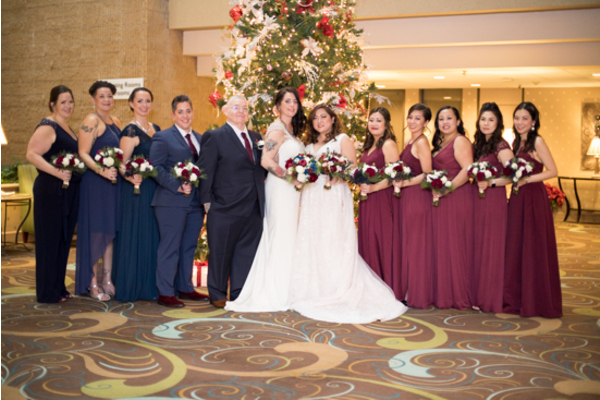 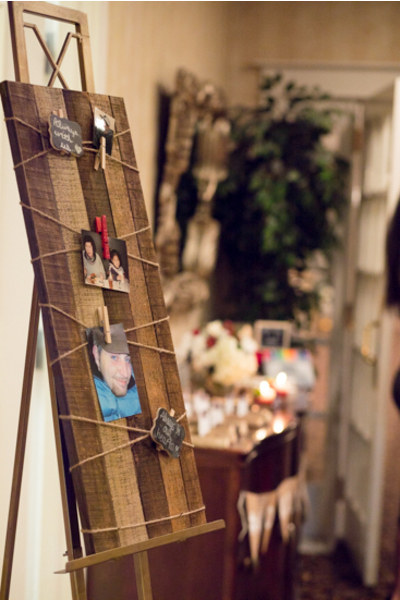 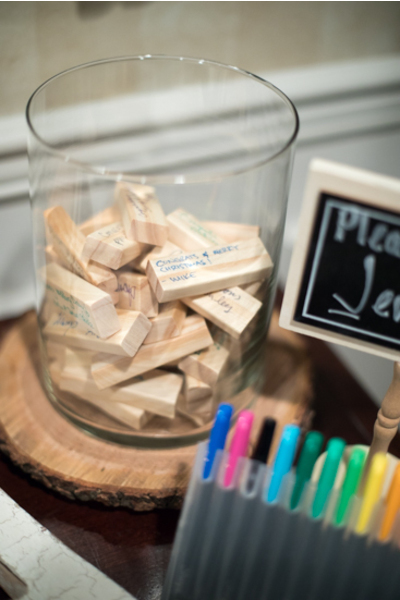 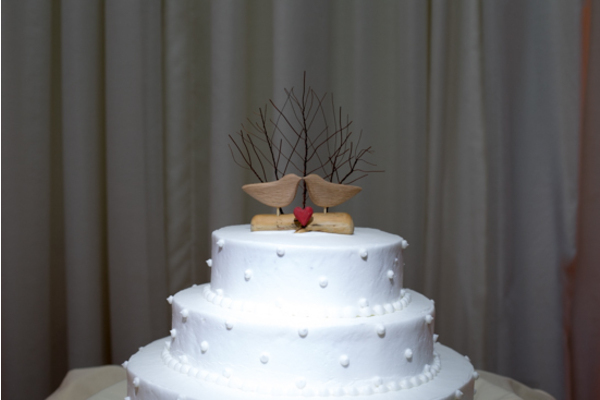 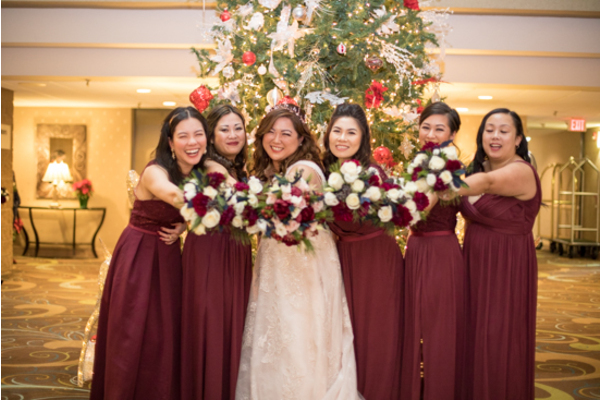 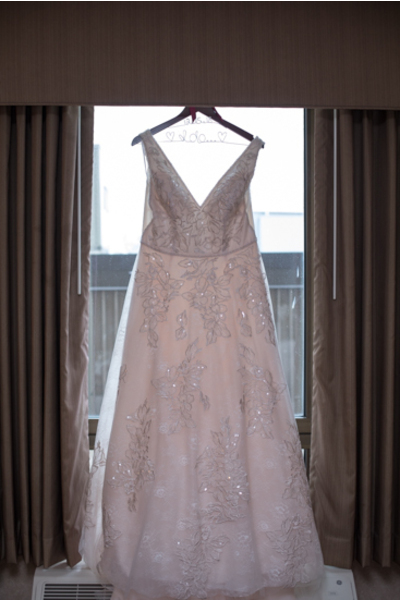 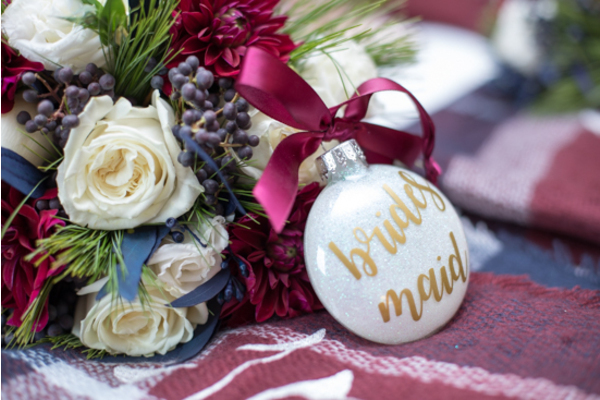 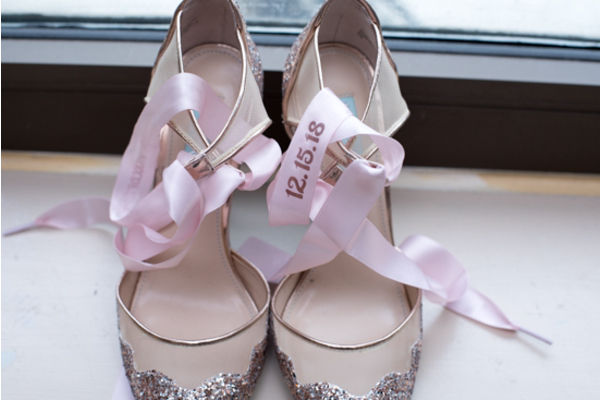 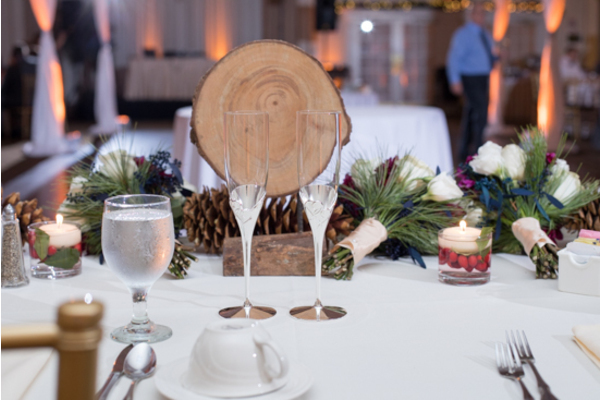 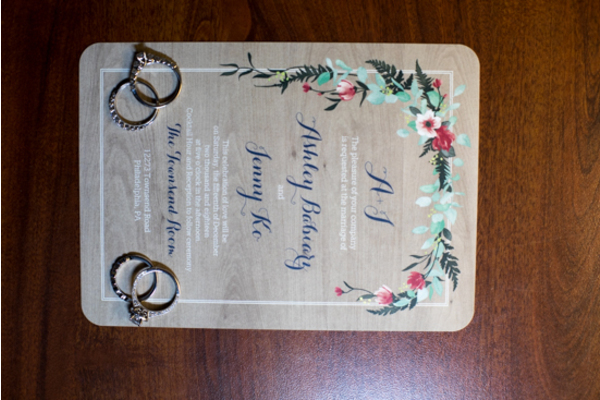 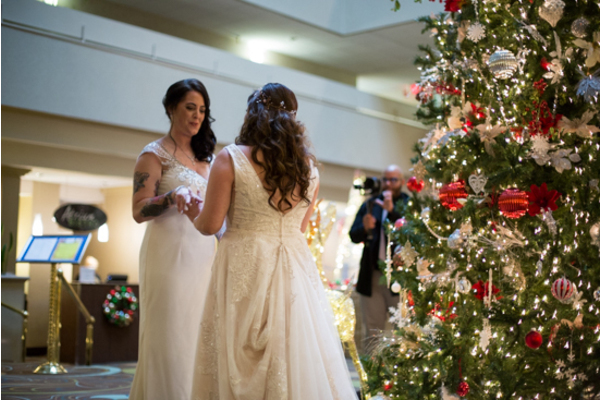 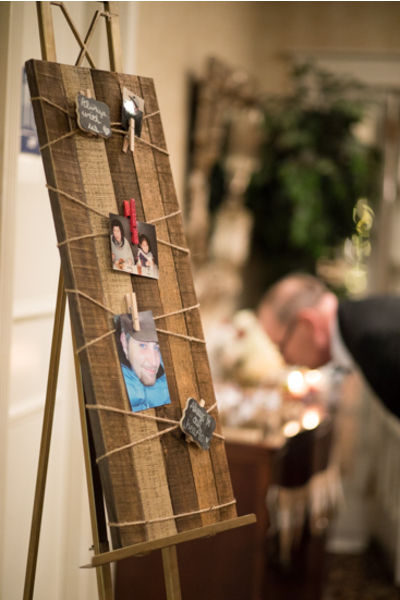 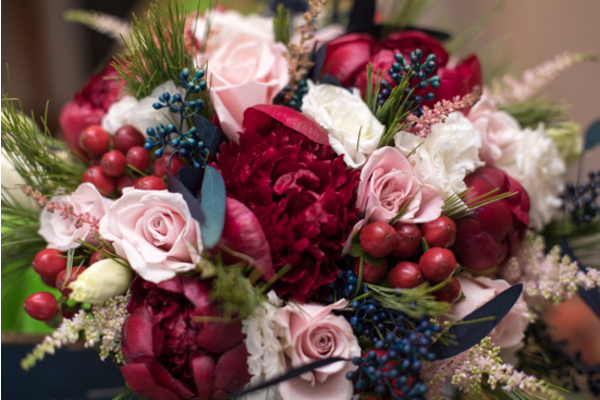 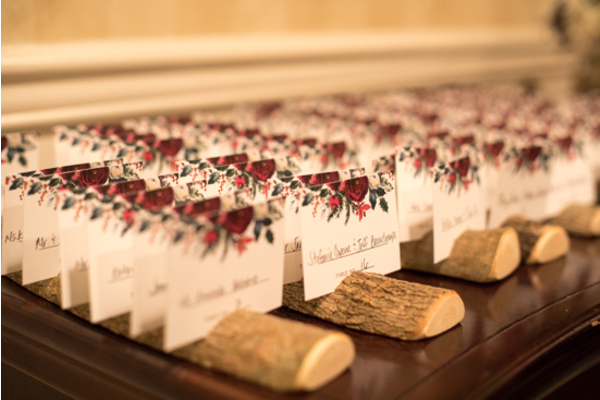 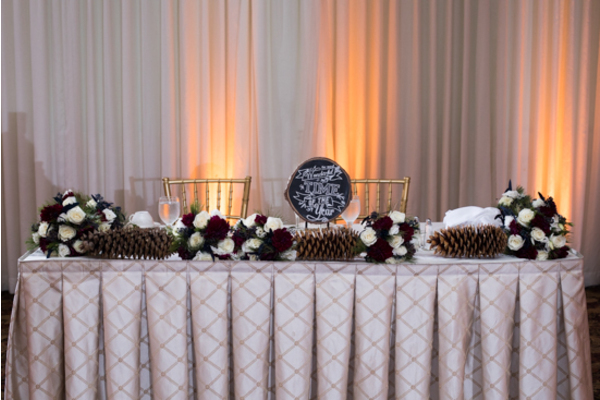 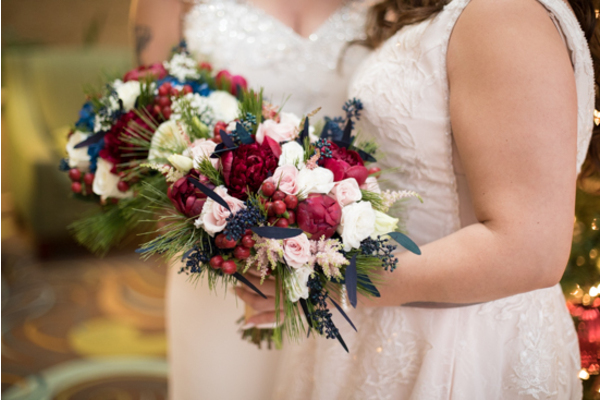 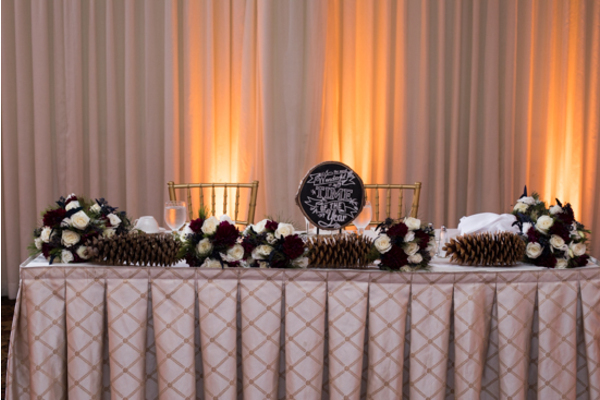 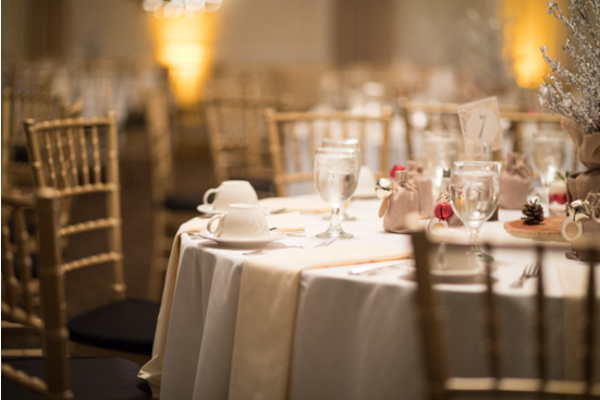 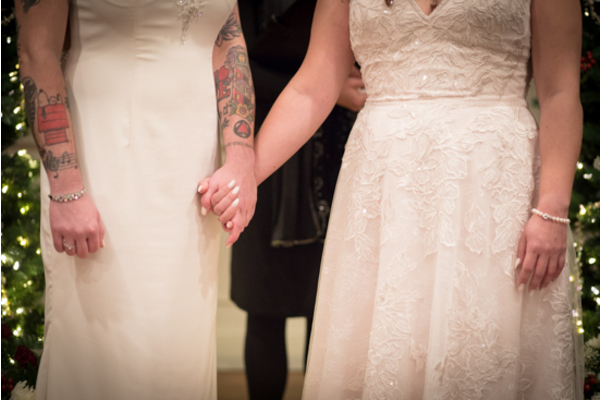 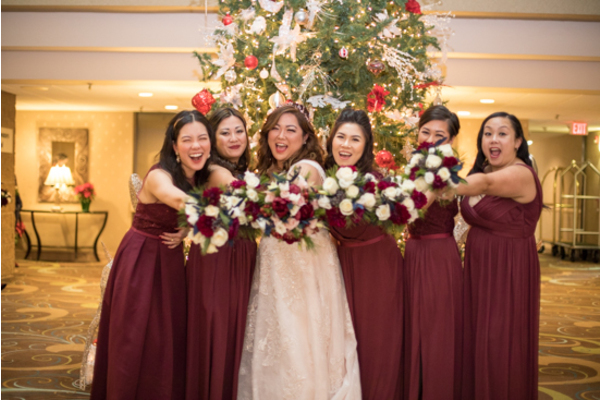 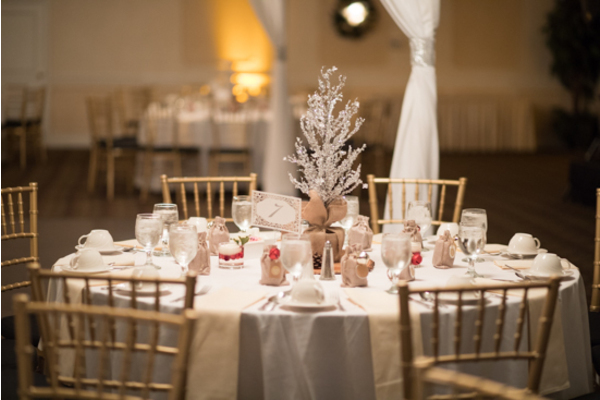 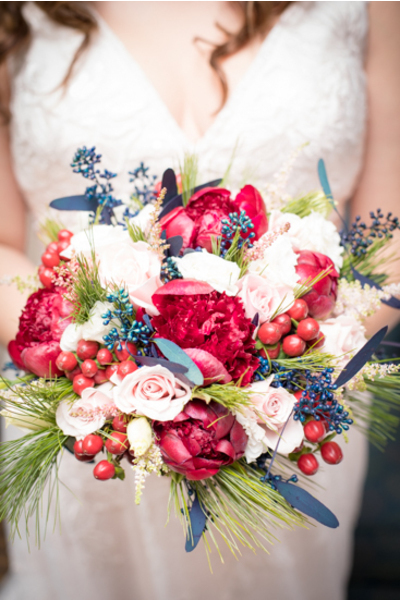 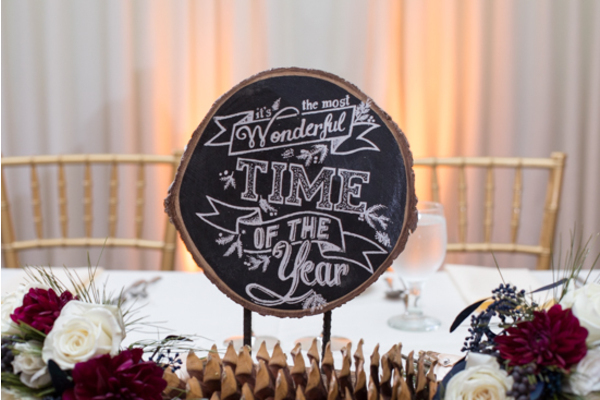 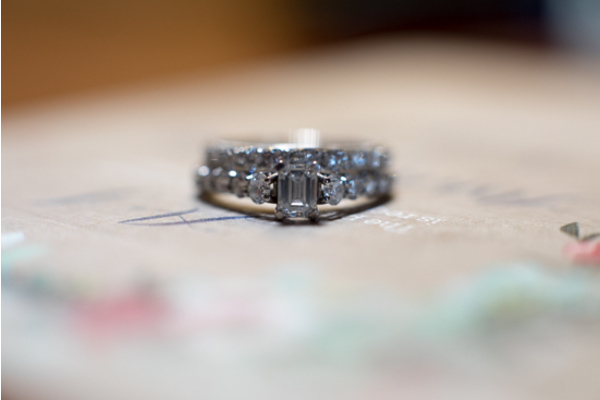 This lovely couple held their dream wedding at Townsend Room in Philadelphia, Pennsylvania. 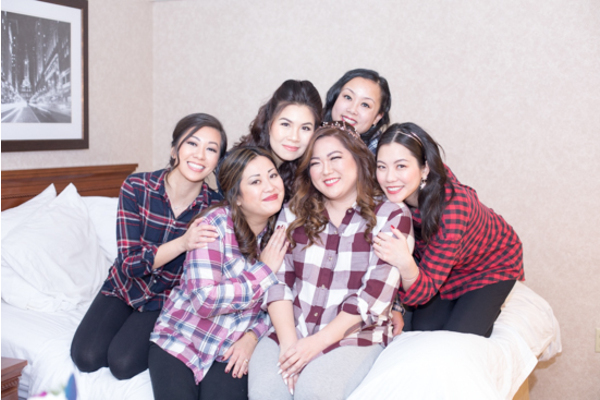 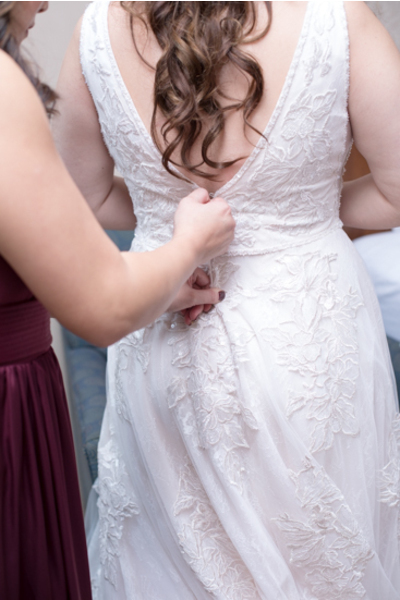 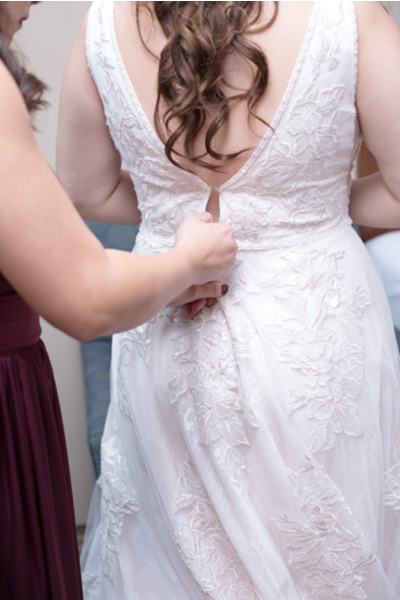 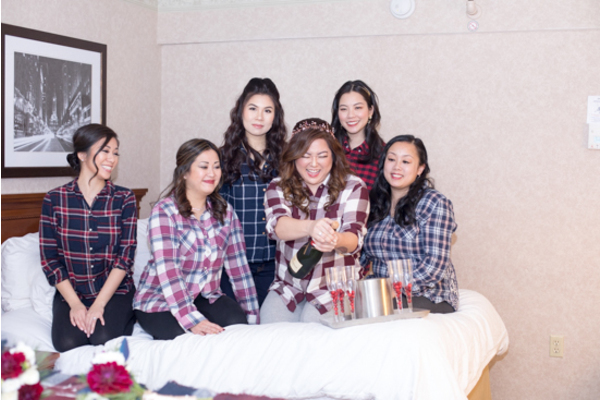 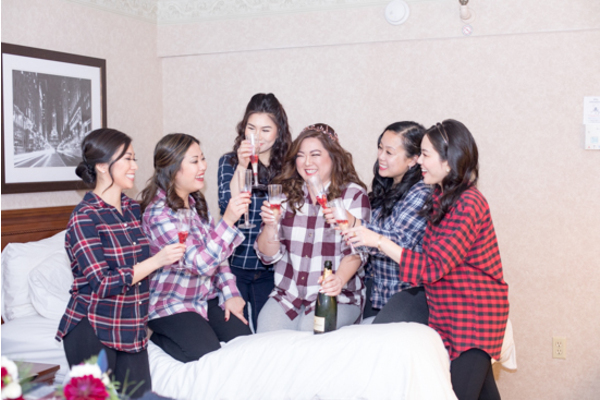 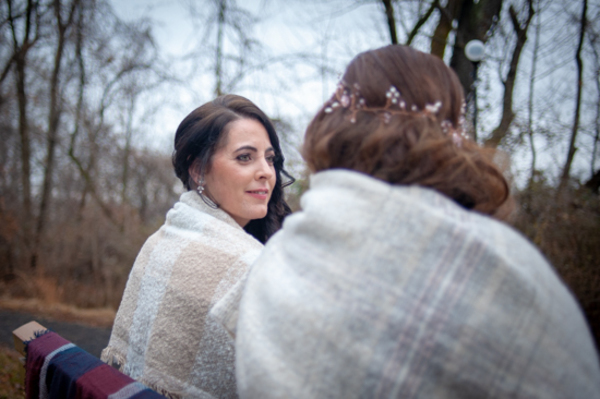 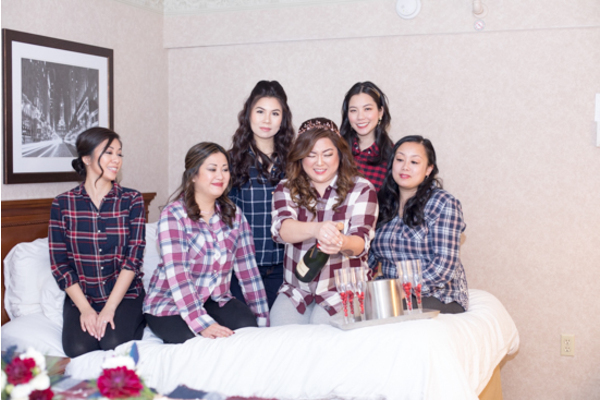 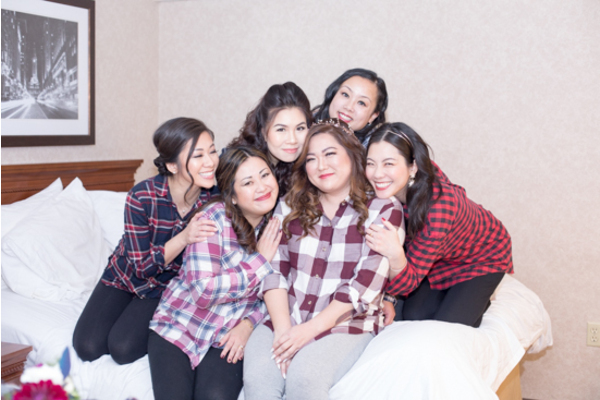 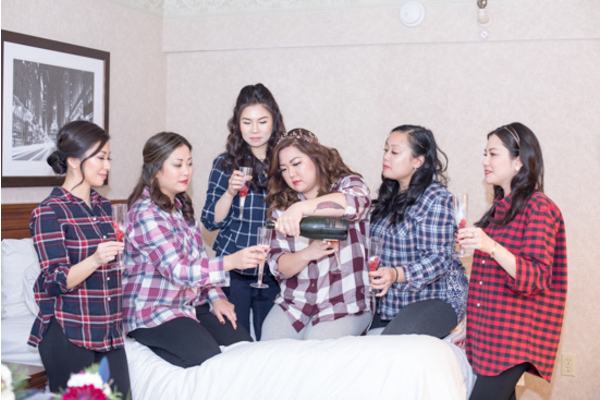 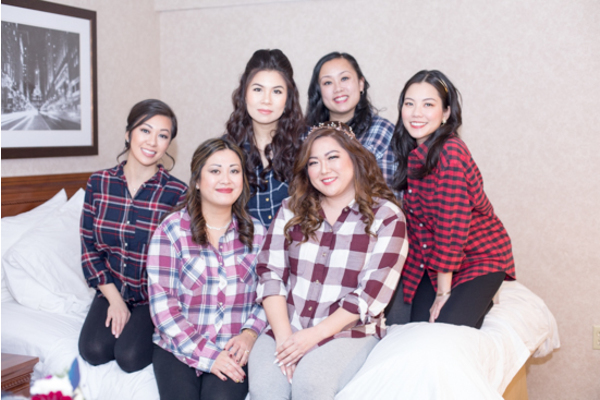 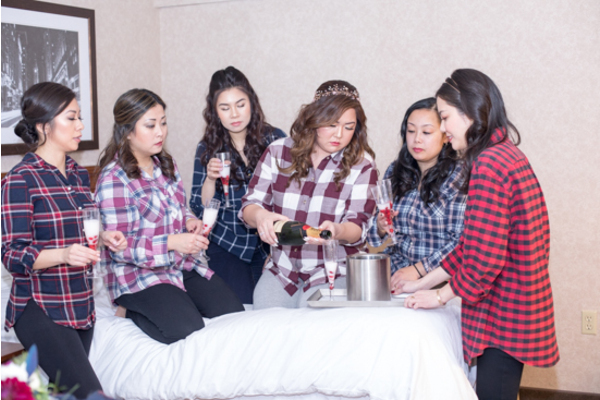 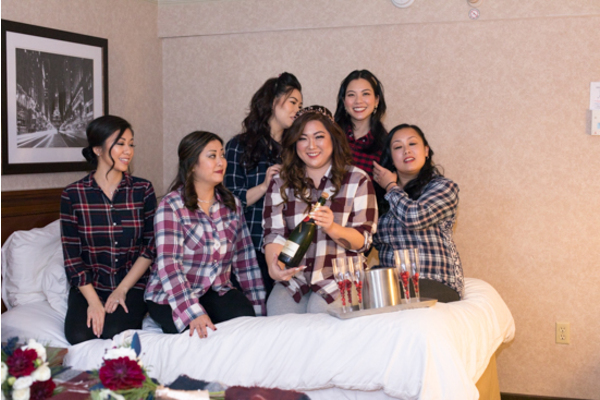 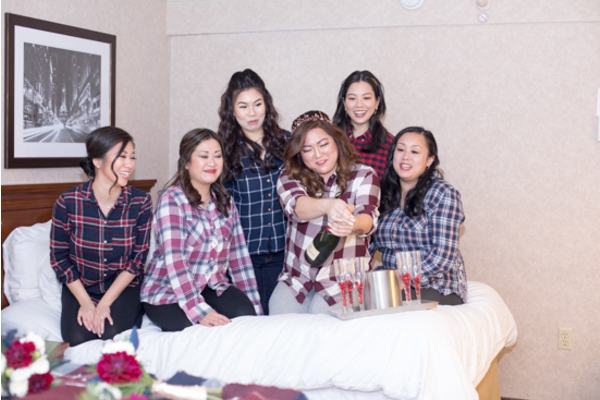 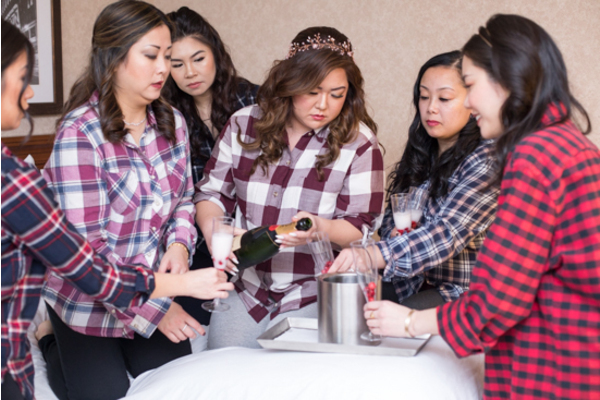 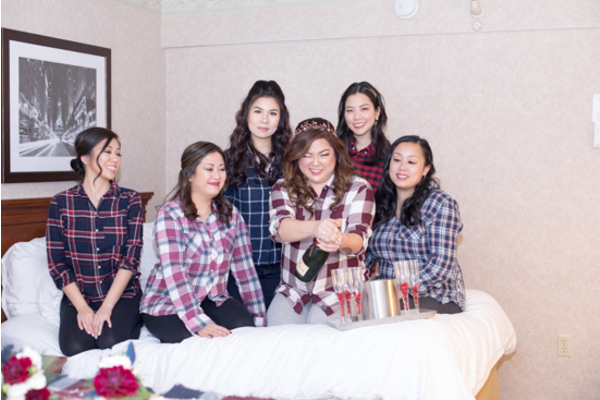 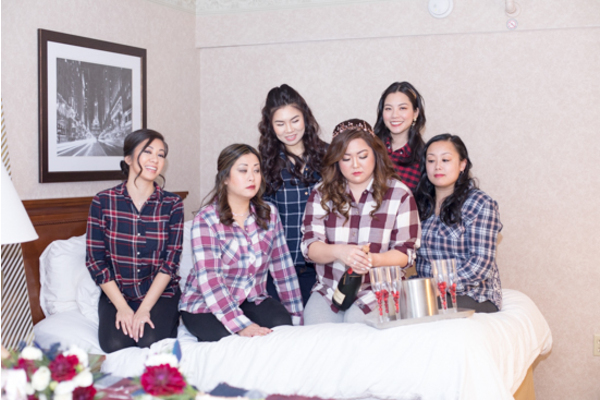 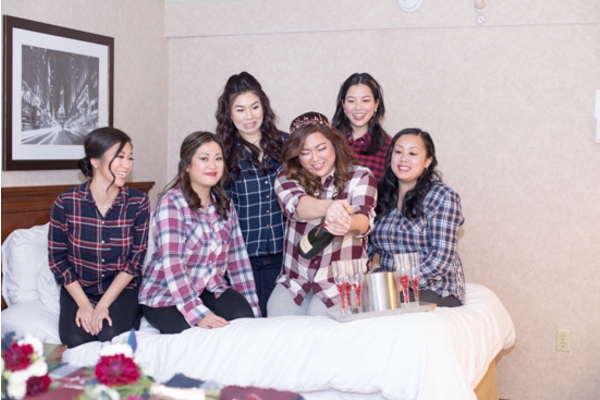 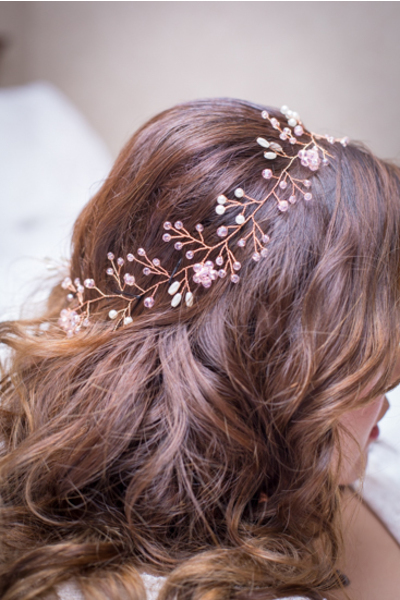 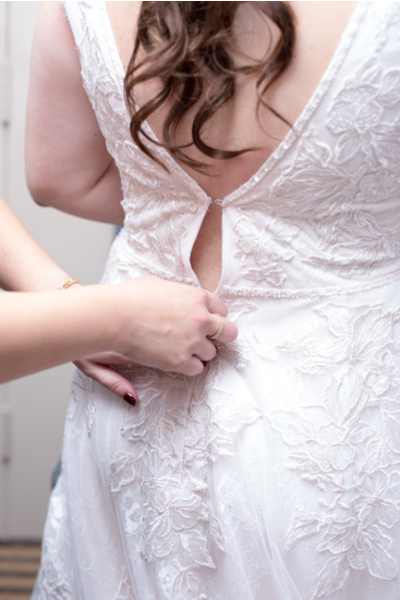 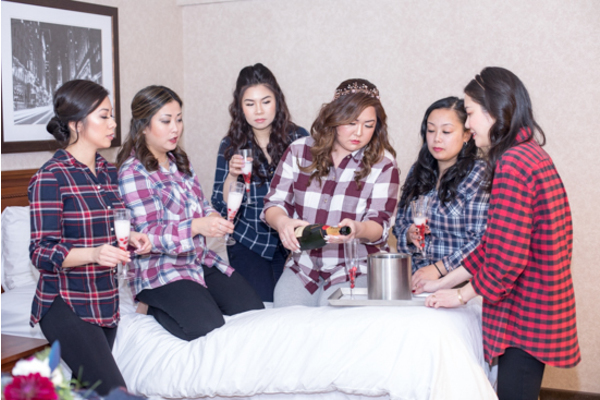 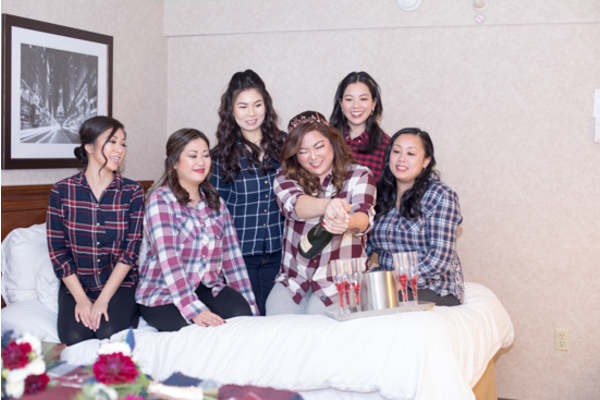 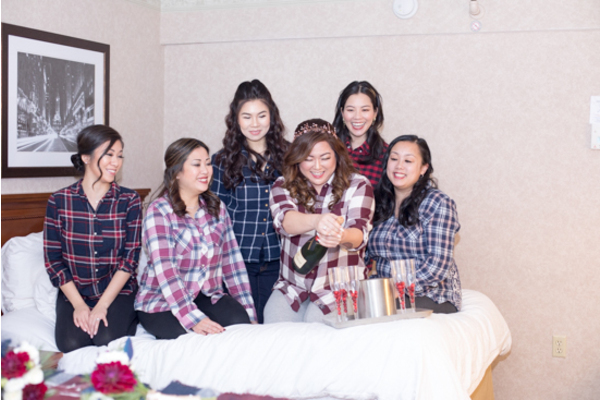 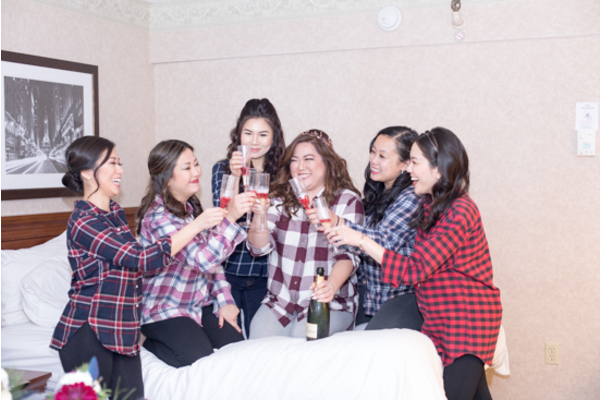 Jenny and Ashley began their day being pampered by their bridal party. 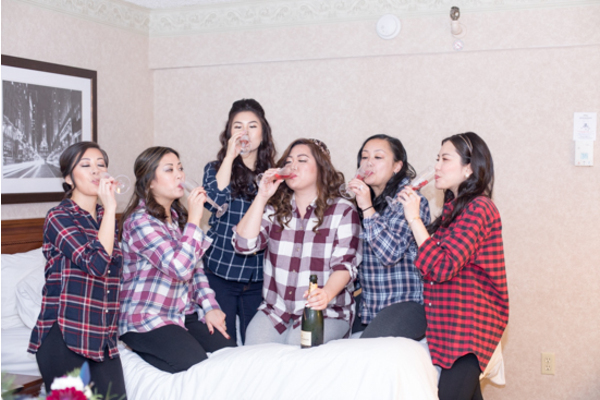 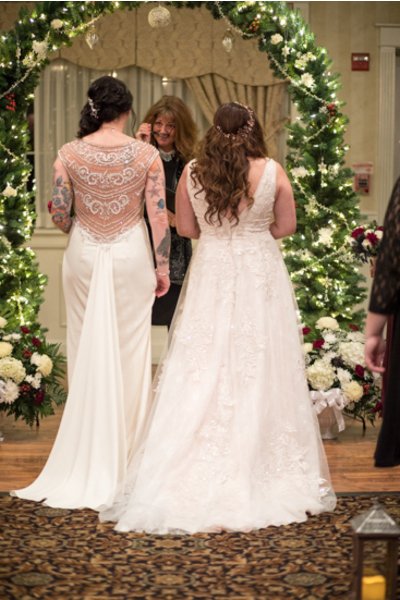 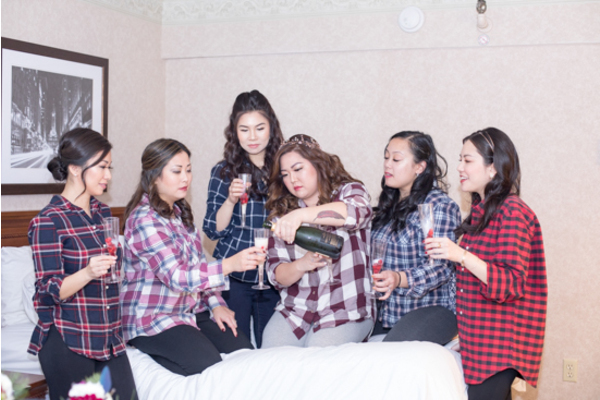 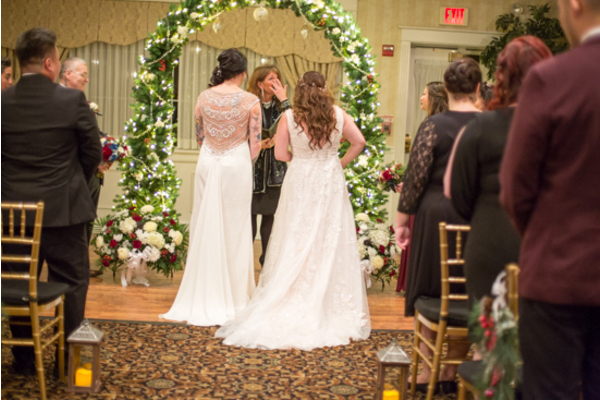 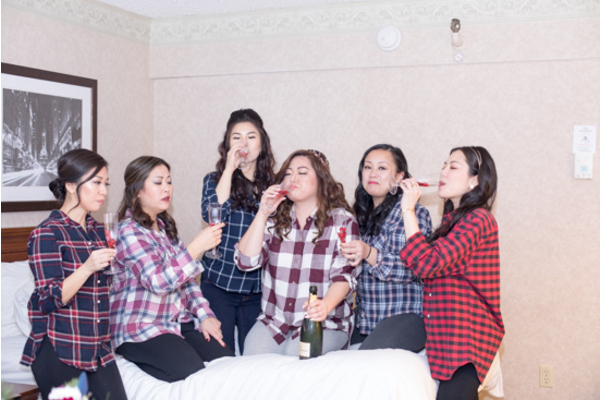 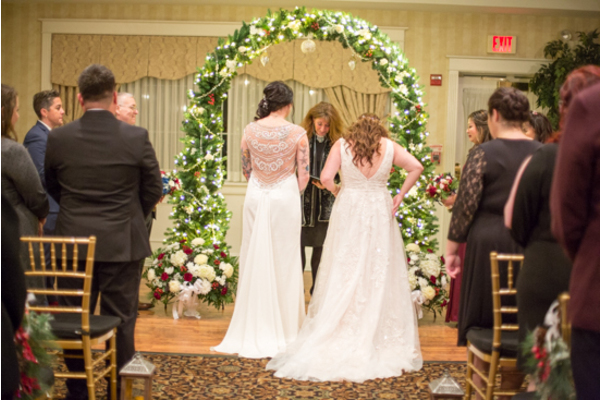 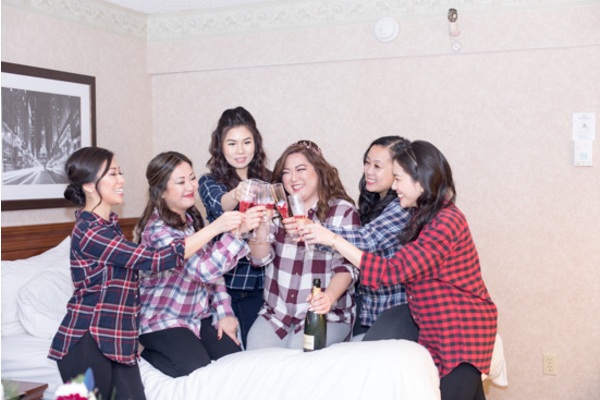 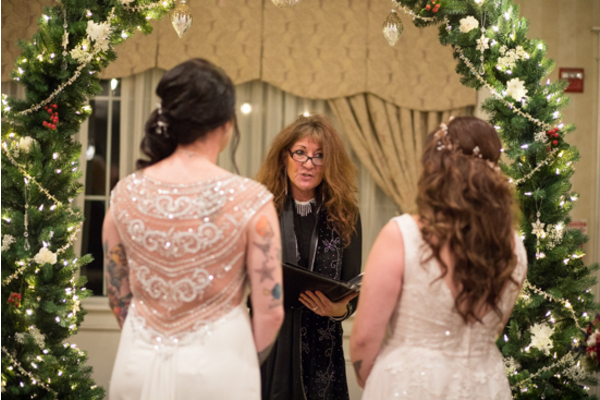 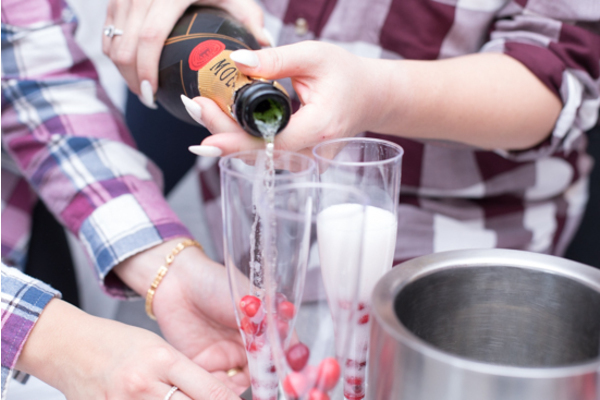 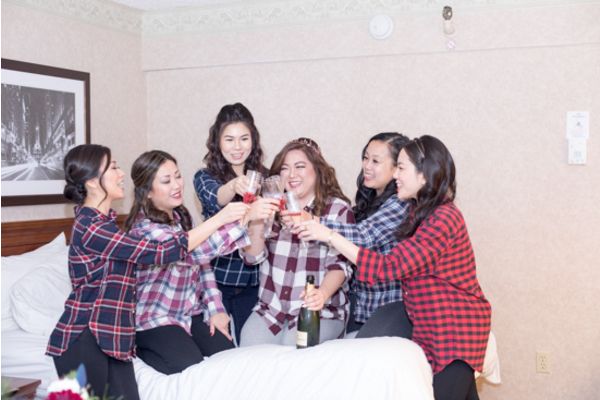 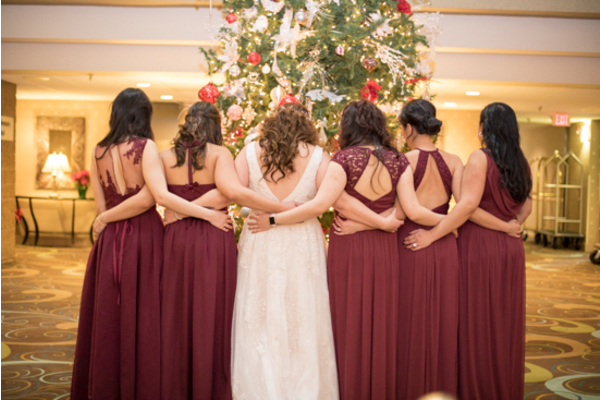 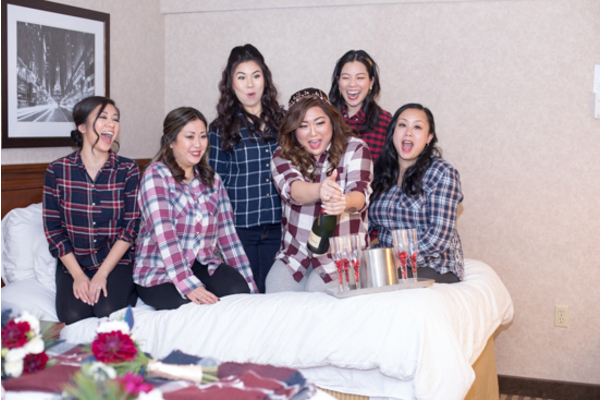 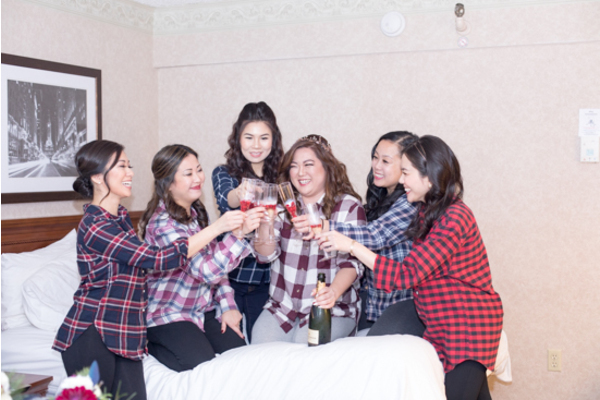 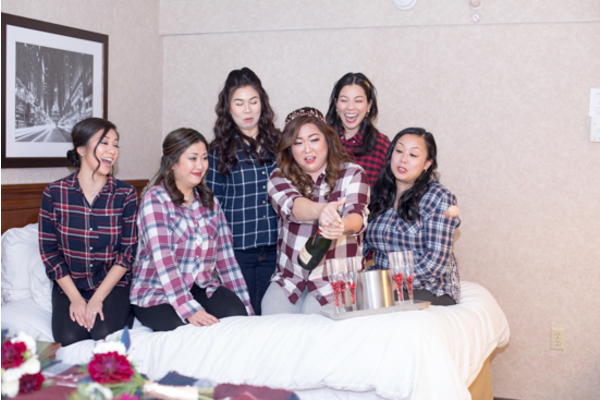 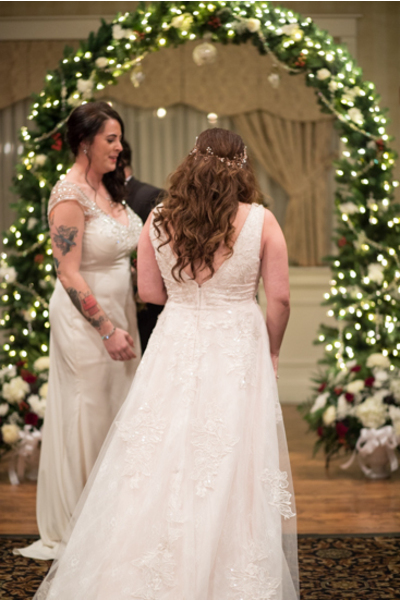 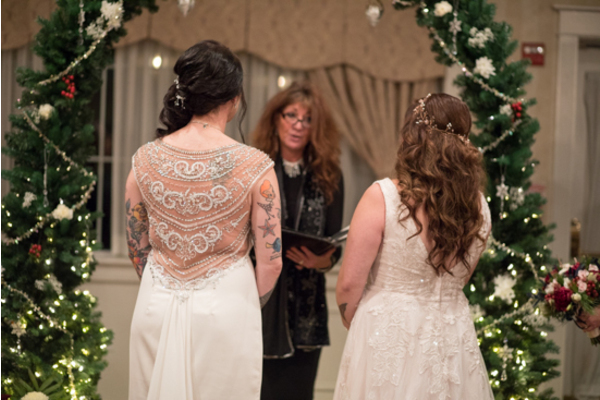 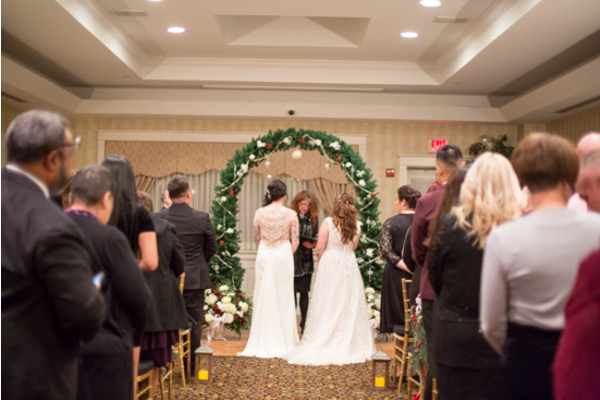 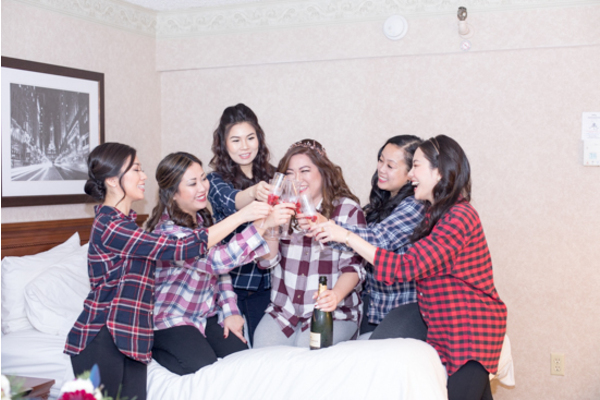 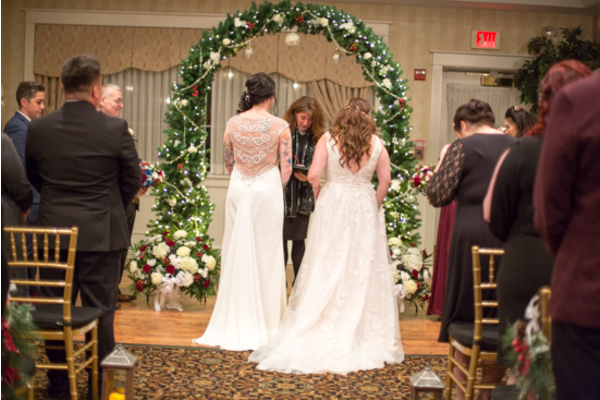 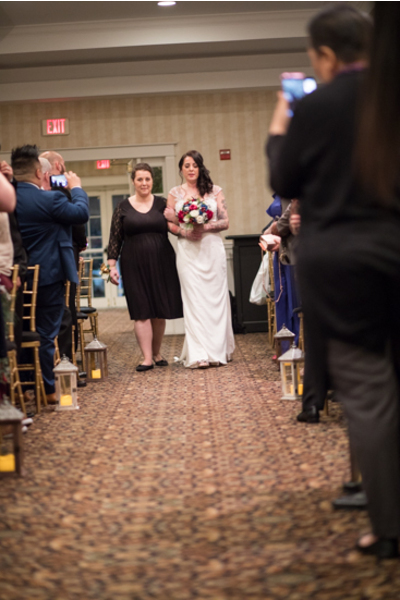 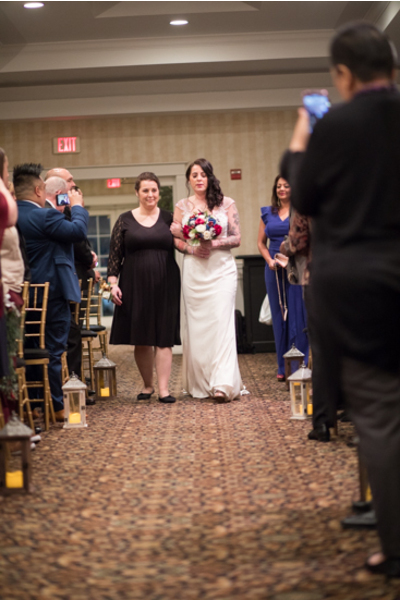 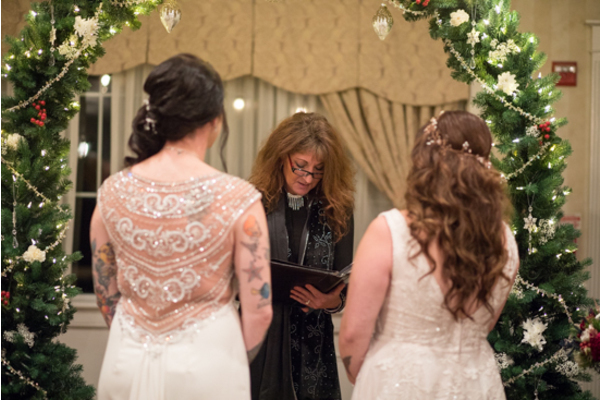 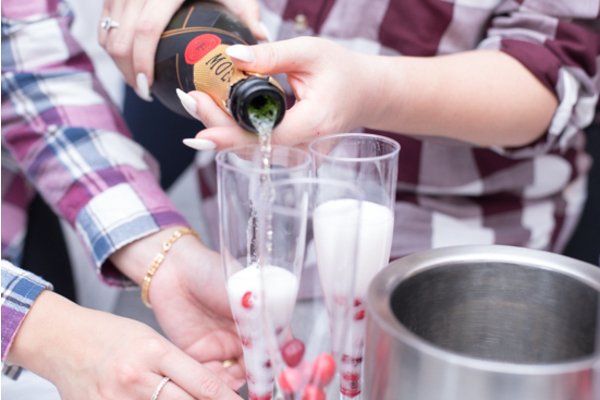 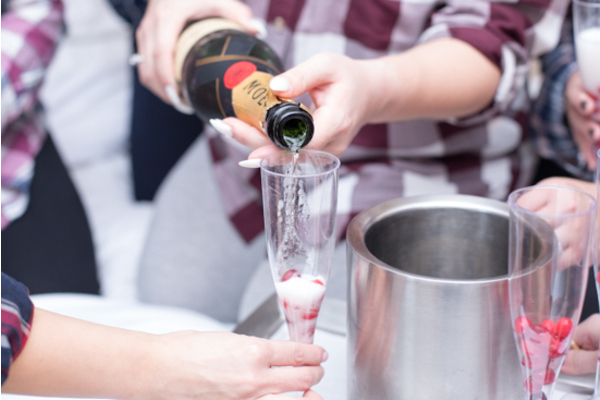 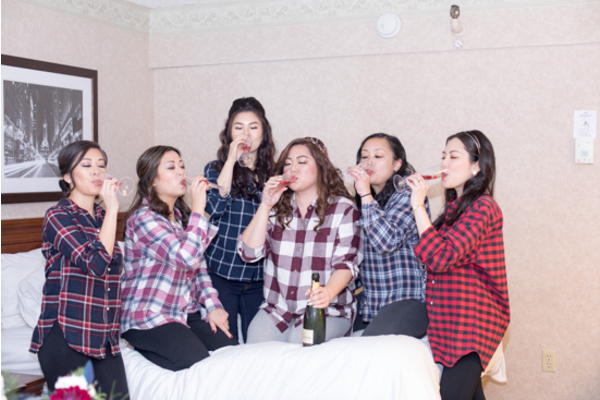 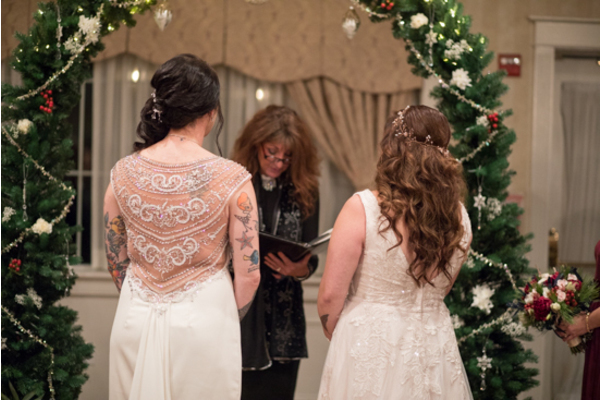 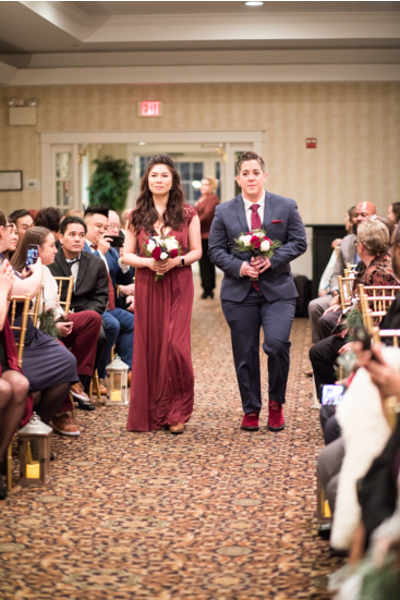 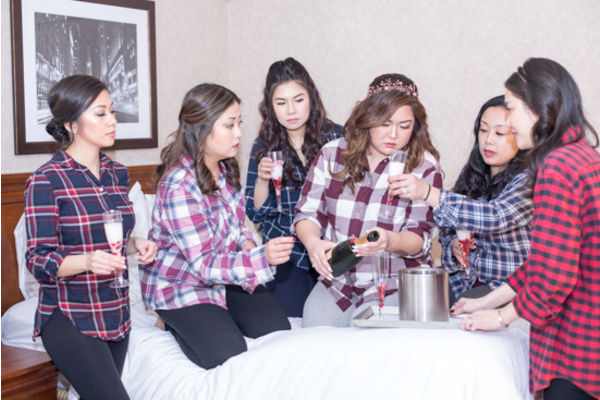 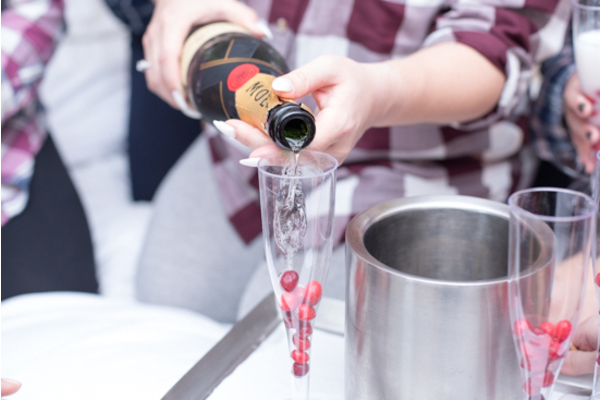 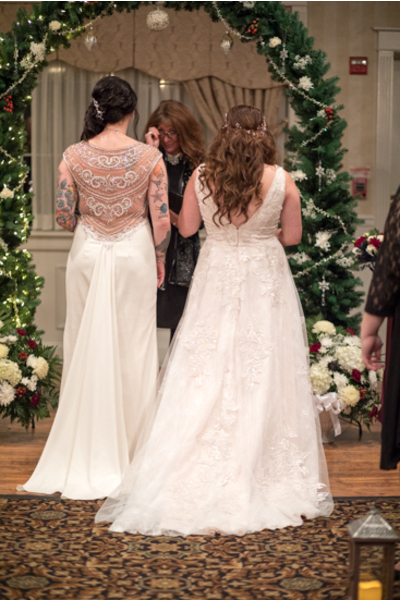 Our NJ Wedding Photographer was there as the girls celebrated and popped some champagne. 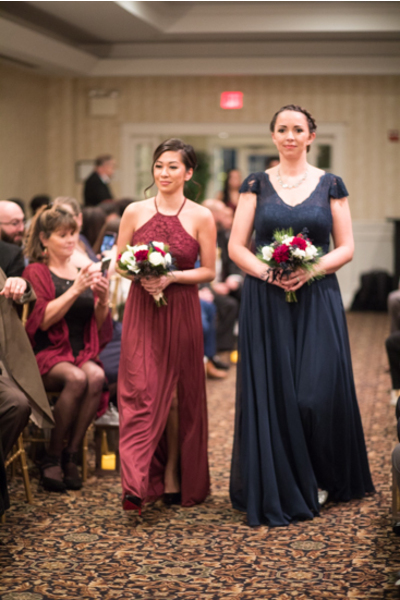 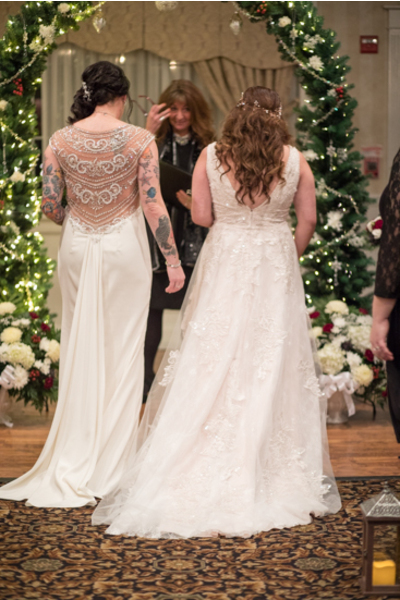 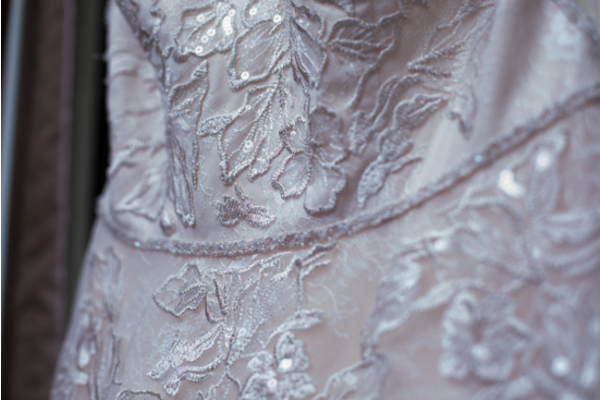 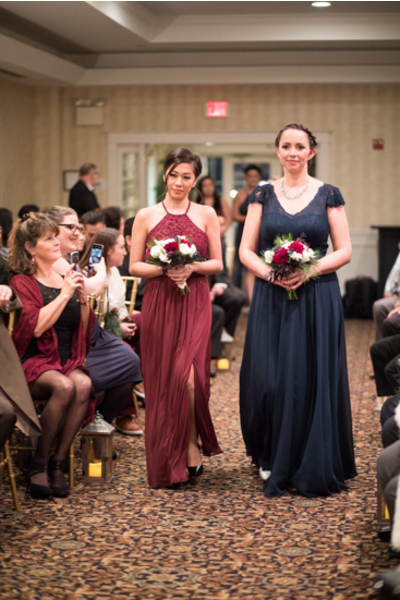 Once the final touches on their gowns were in place they were ready for their first look at one another. Filled with love the two were joined by their bridal party for some portraits before heading to the ceremony. 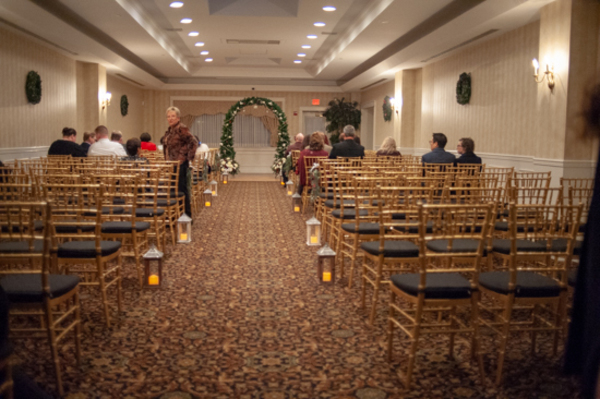 It was time for the ceremony to begin. 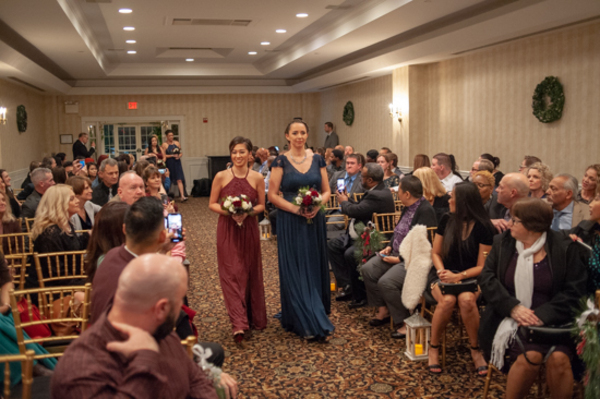 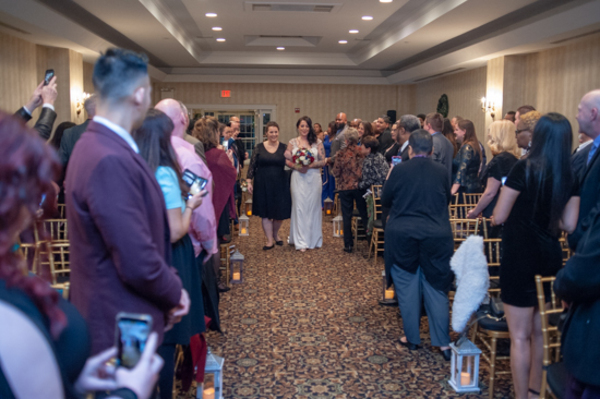 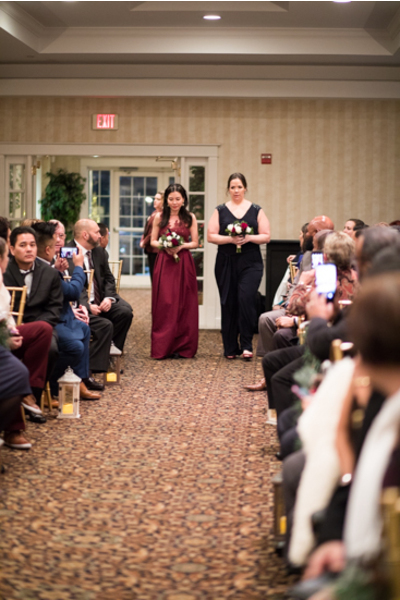 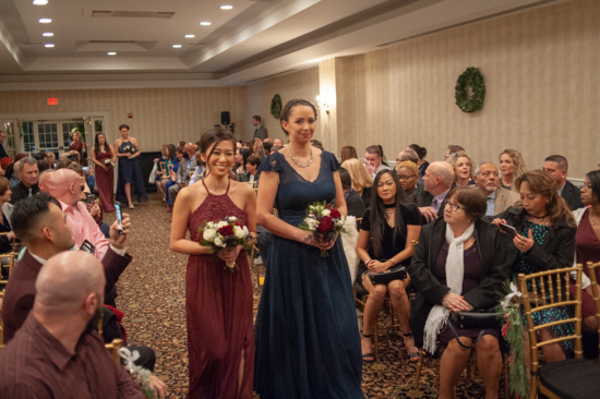 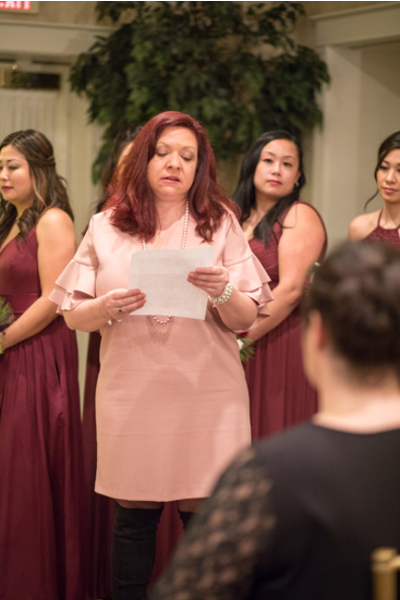 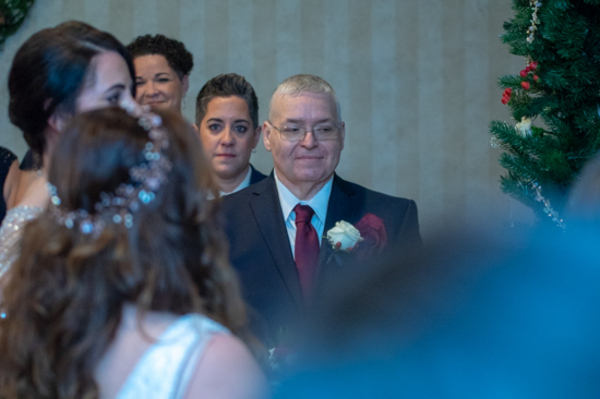 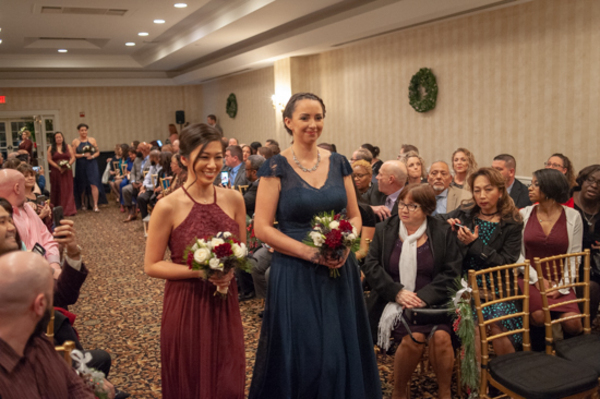 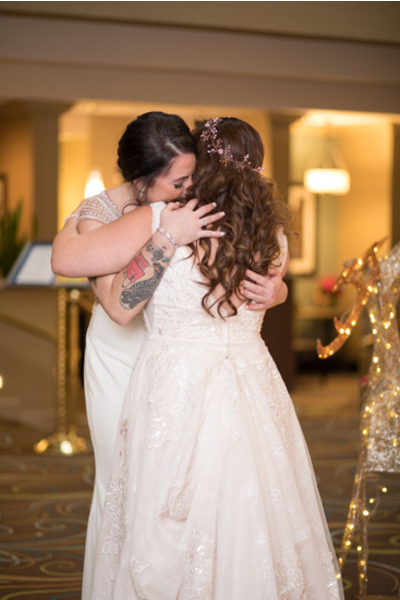 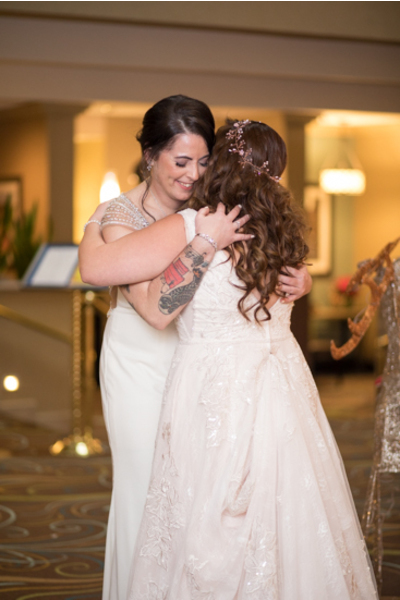 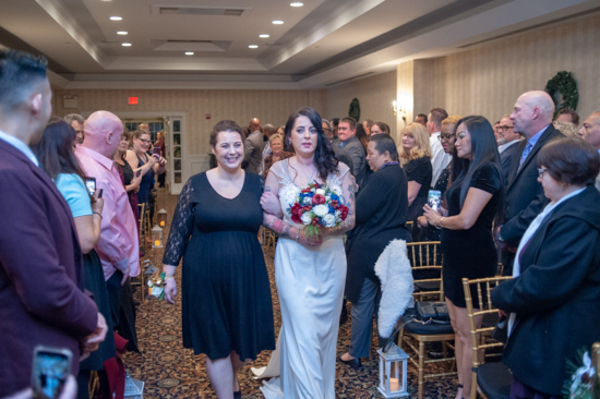 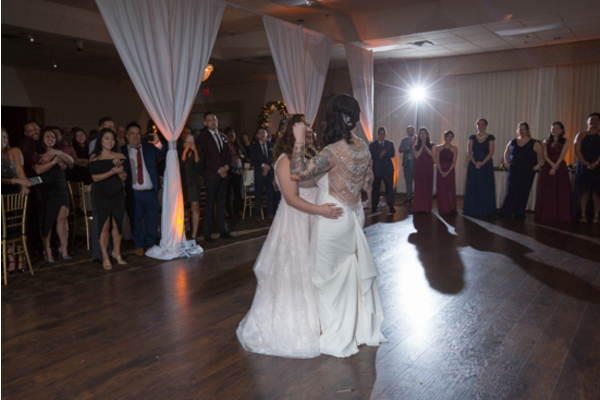 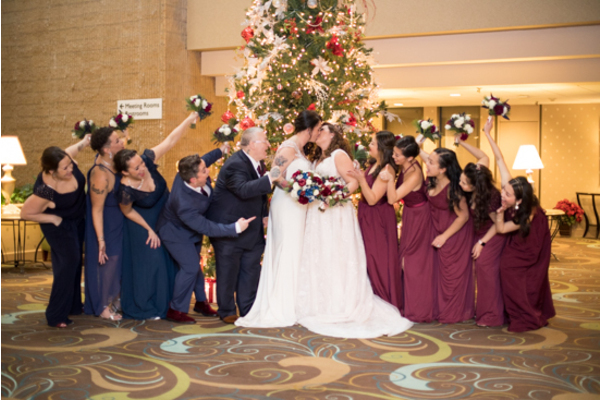 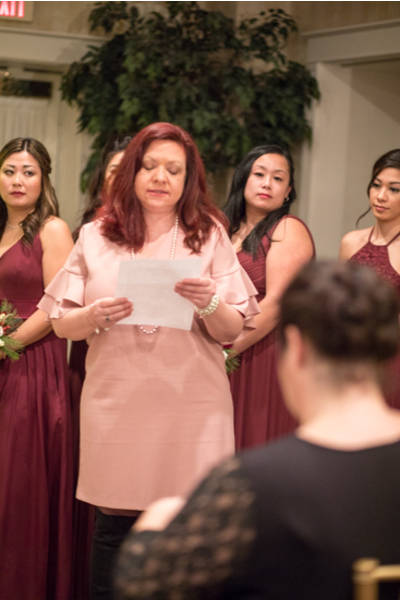 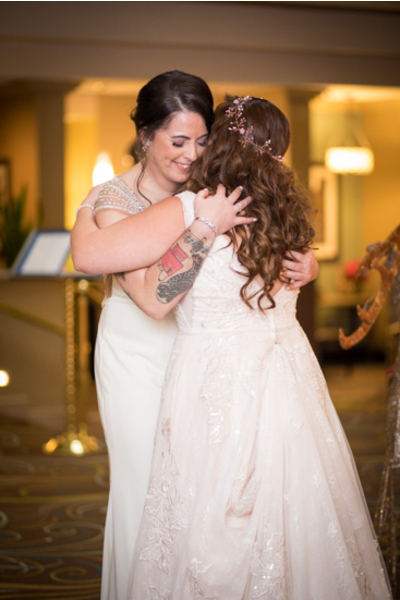 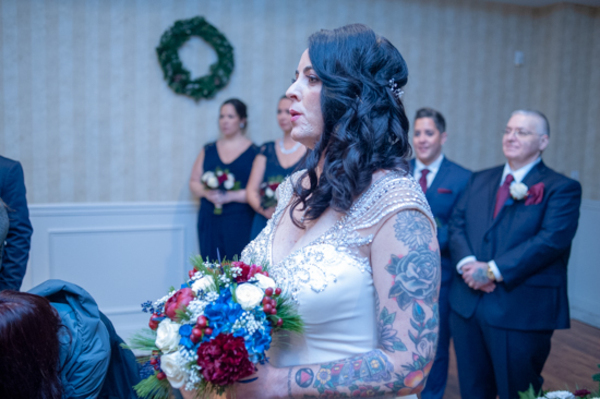 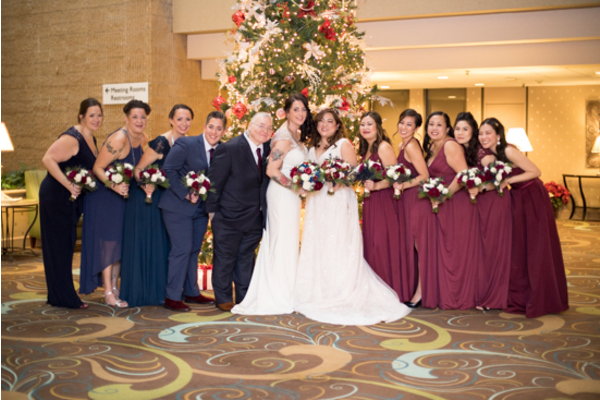 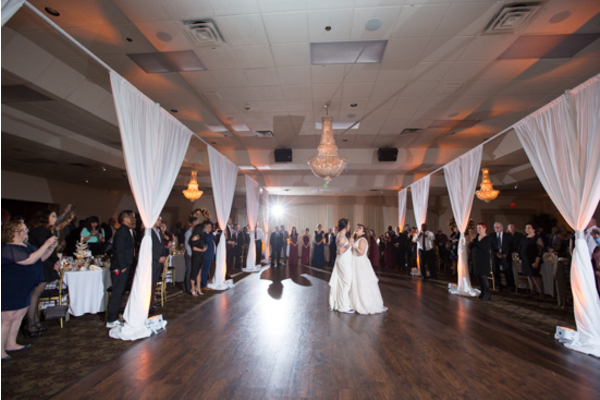 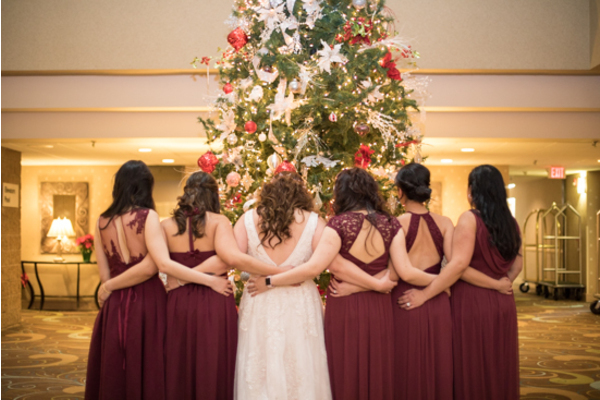 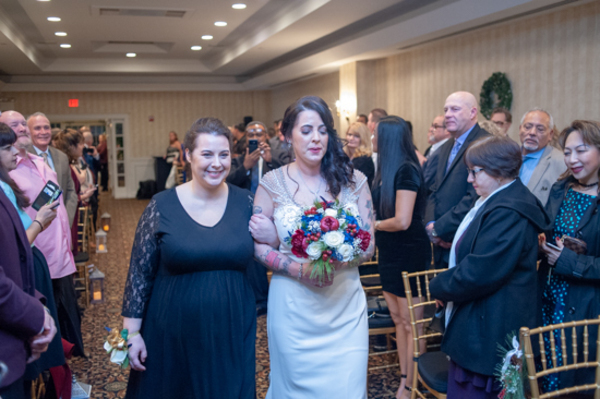 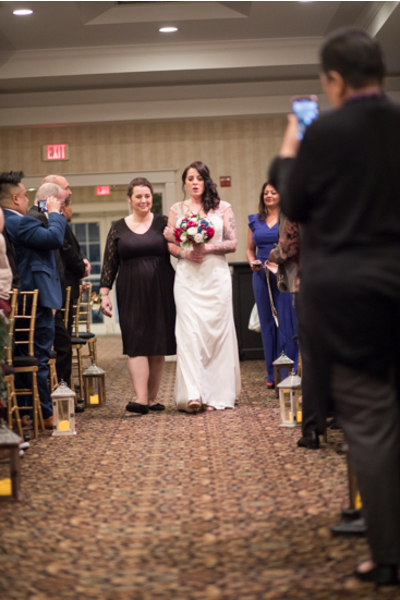 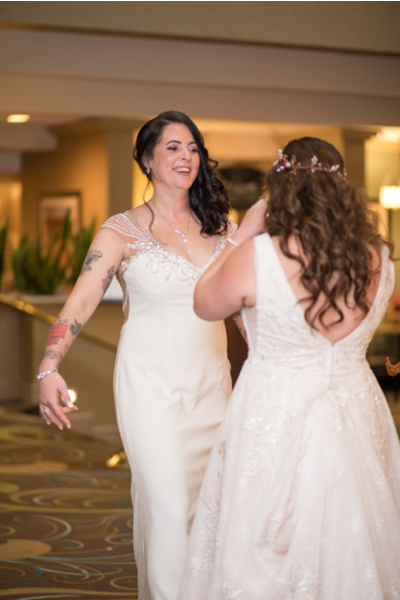 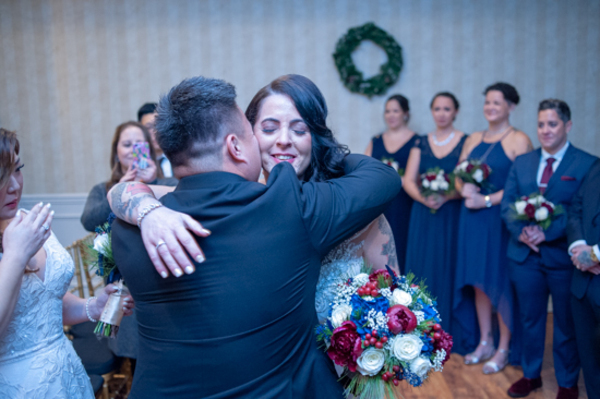 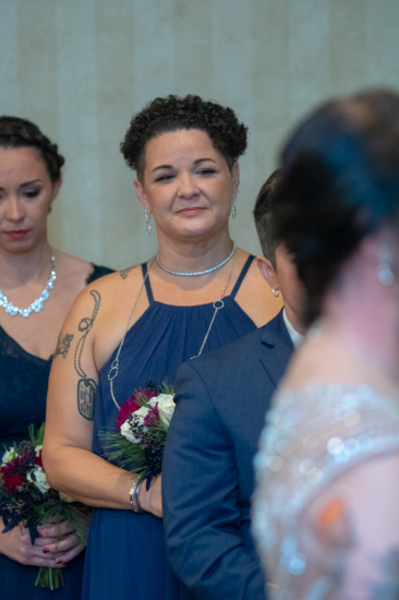 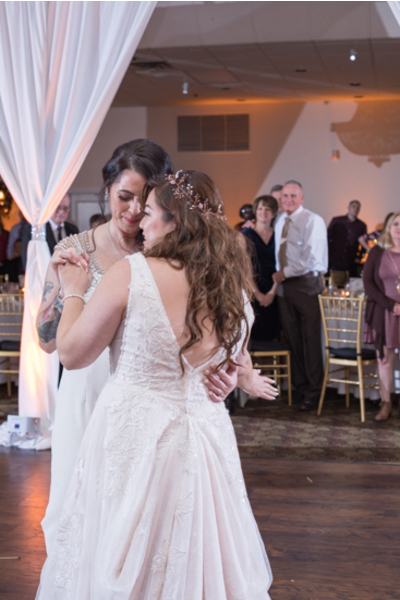 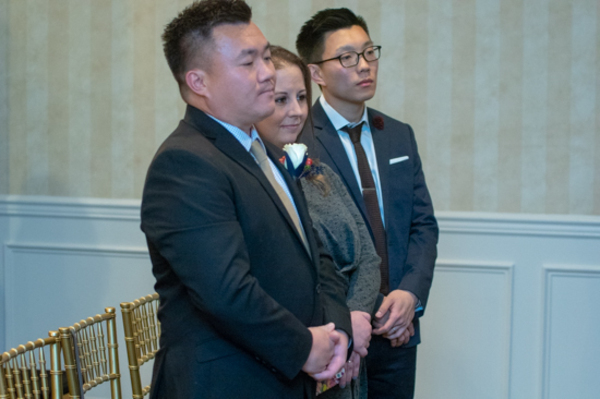 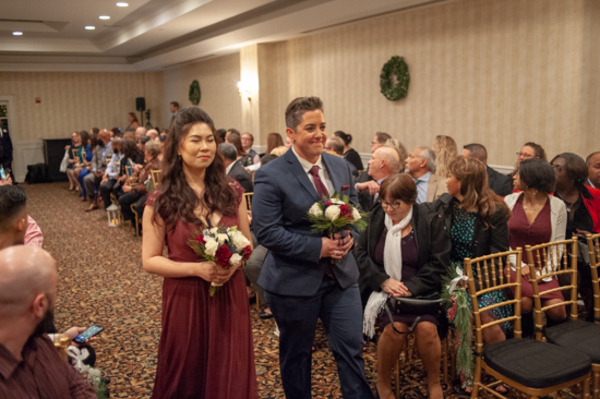 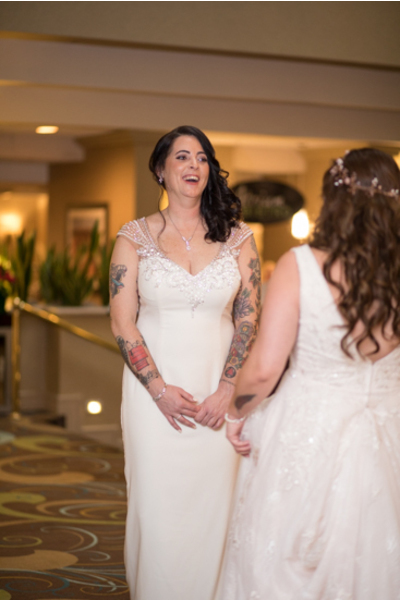 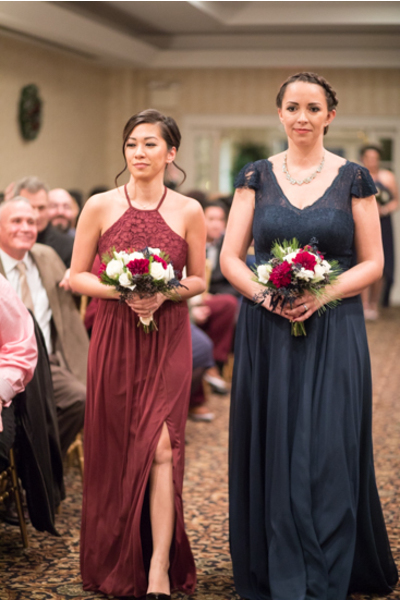 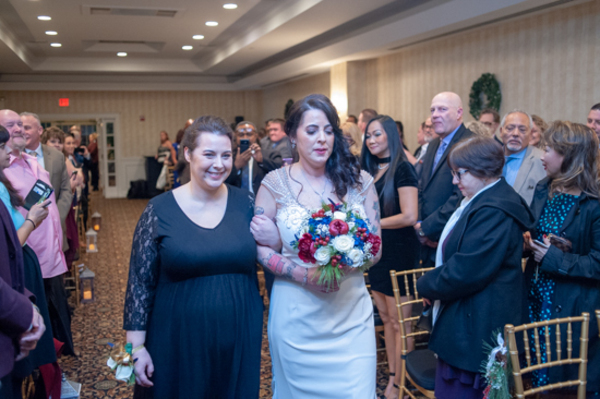 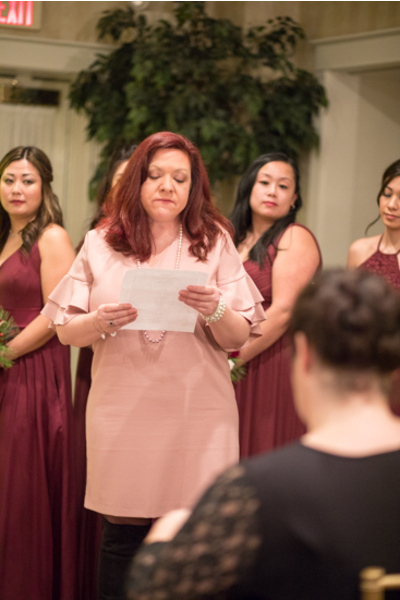 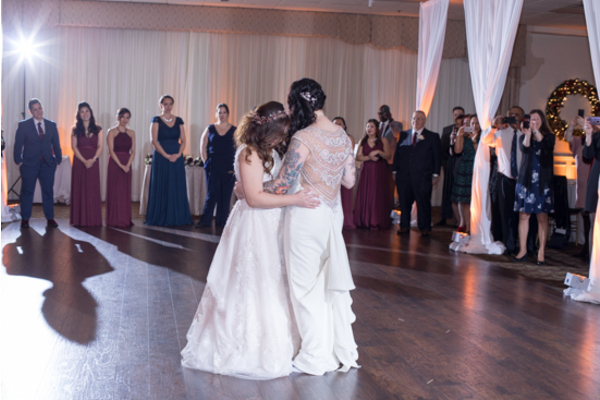 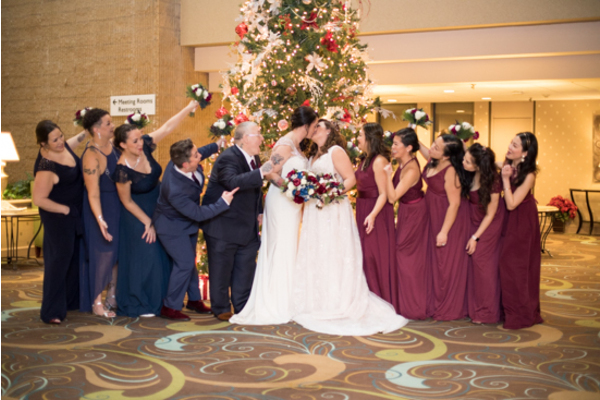 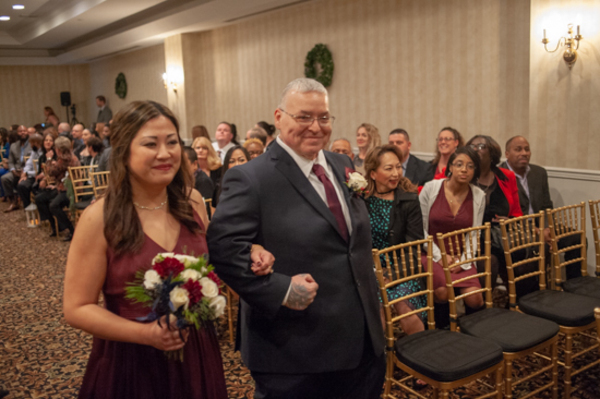 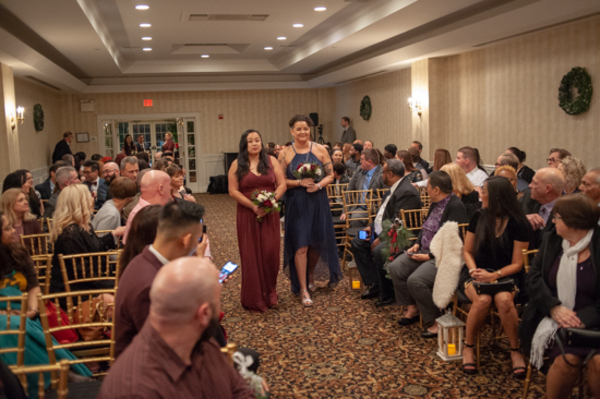 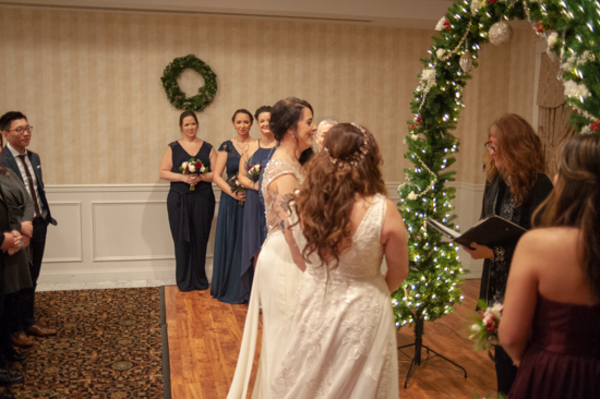 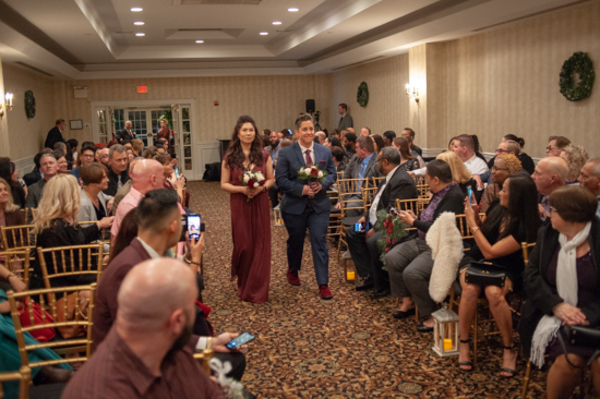 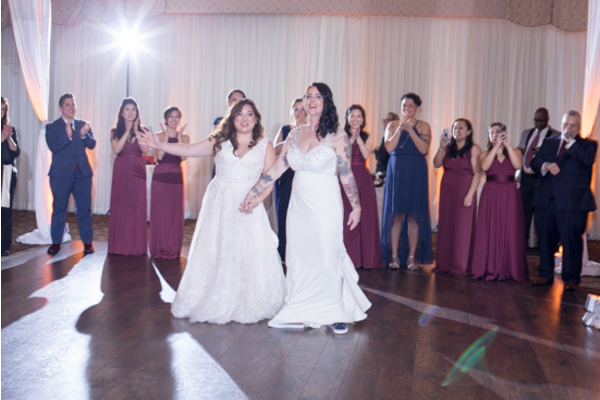 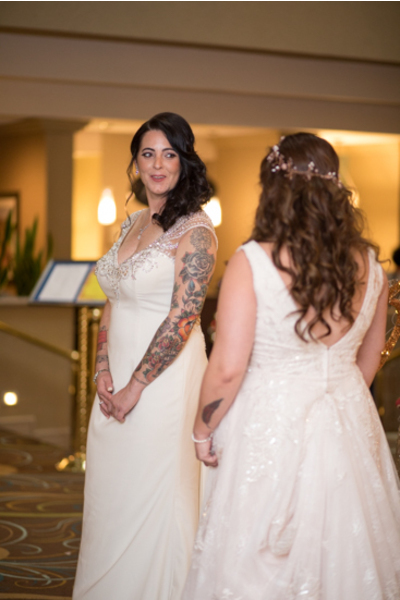 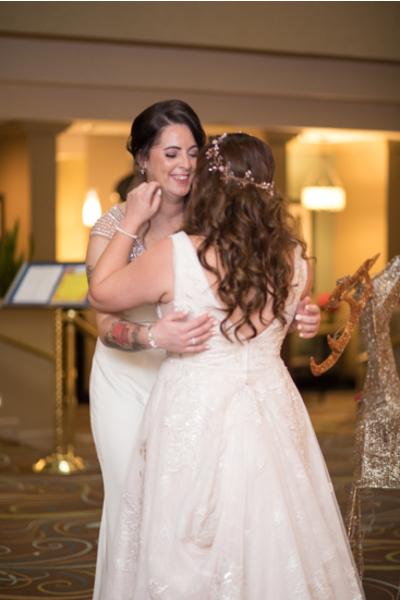 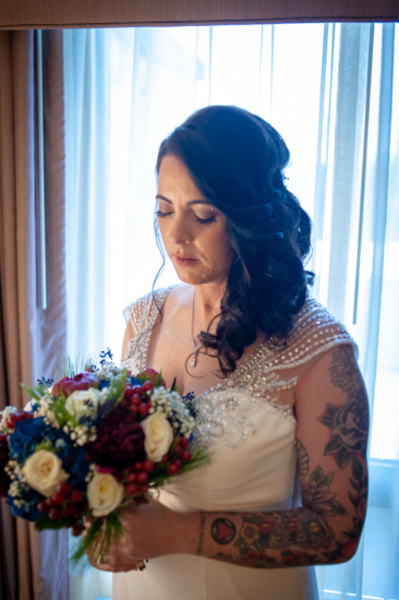 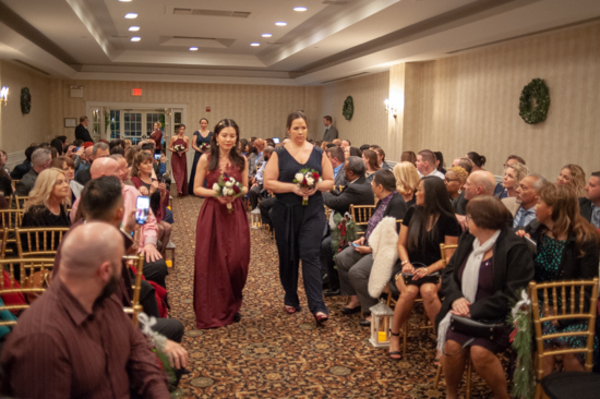 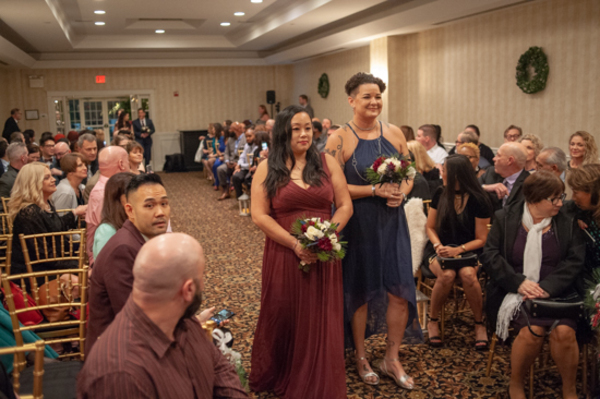 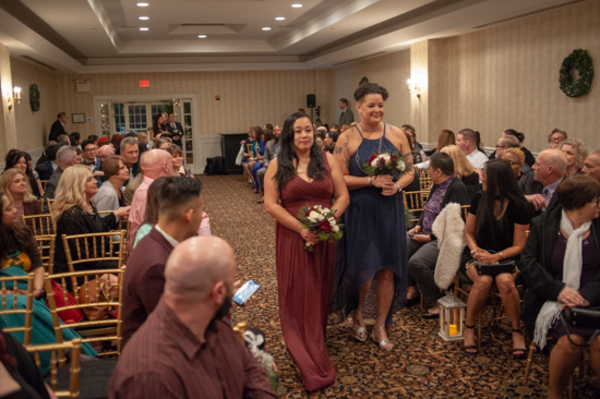 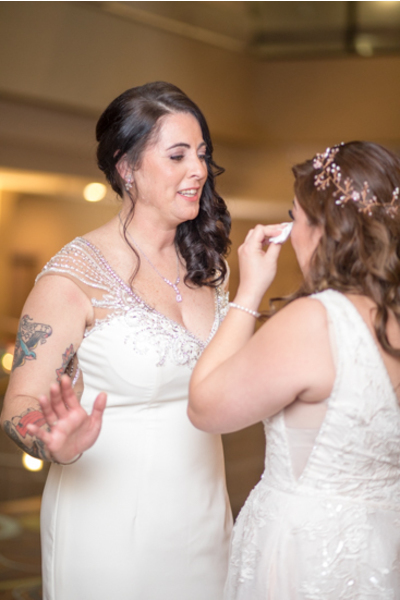 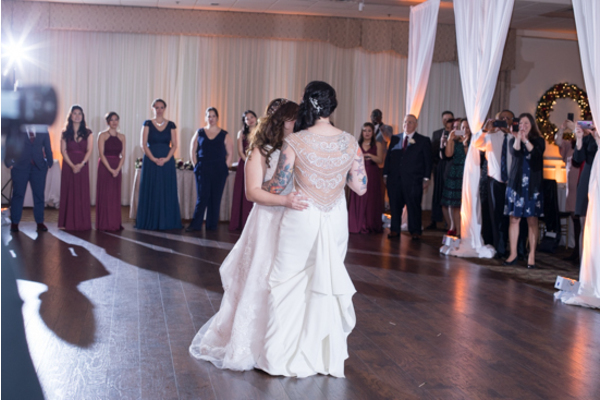 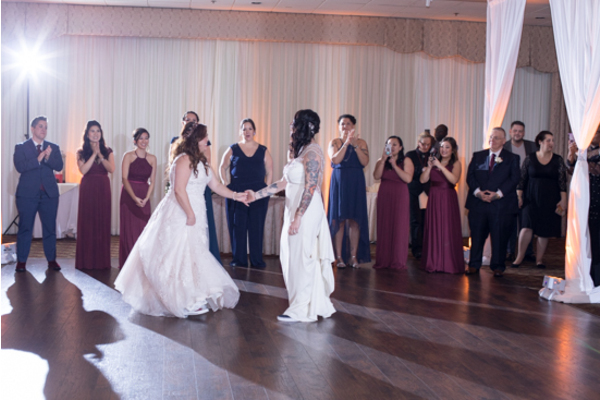 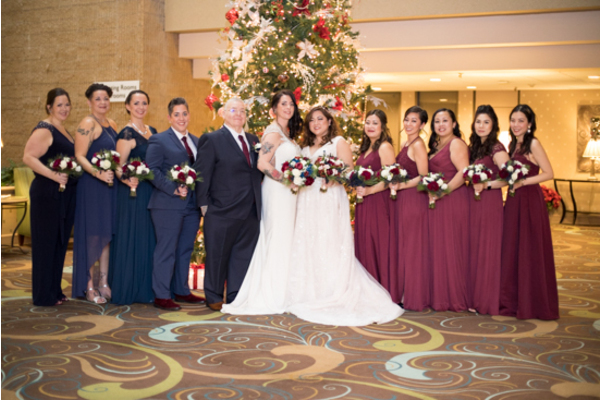 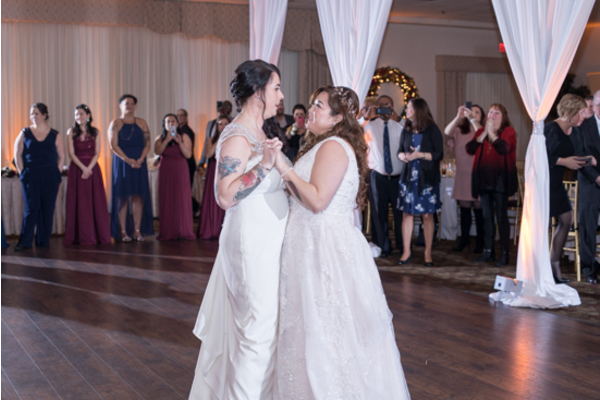 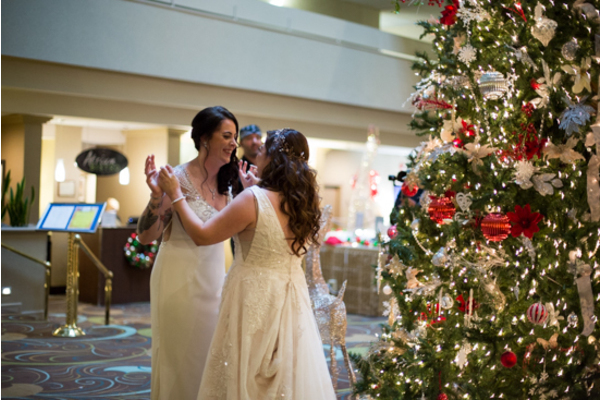 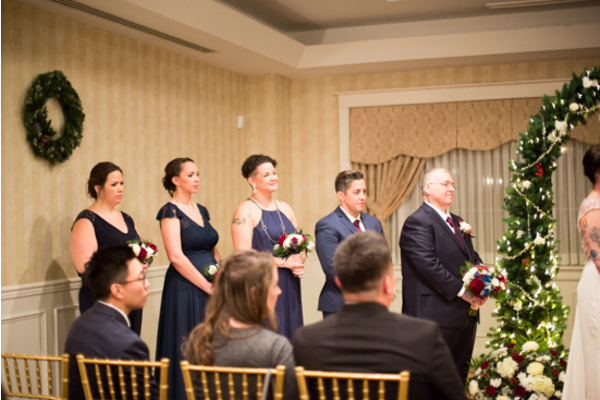 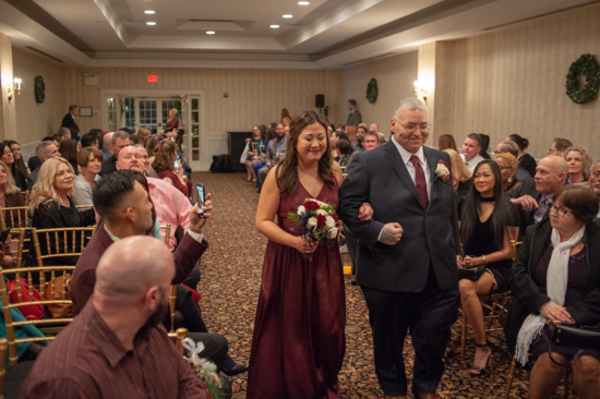 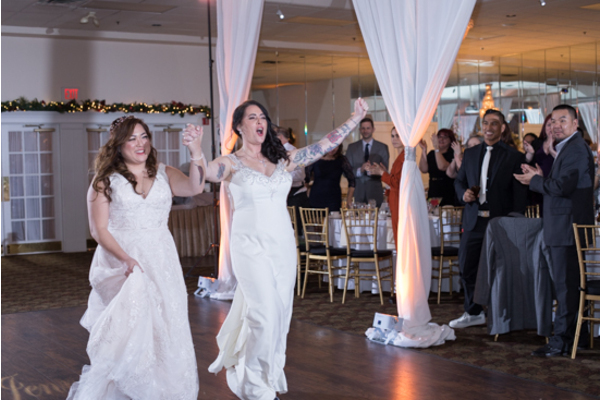 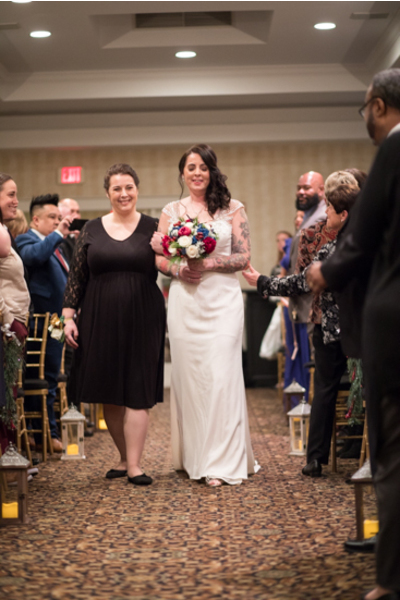 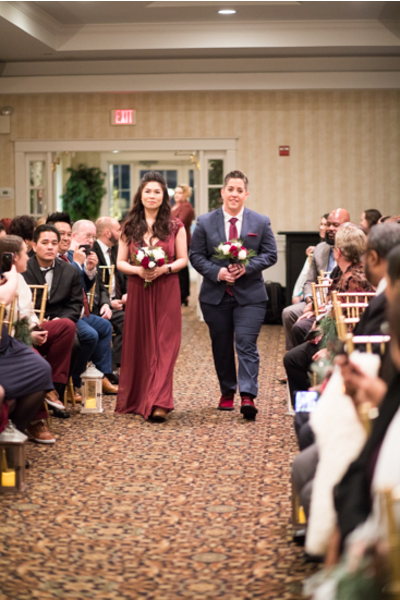 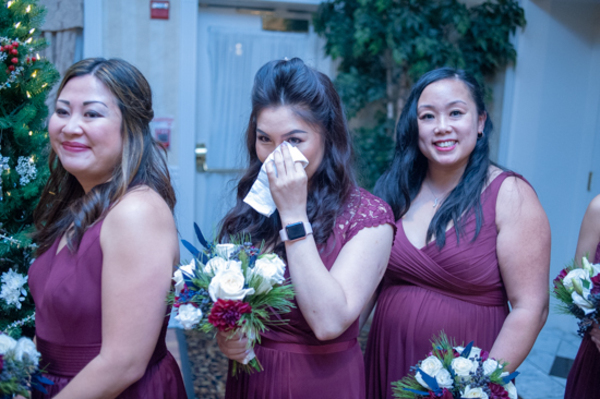 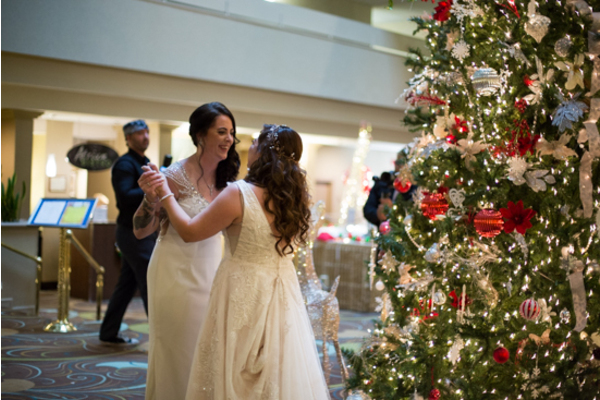 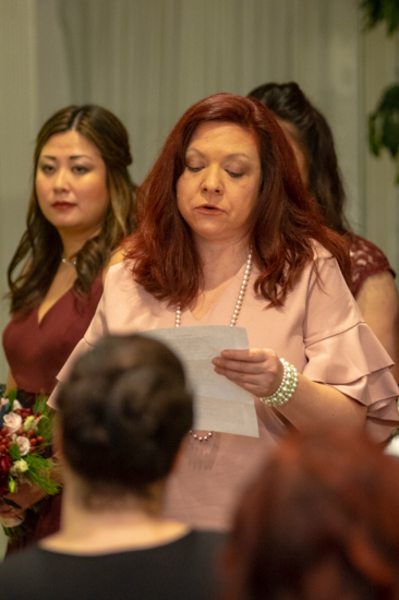 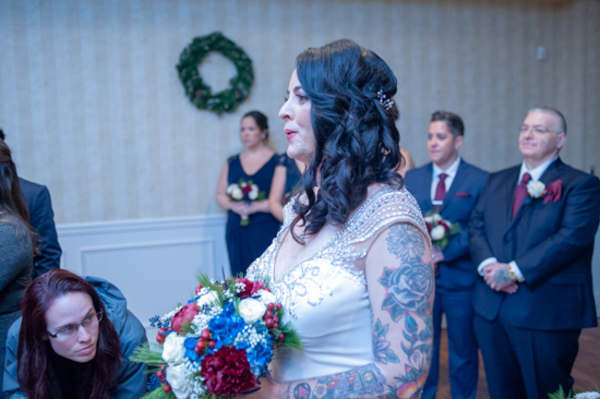 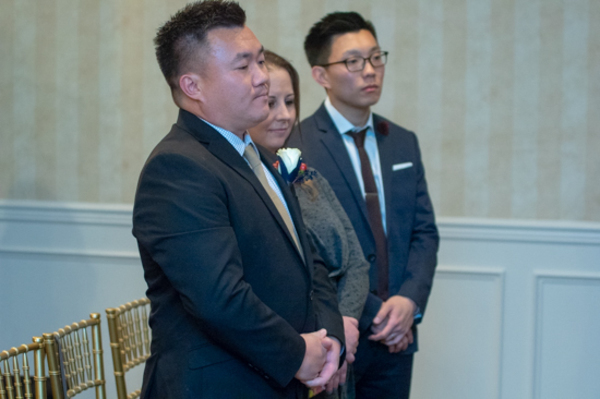 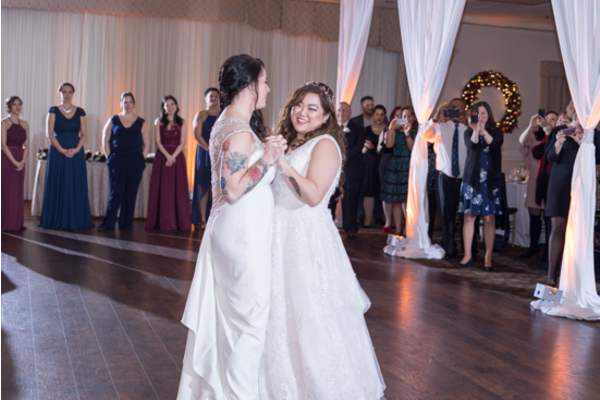 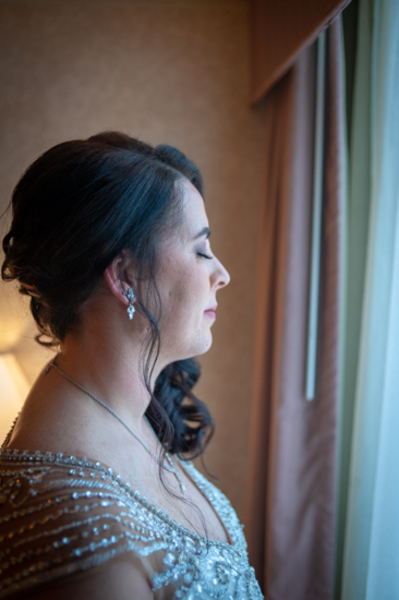 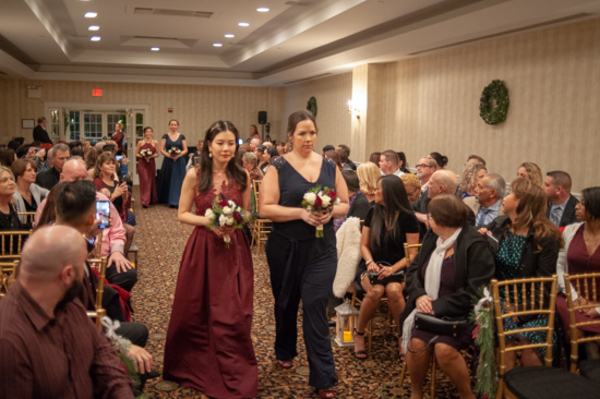 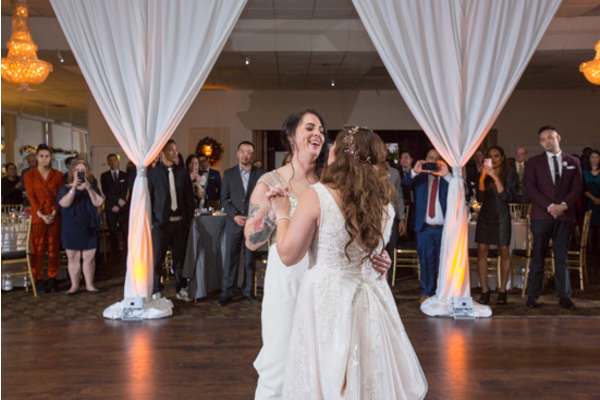 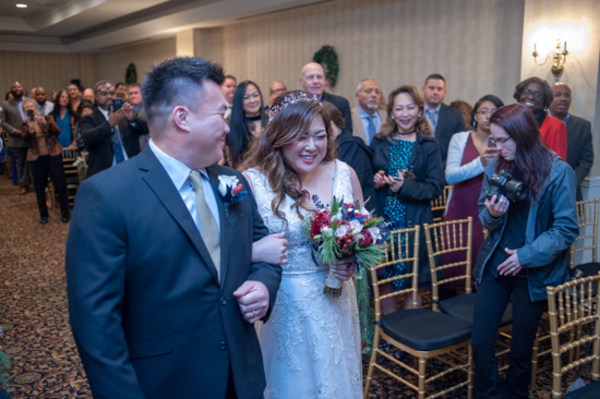 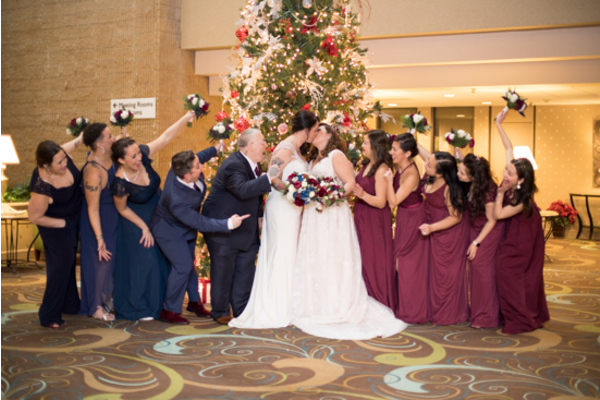 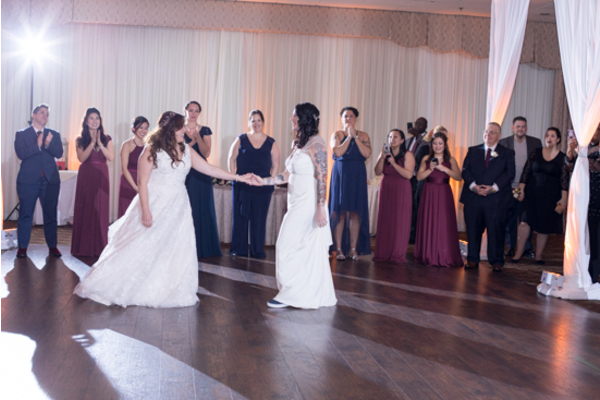 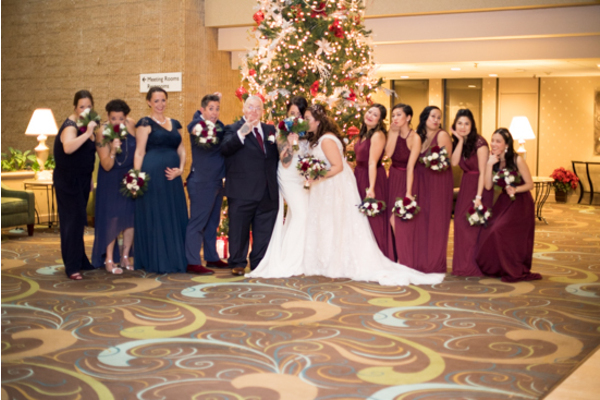 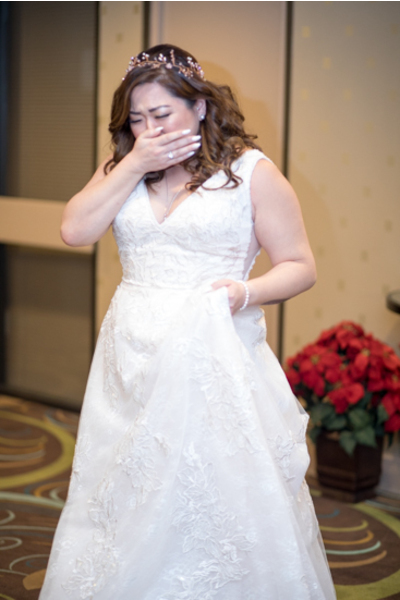 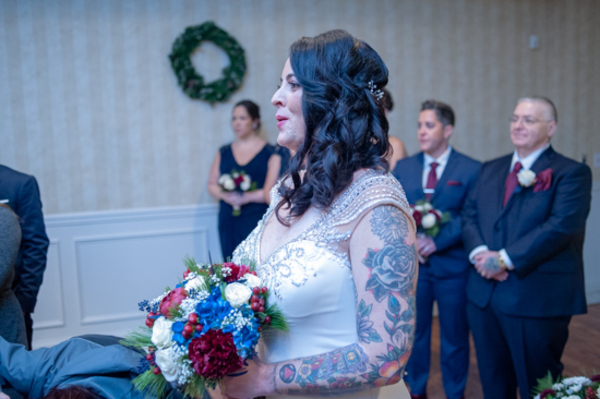 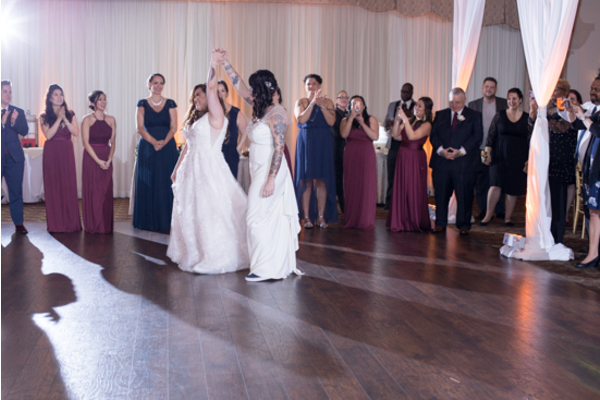 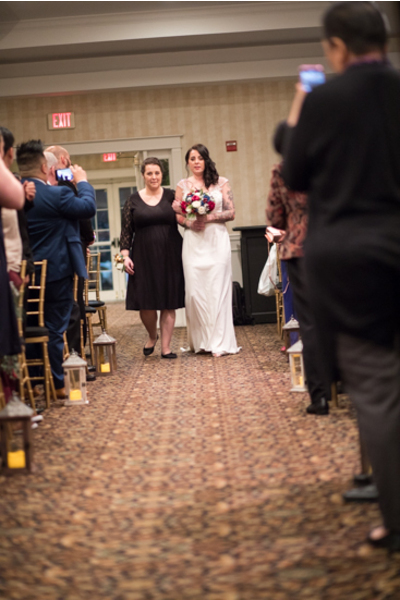 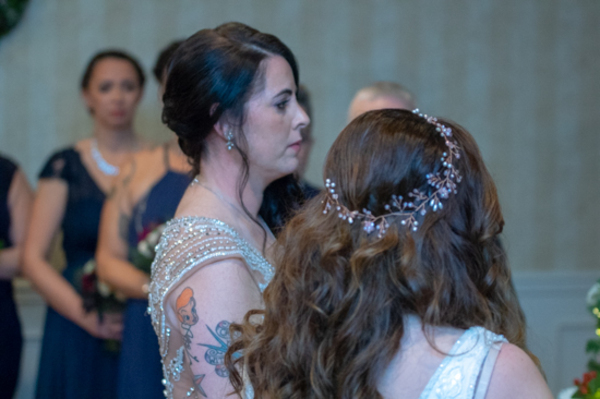 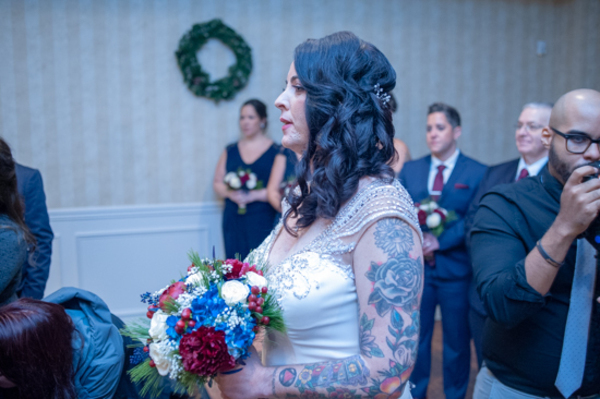 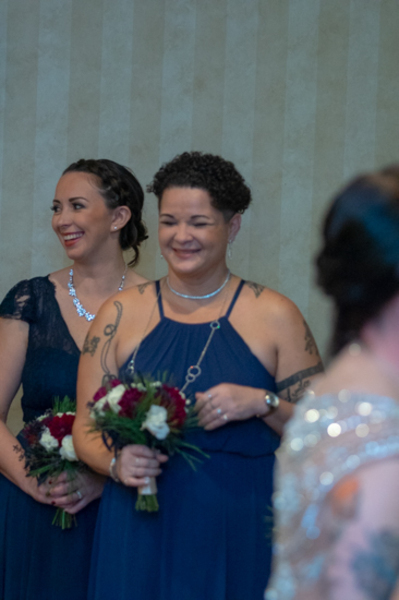 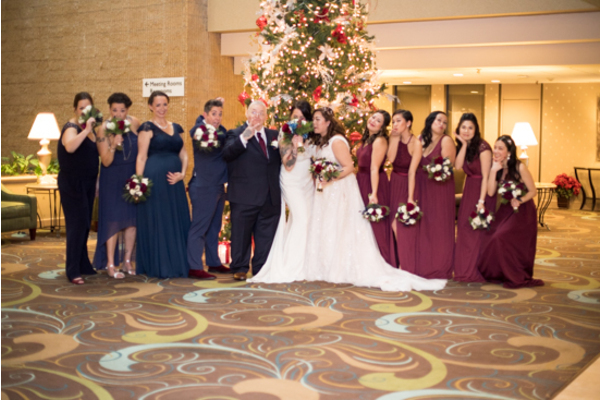 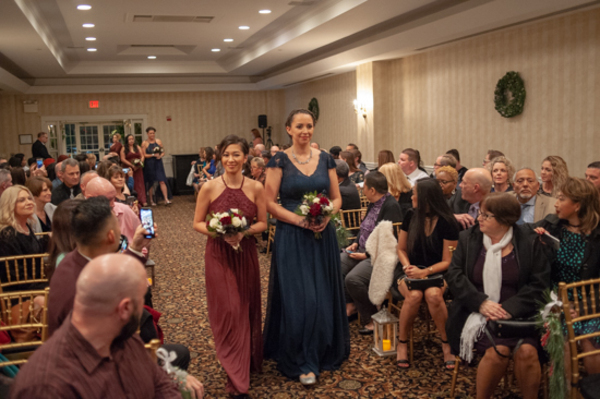 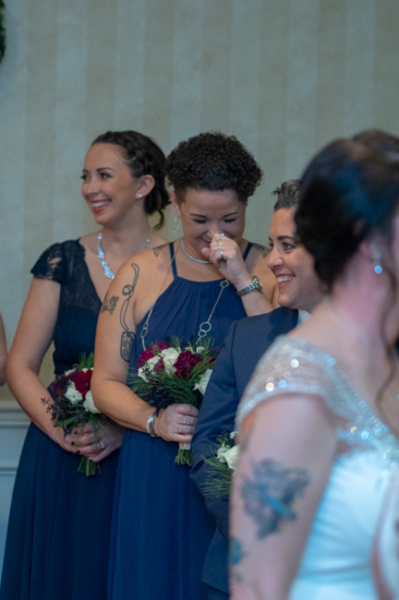 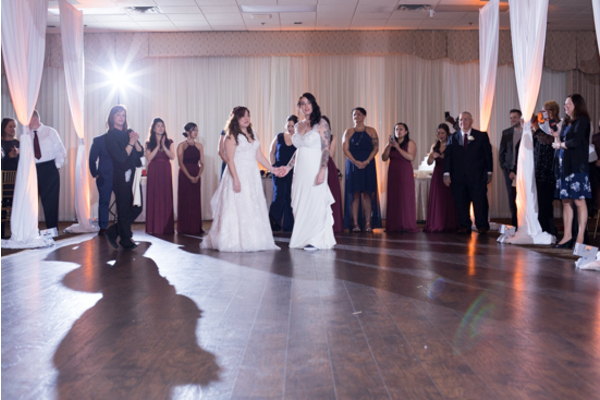 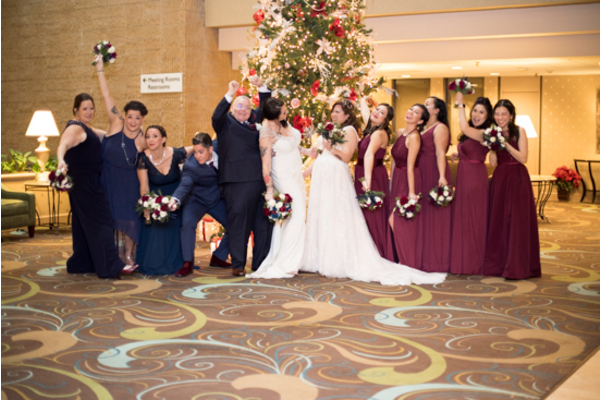 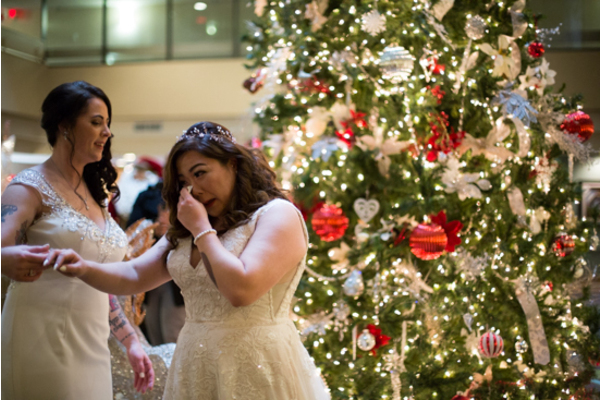 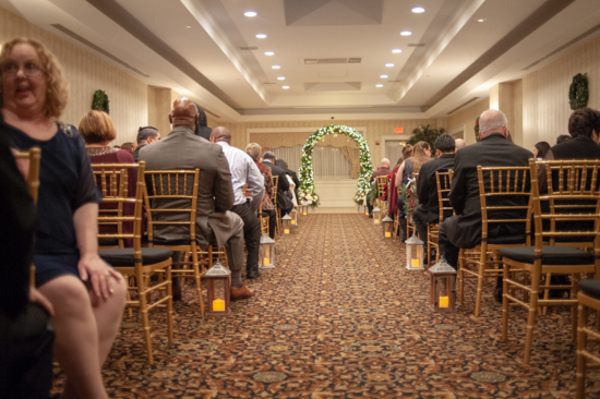 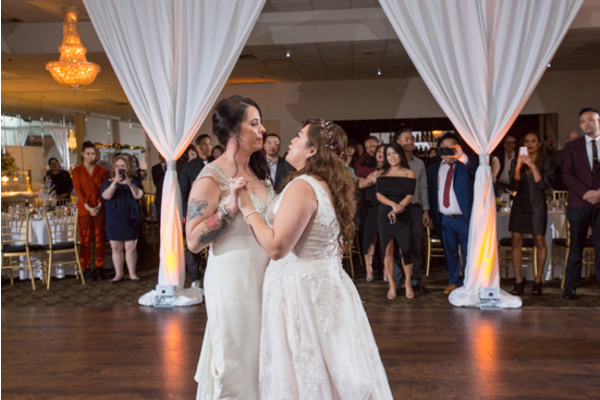 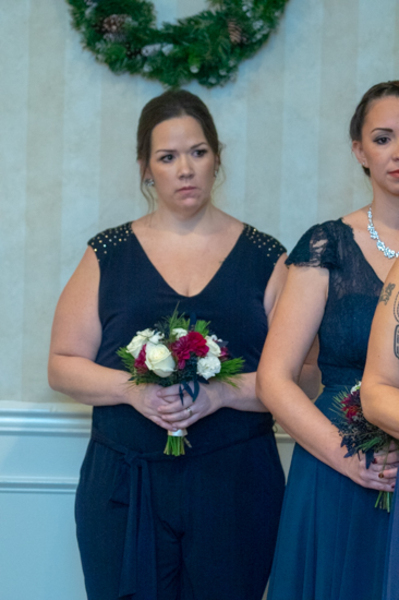 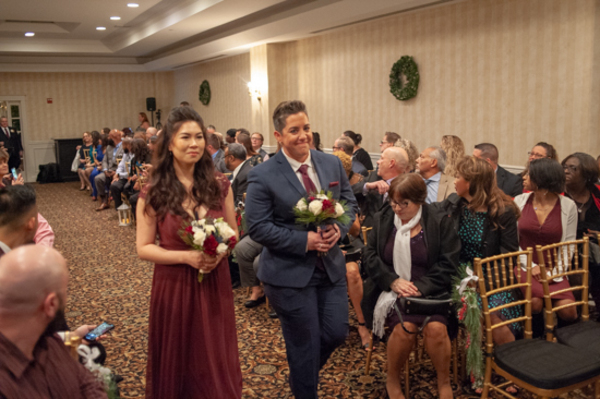 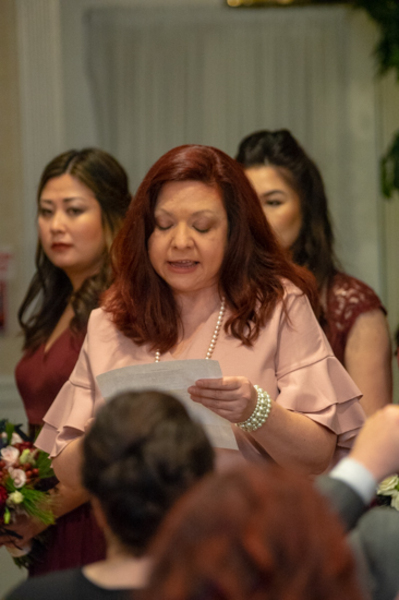 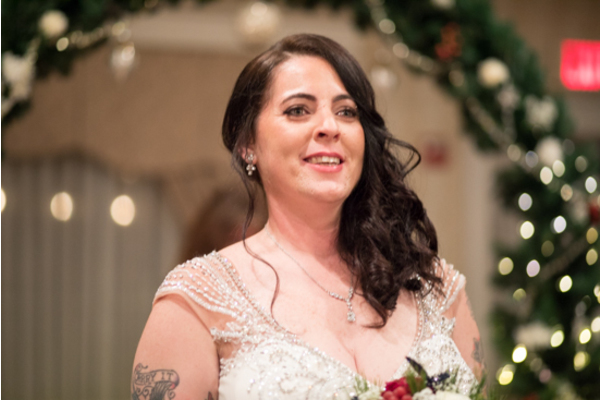 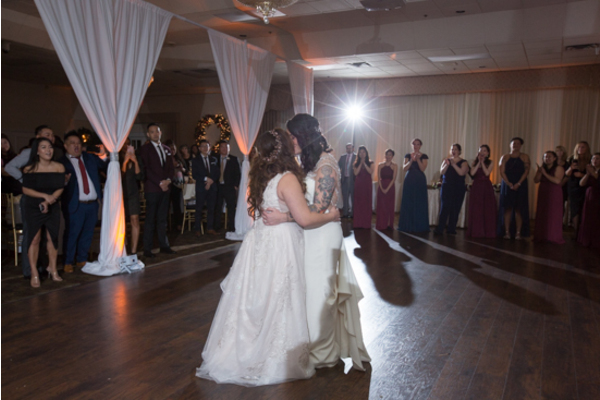 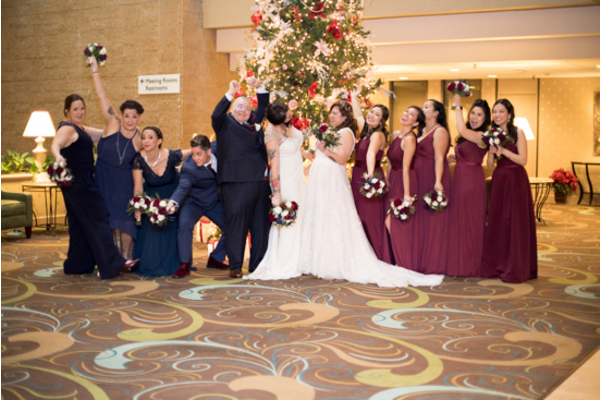 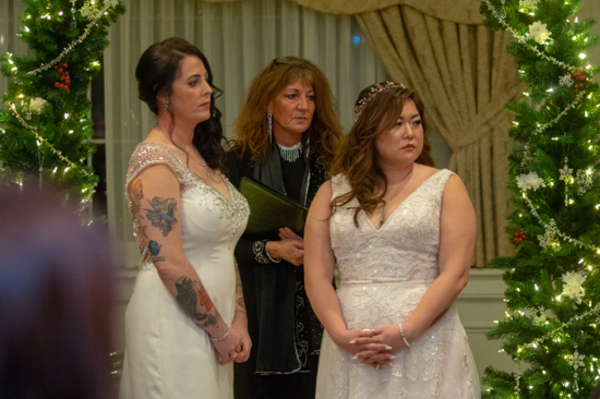 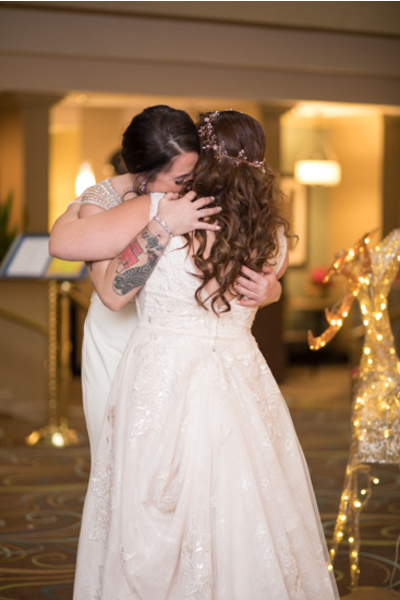 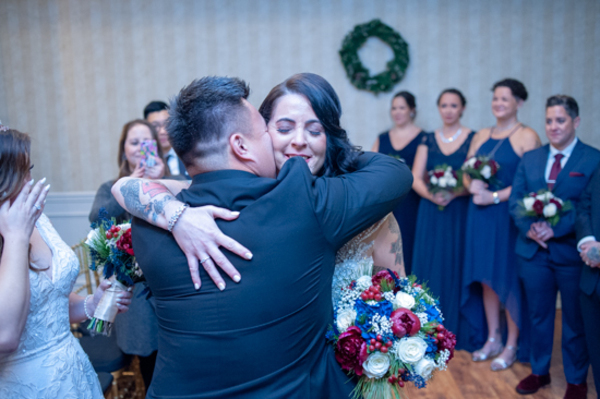 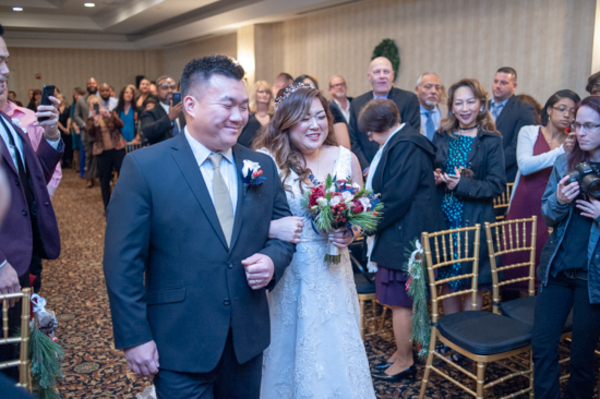 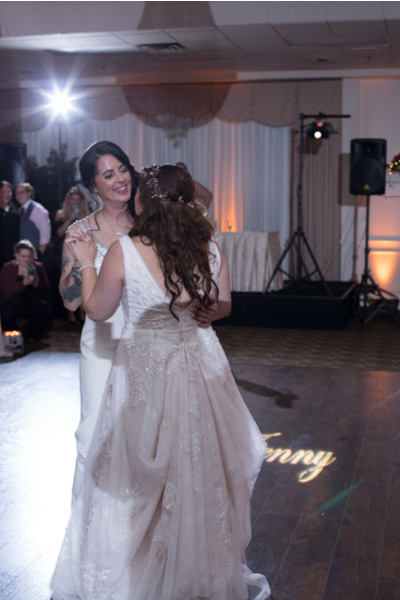 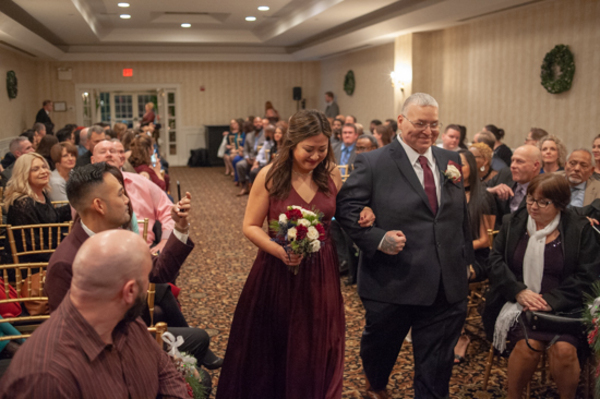 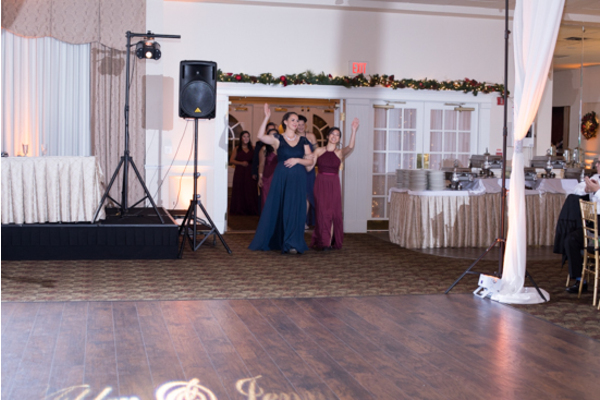 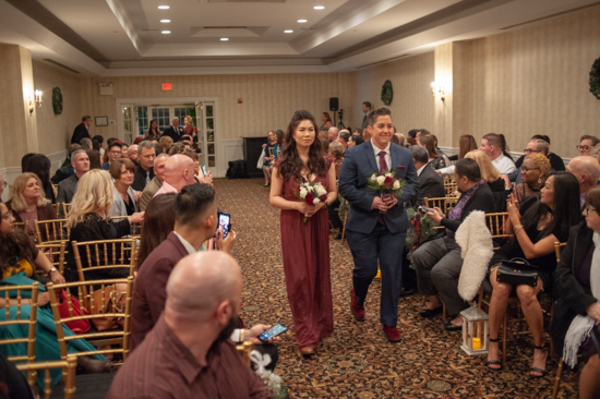 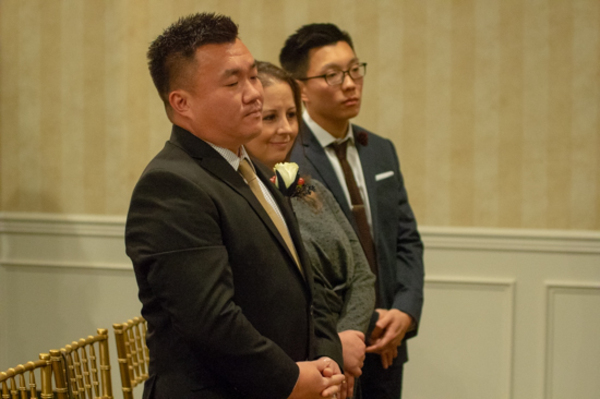 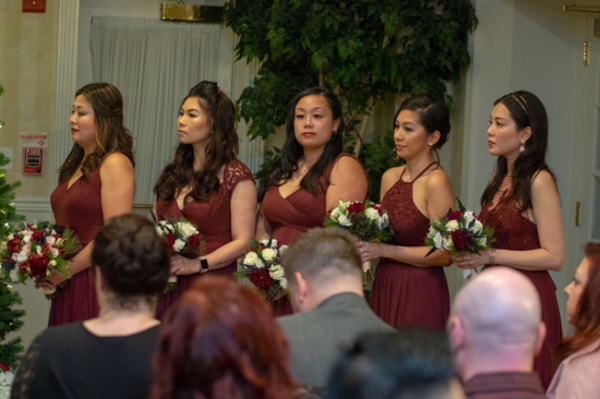 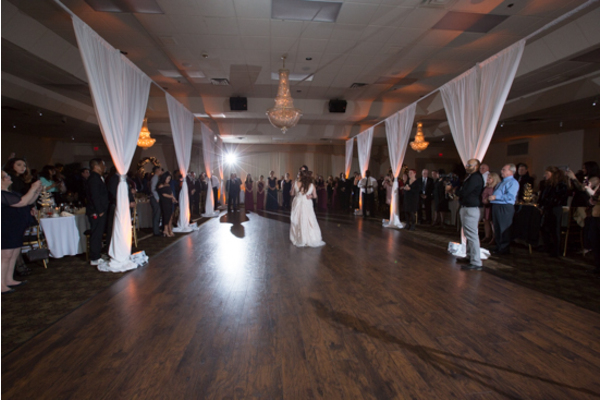 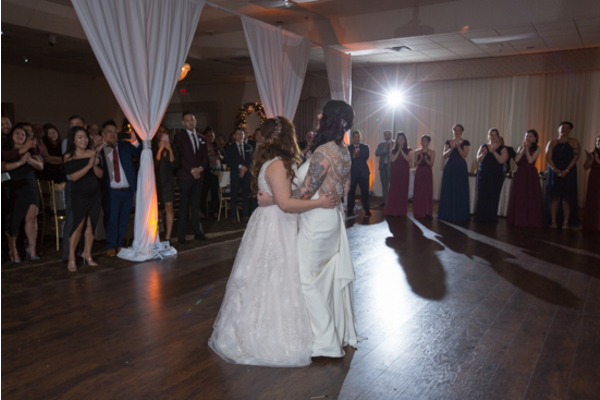 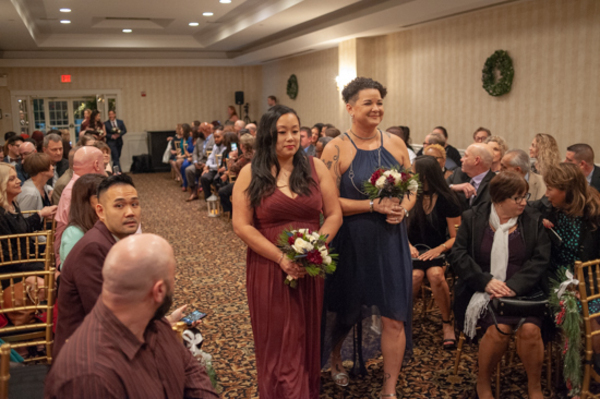 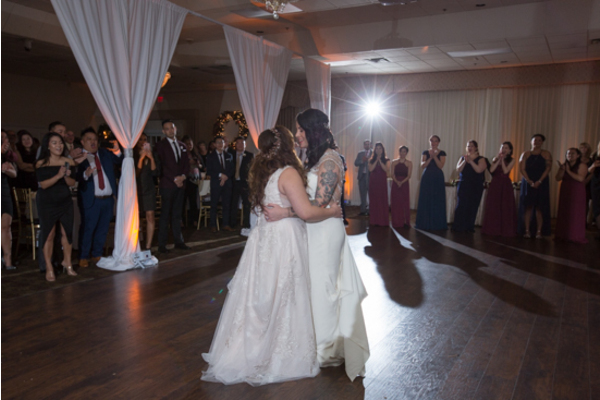 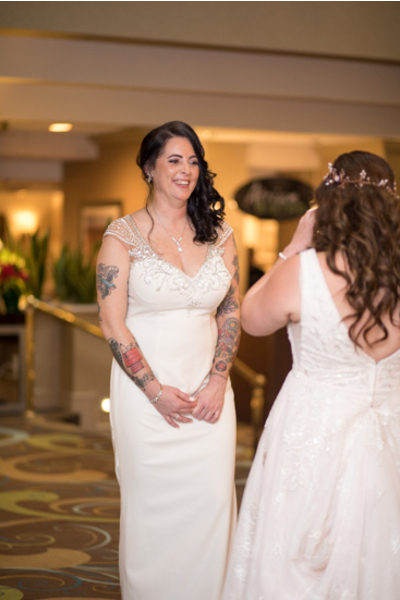 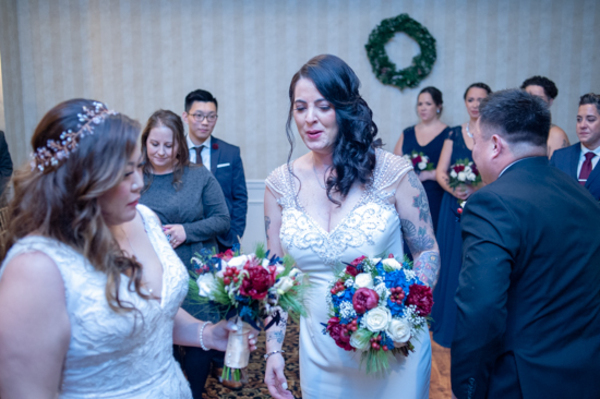 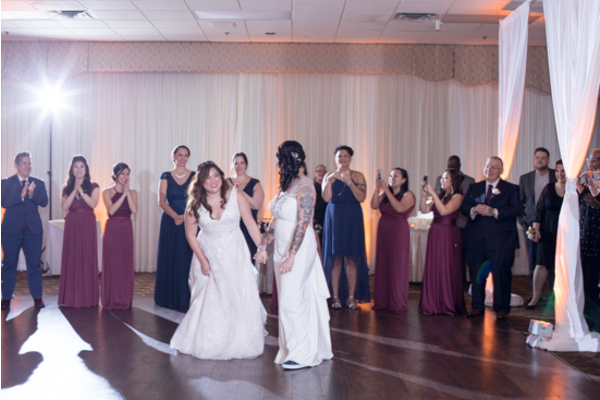 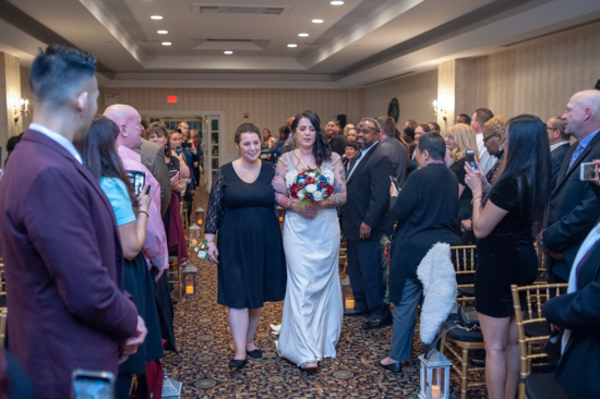 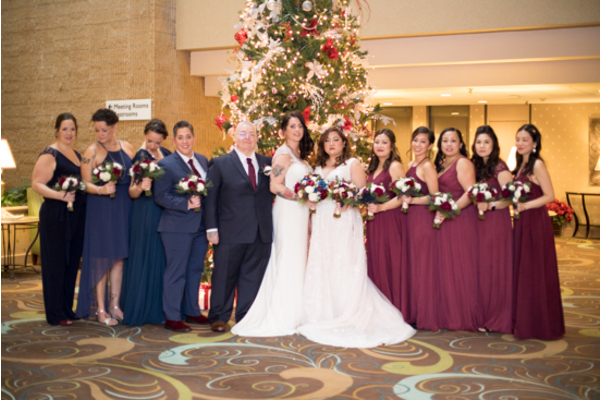 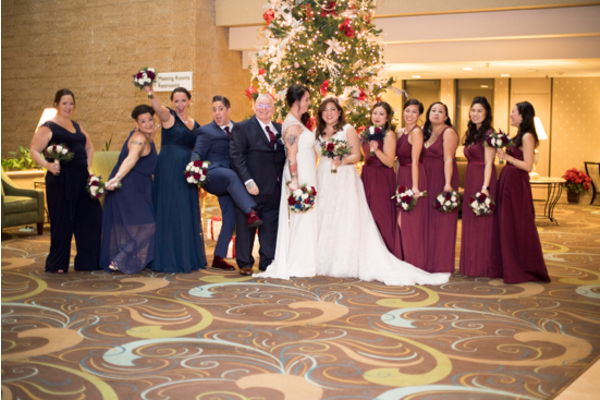 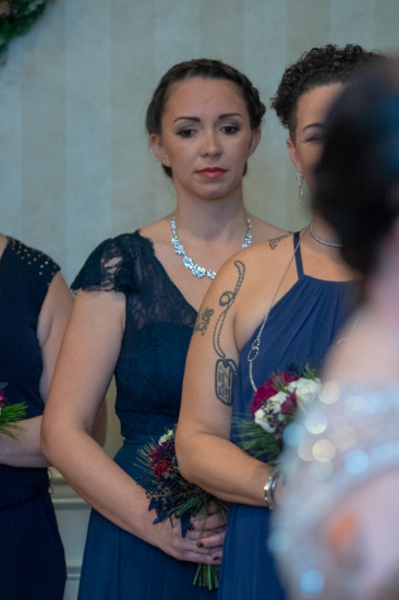 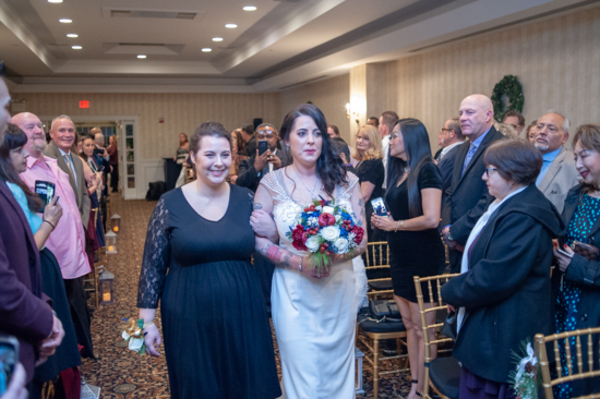 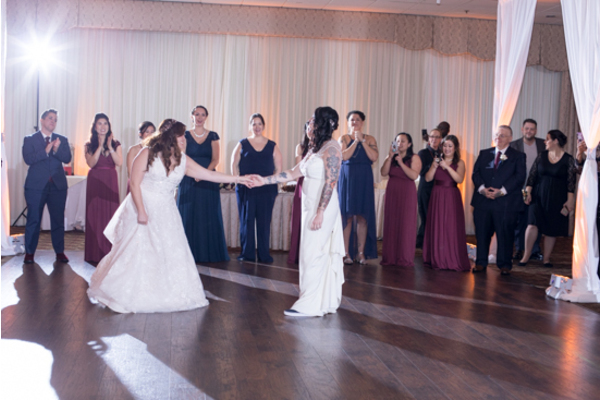 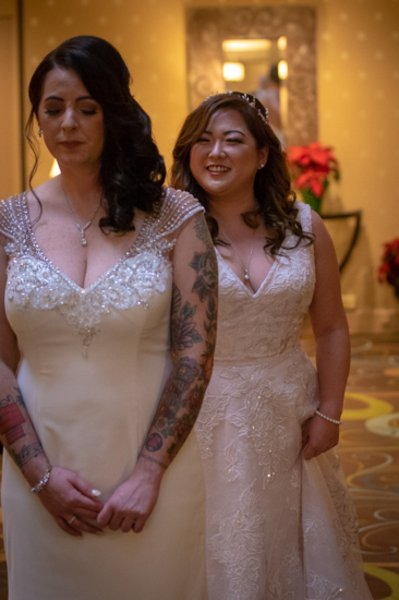 Guests took their seats and the bridesmaids and groomsmen made their way to the front of the room next to Ashley who patiently waited to see her beautiful bride once again. 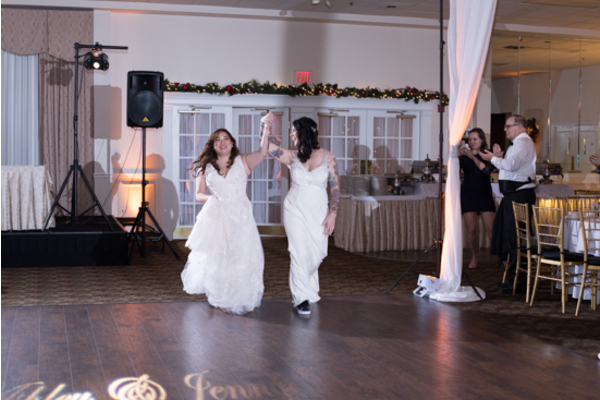 Jenny was escorted down the aisle and their wasn’t a dry eye in the room! 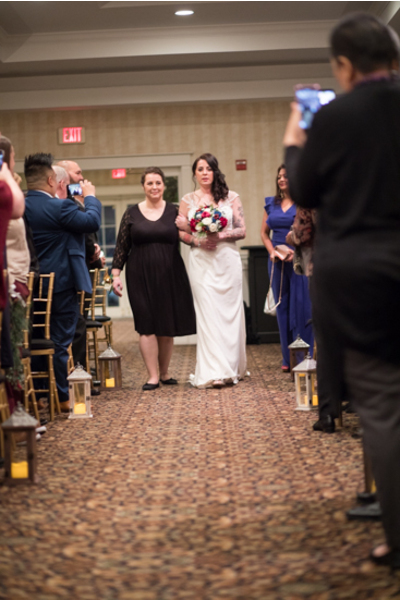 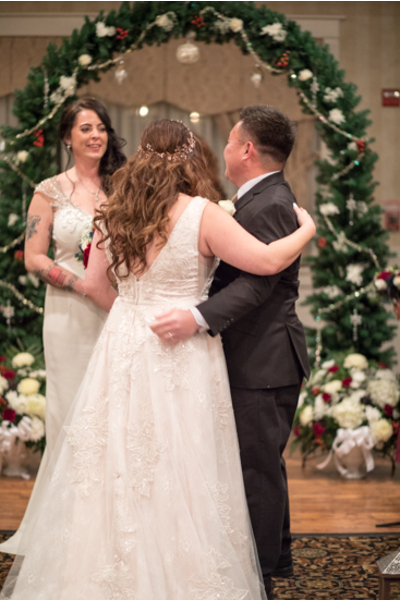 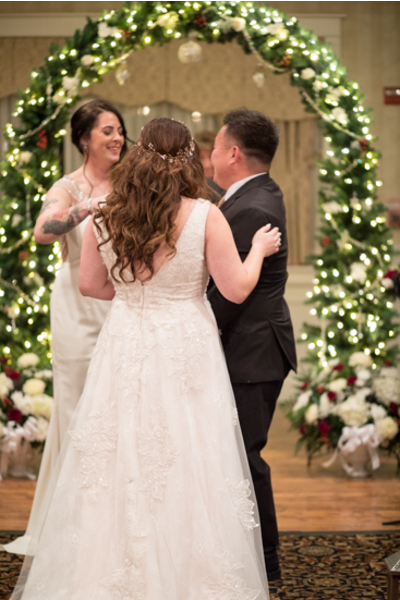 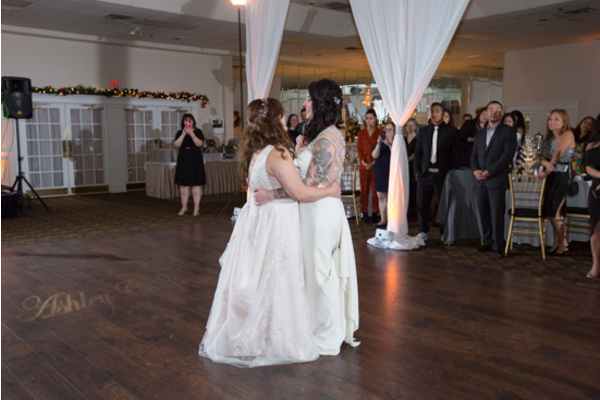 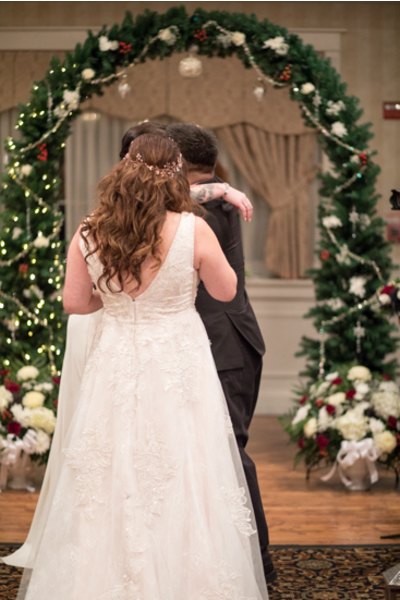 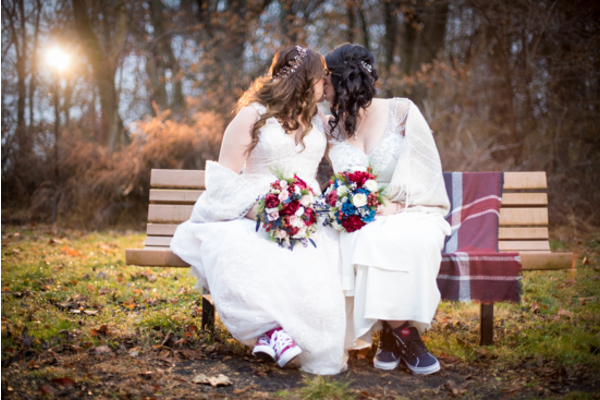 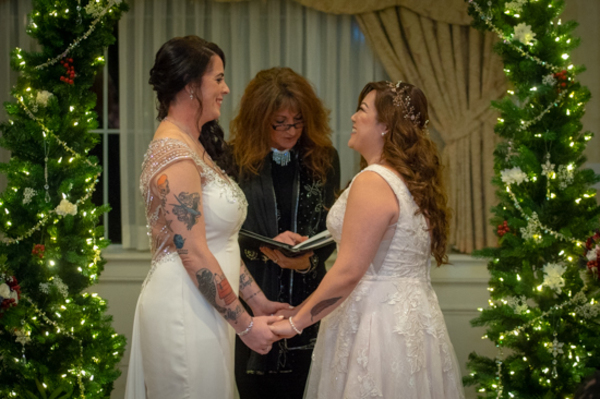 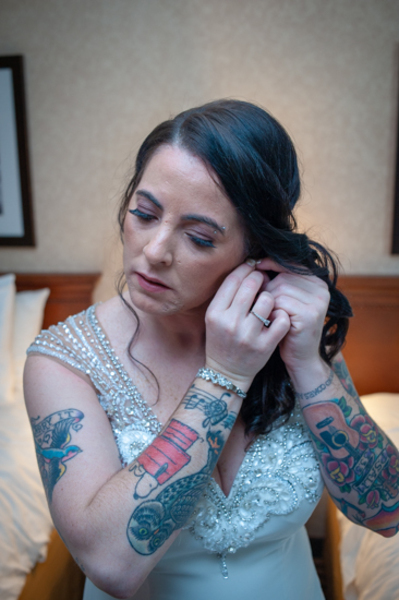 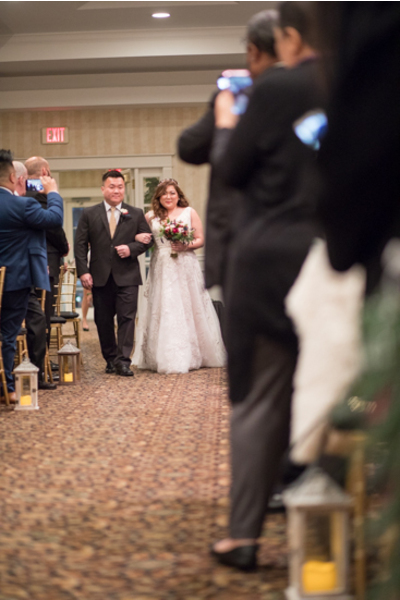 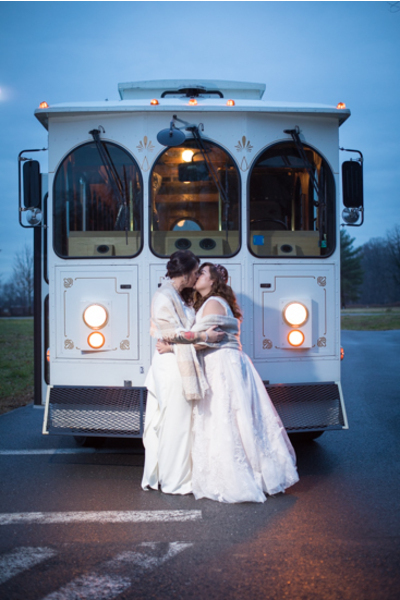 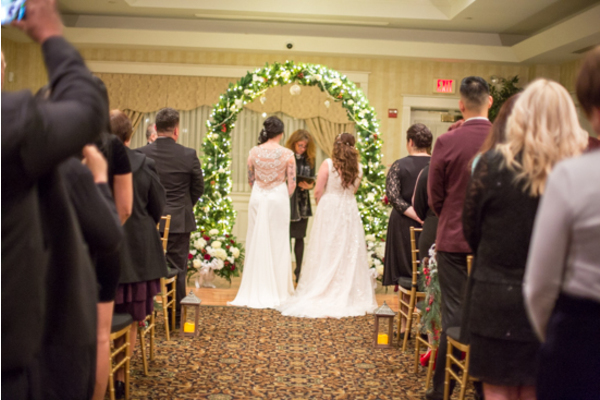 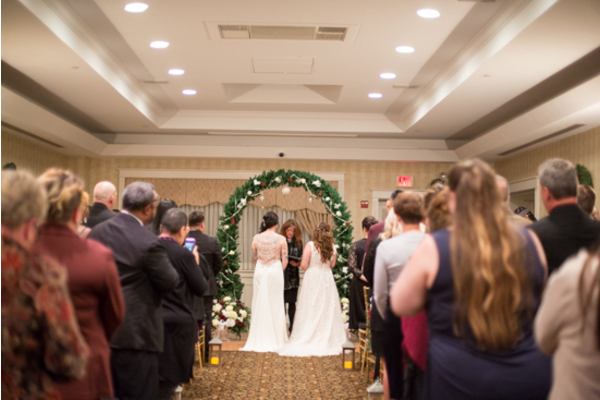 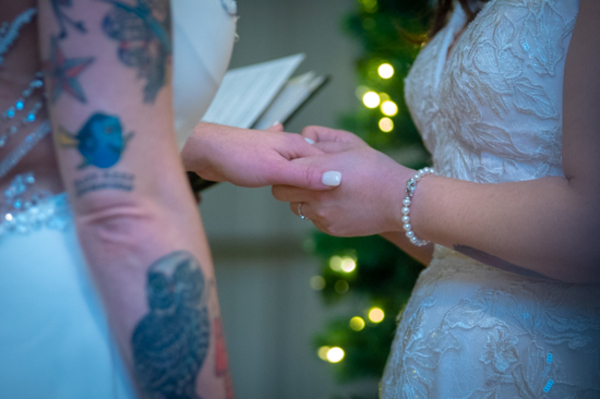 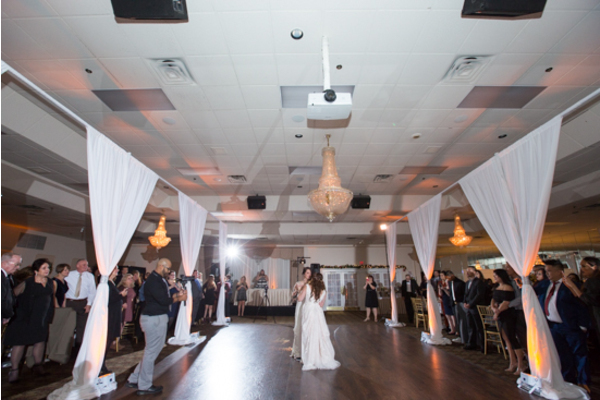 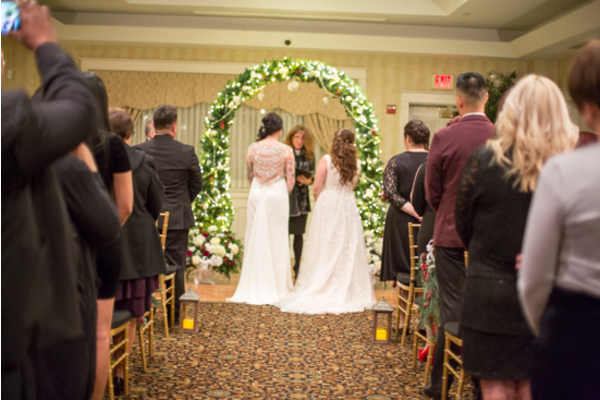 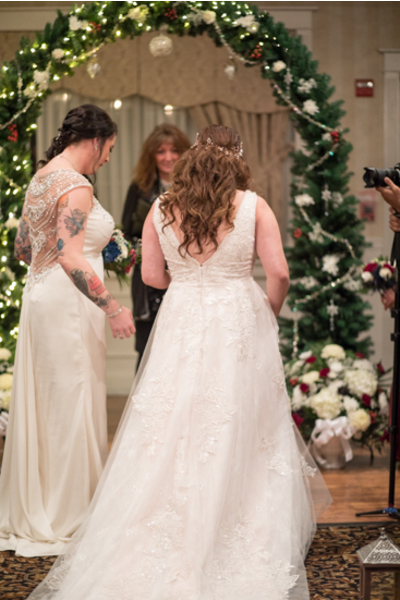 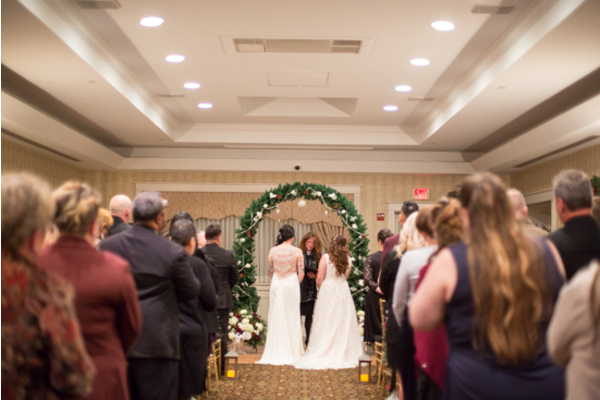 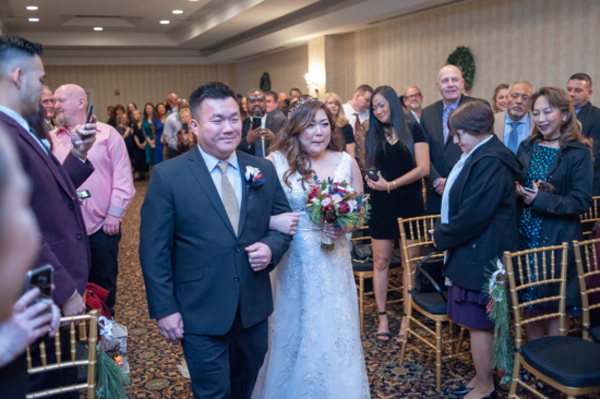 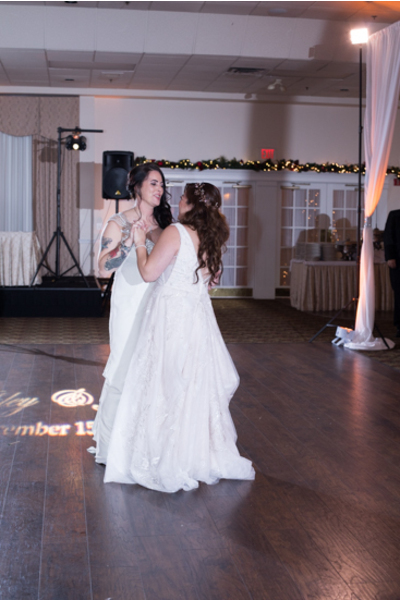 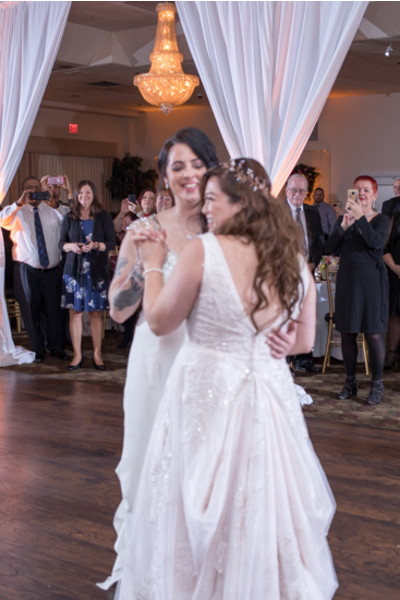 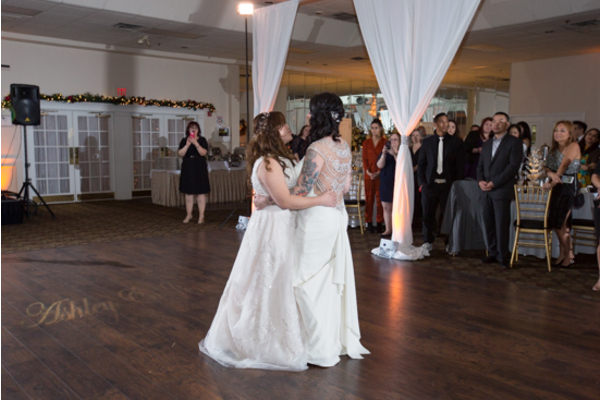 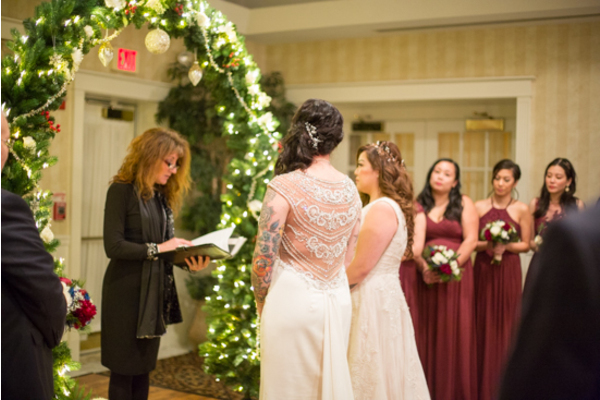 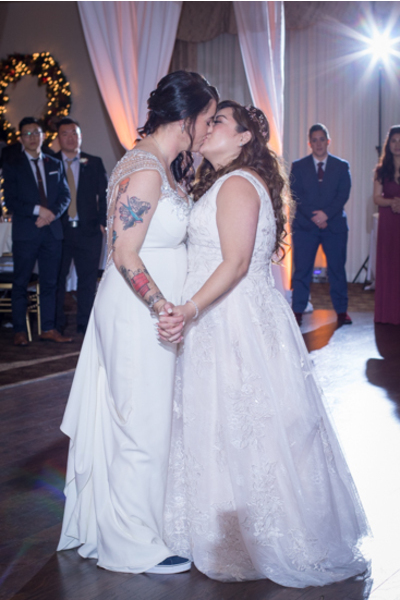 Our NJ Wedding Videographer was there to capture every vow and every kiss shared that afternoon. 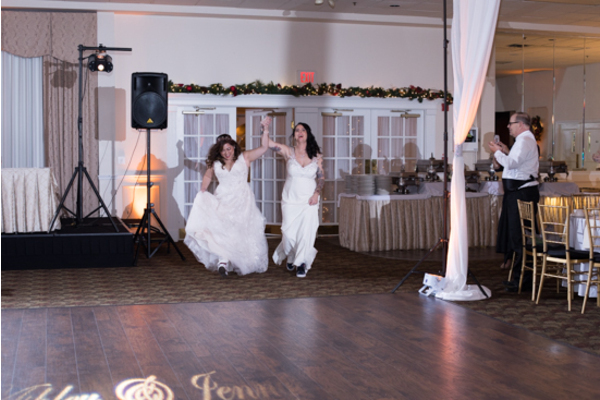 After their “I Do’s” they walked hand-in-hand back down the aisle officially time to celebrate! 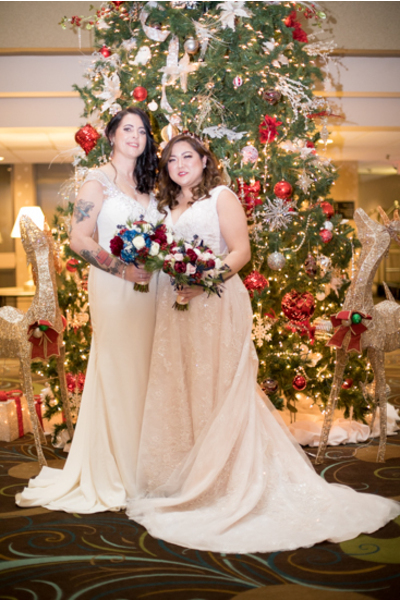 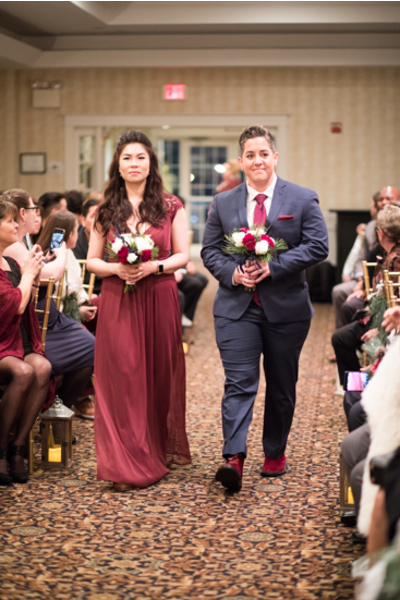 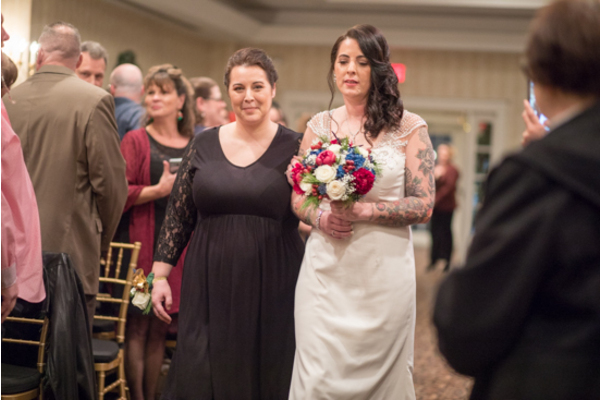 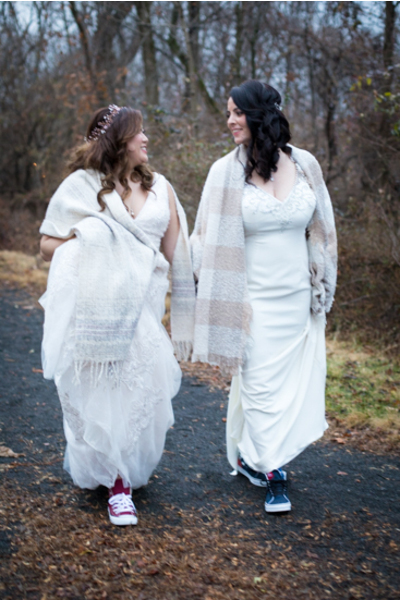 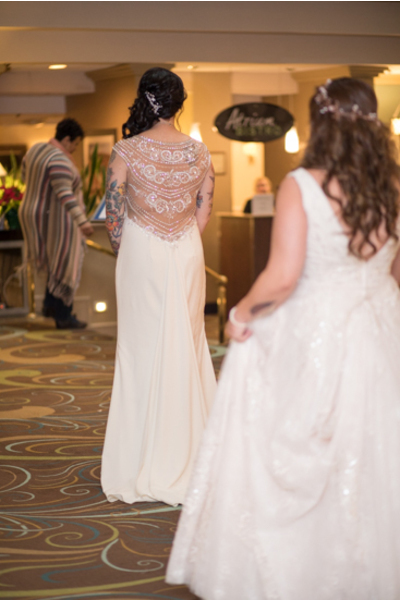 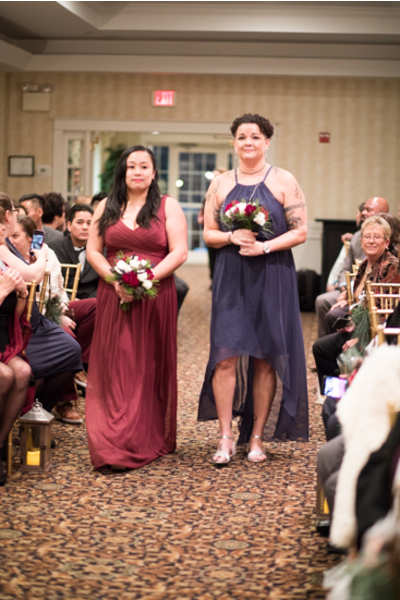 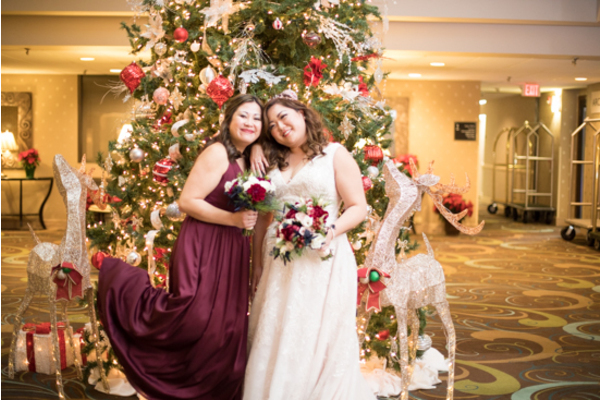 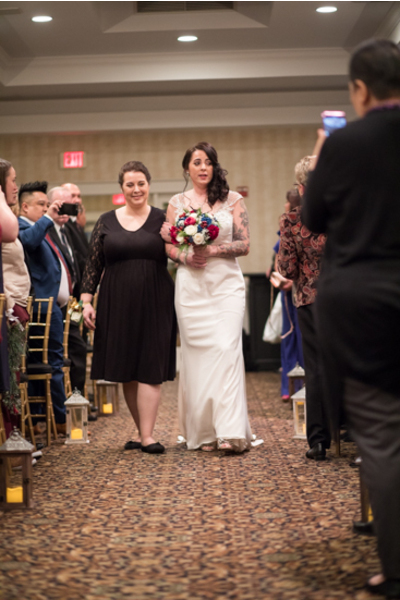 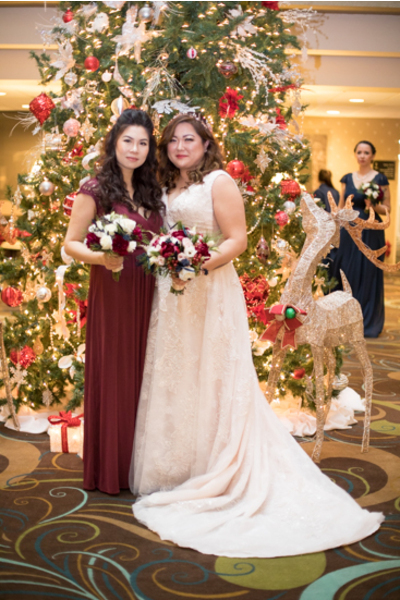 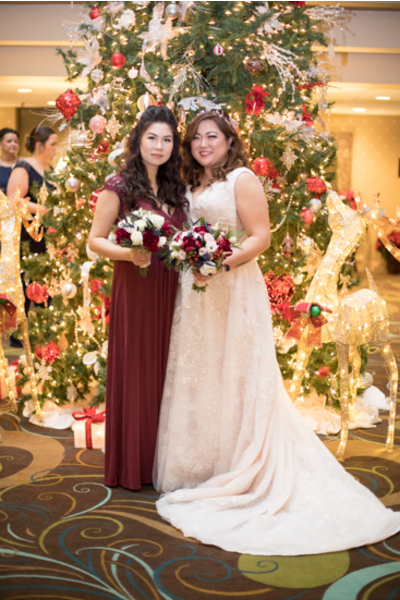 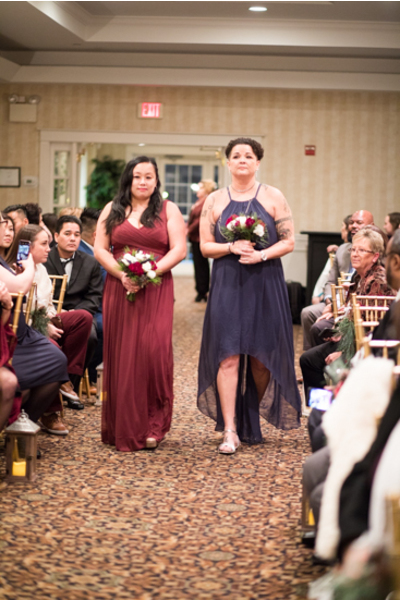 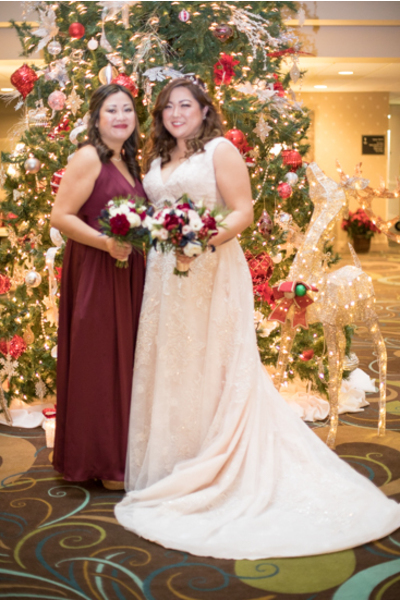 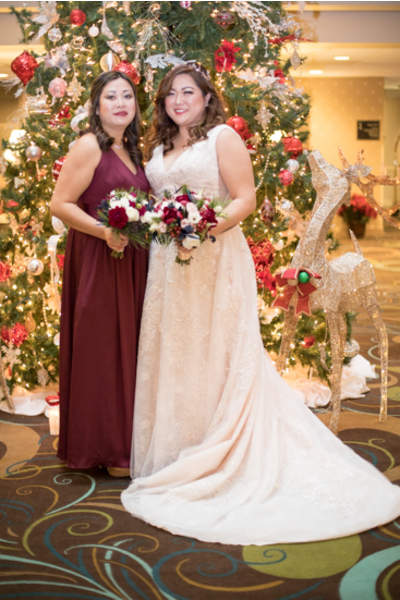 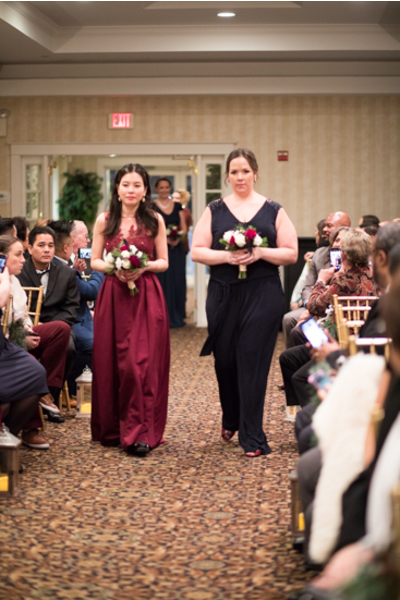 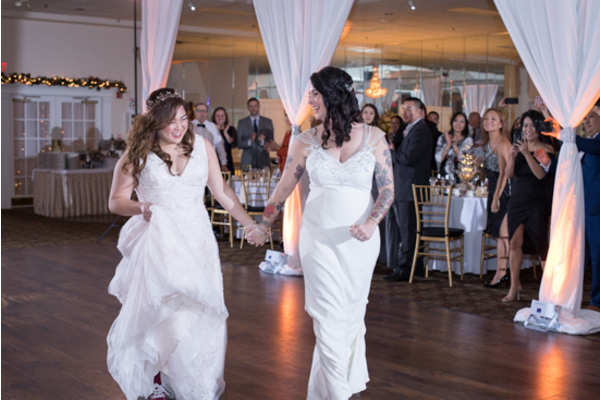 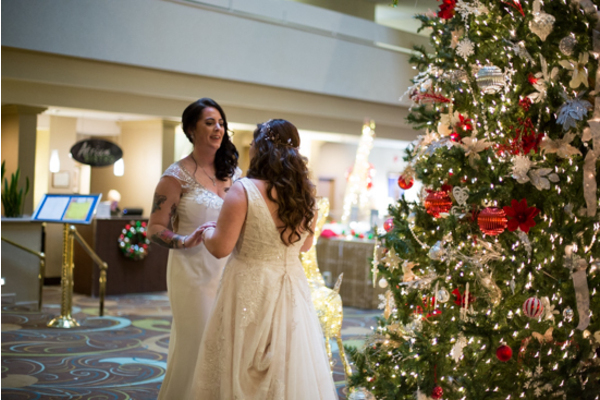 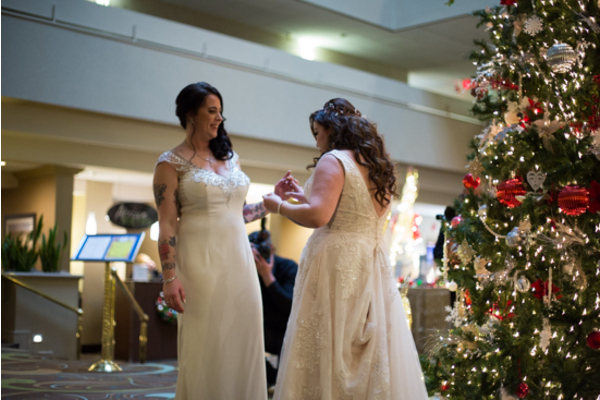 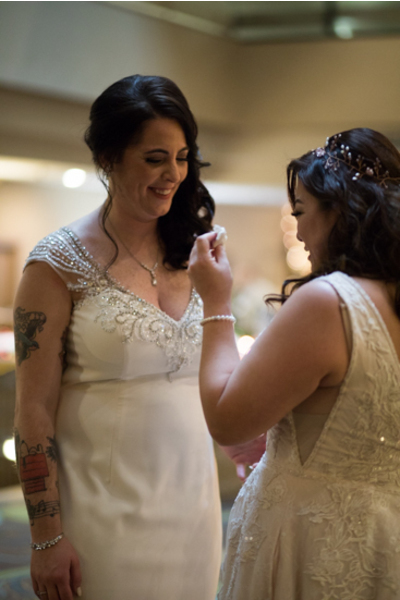 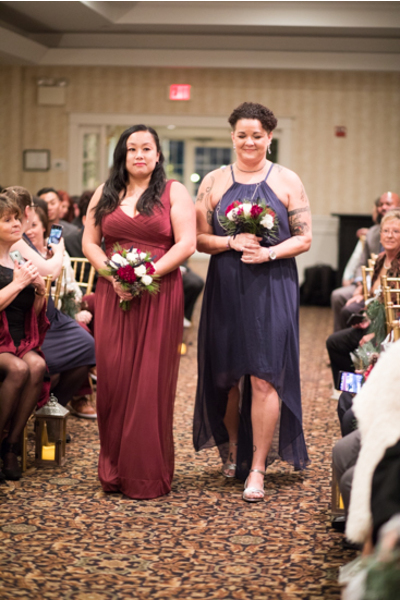 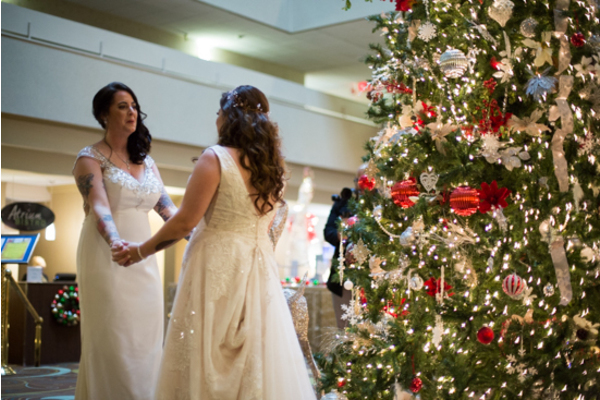 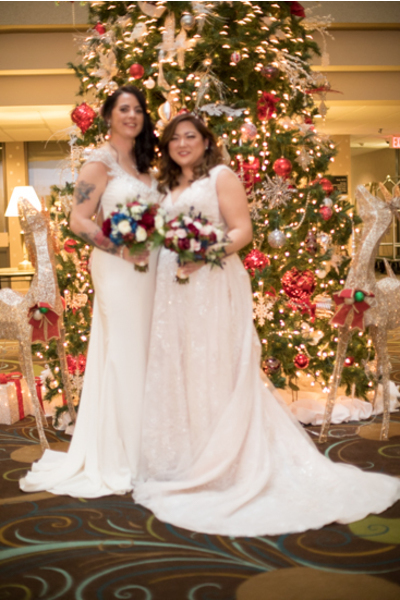 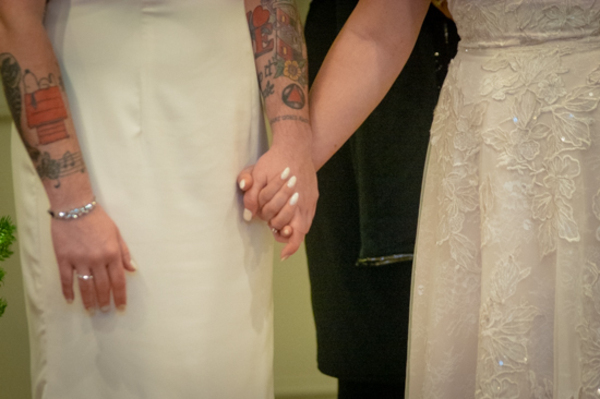 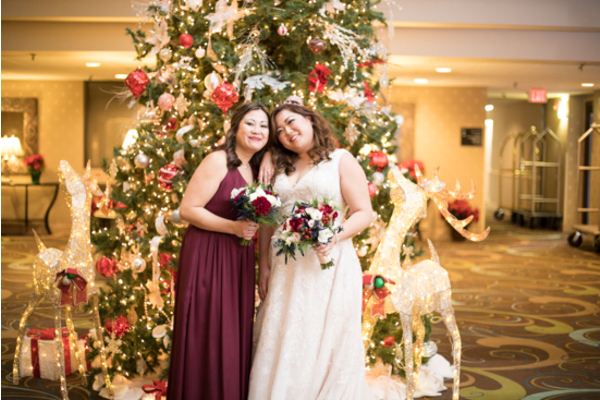 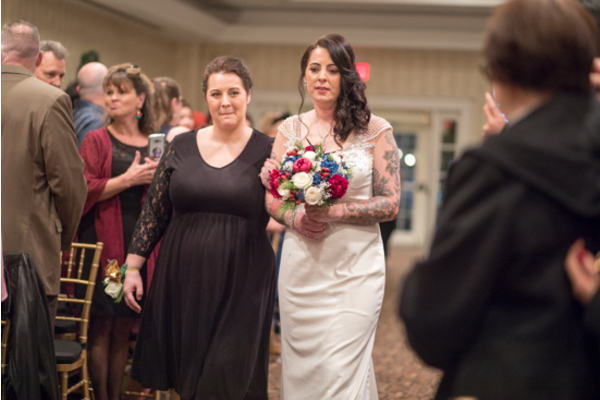 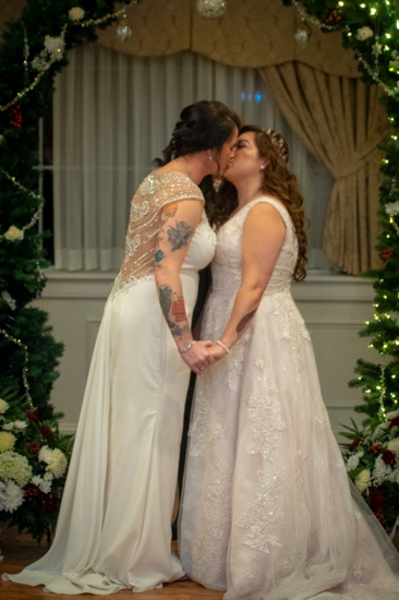 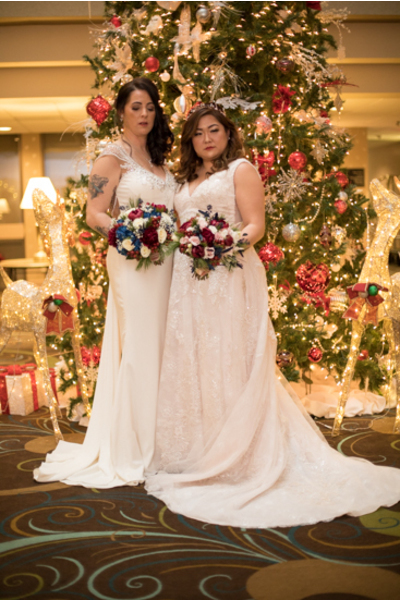 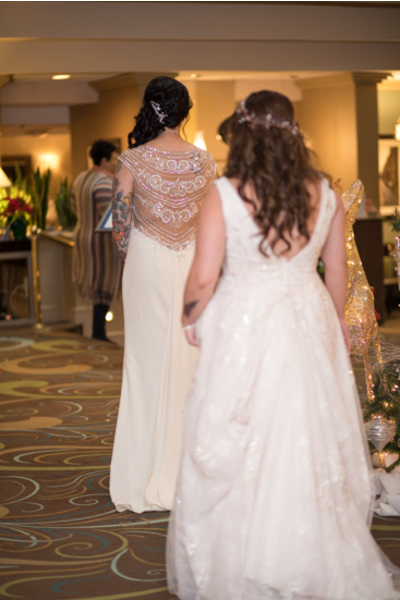 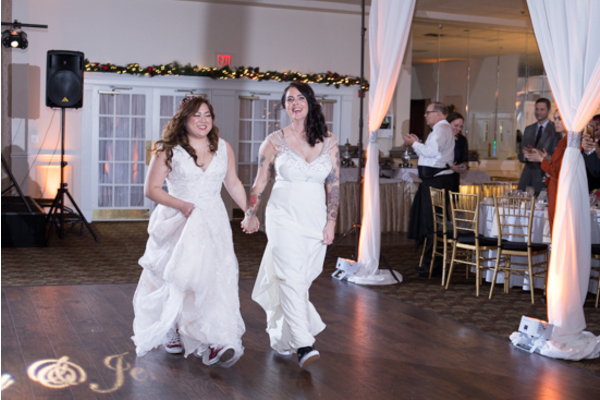 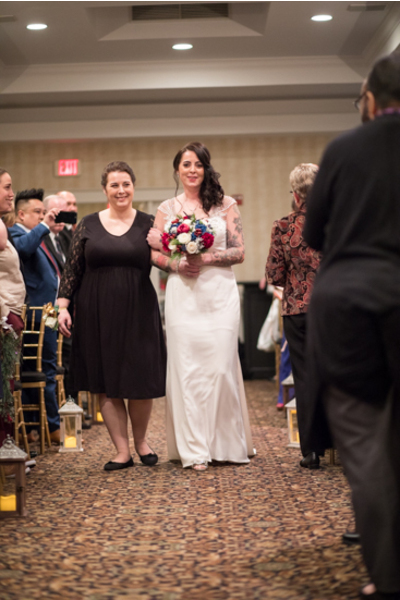 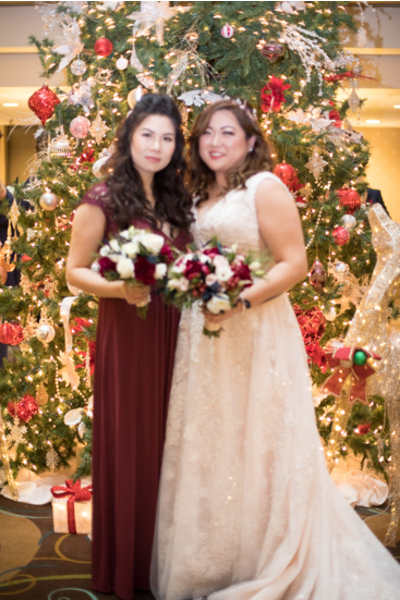 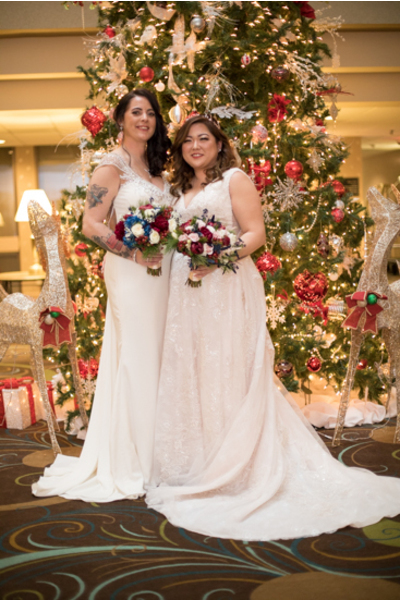 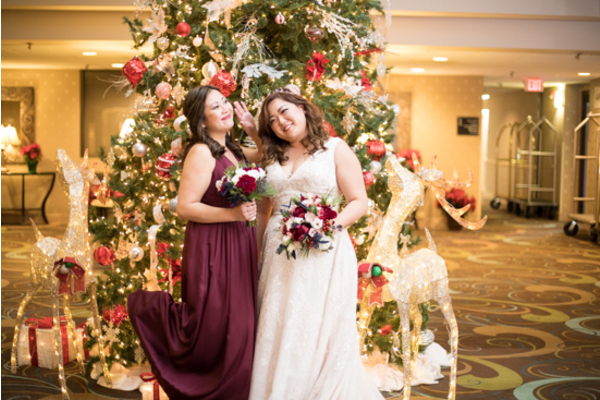 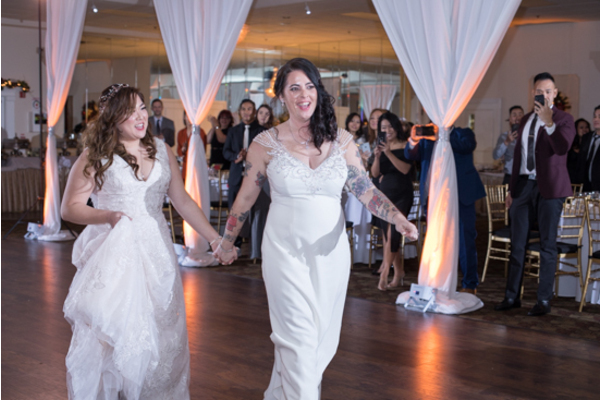 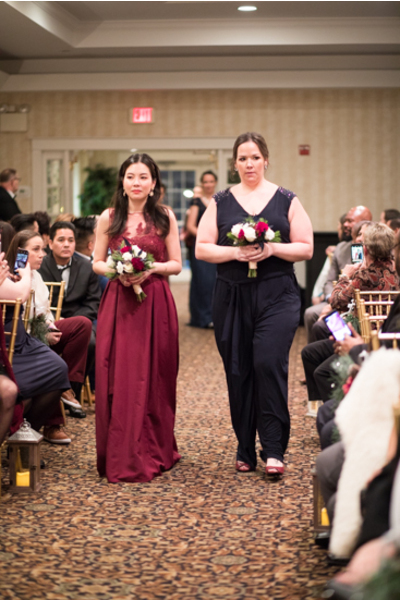 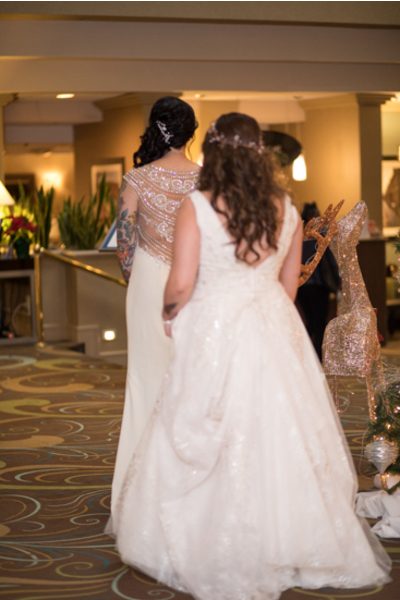 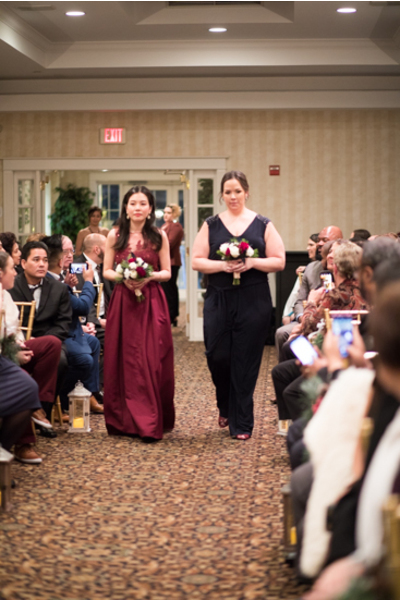 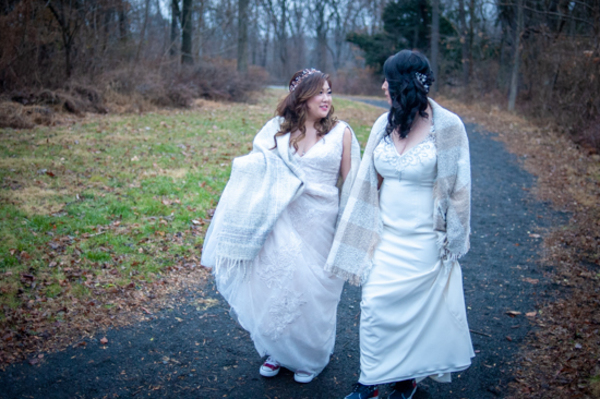 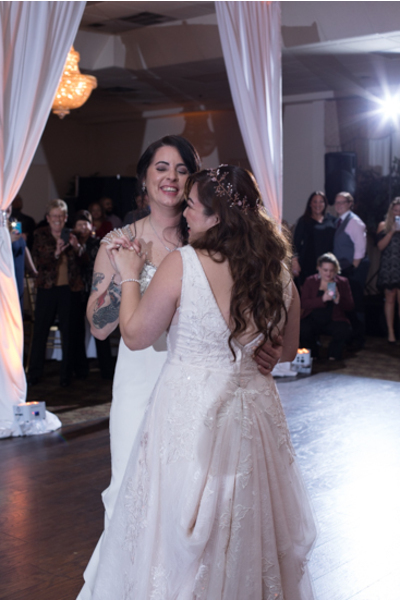 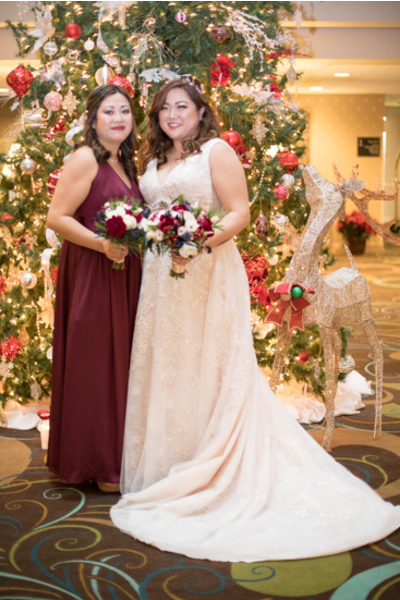 These two beautiful brides made their way to the reception. 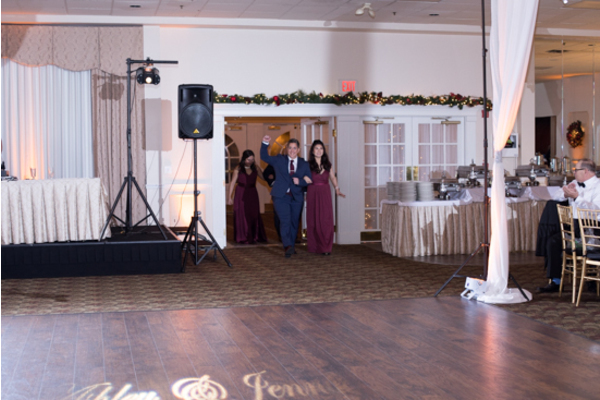 Greeted by all their loved ones the couple made their grand entrance as newlyweds. 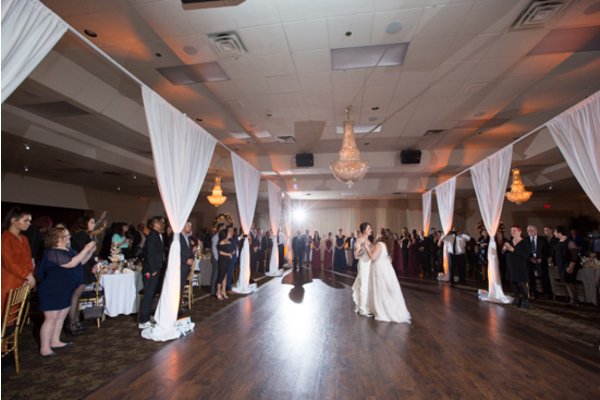 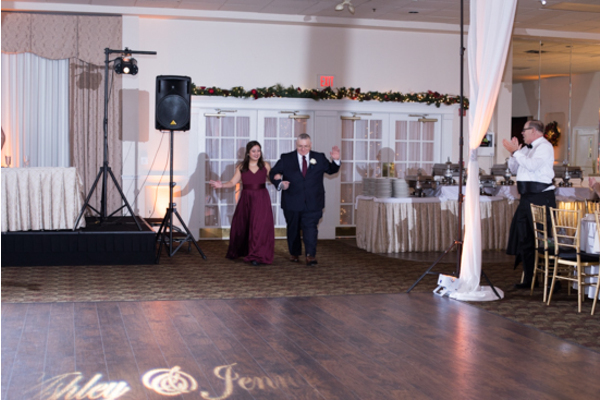 This celebration was nothing short of magical as guests enjoyed the rest of the night dancing. 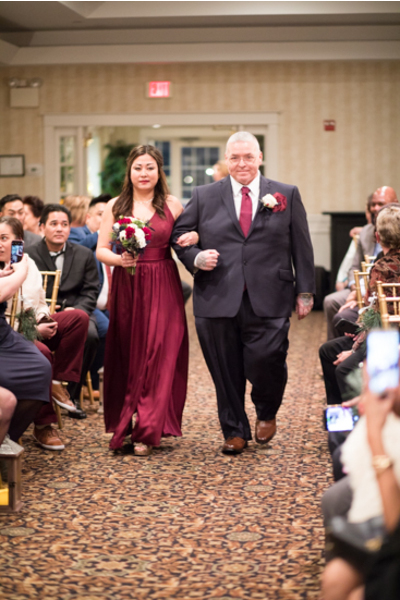 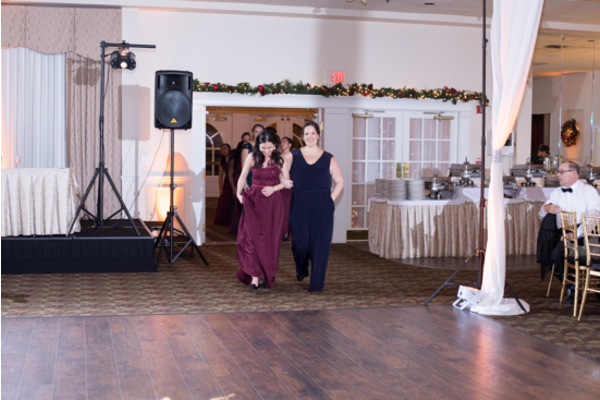 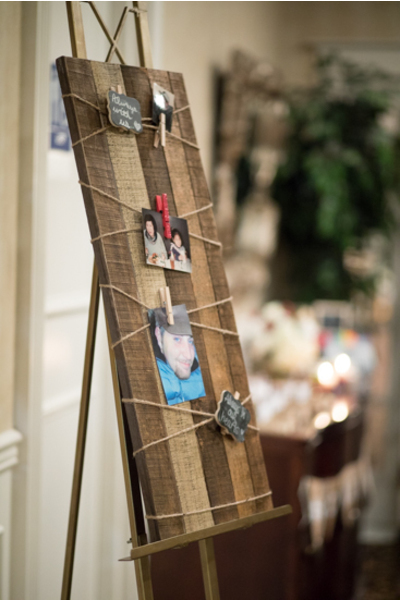 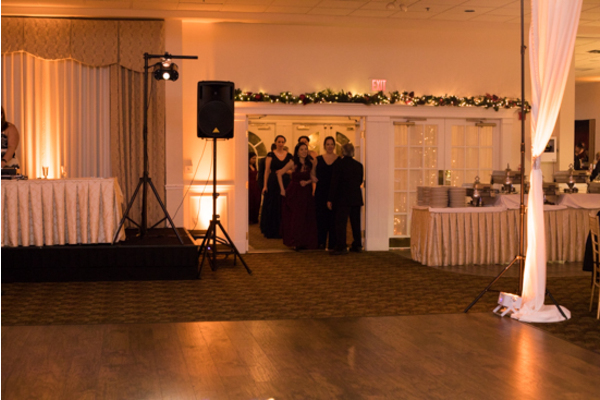 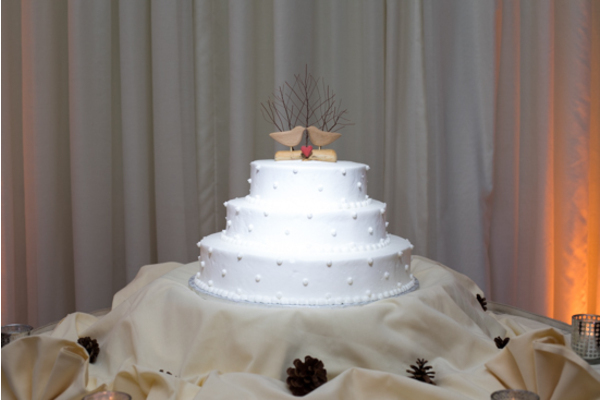 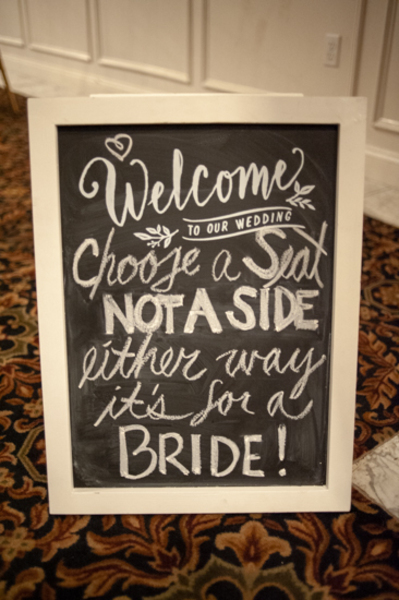 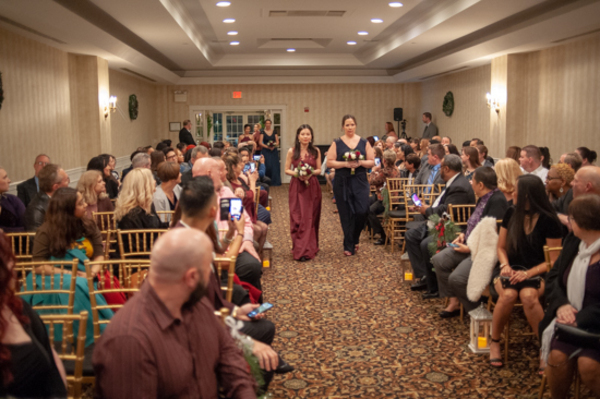 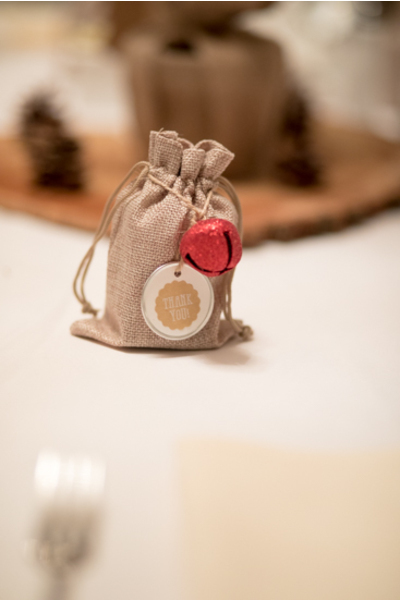 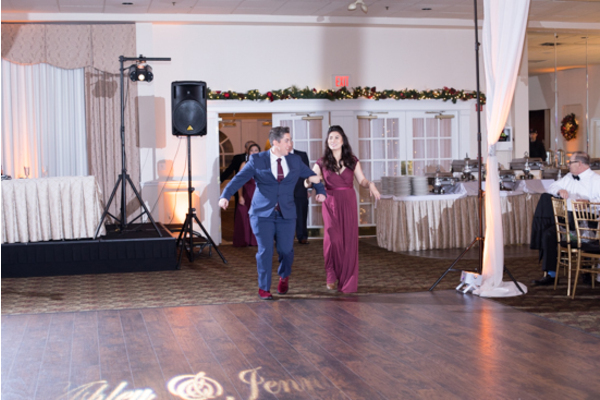 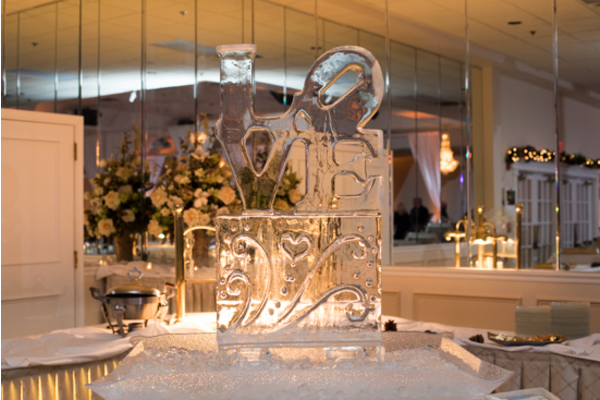 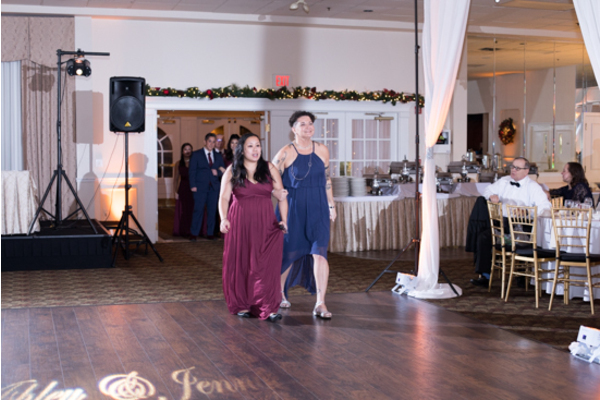 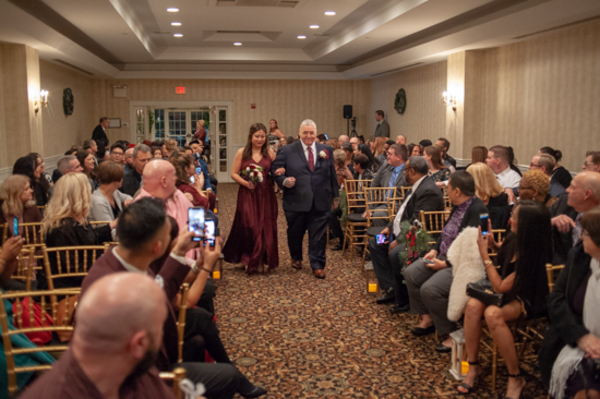 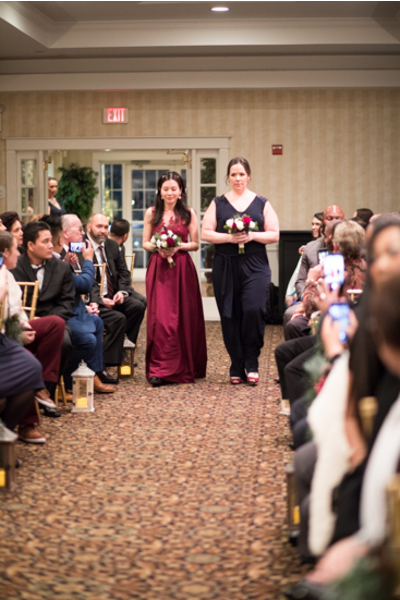 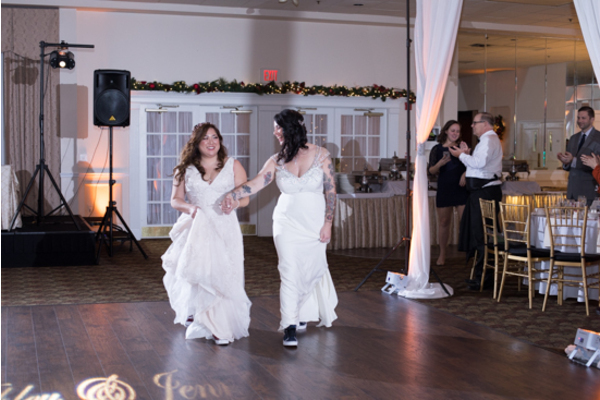 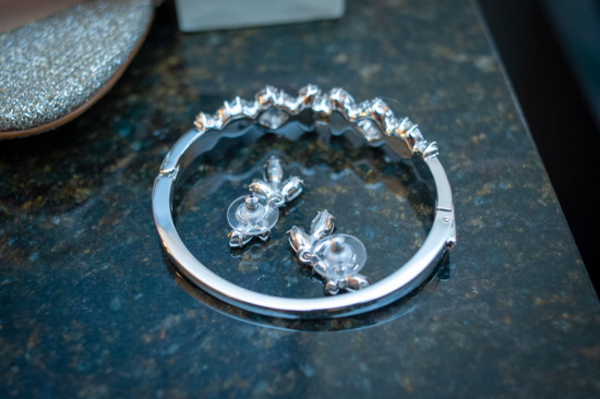 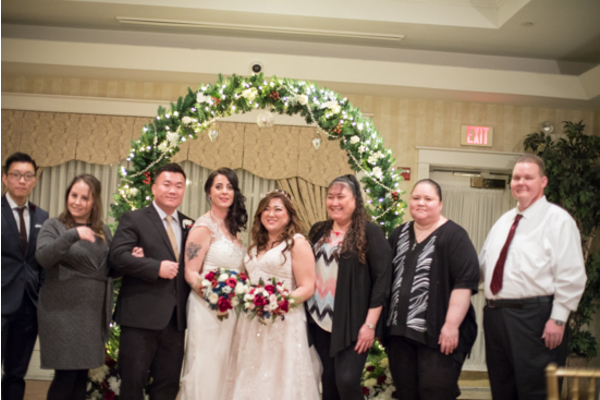 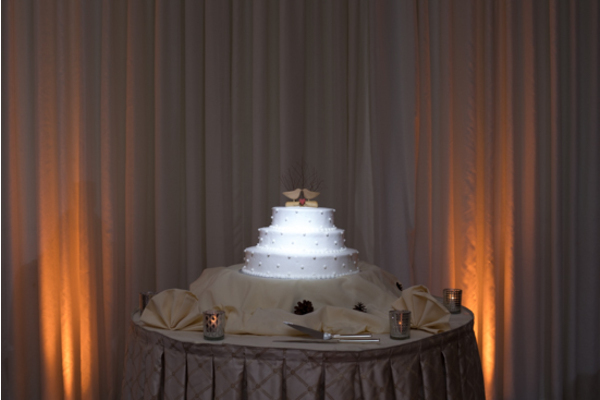 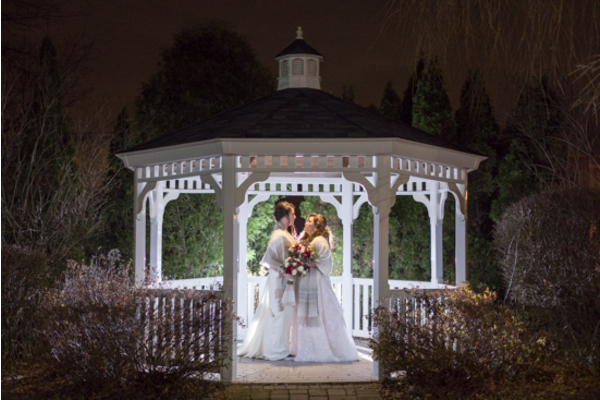 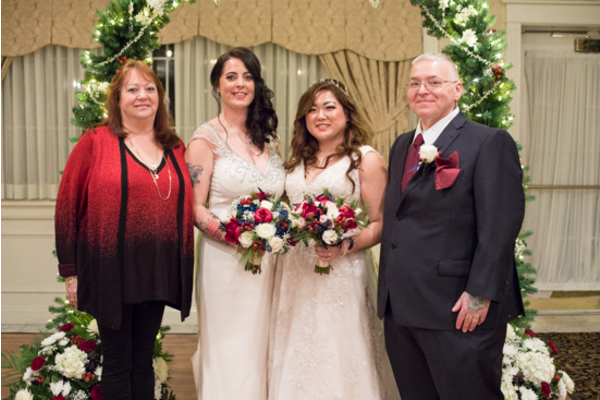 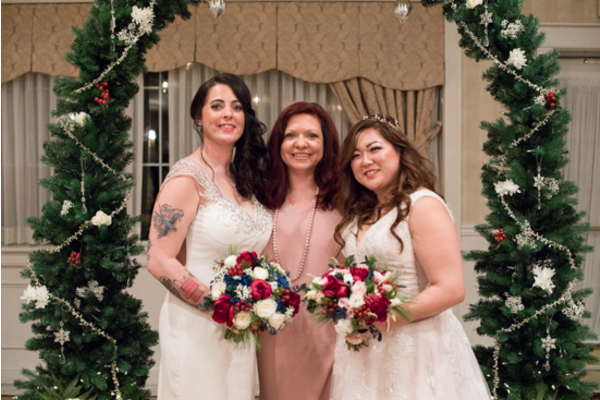 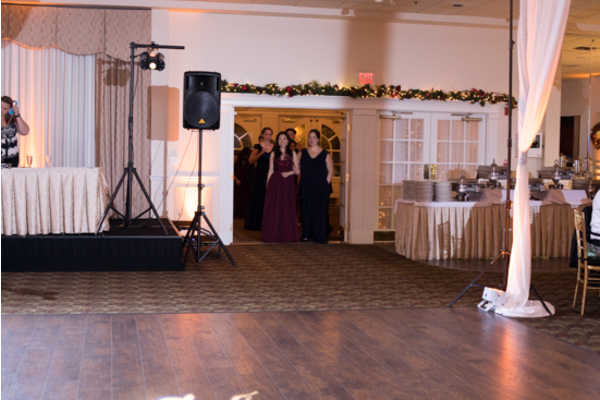 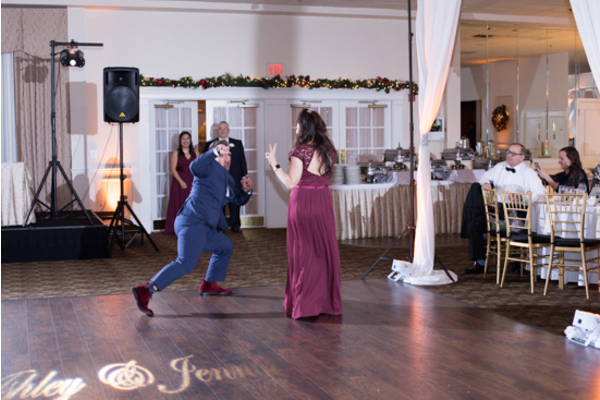 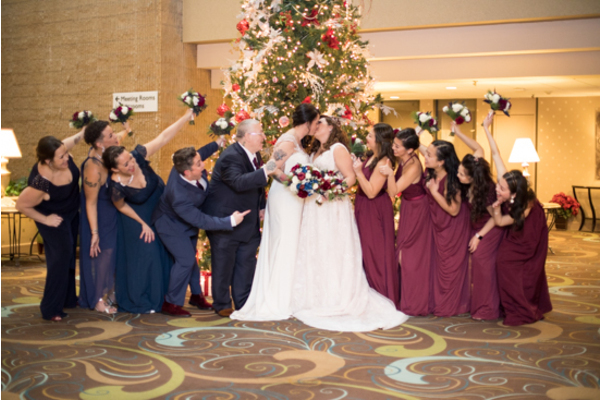 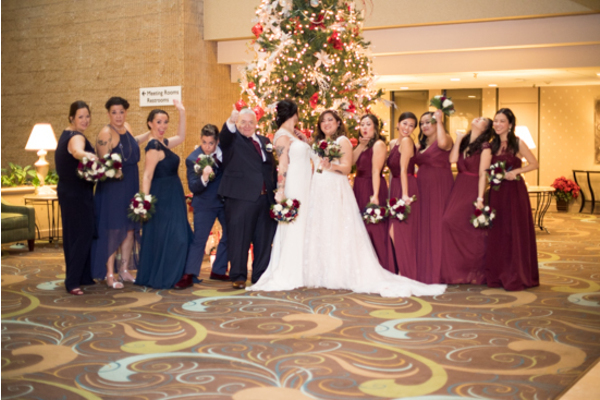 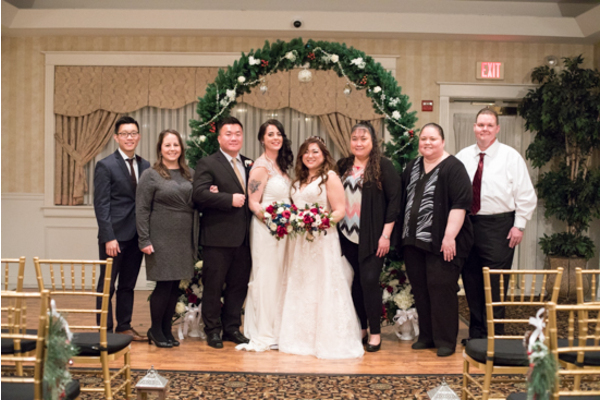 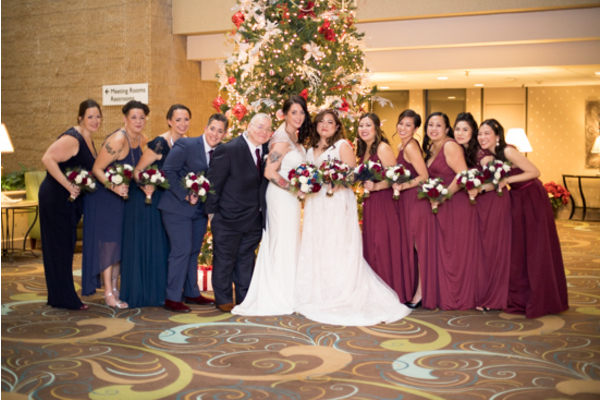 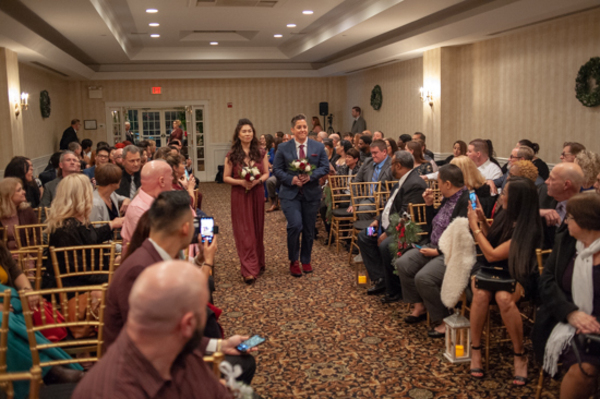 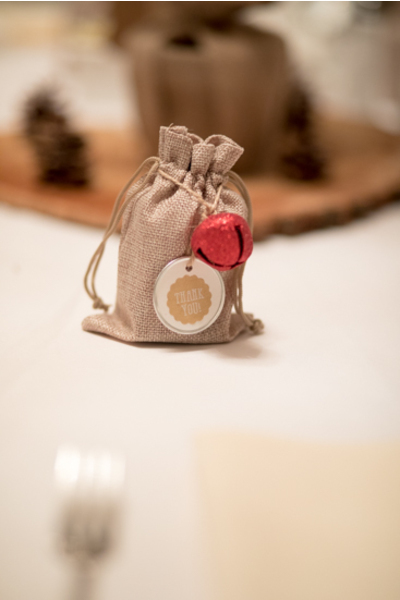 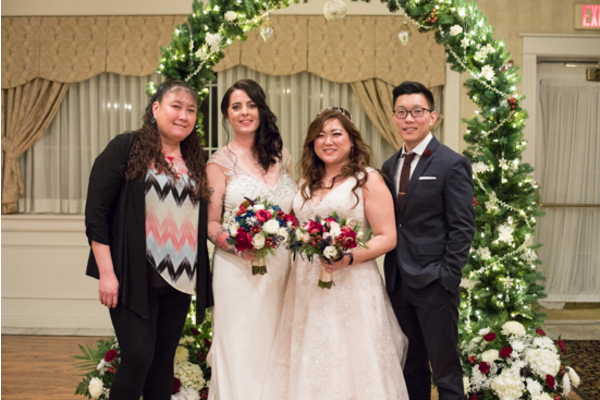 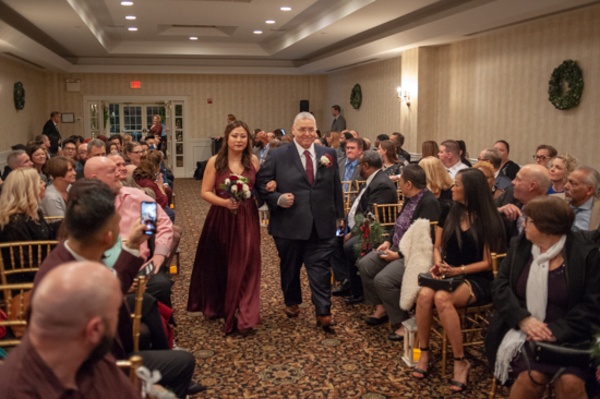 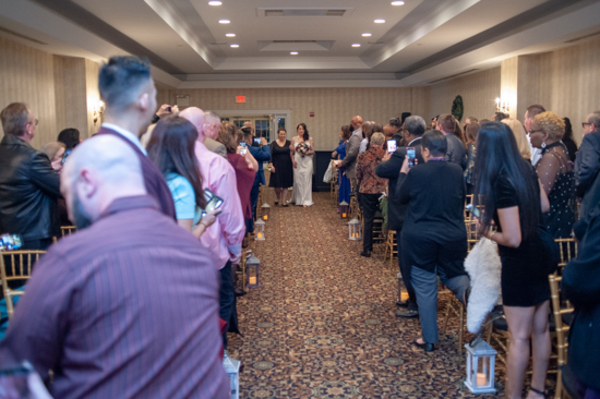 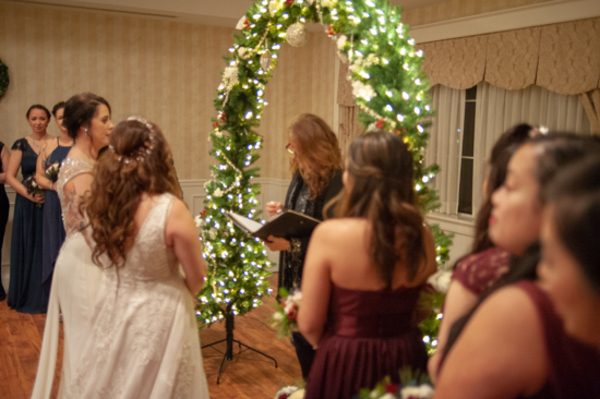 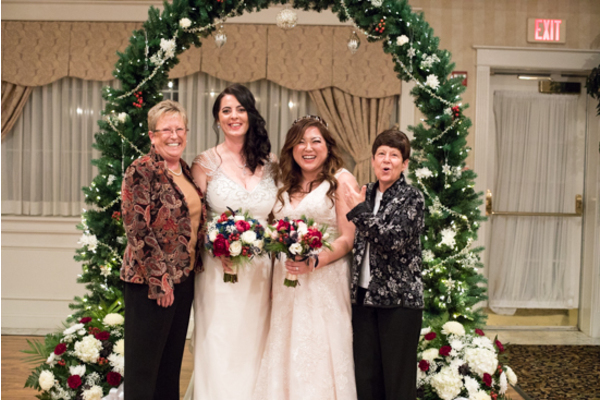 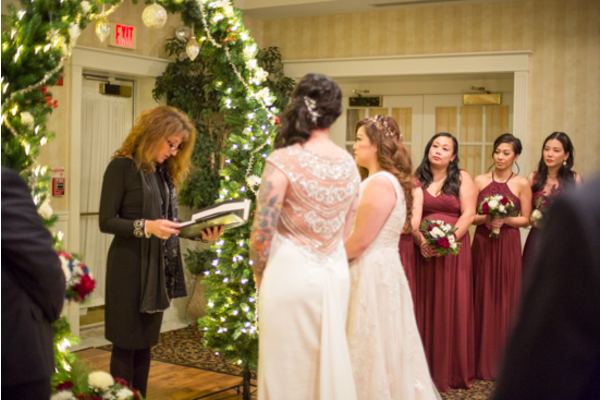 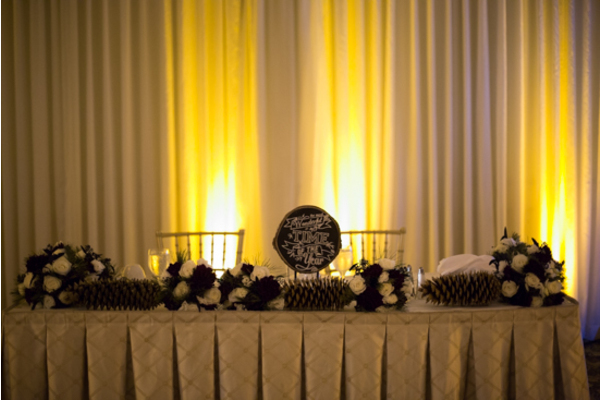 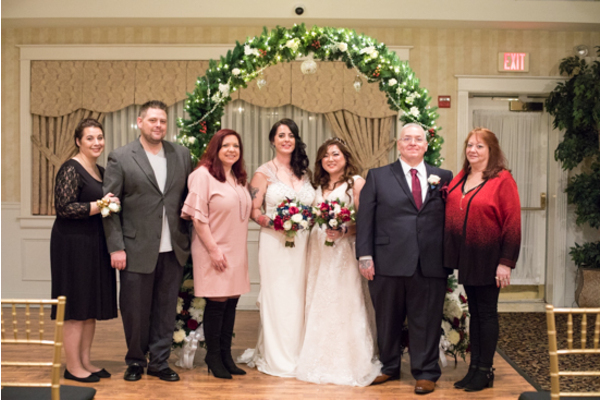 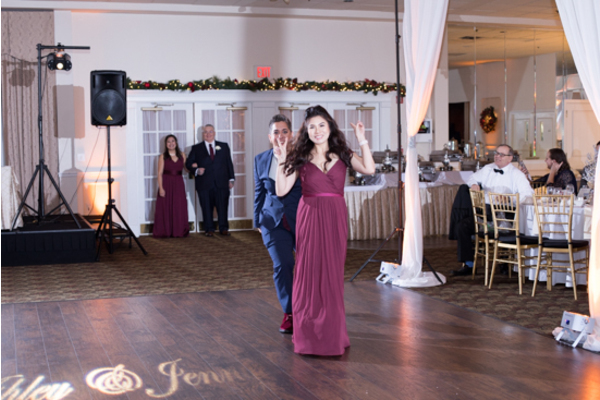 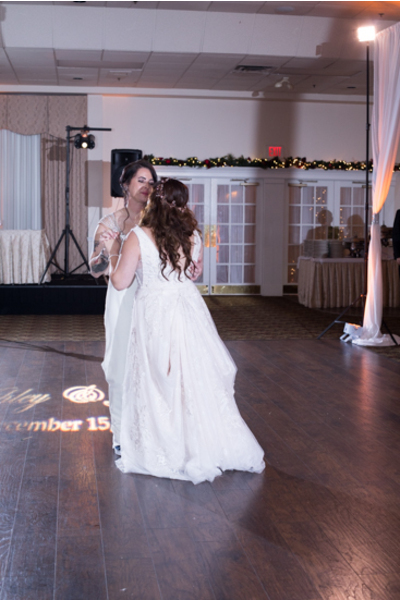 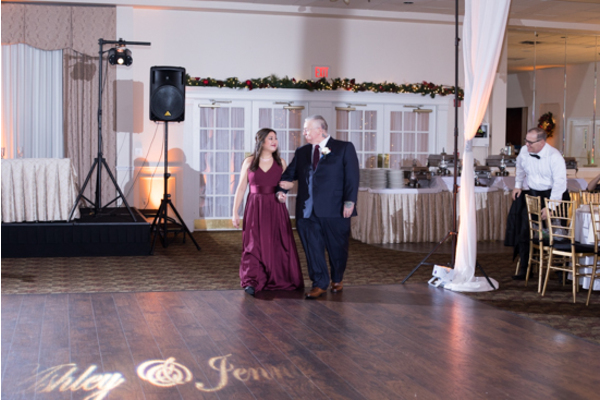 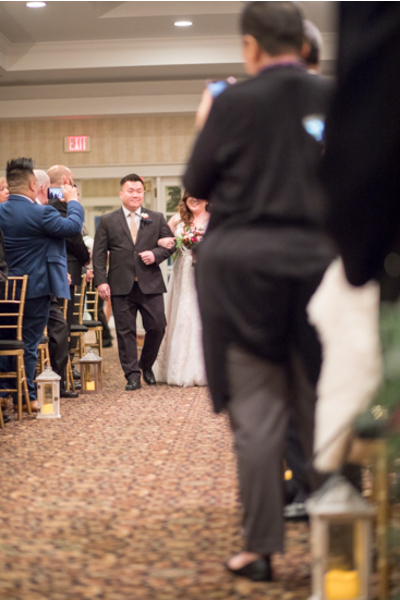 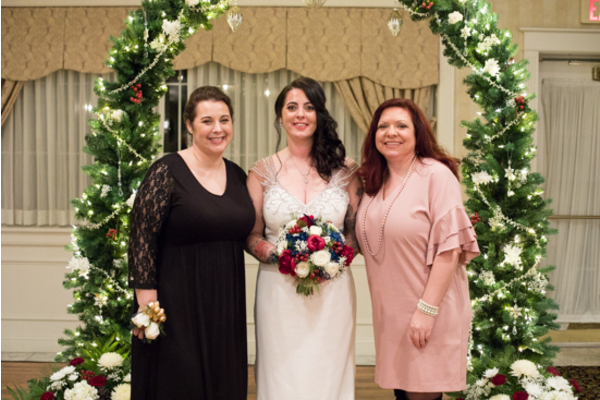 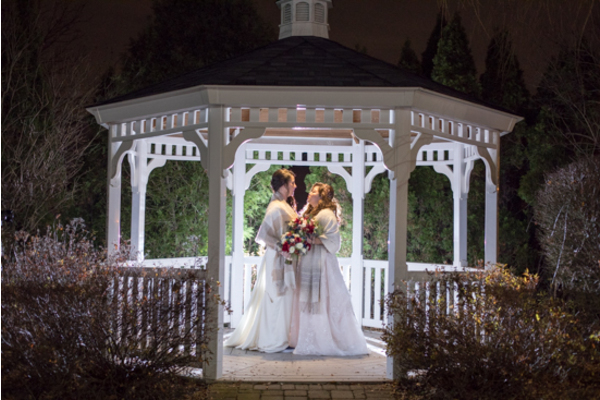 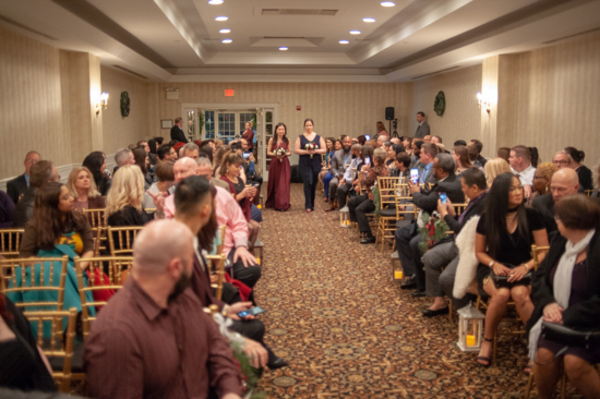 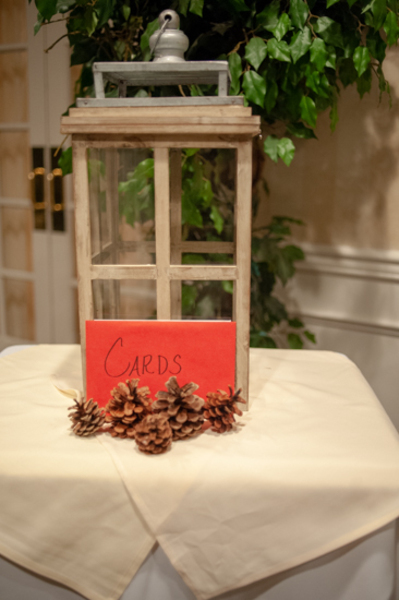 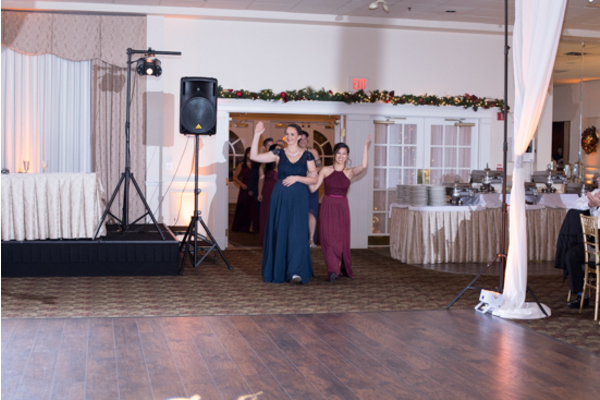 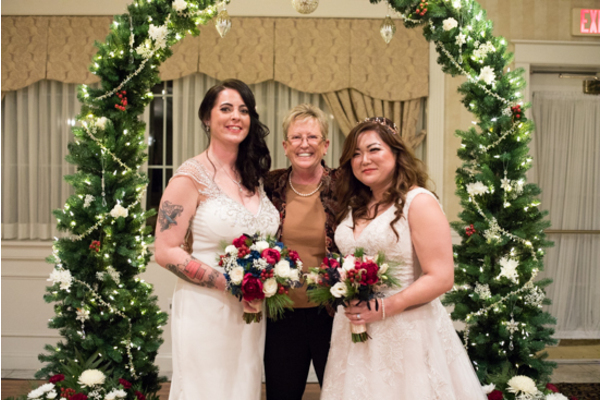 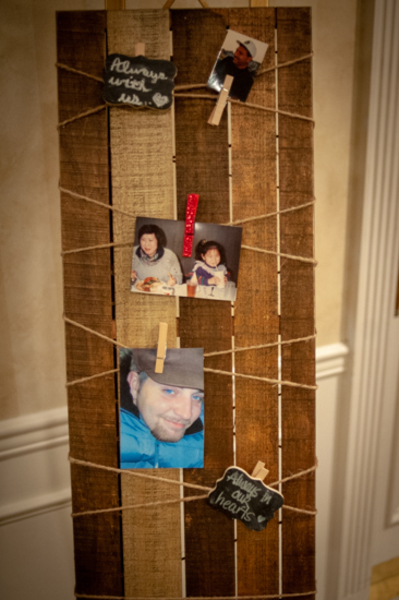 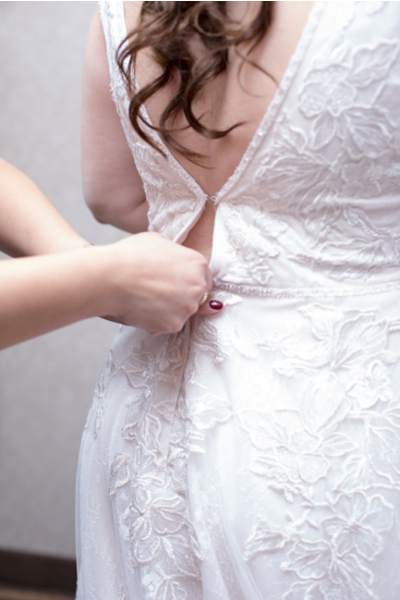 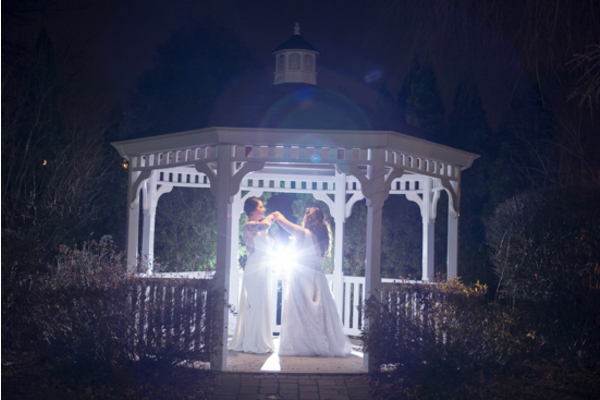 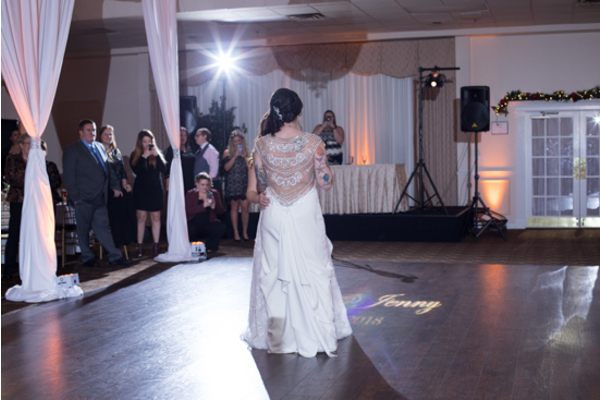 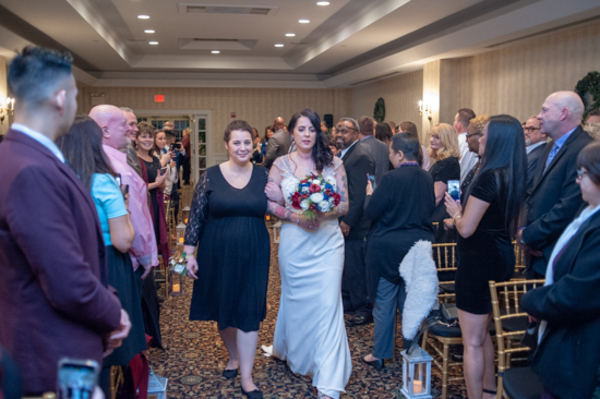 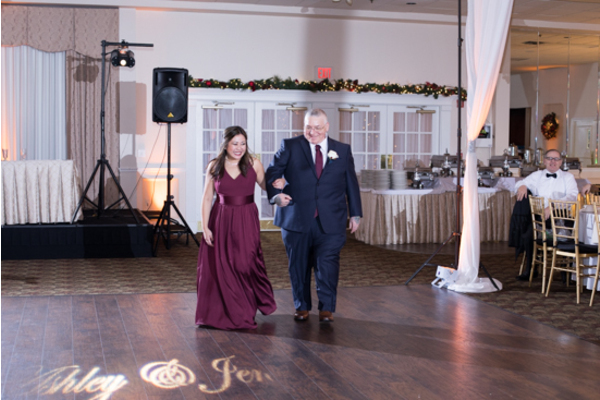 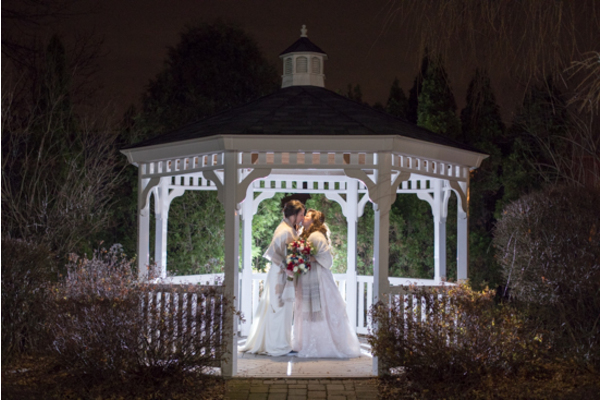 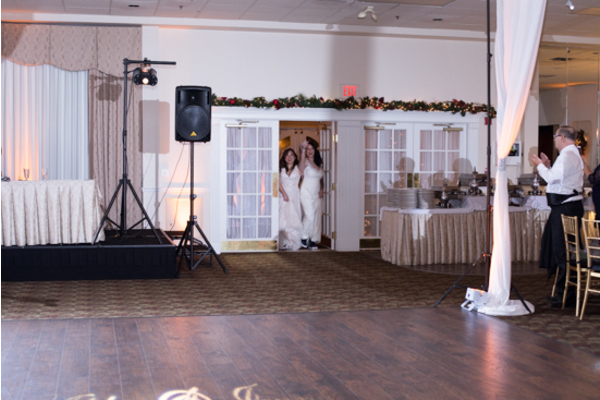 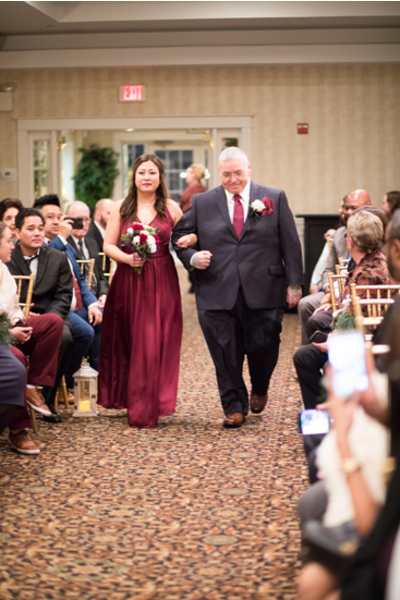 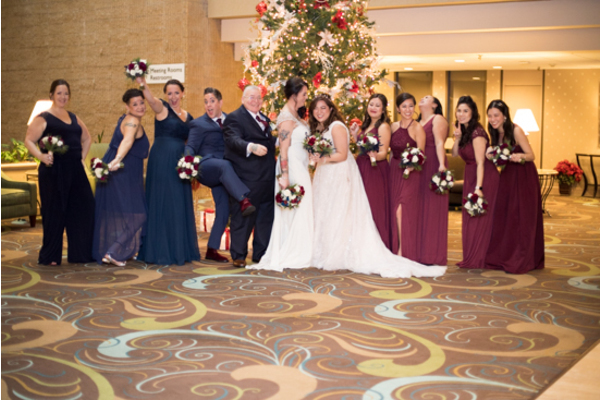 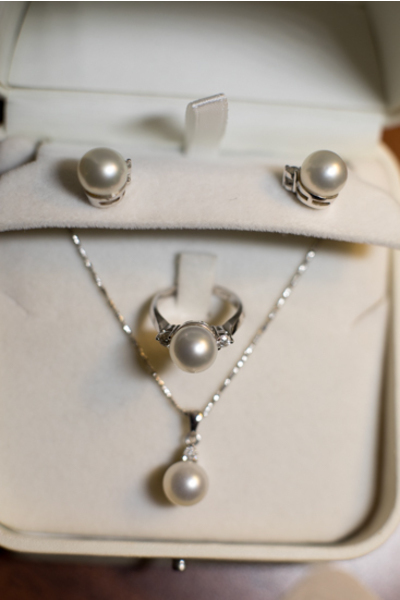 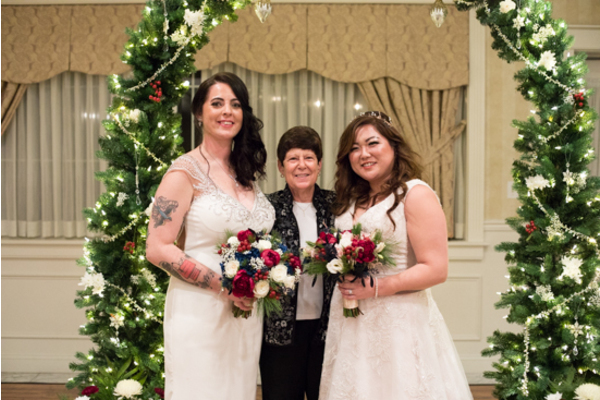 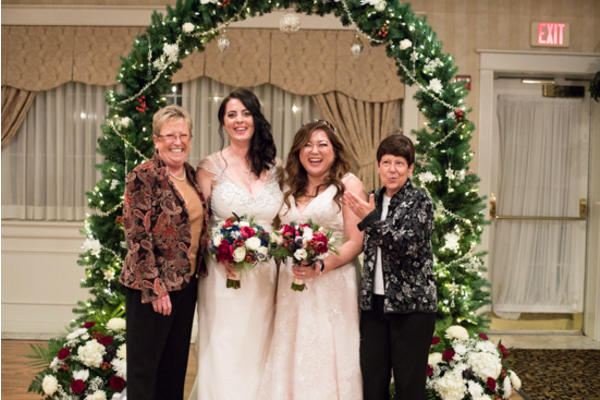 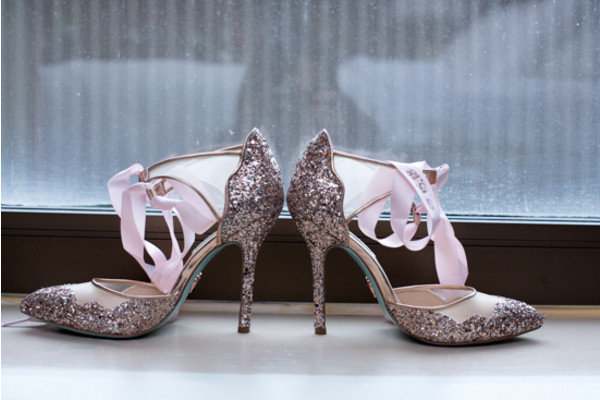 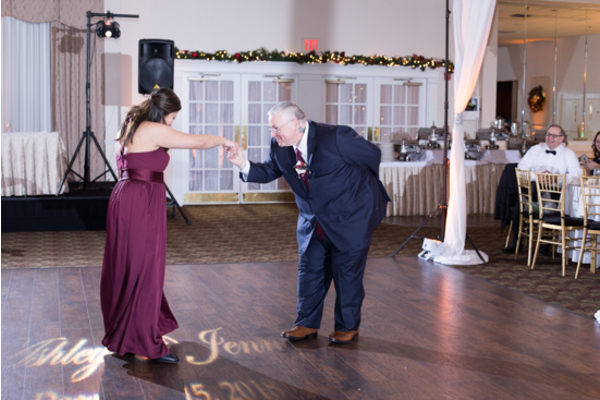 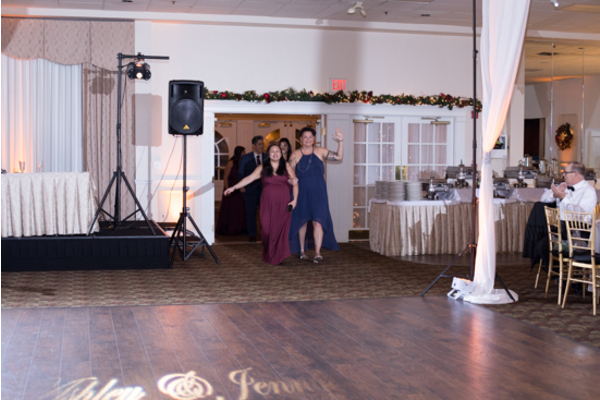 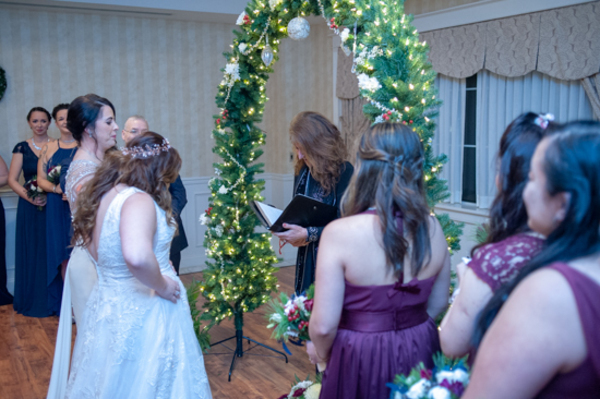 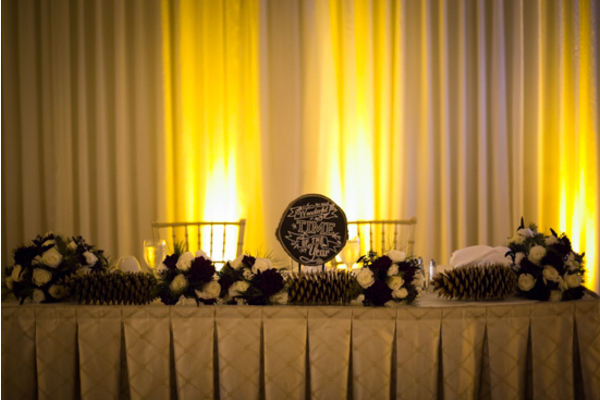 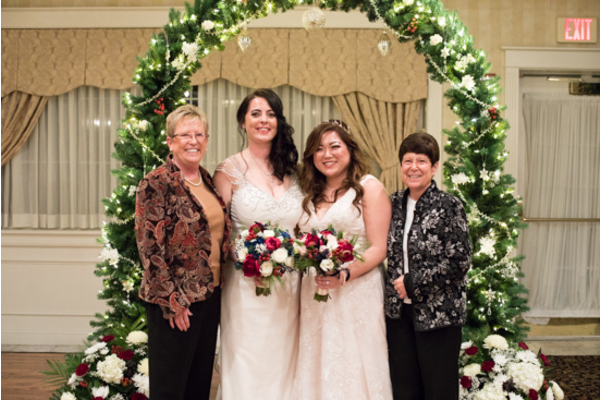 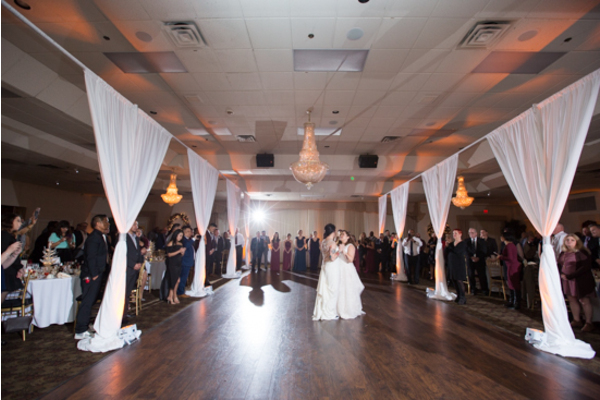 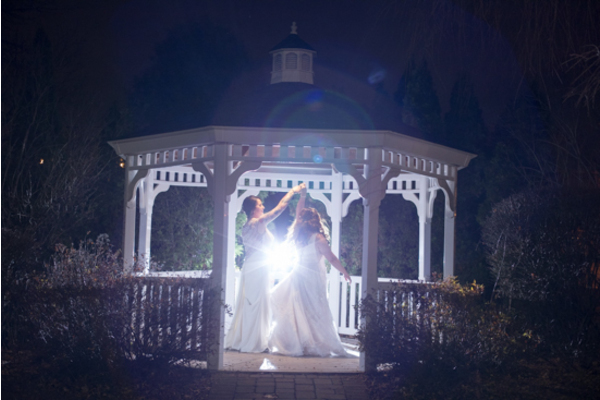 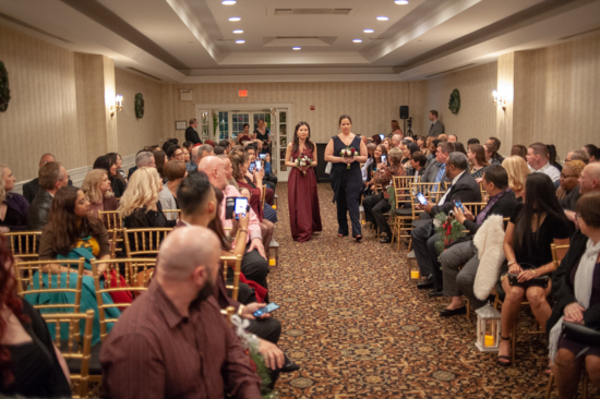 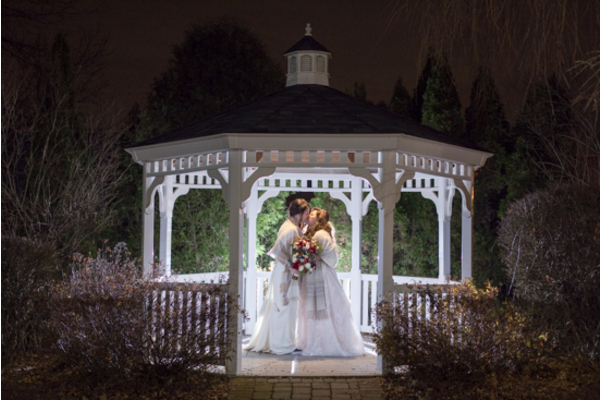 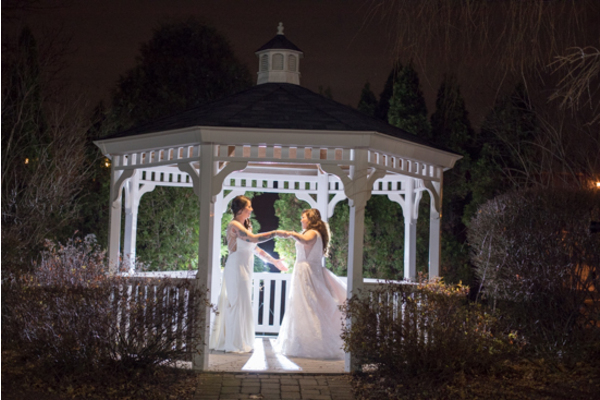 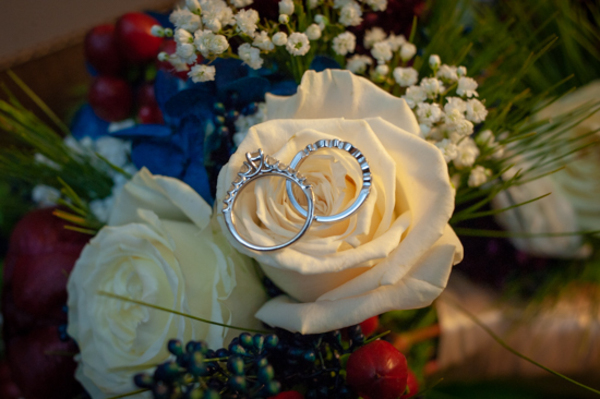 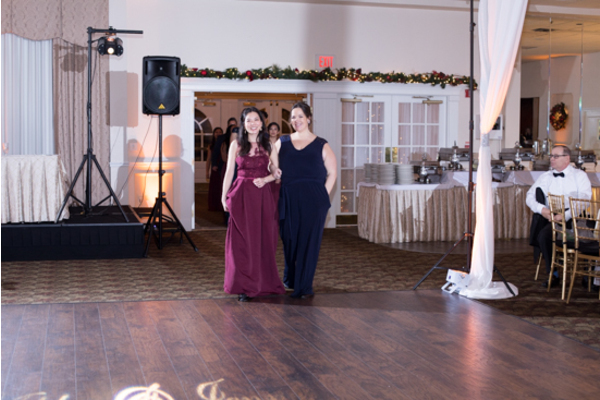 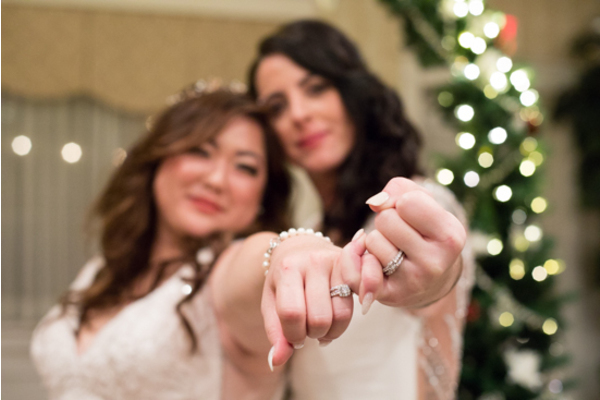 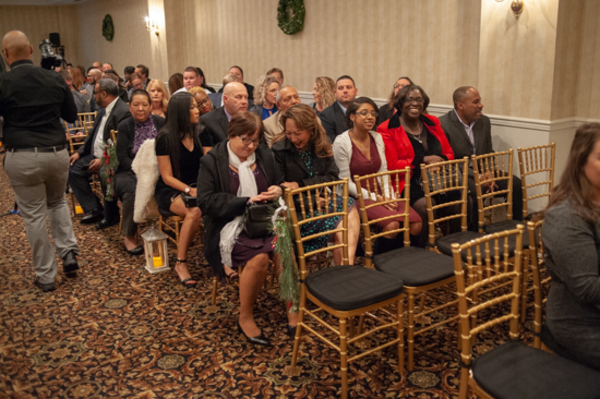 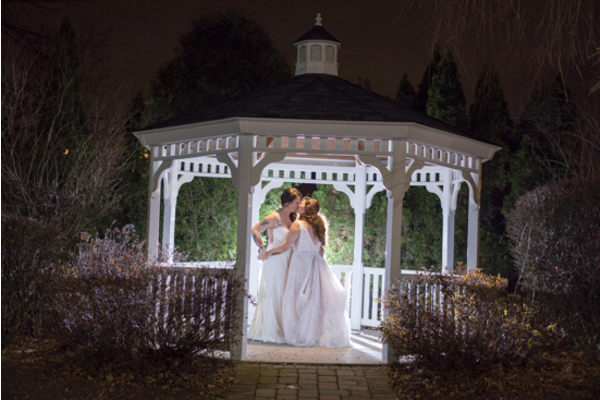 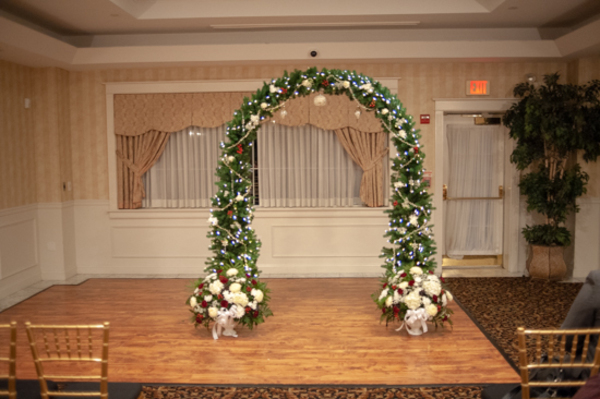 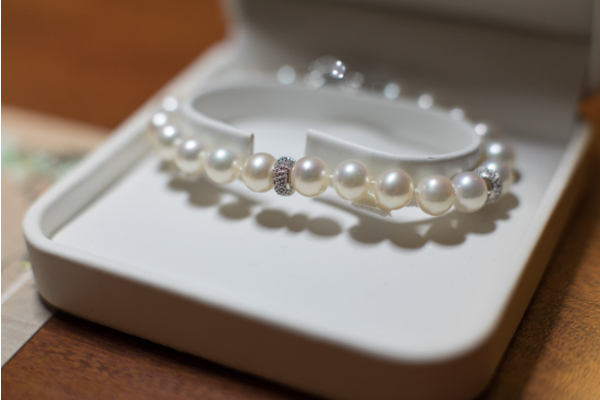 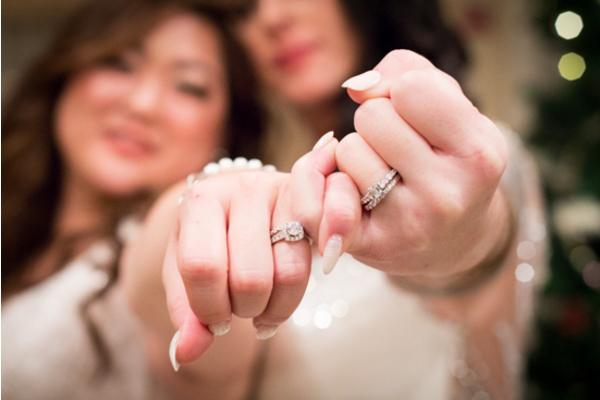 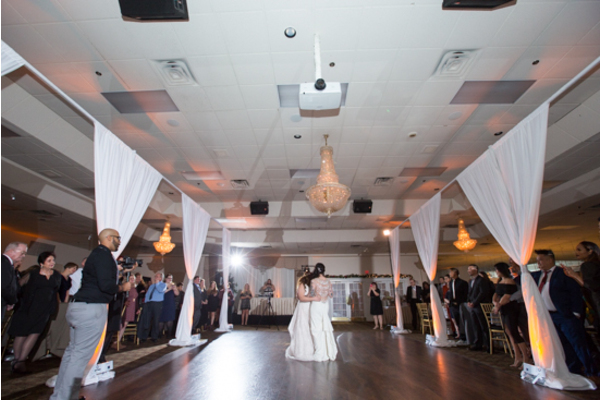 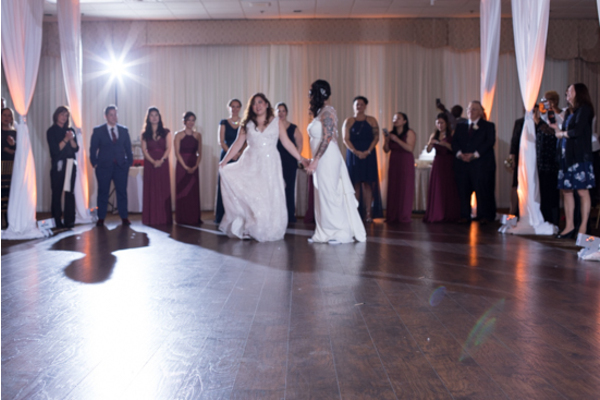 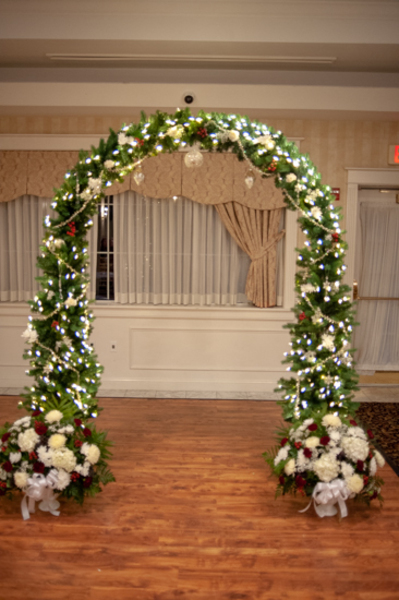 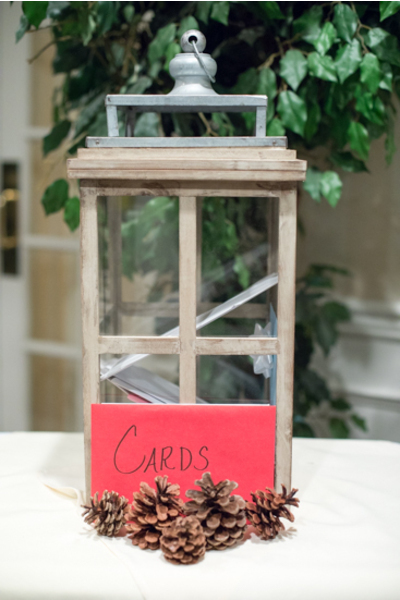 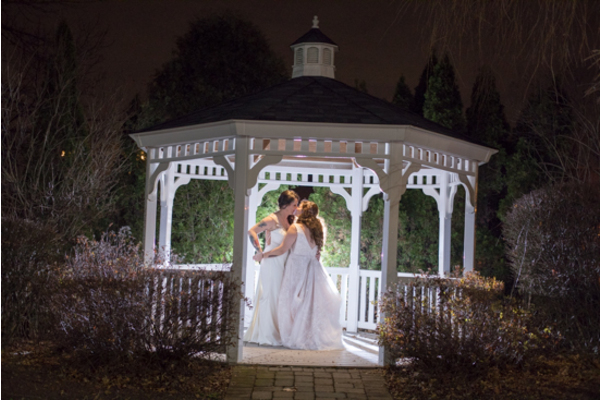 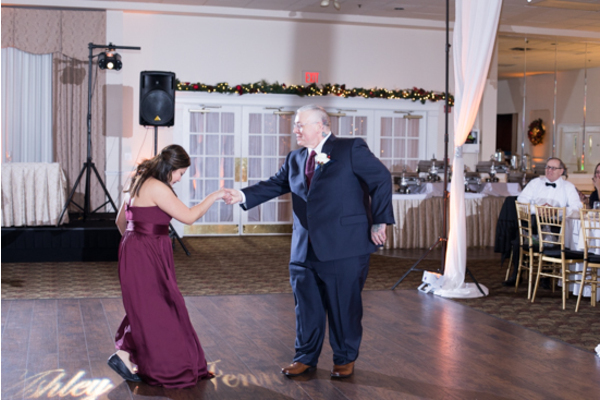 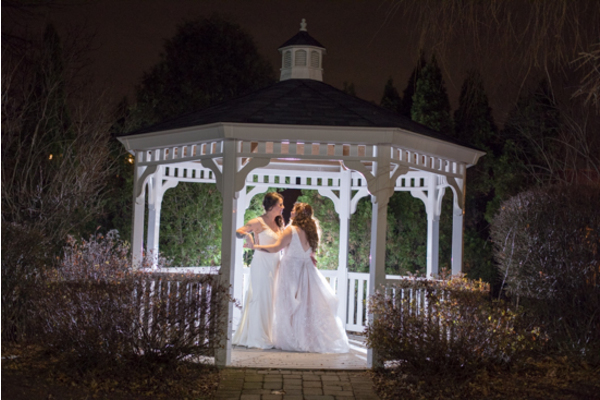 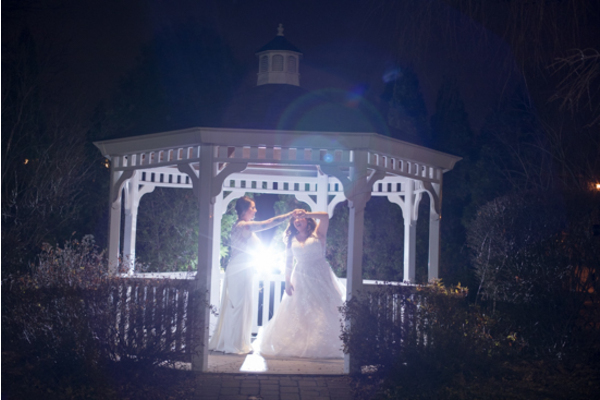 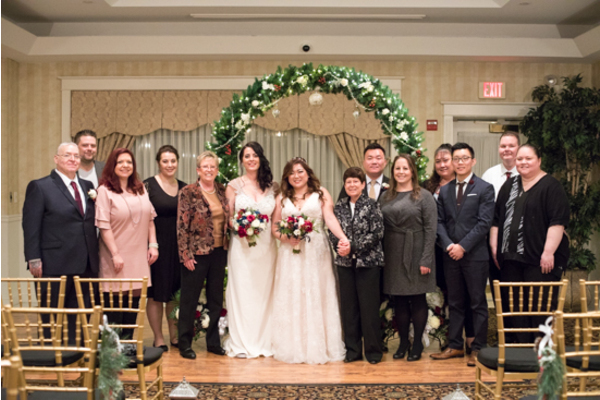 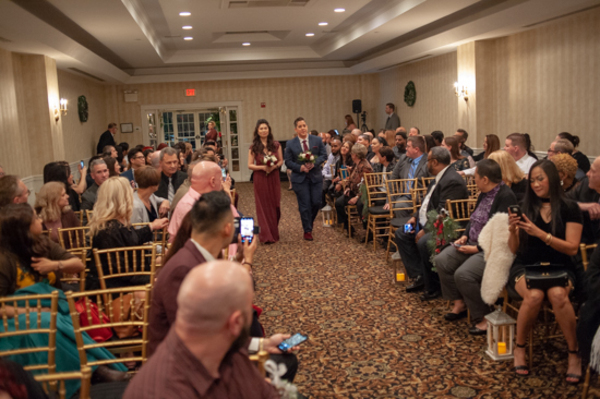 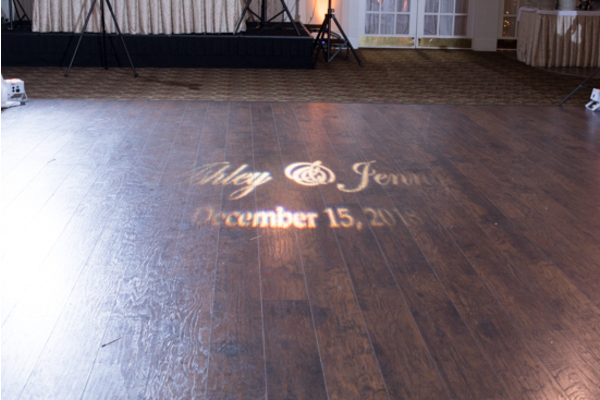 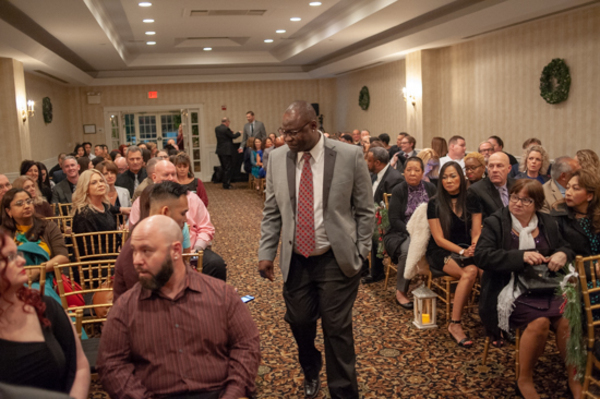 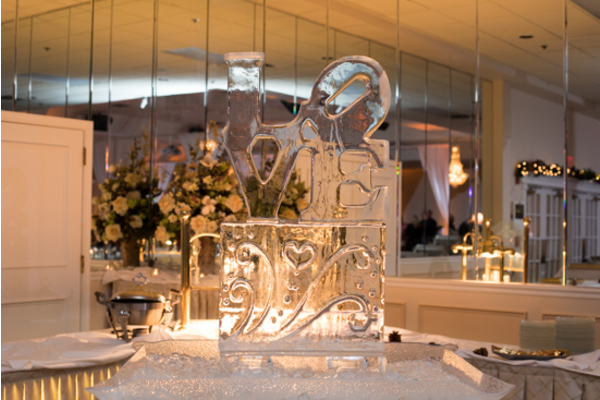 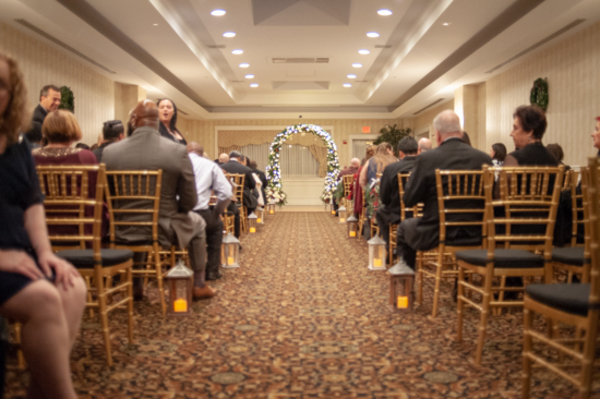 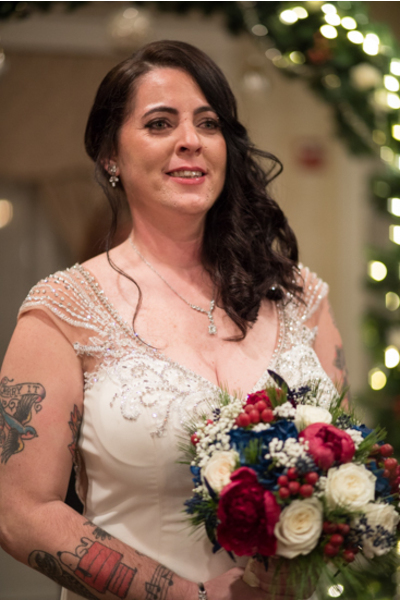 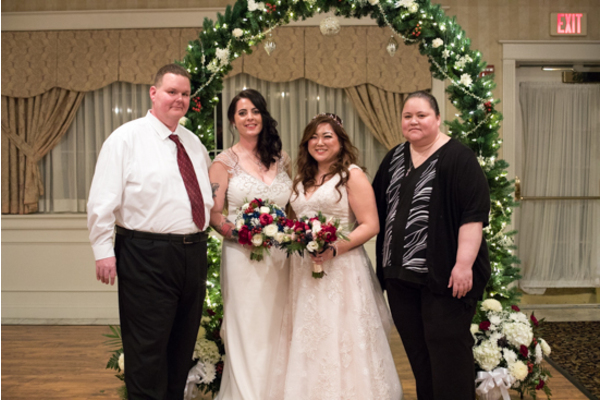 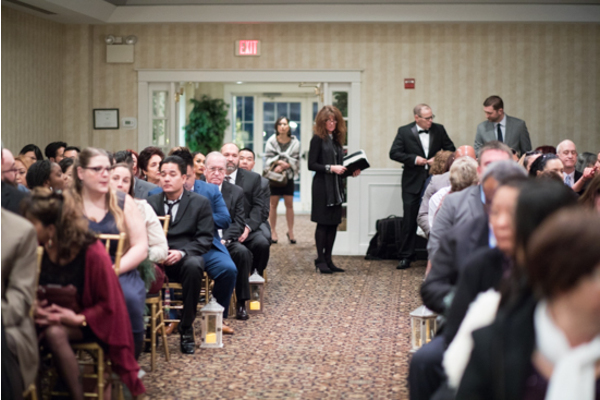 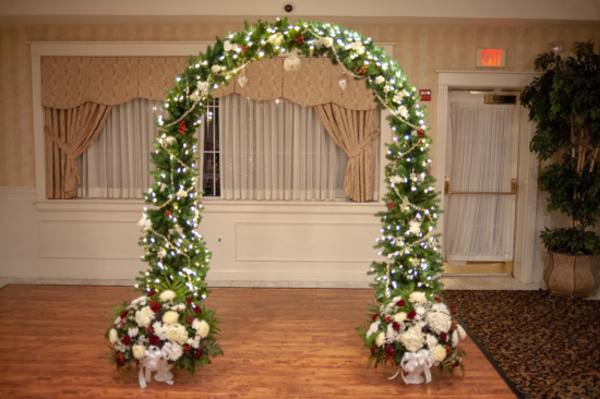 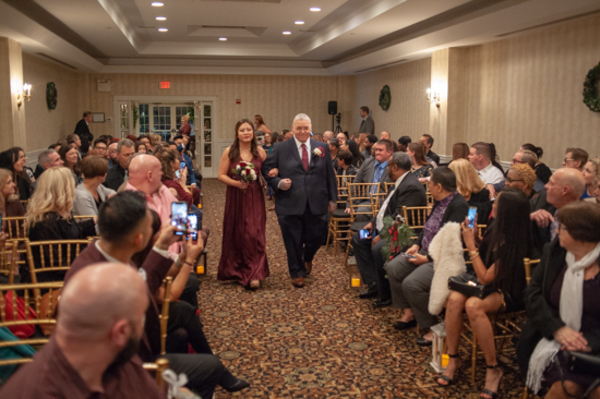 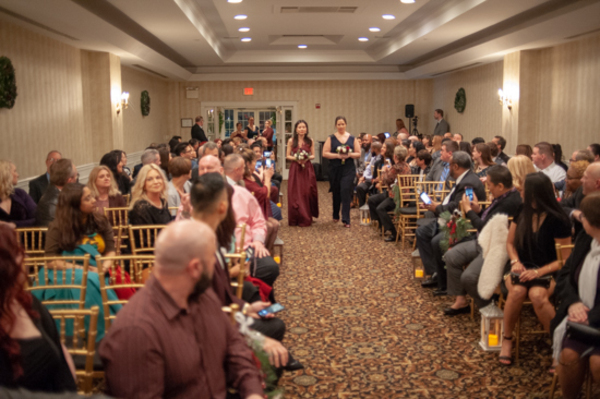 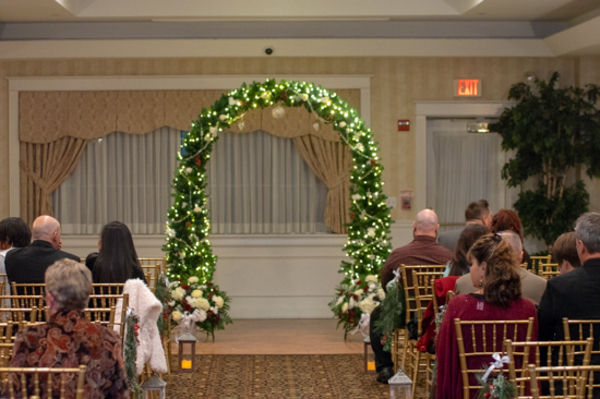 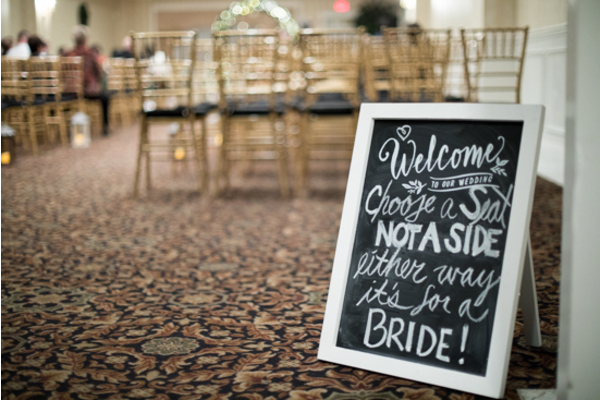 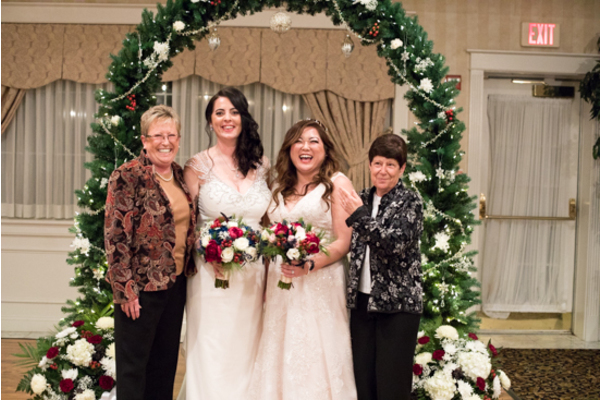 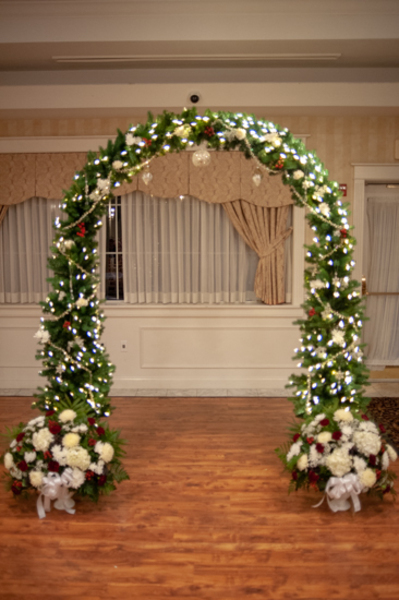 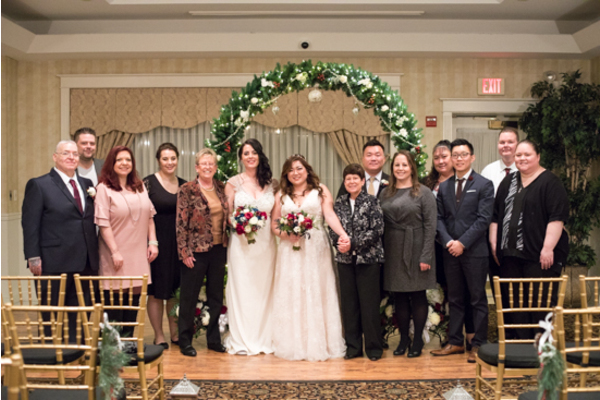 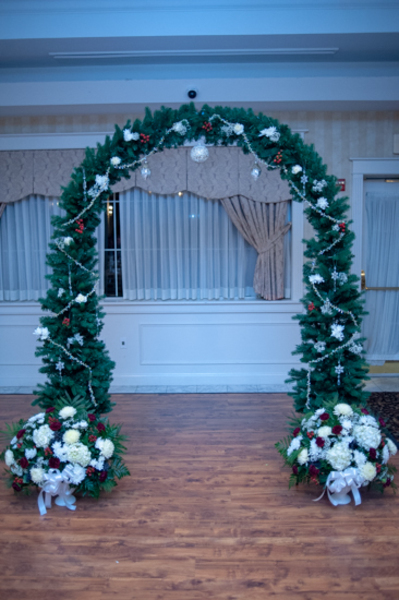 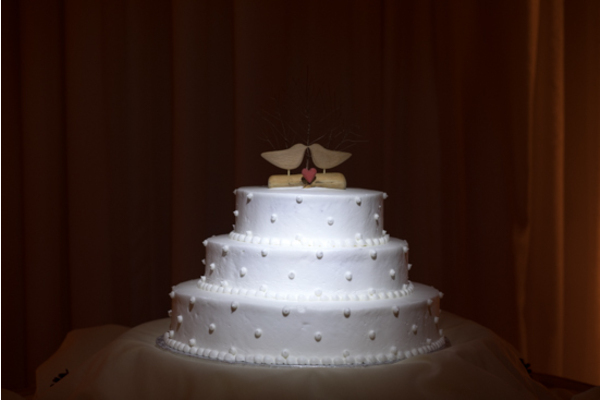 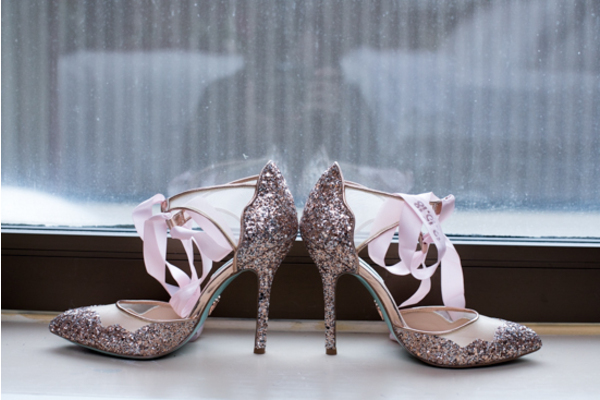 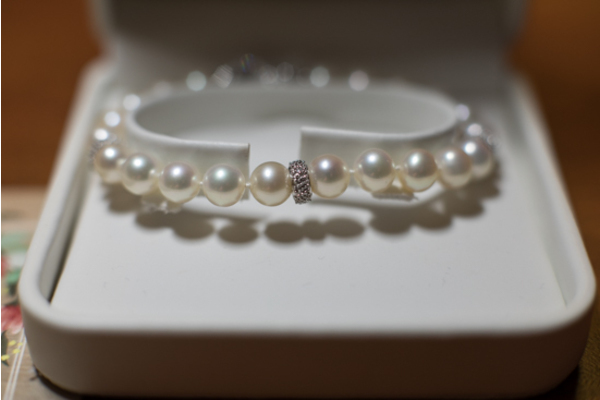 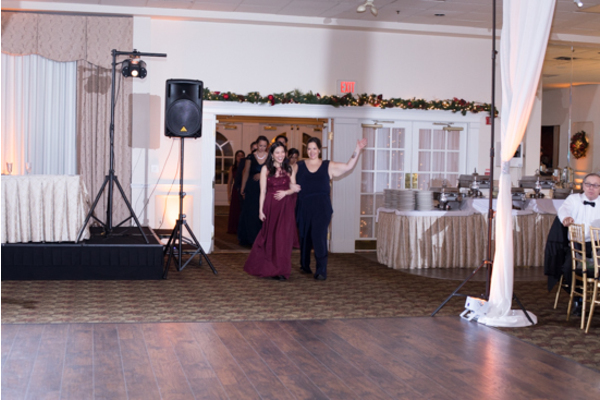 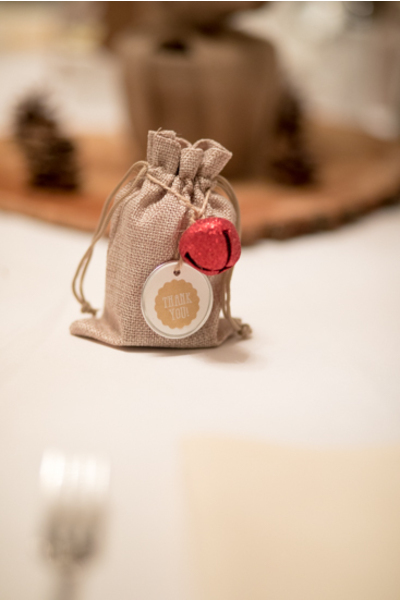 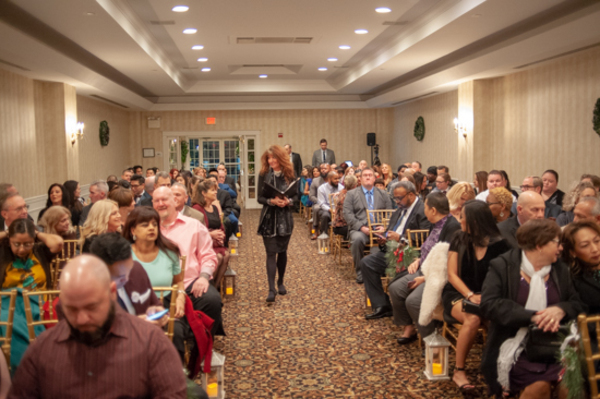 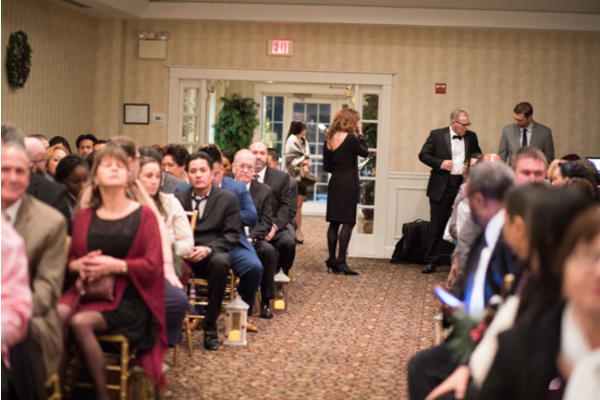 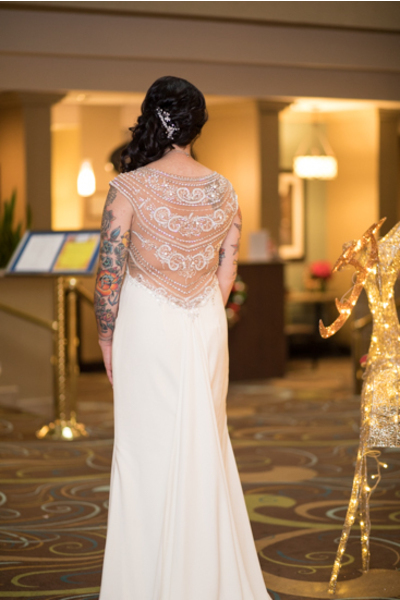 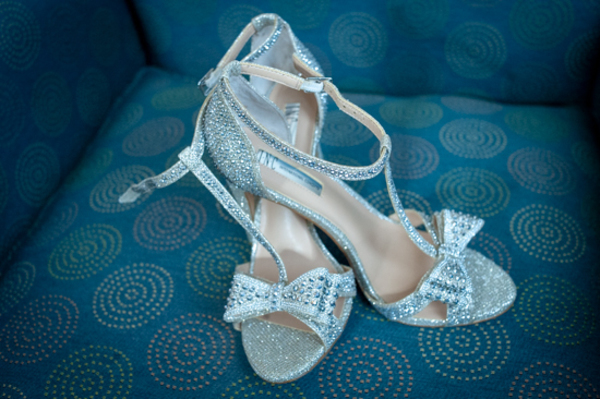 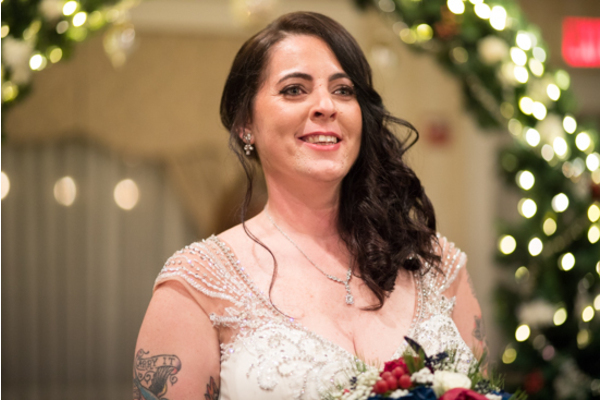 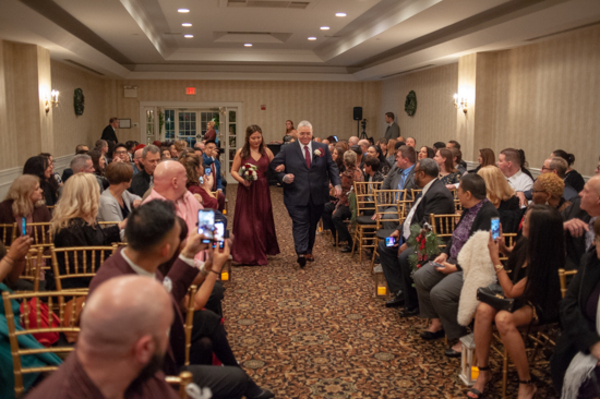 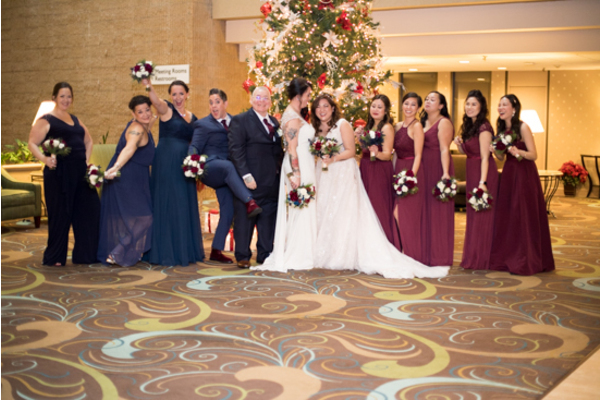 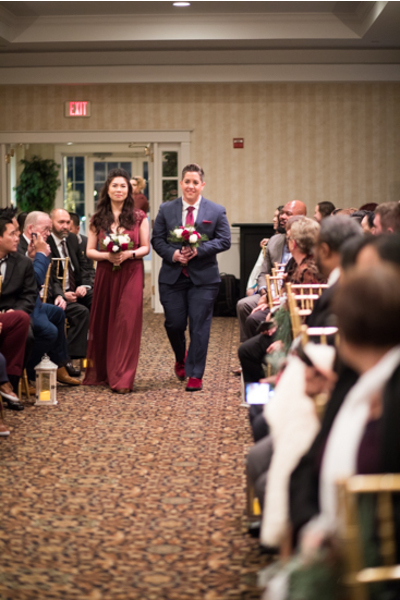 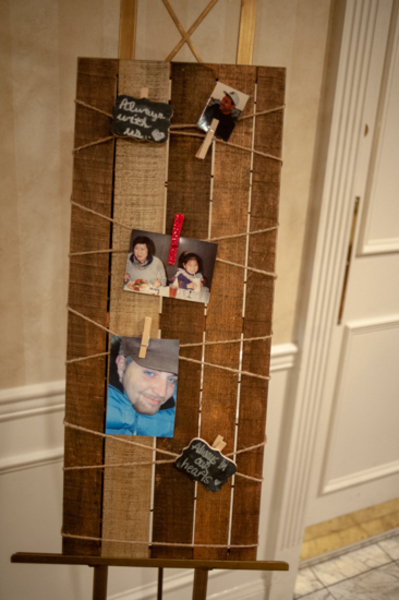 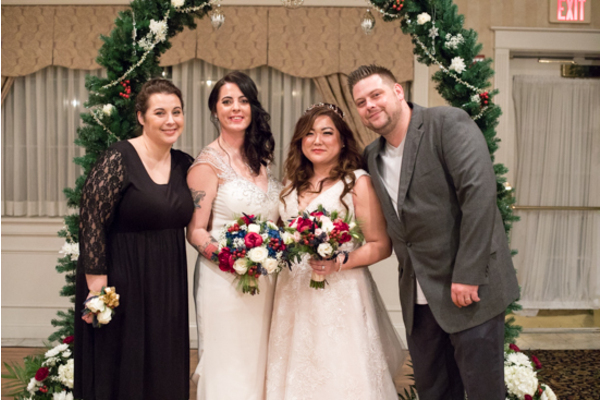 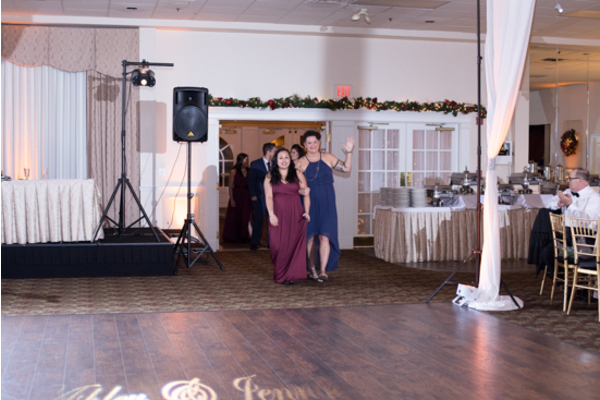 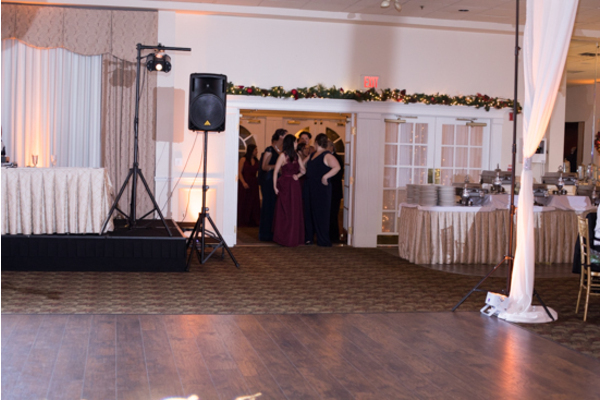 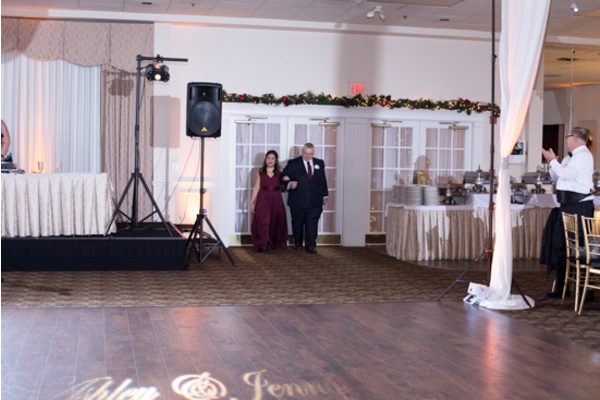 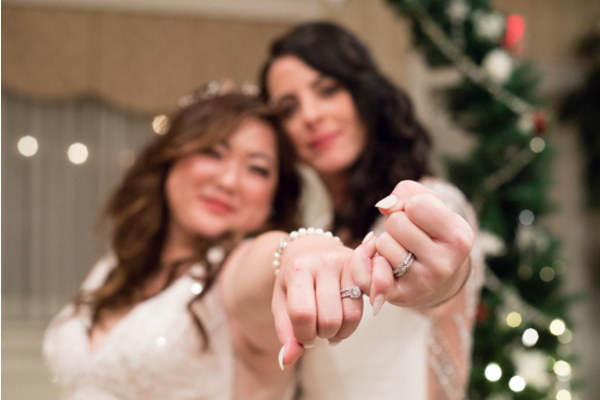 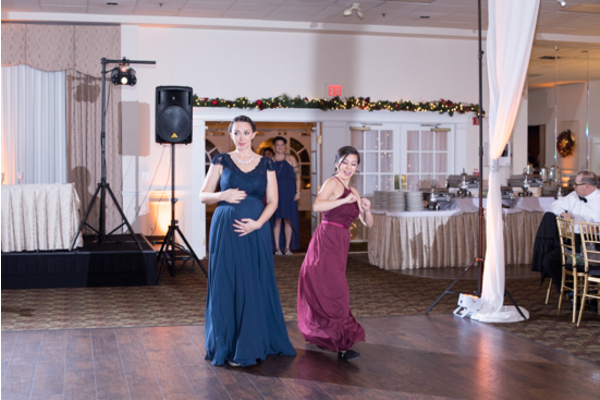 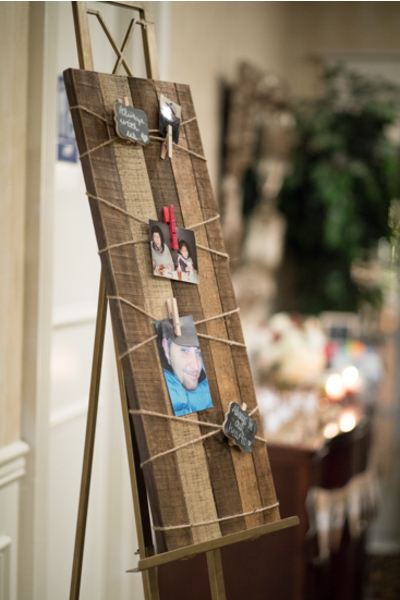 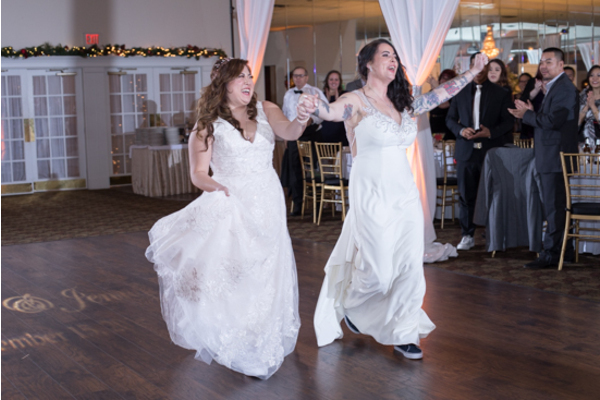 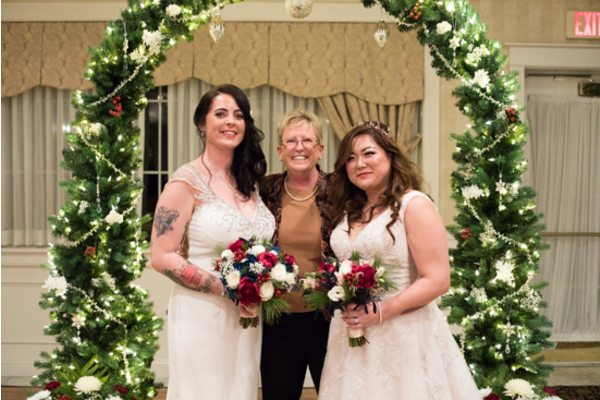 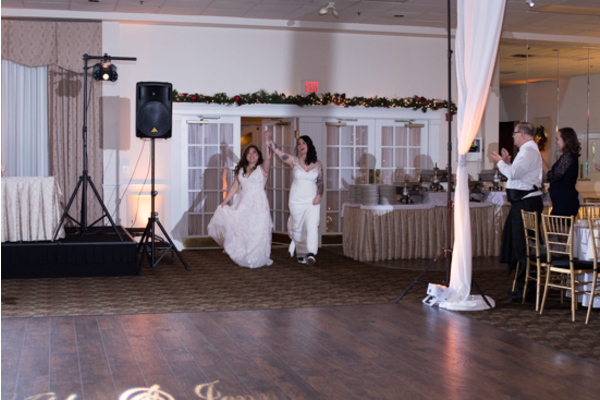 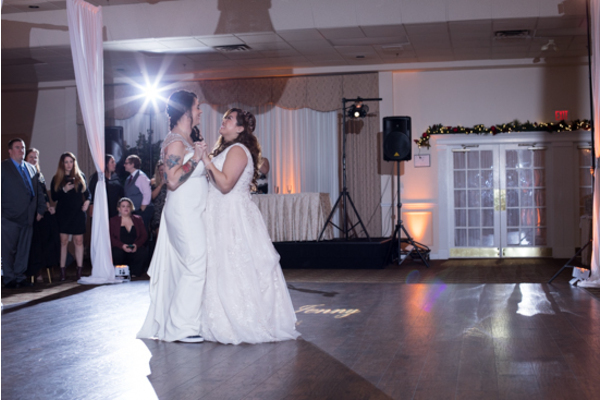 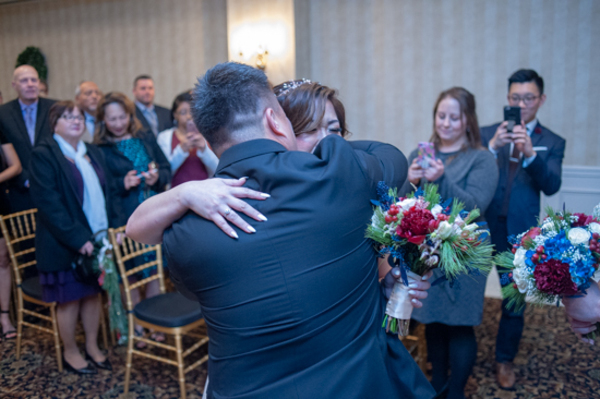 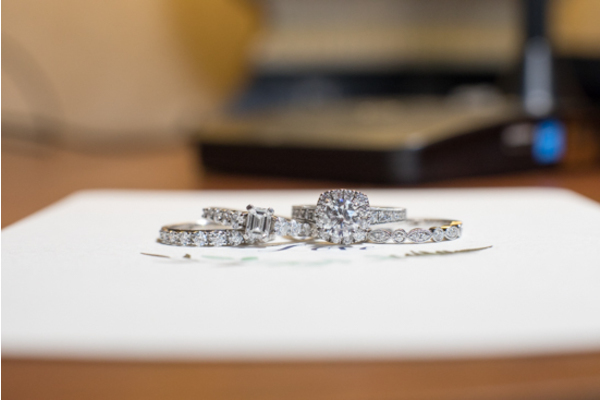 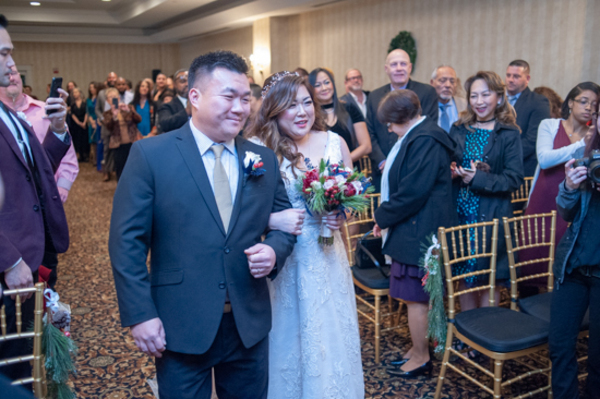 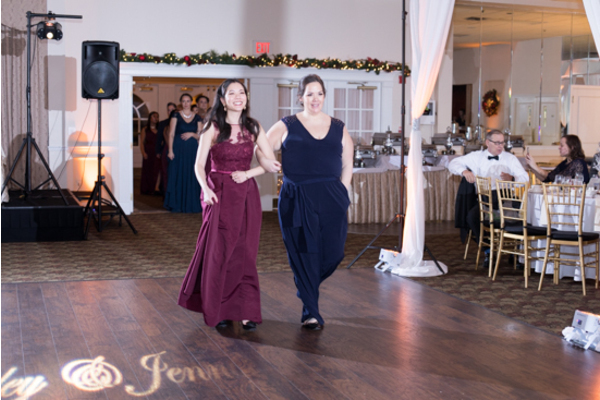 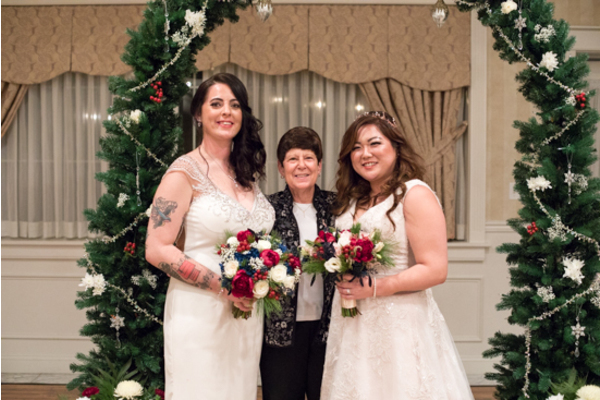 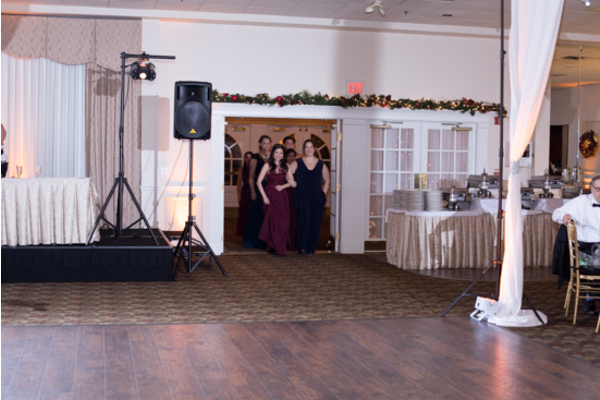 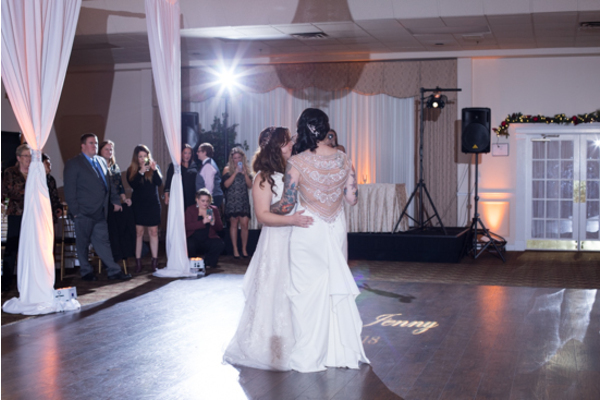 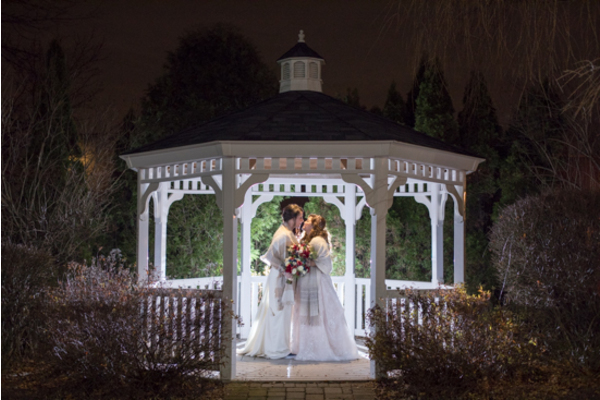 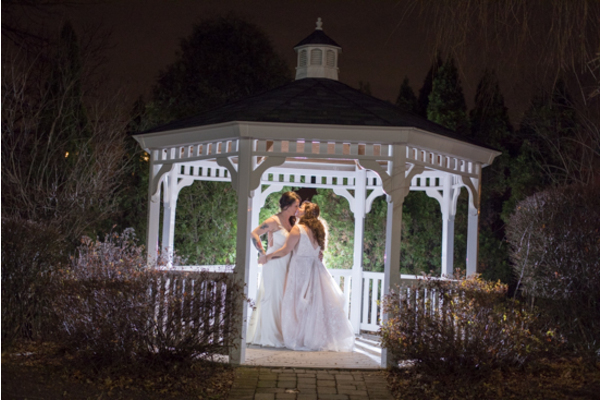 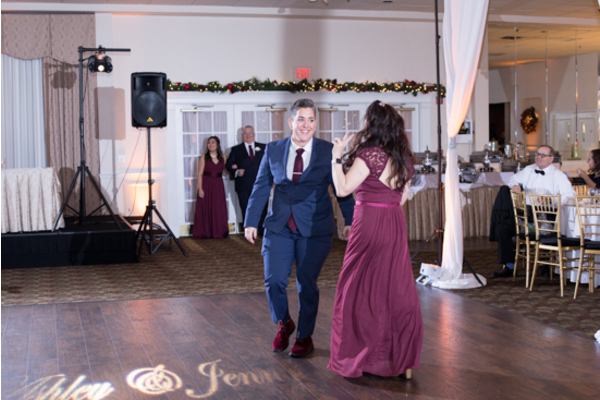 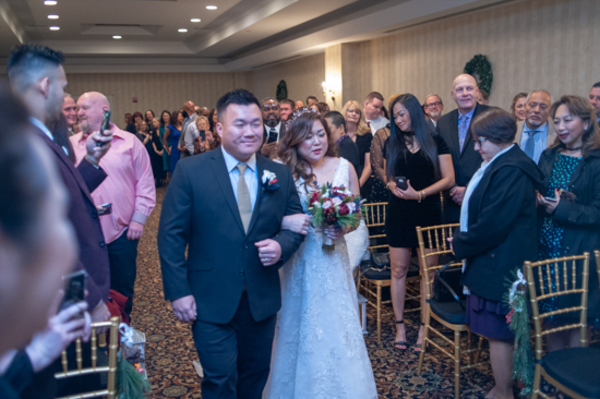 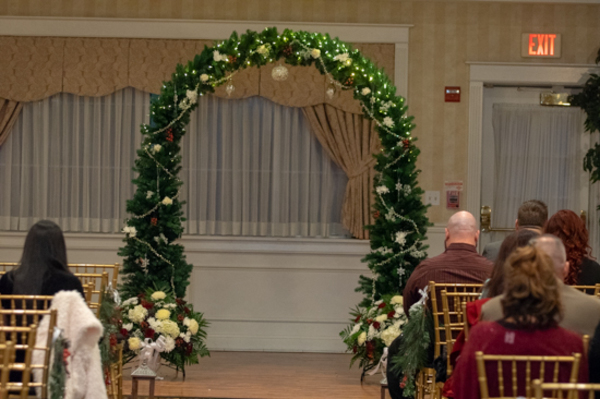 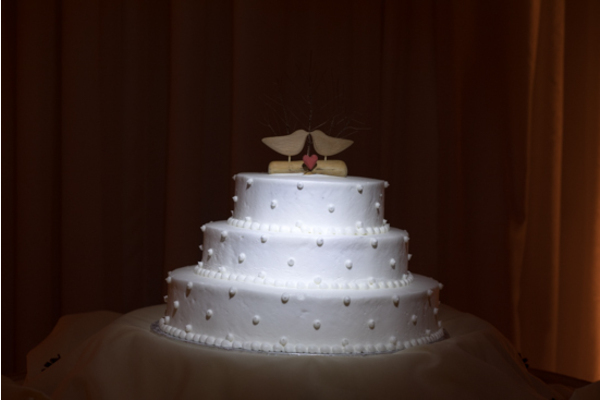 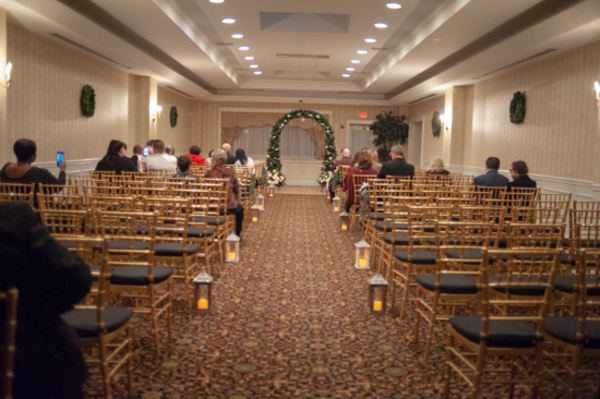 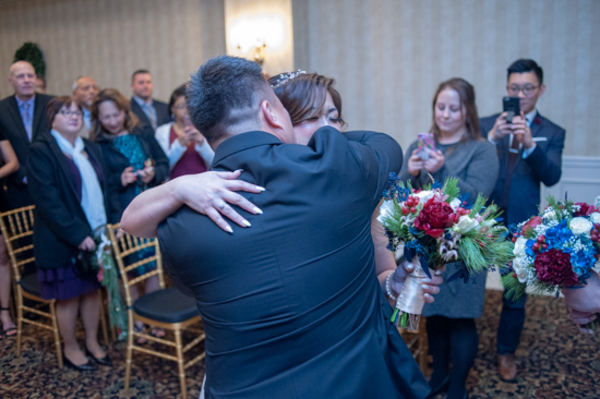 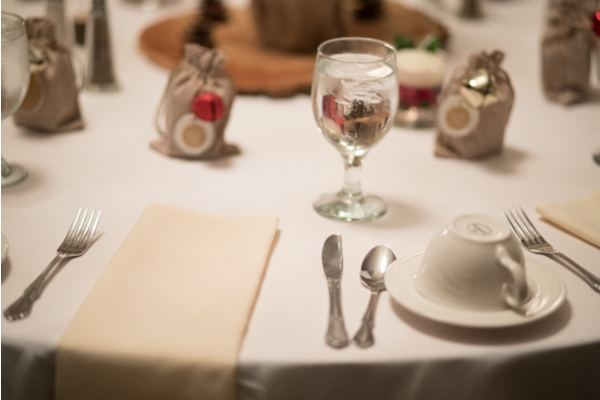 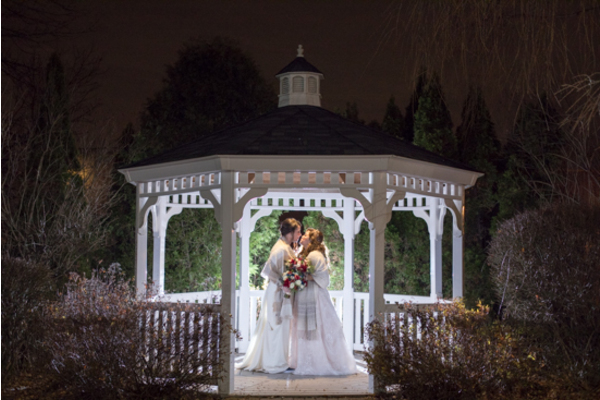 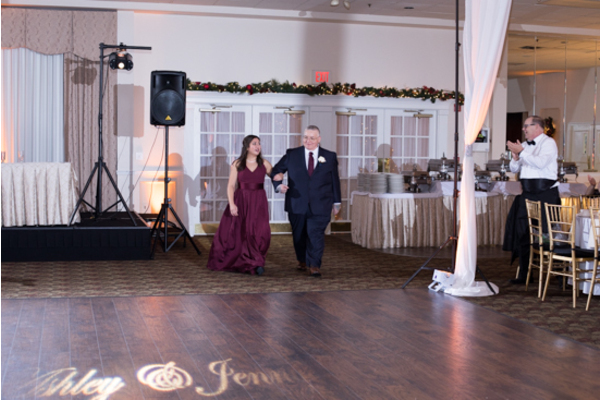 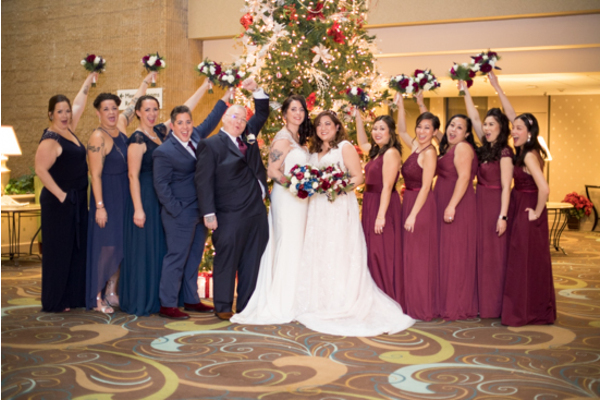 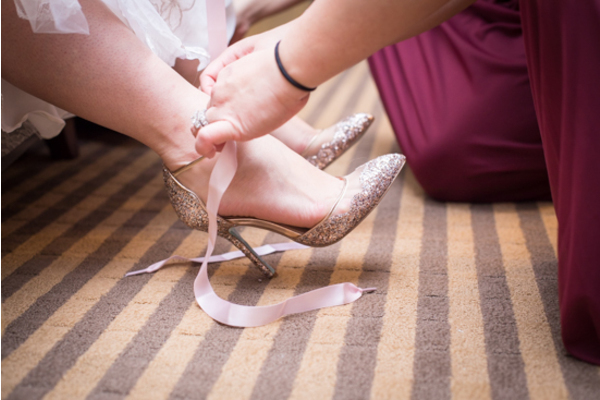 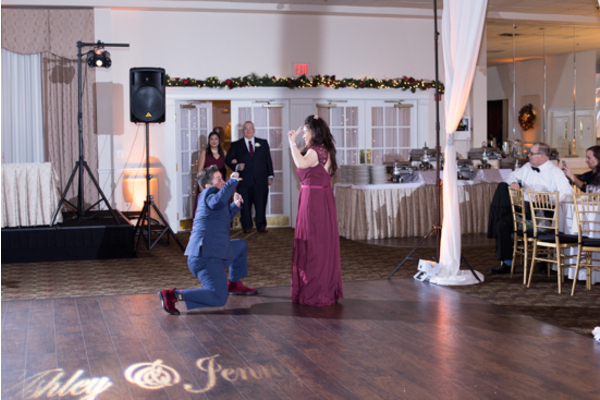 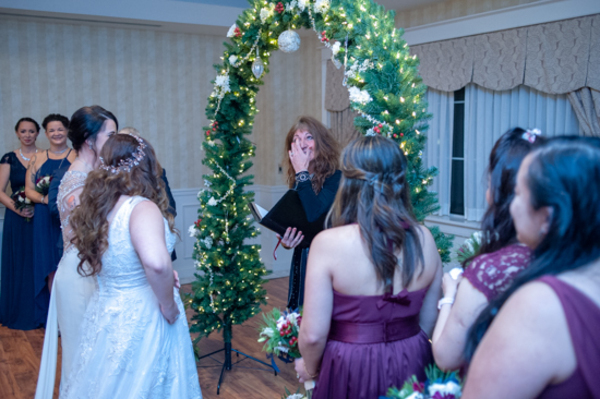 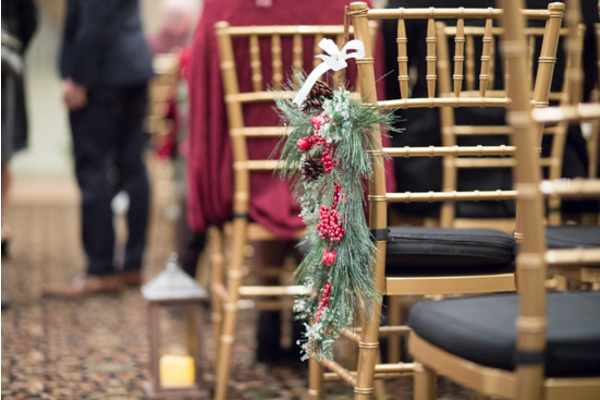 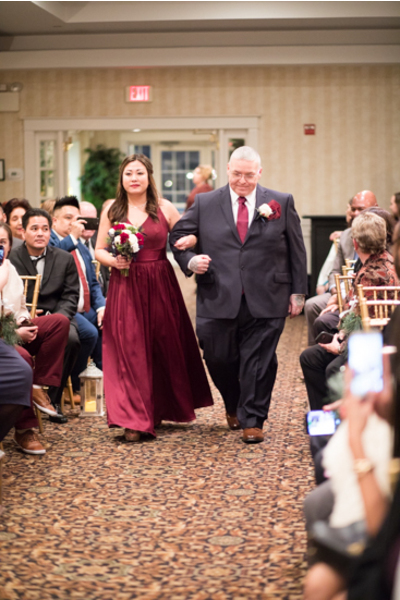 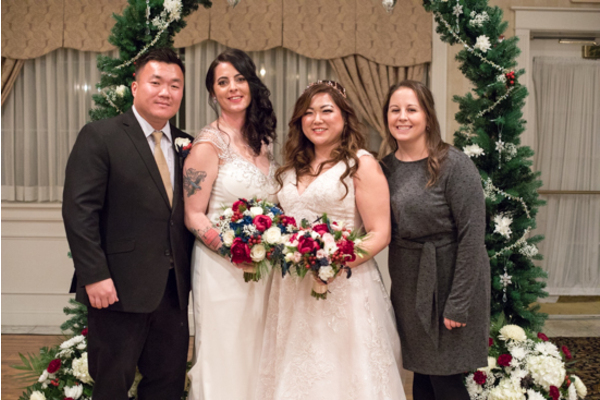 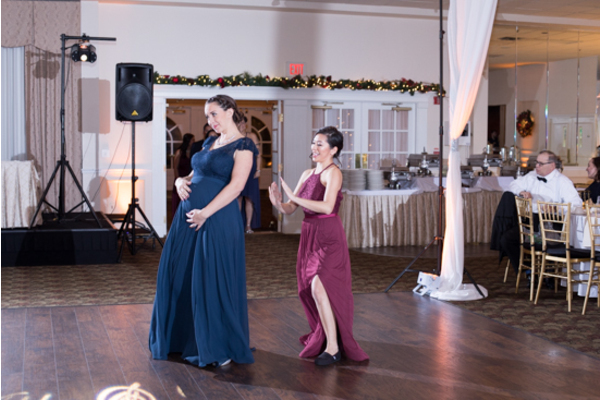 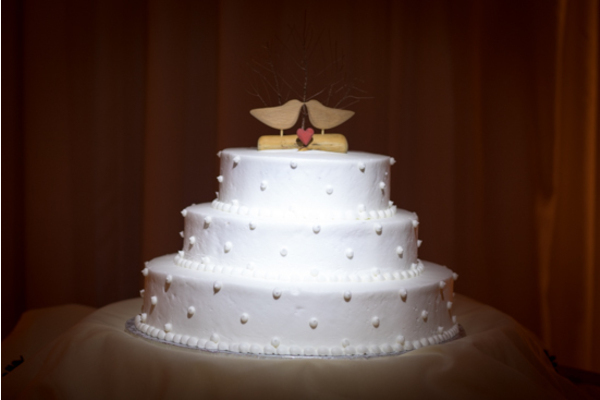 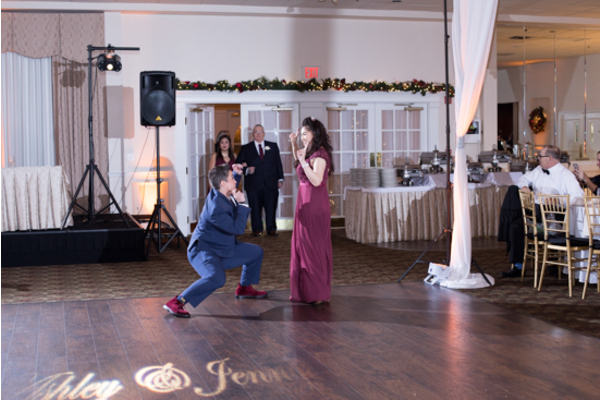 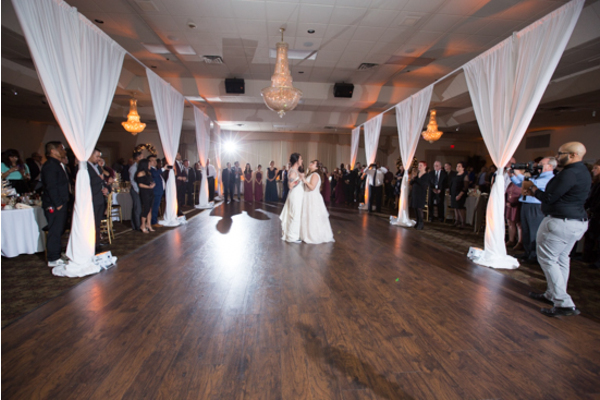 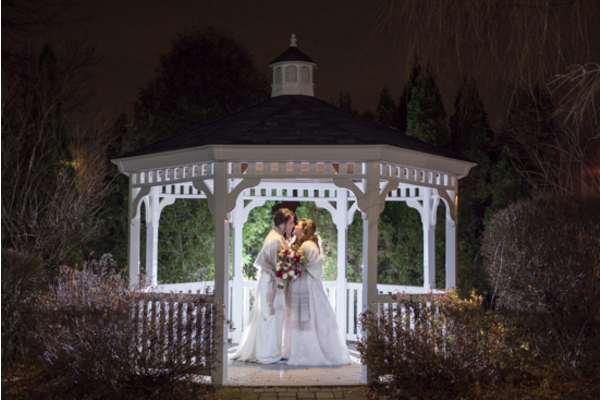 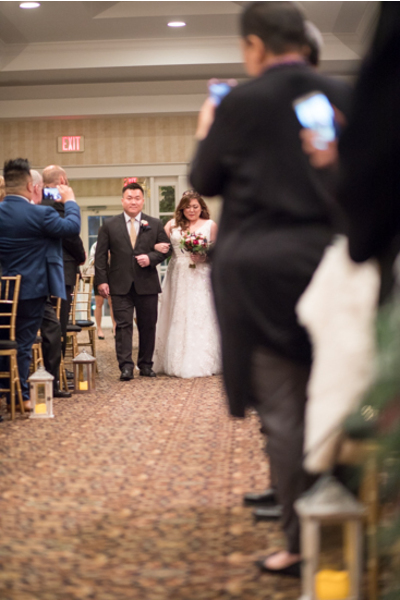 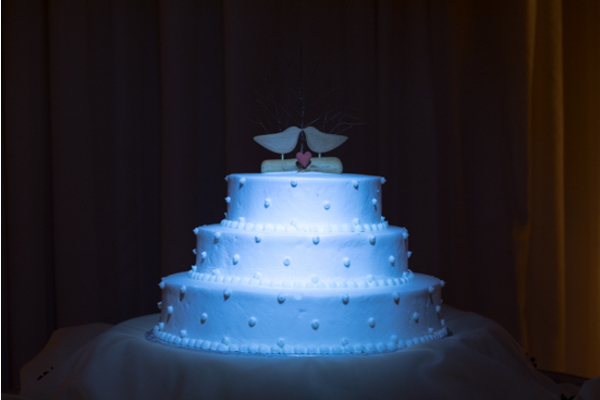 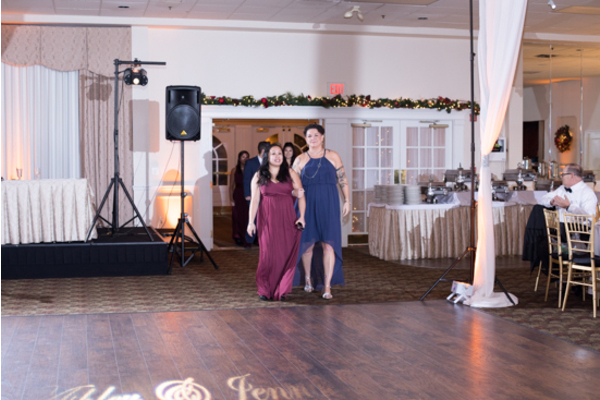 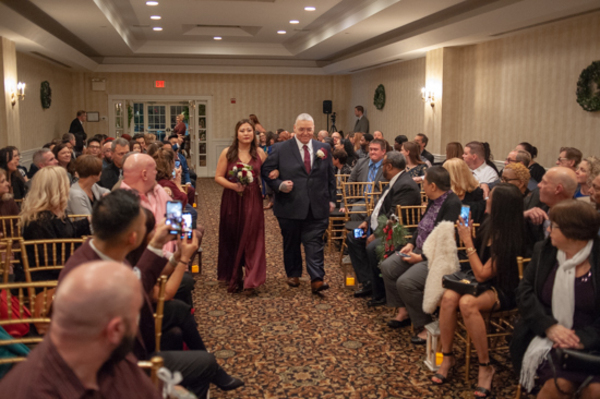 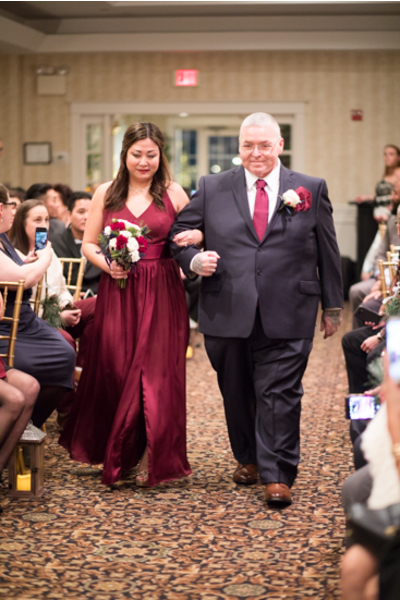 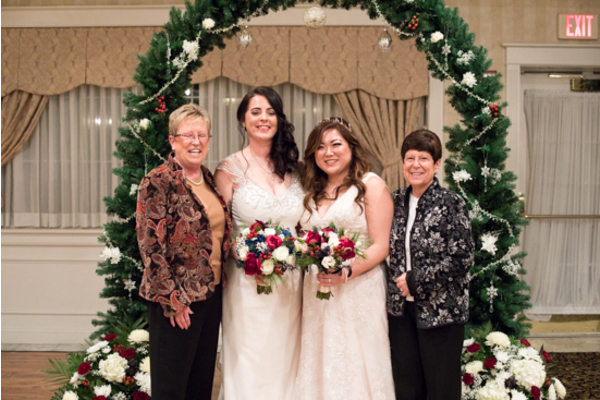 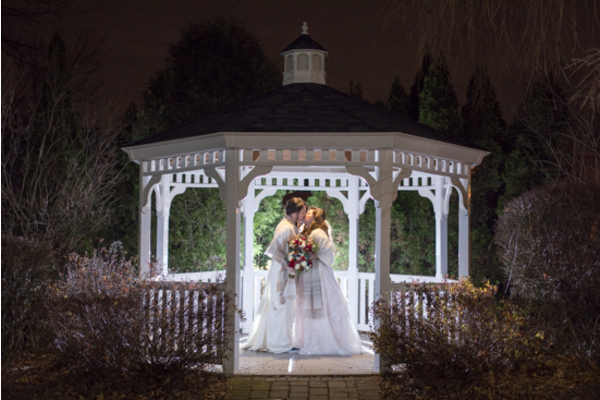 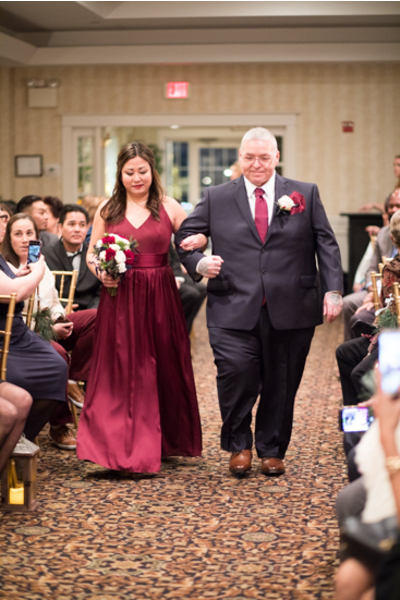 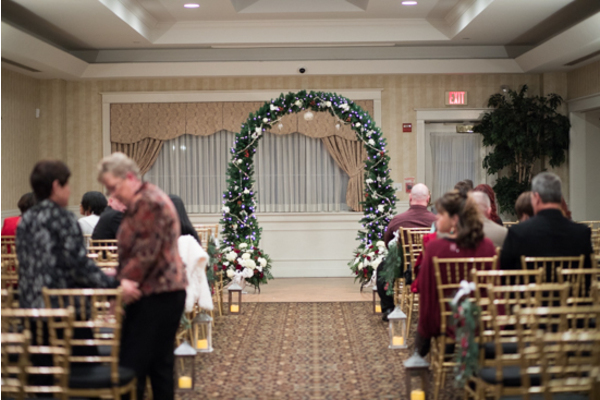 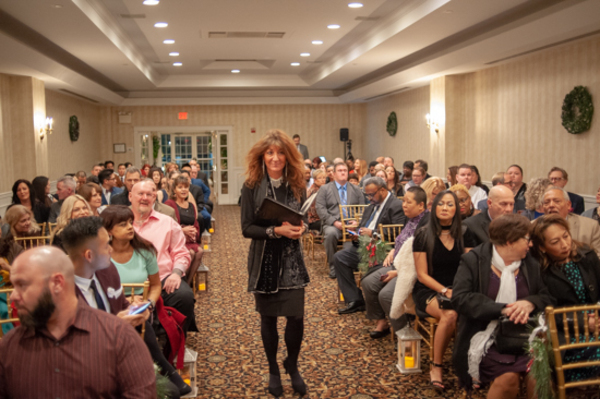 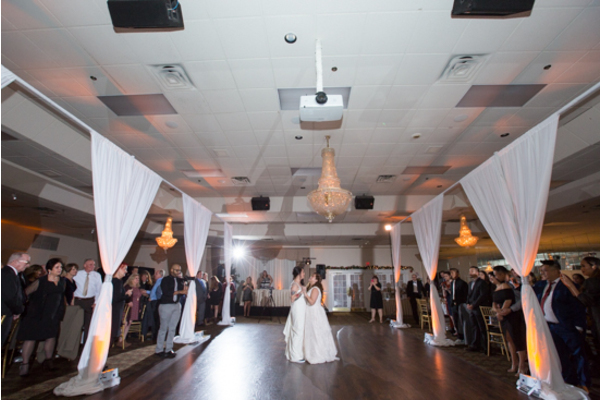 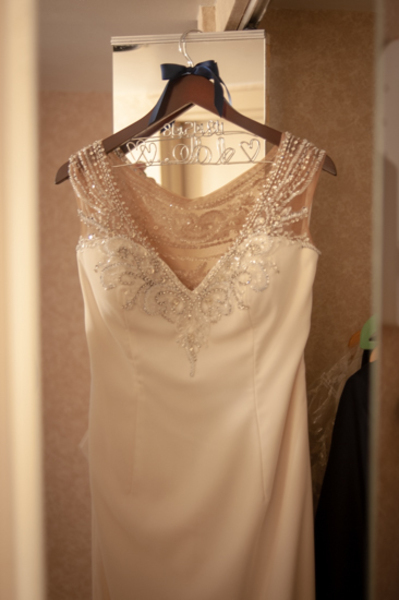 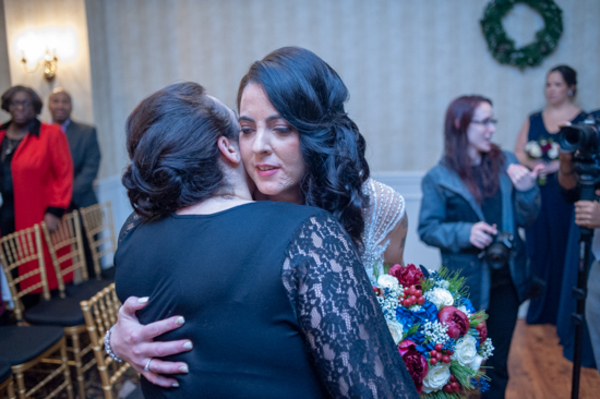 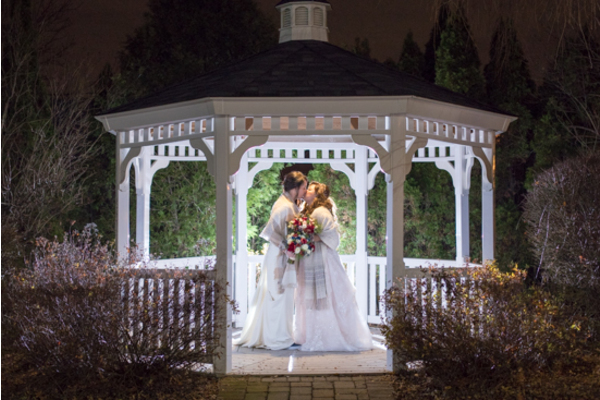 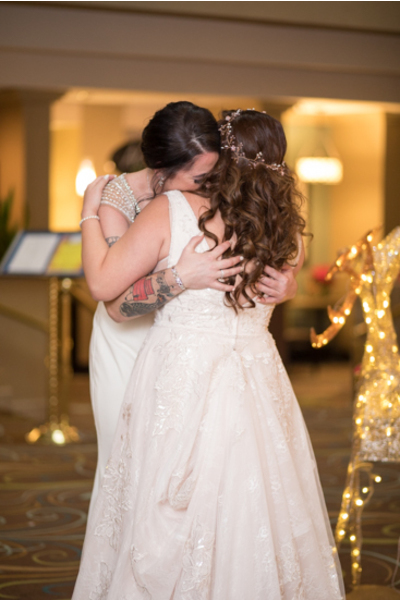 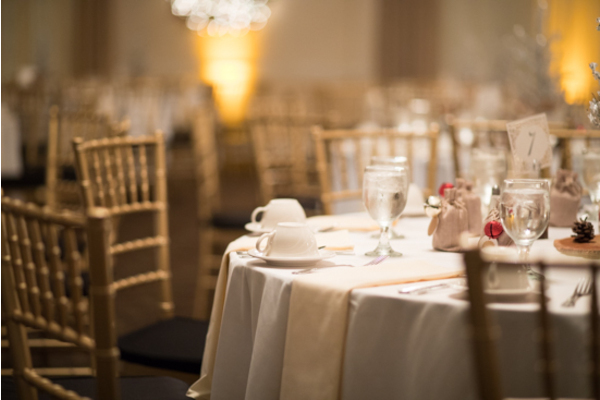 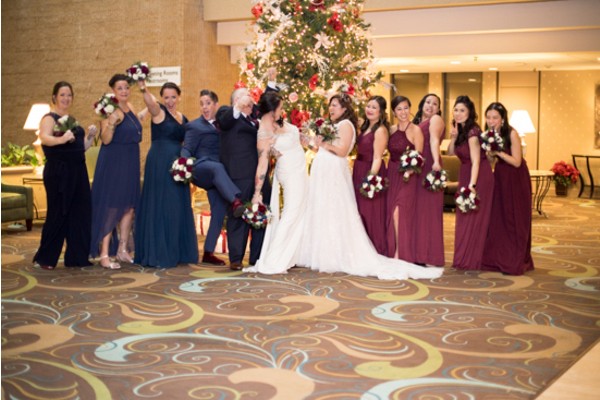 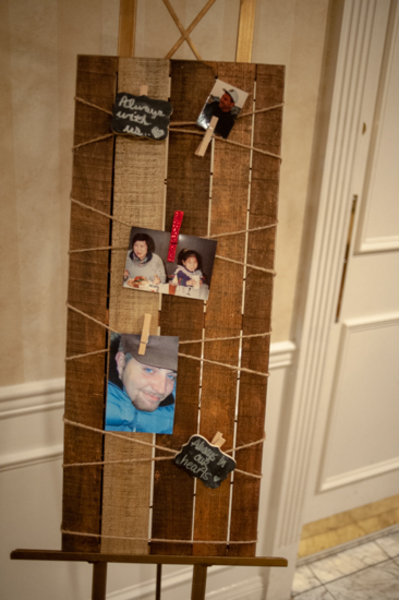 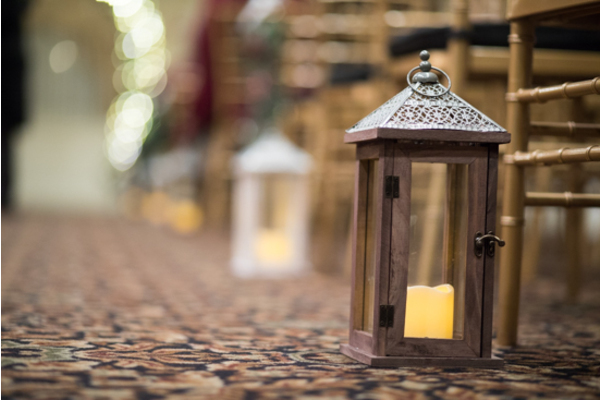 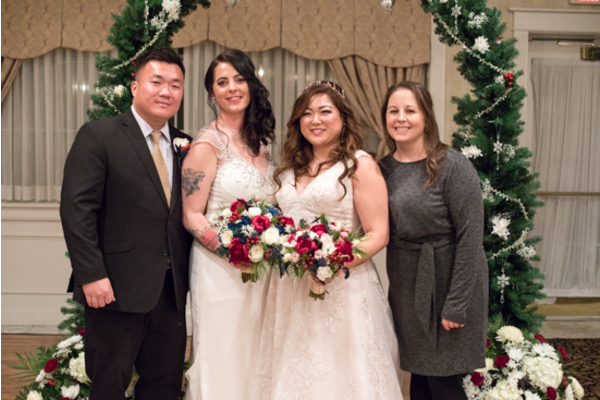 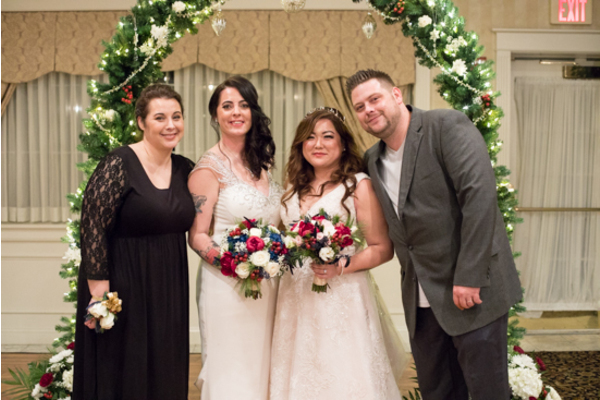 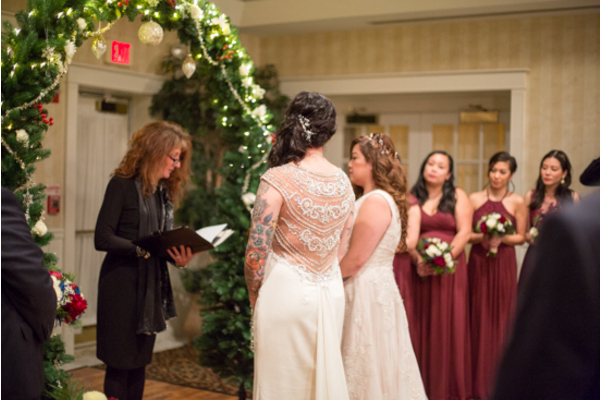 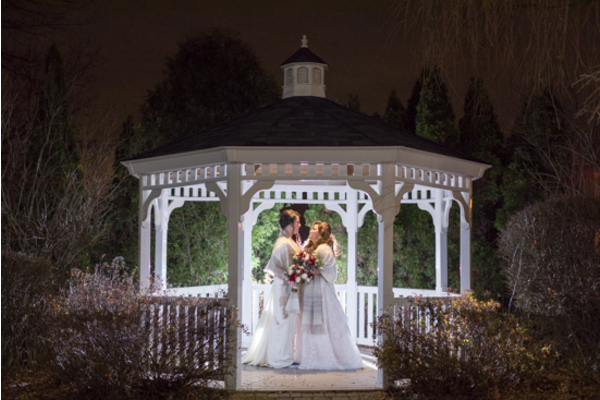 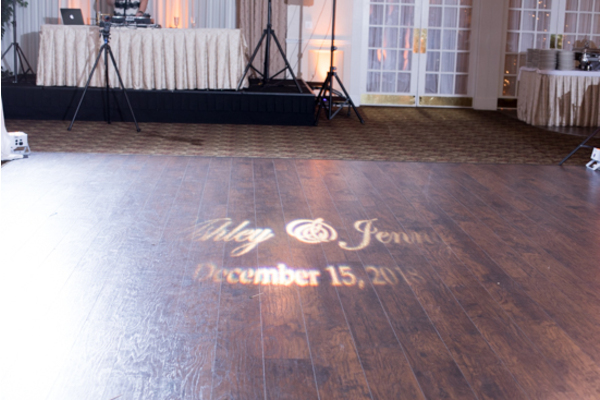 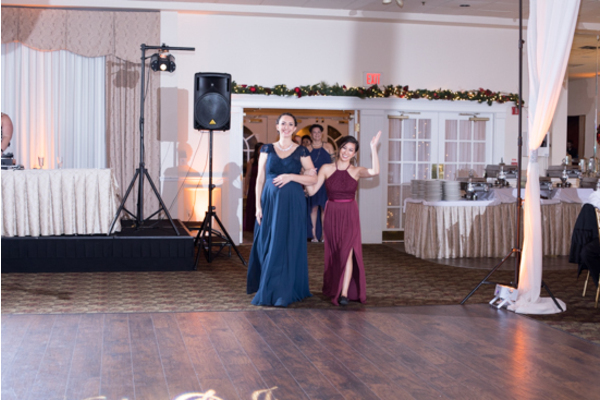 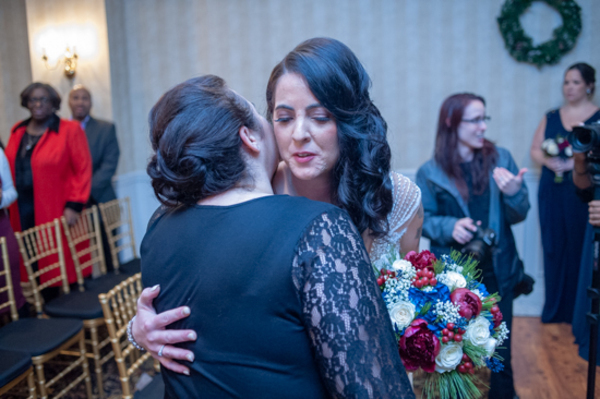 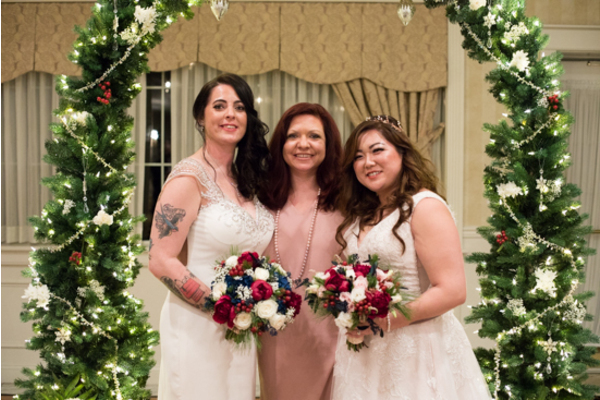 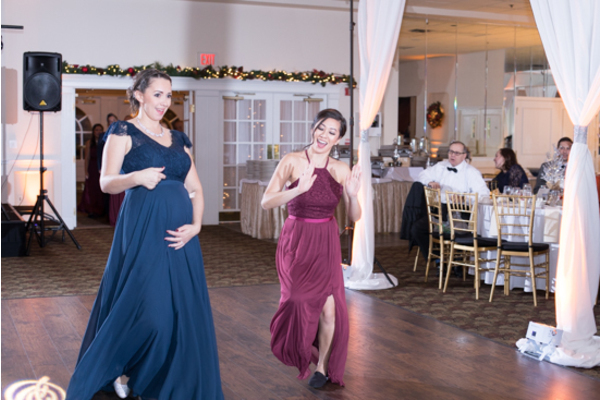 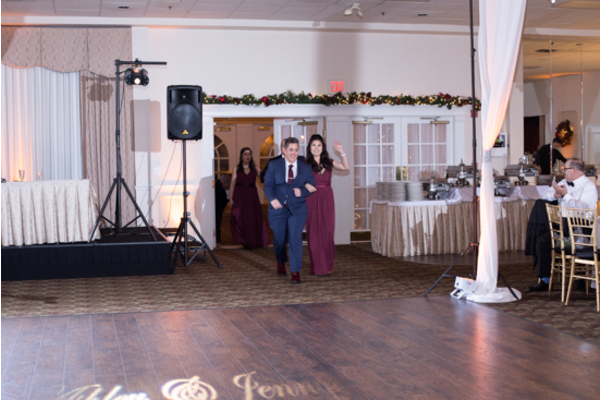 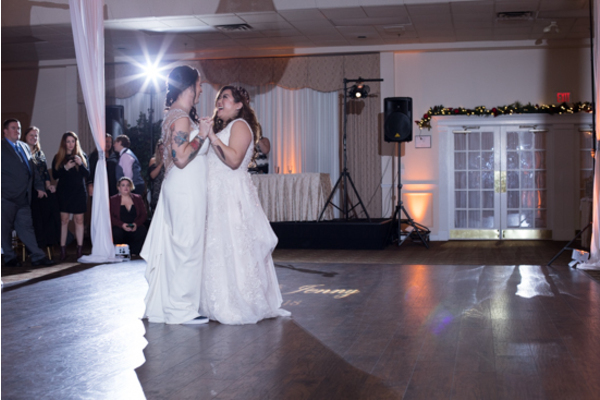 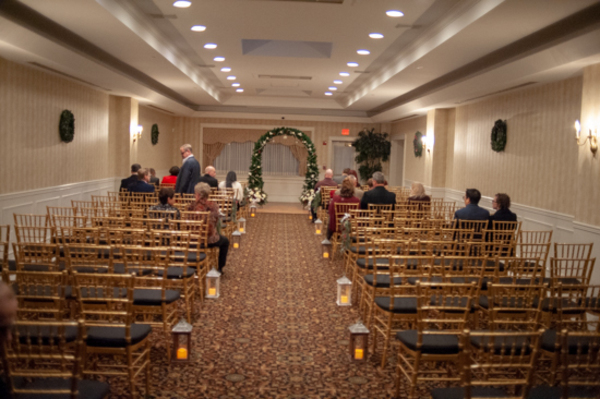 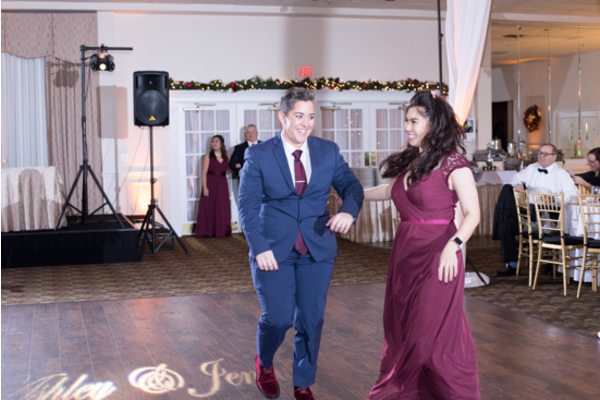 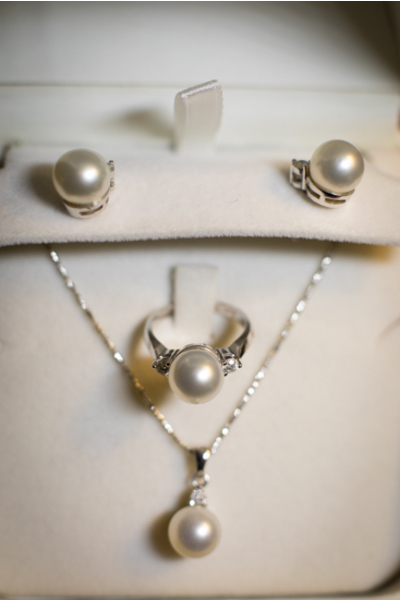 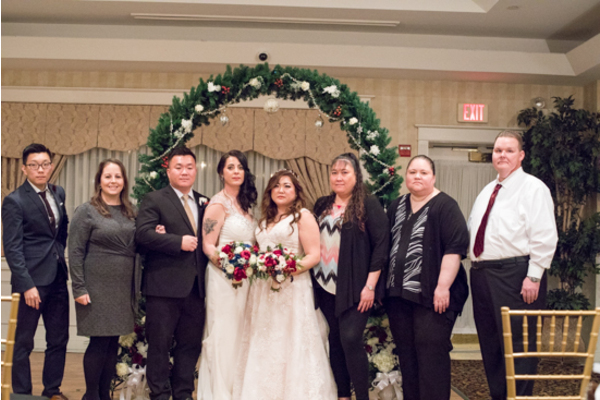 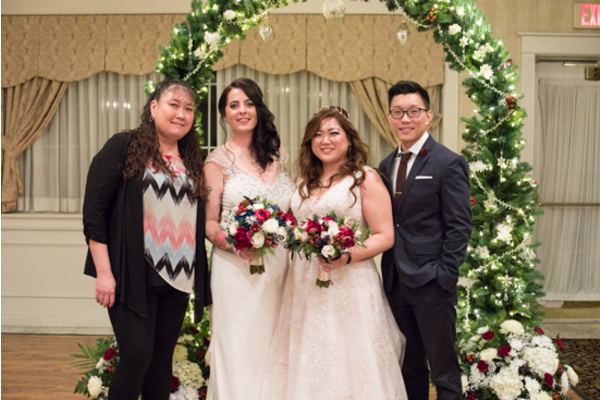 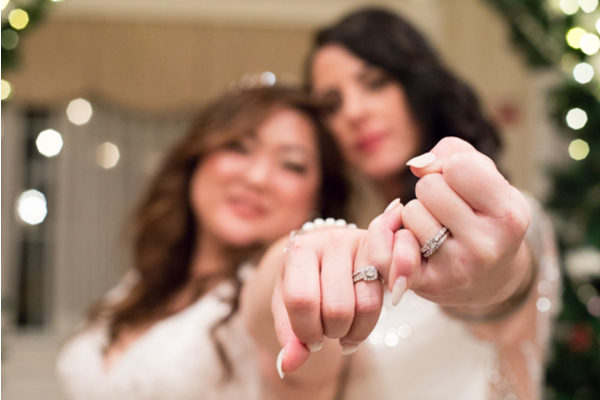 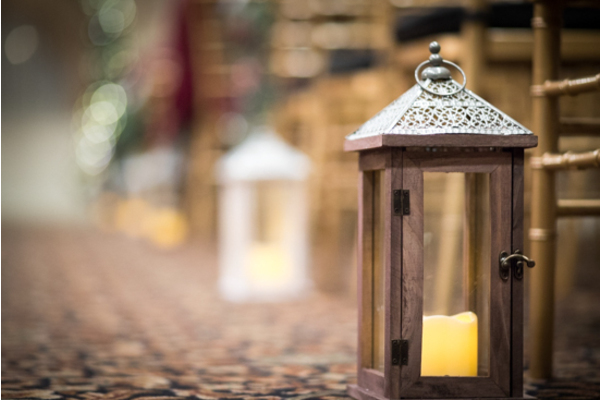 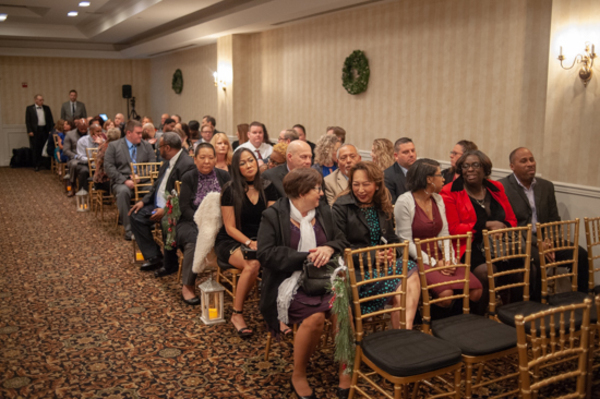 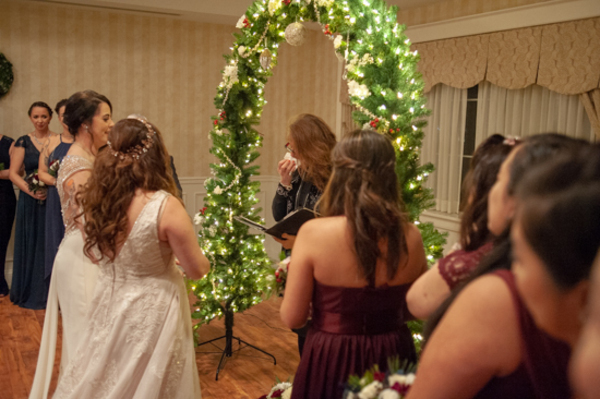 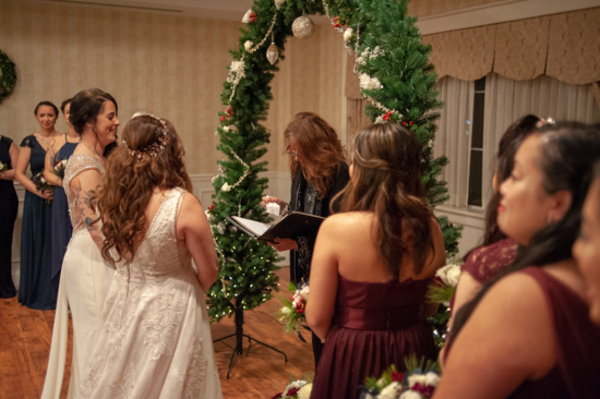 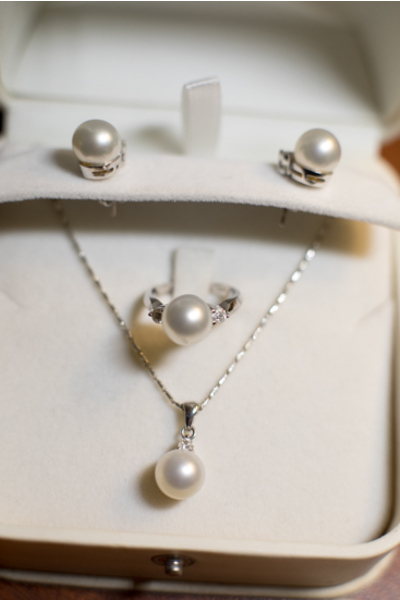 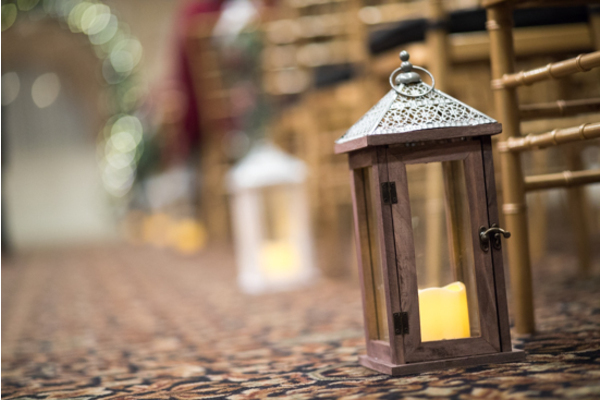 Our NJ Wedding Photographer was there for all the priceless memories made that night. 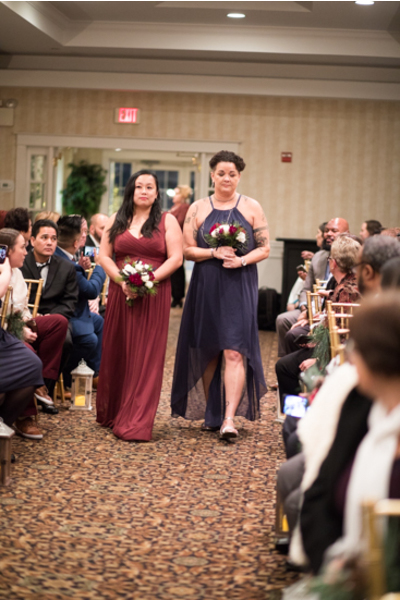 We are so grateful to have been apart of this beautiful celebration. 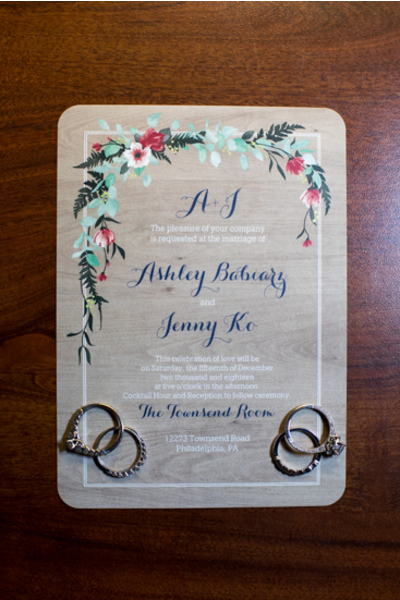 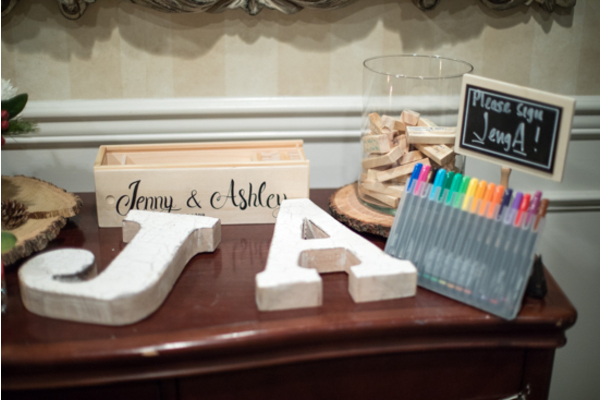 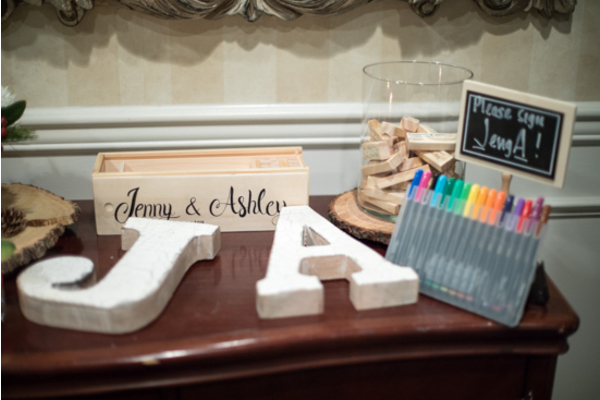 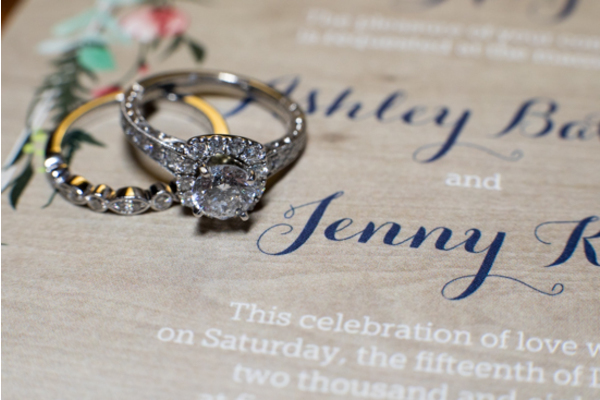 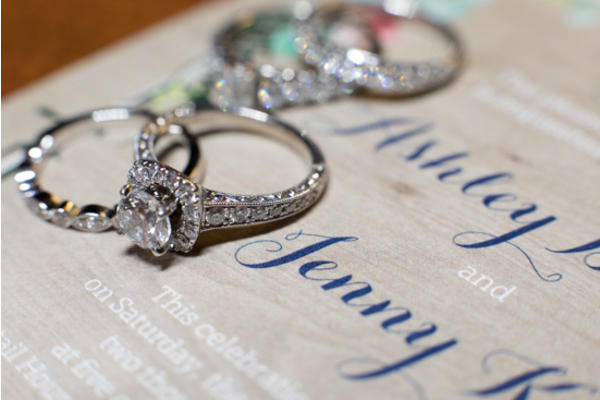 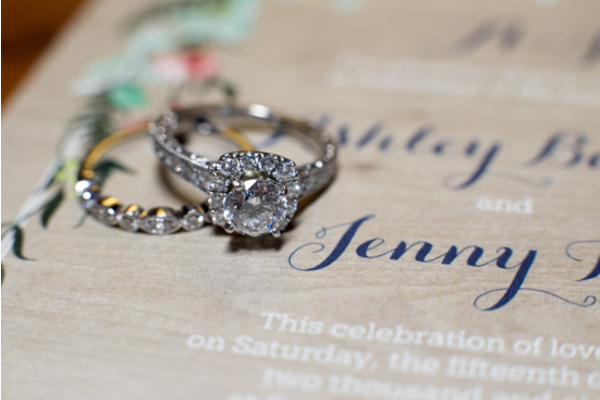 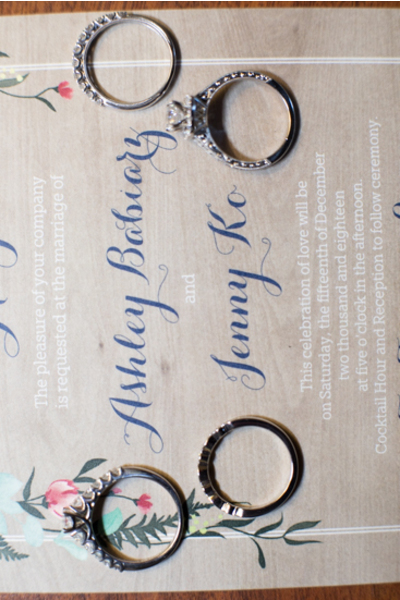 Congratulations, again to Jenny and Ashley! 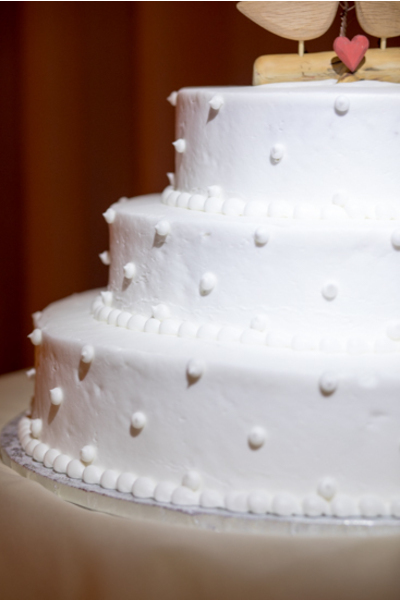 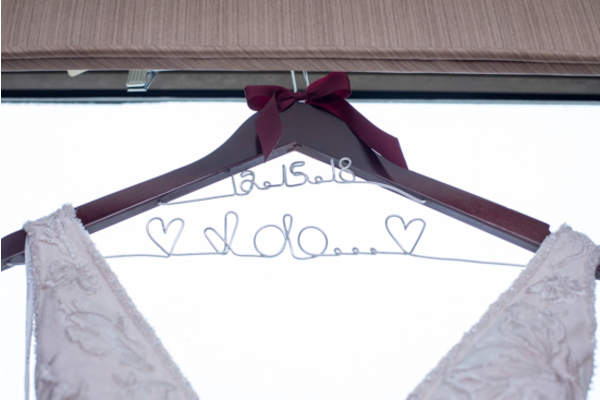 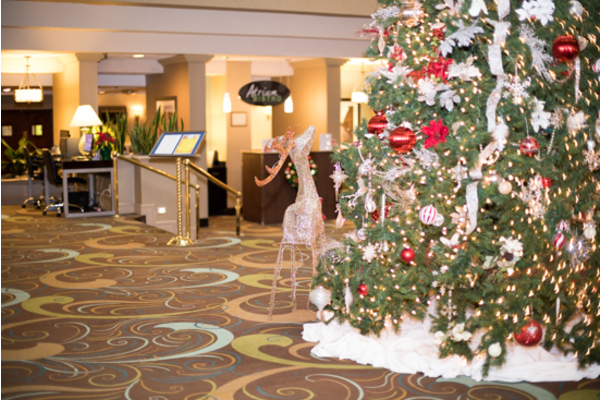 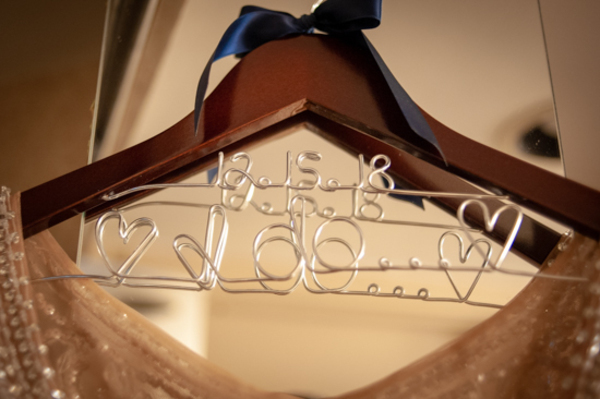 We wish you a happily ever after!